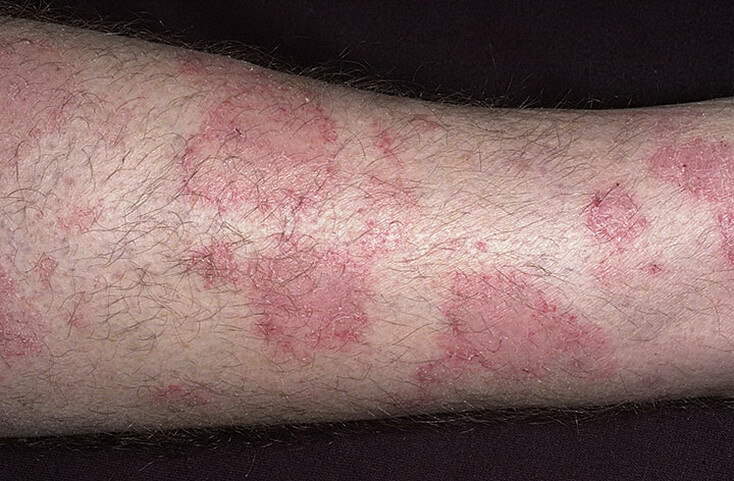 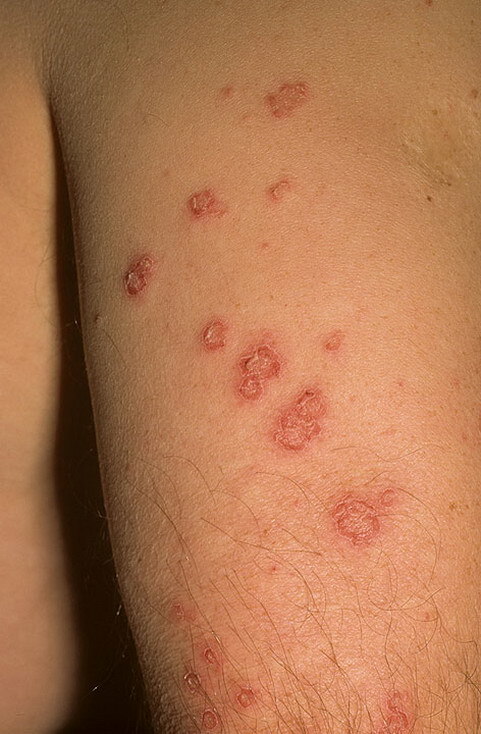 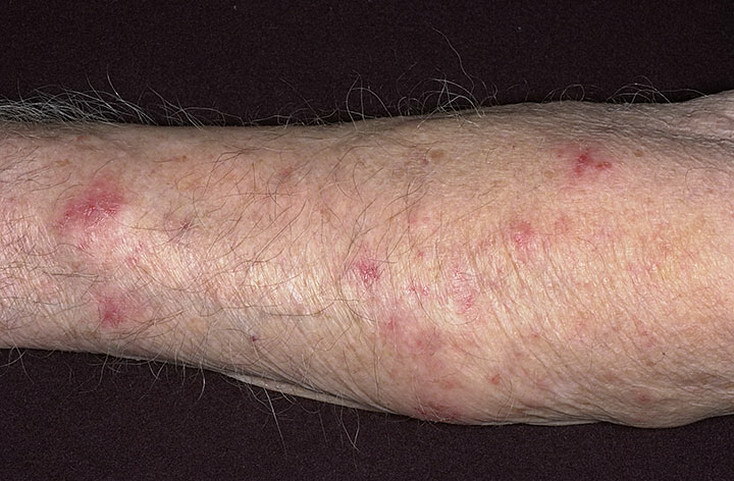 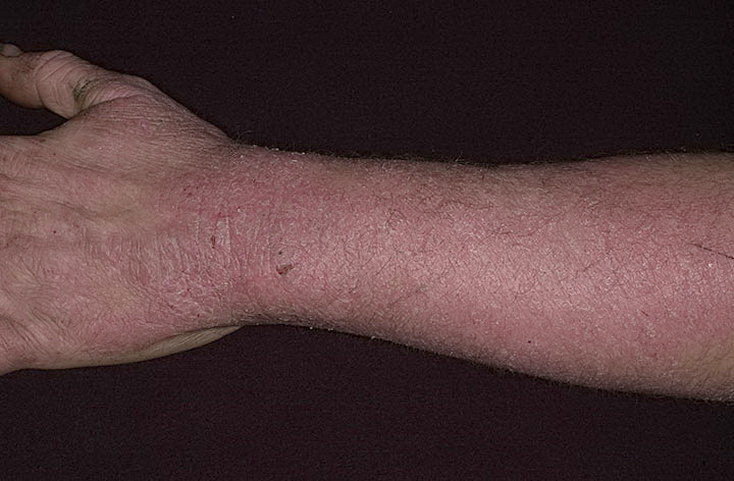 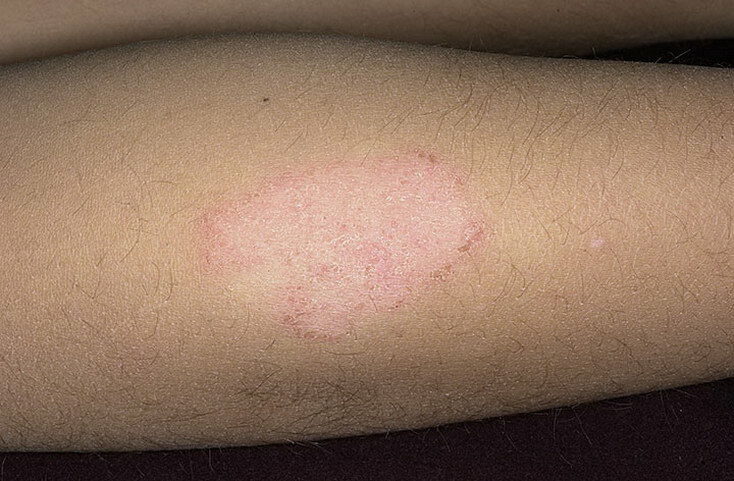 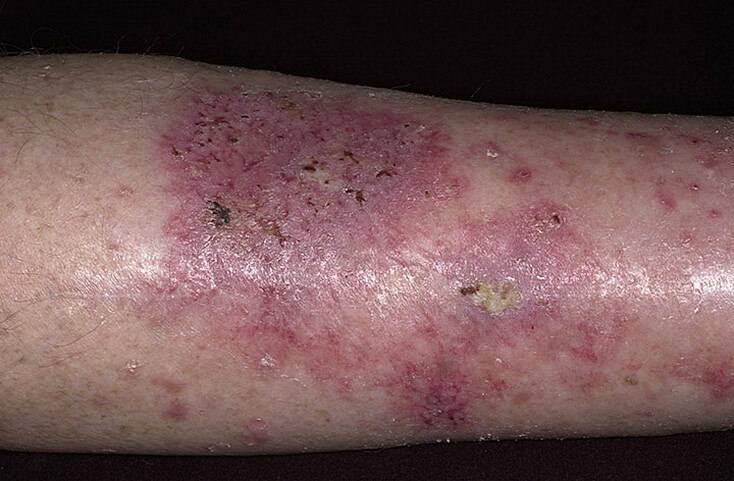 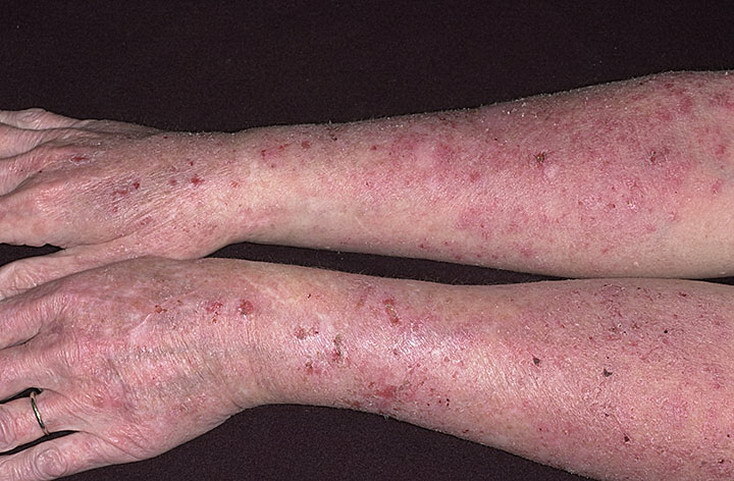 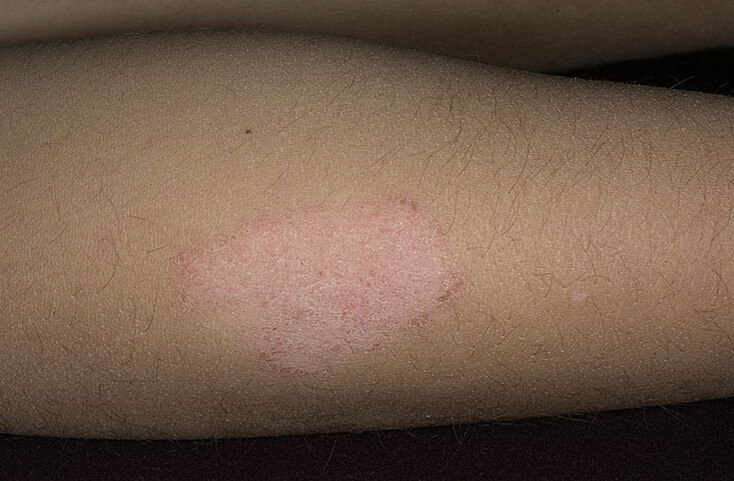 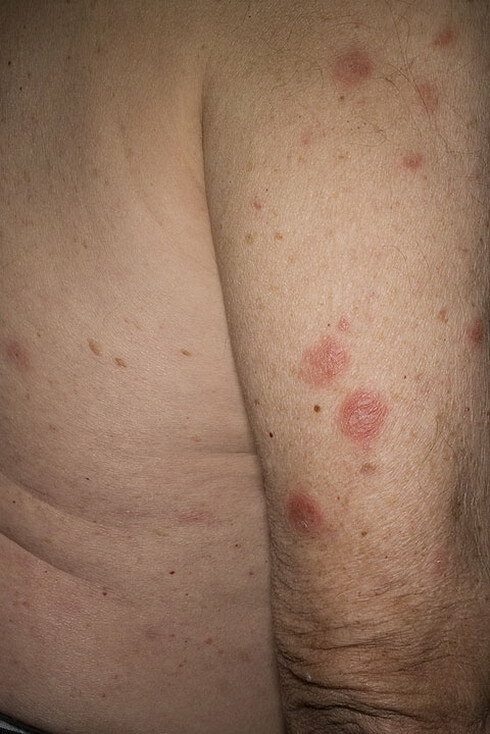 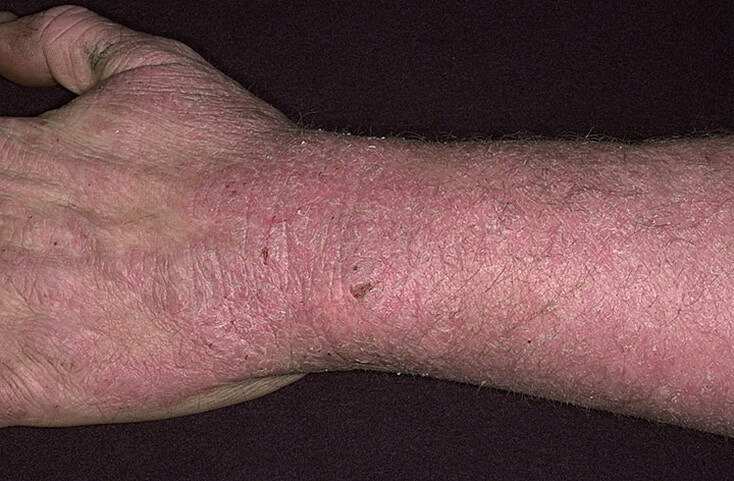 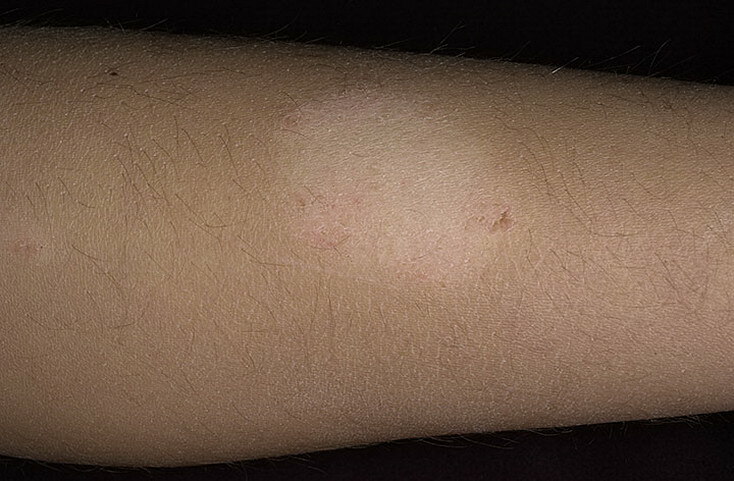 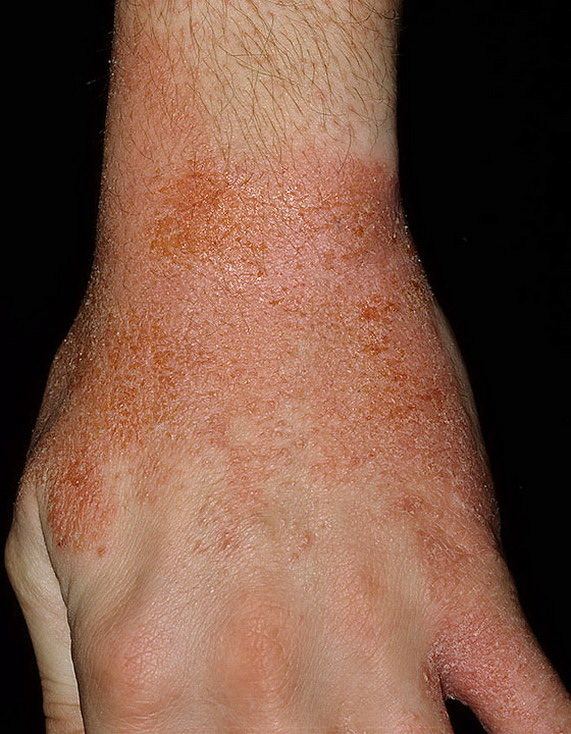 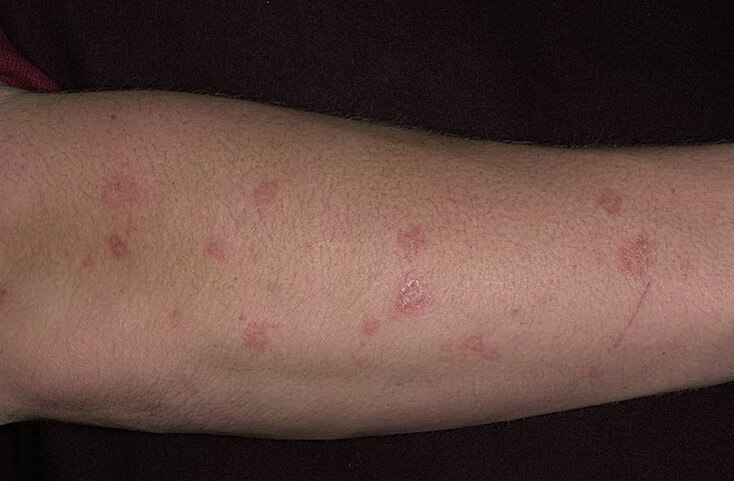 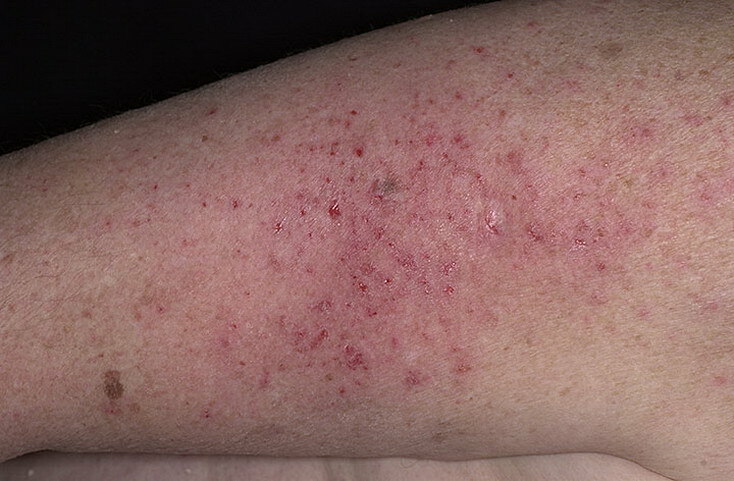 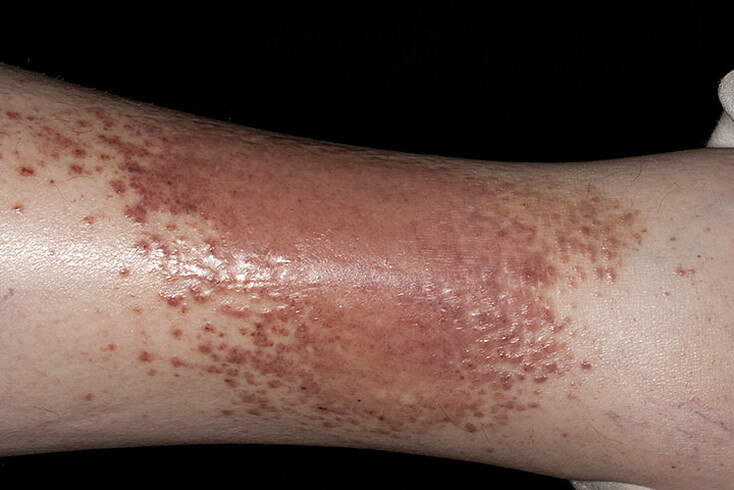 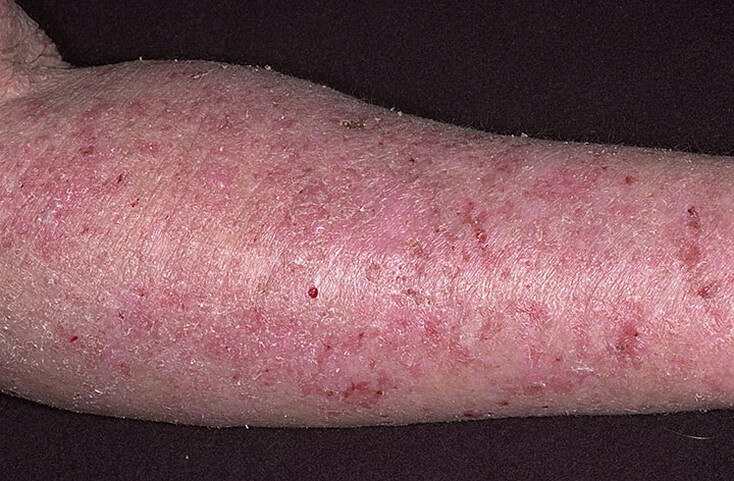 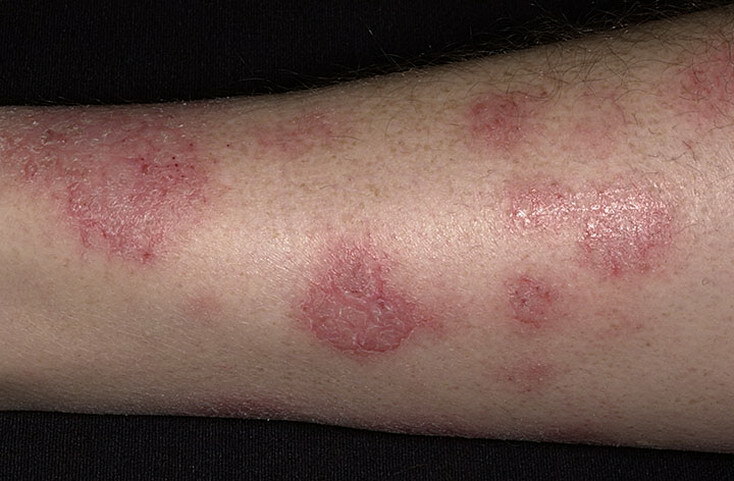 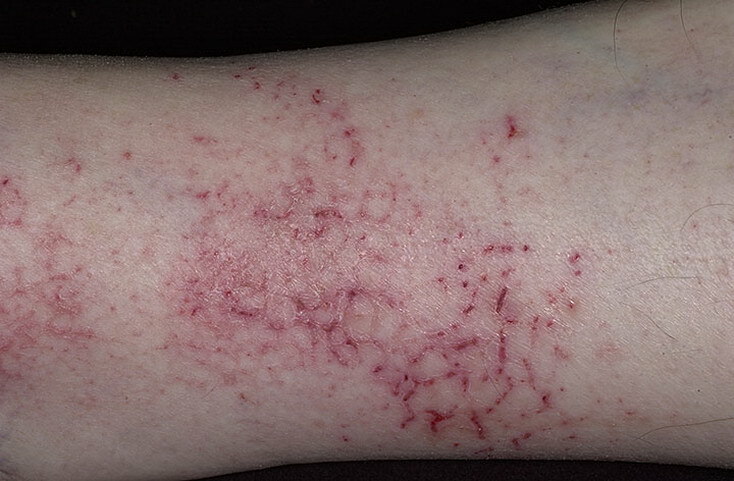 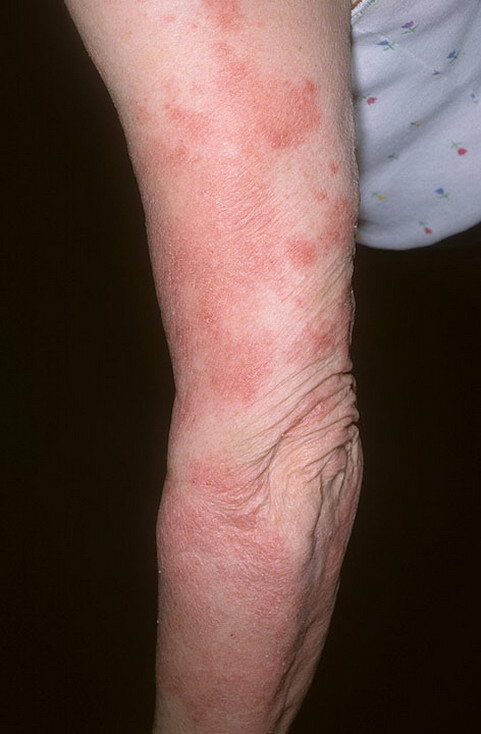 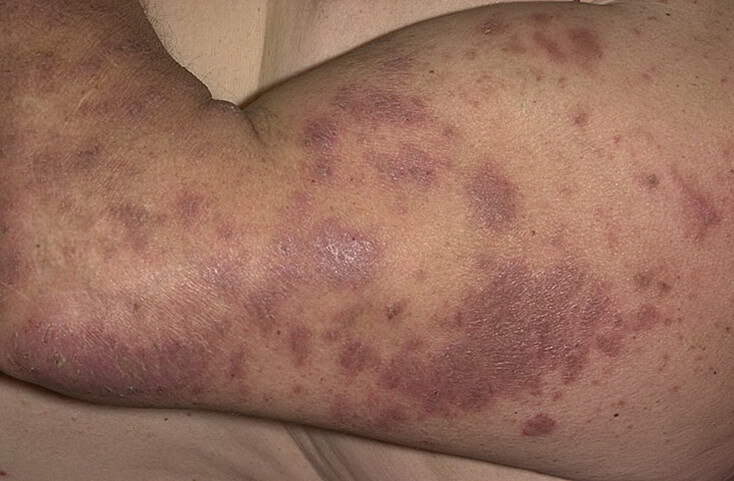 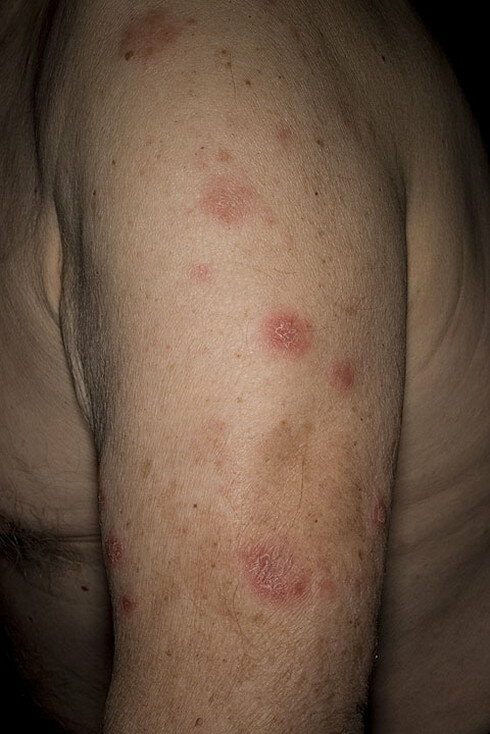 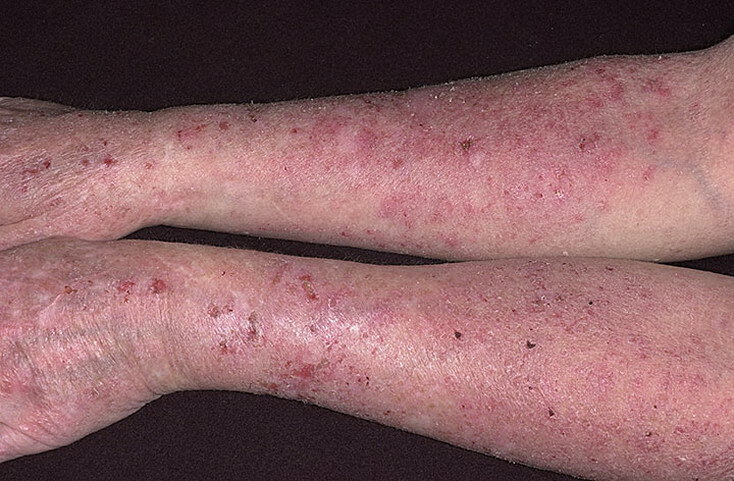 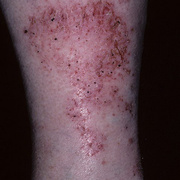 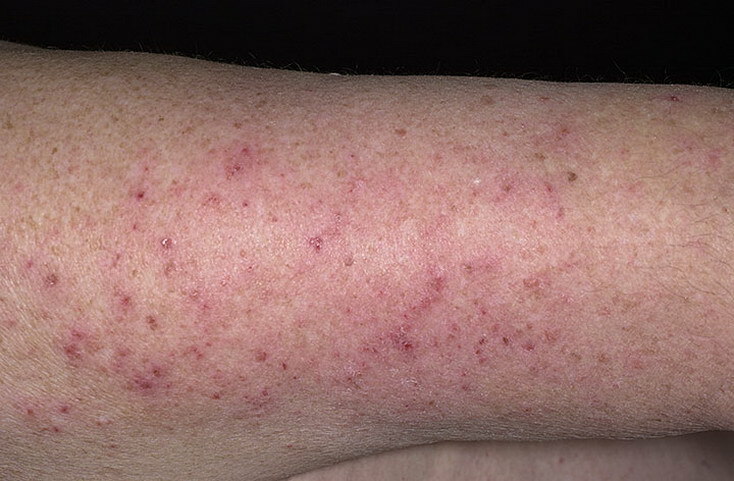 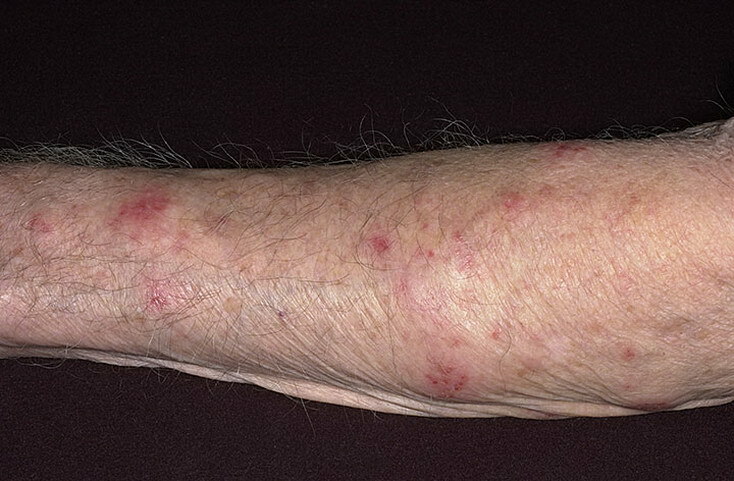 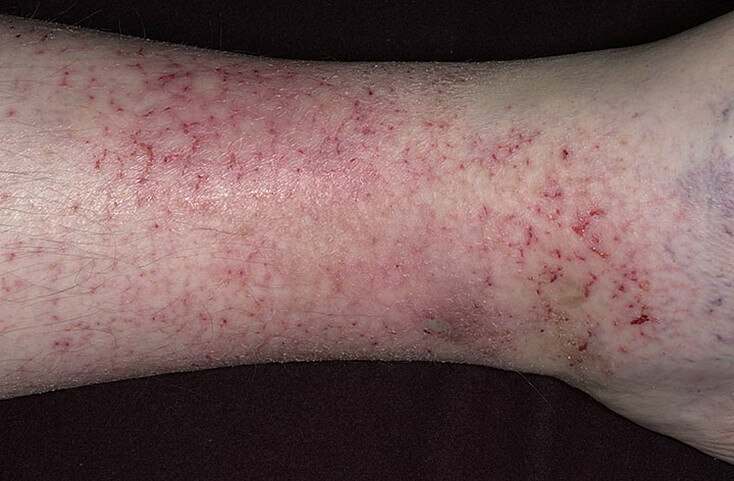 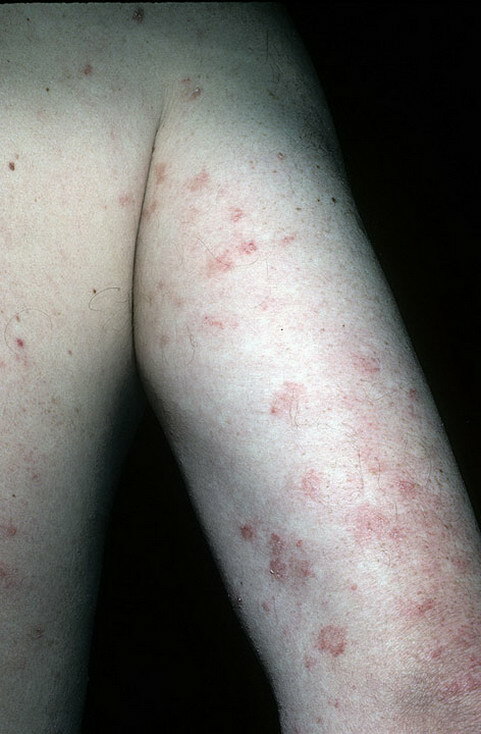 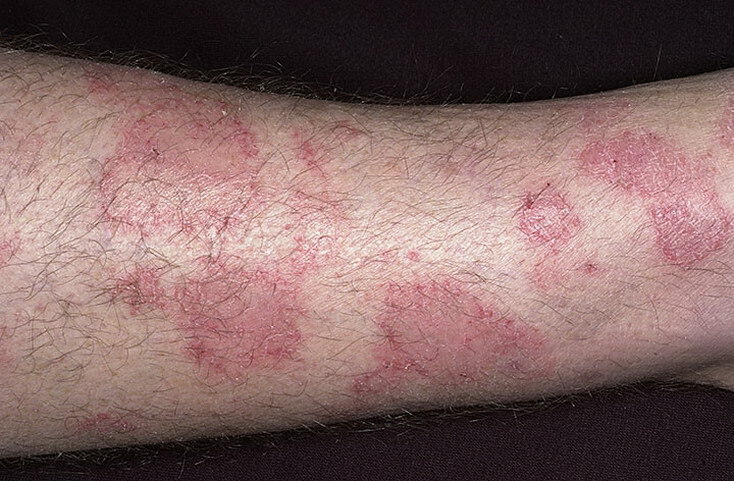 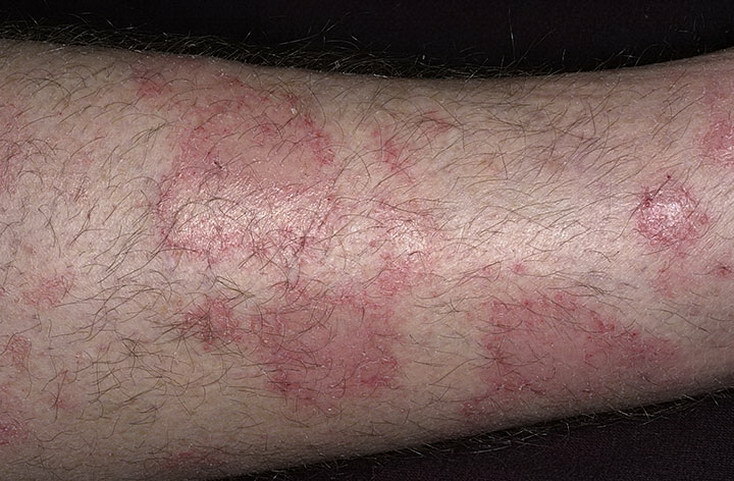 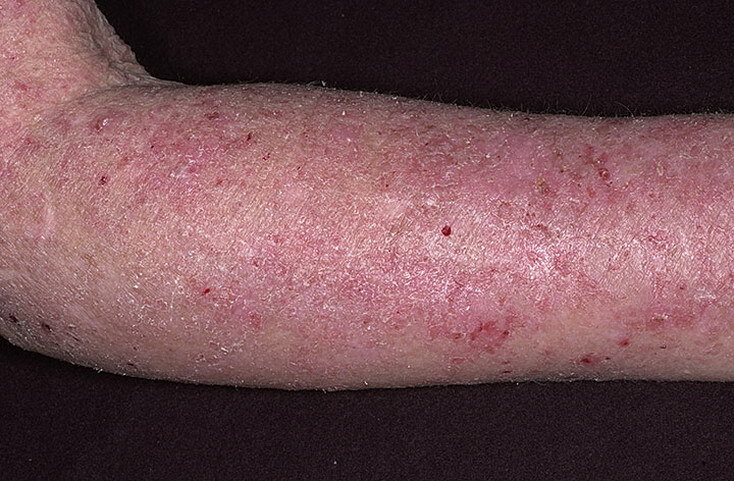 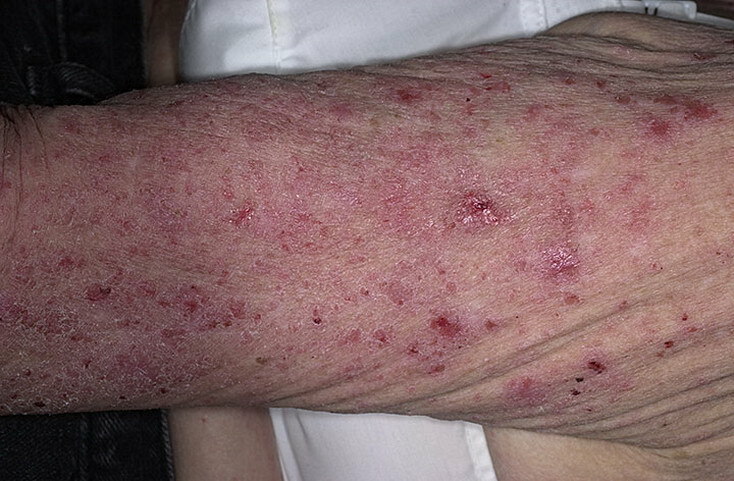 All types of eczema cause itching and redness of the skin. 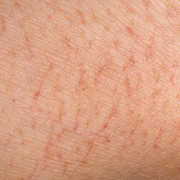 But some, like hand eczema, look and act slightly different than others. 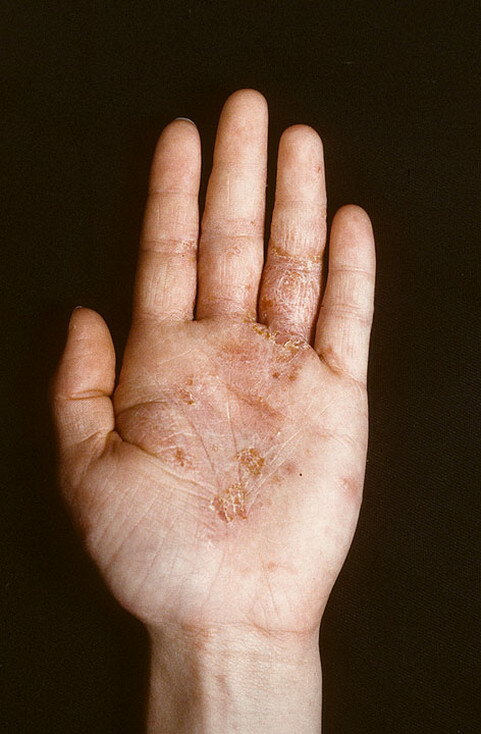 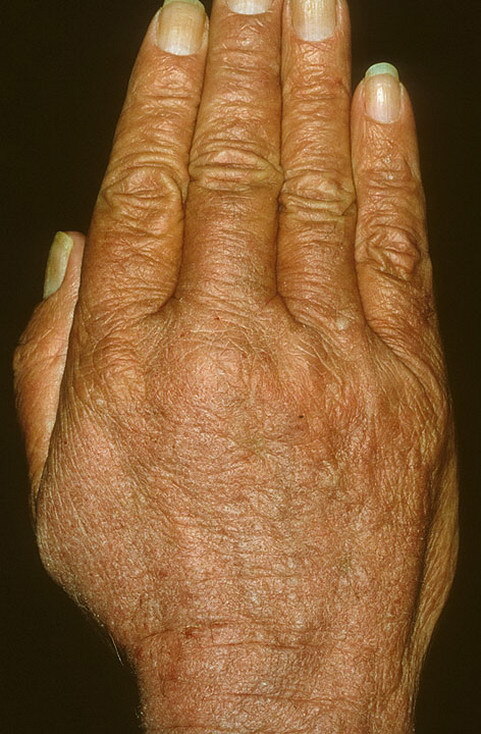 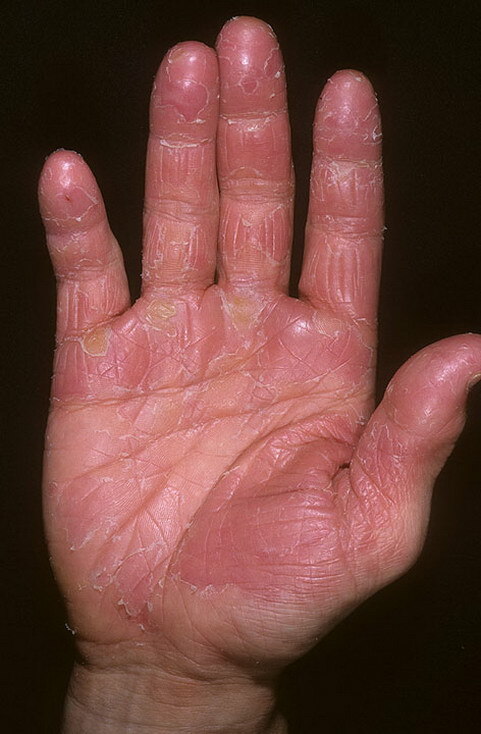 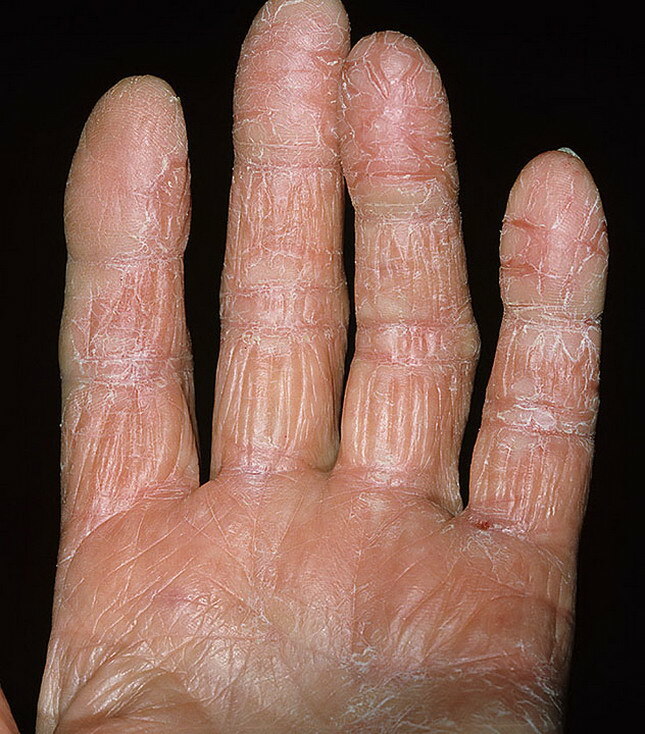 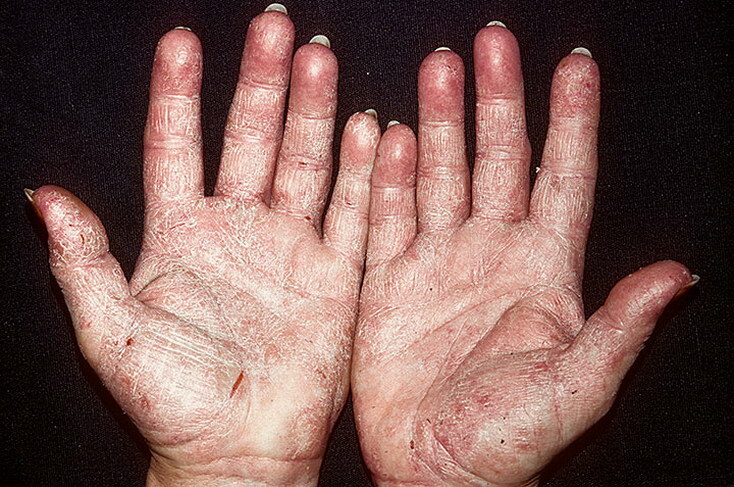 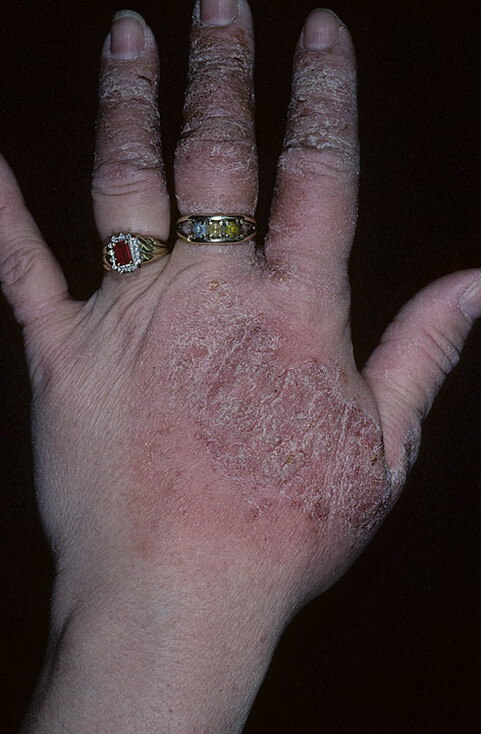 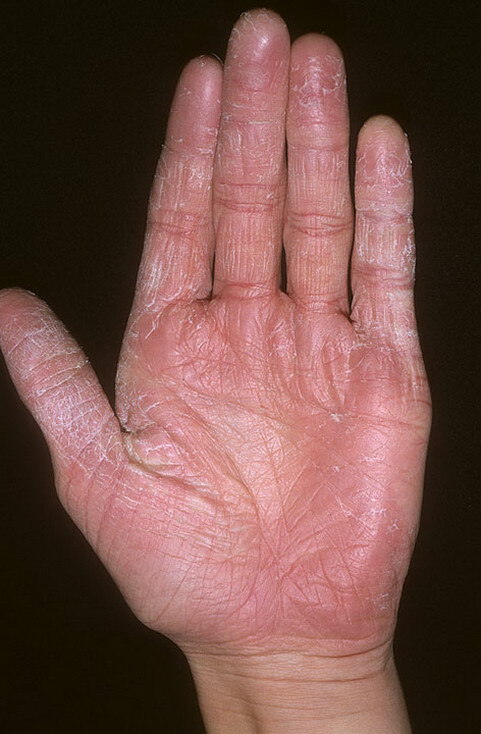 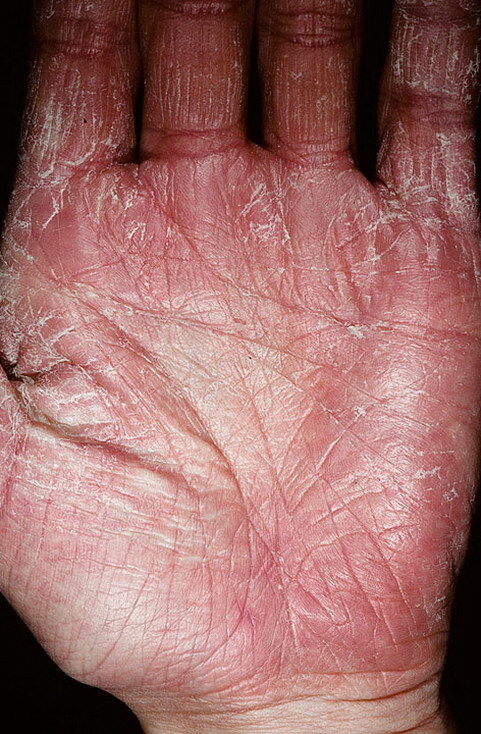 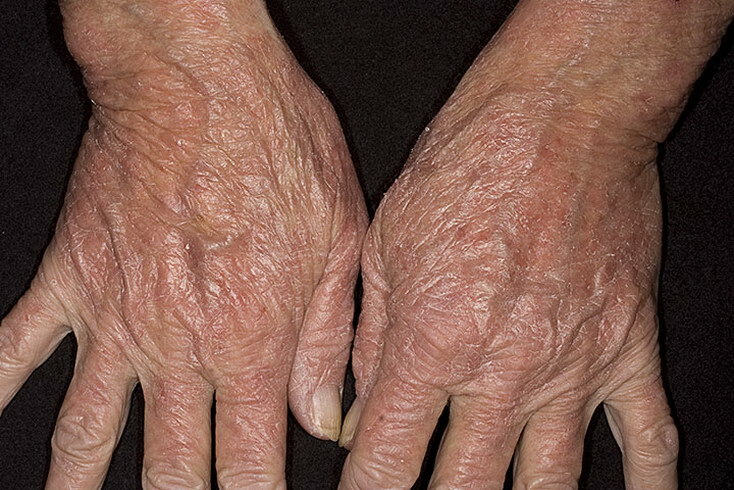 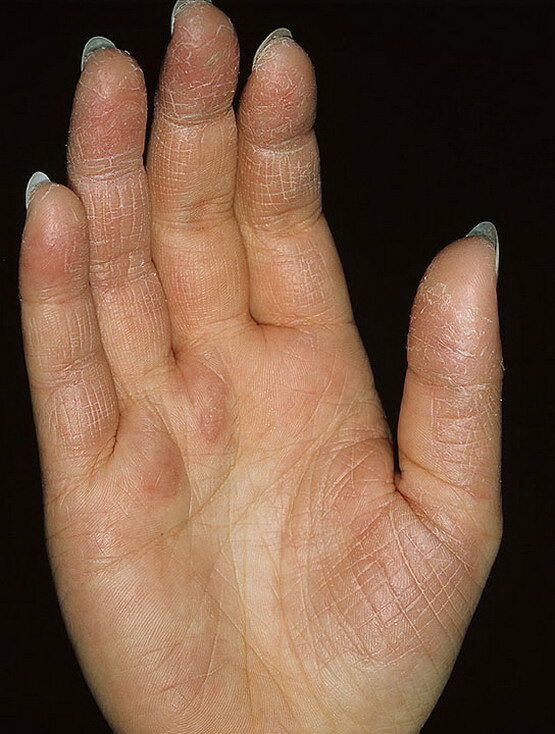 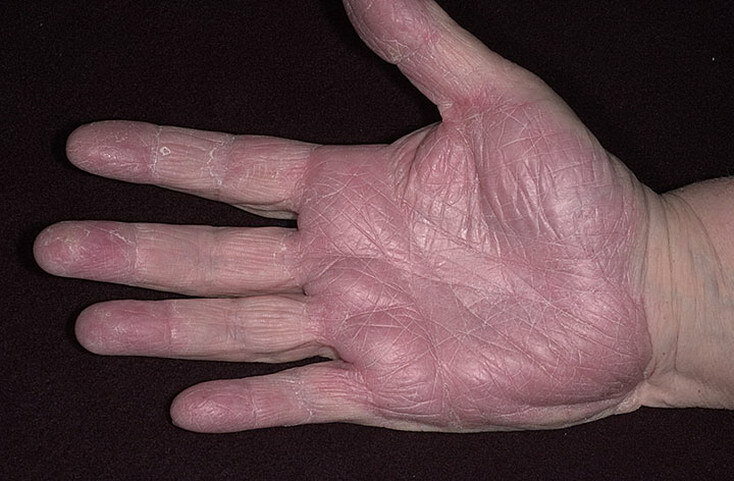 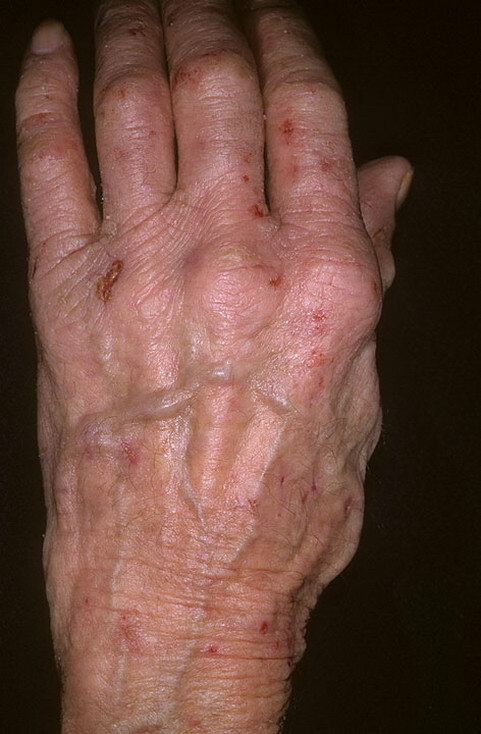 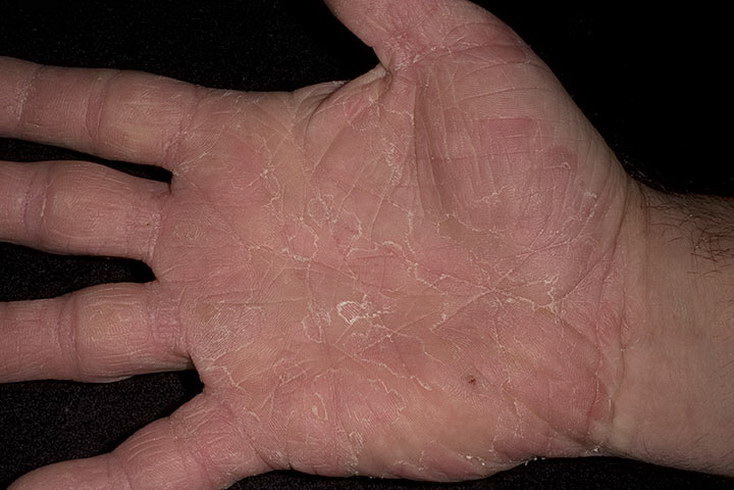 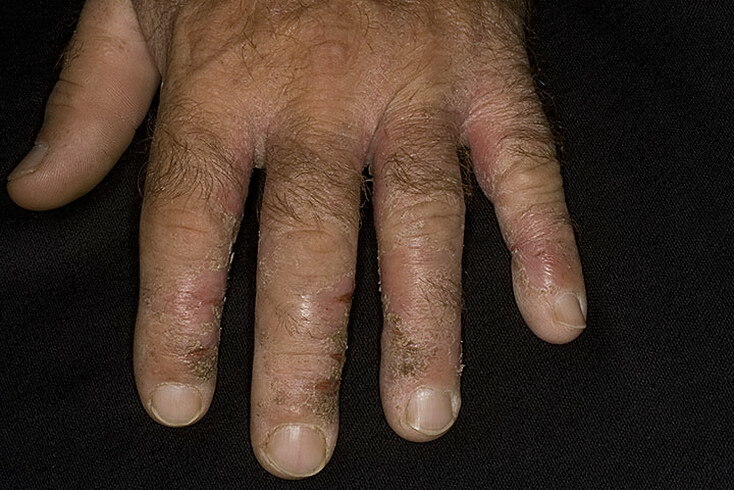 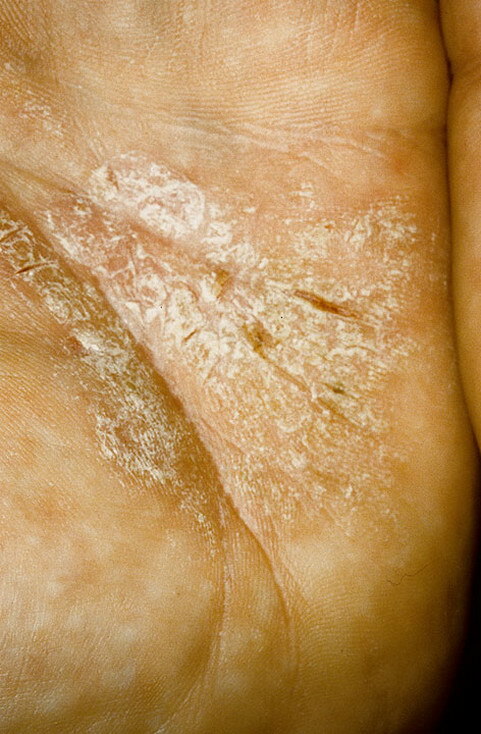 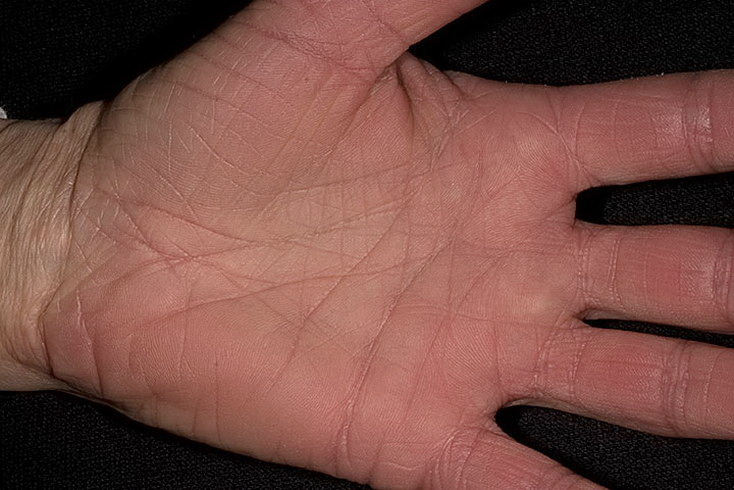 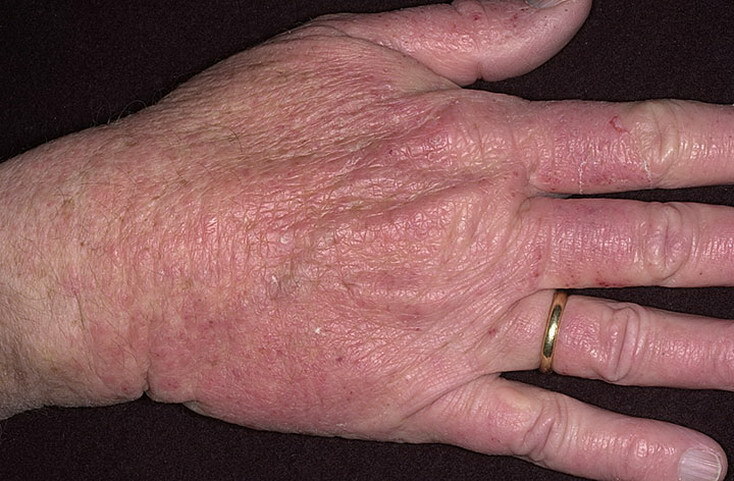 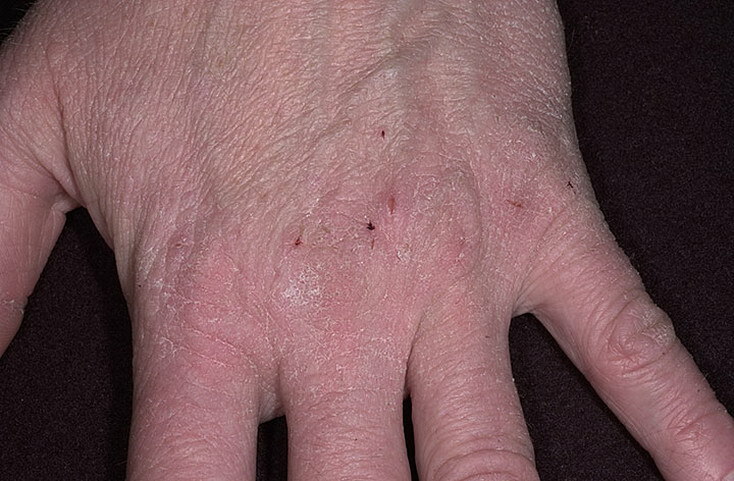 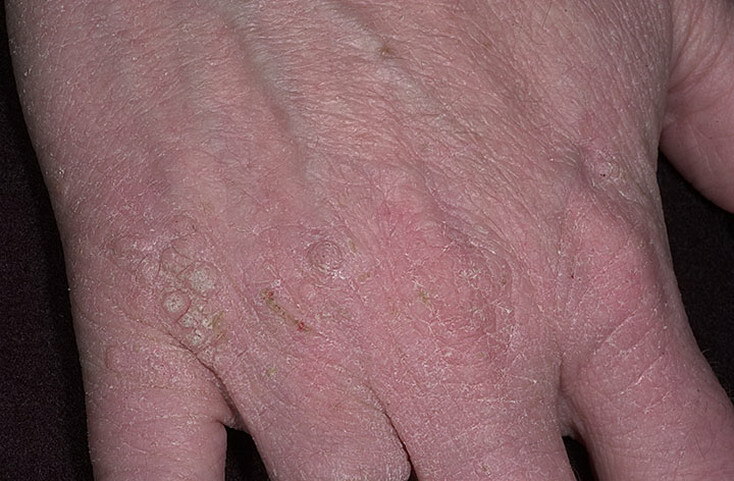 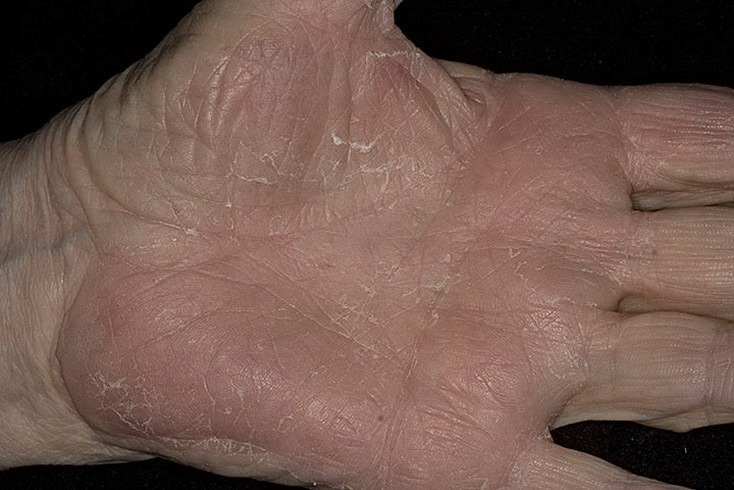 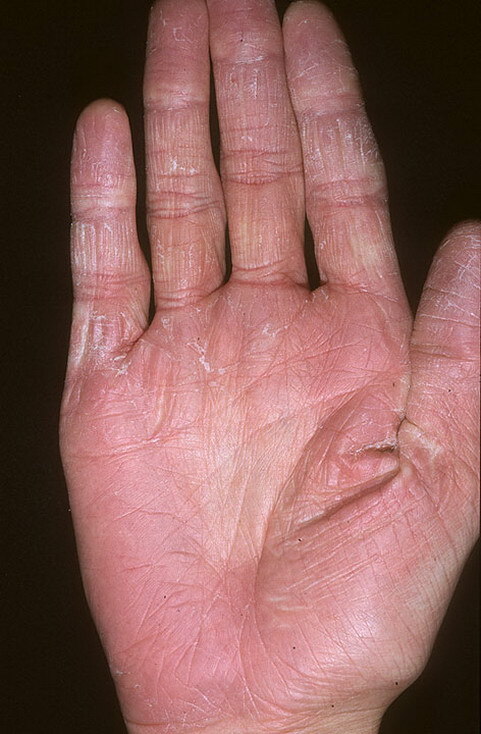 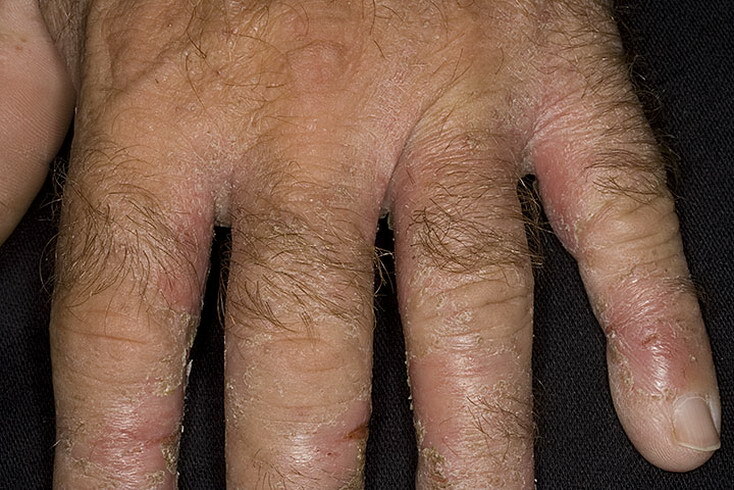 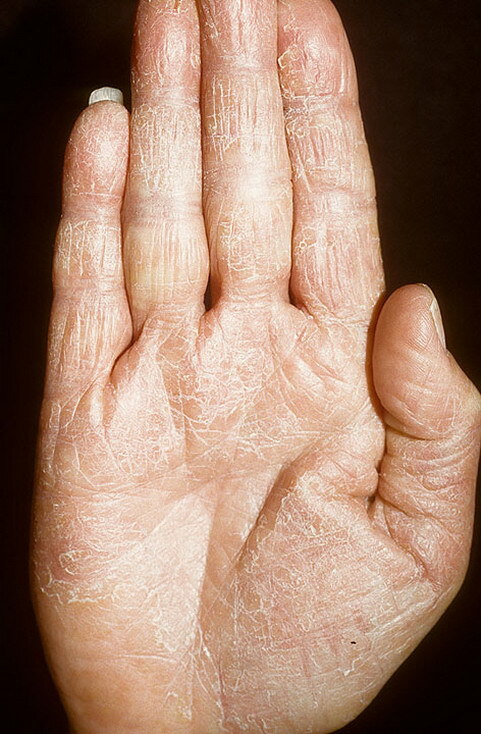 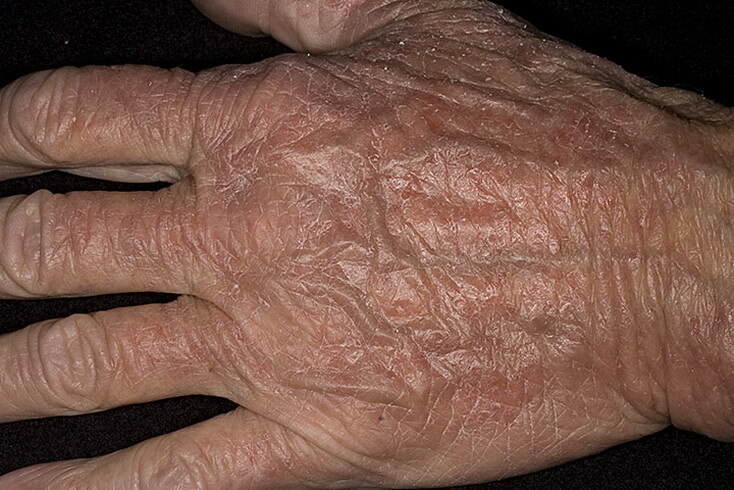 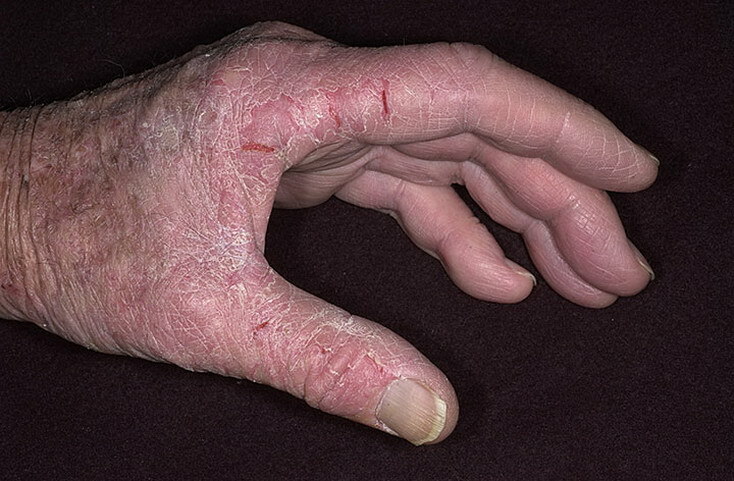 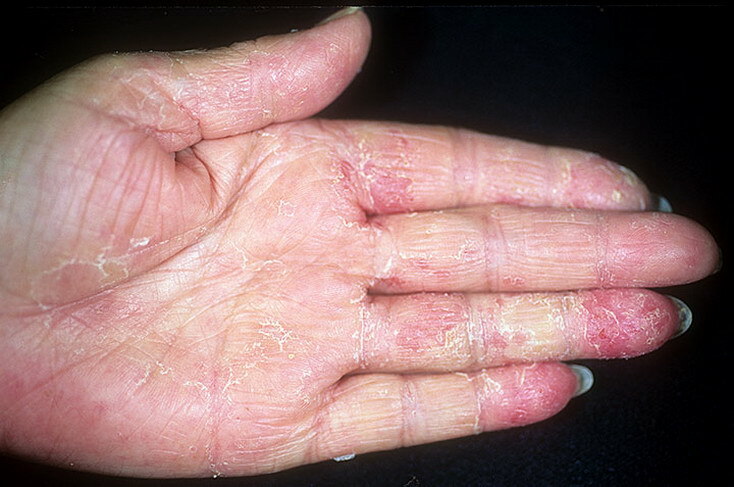 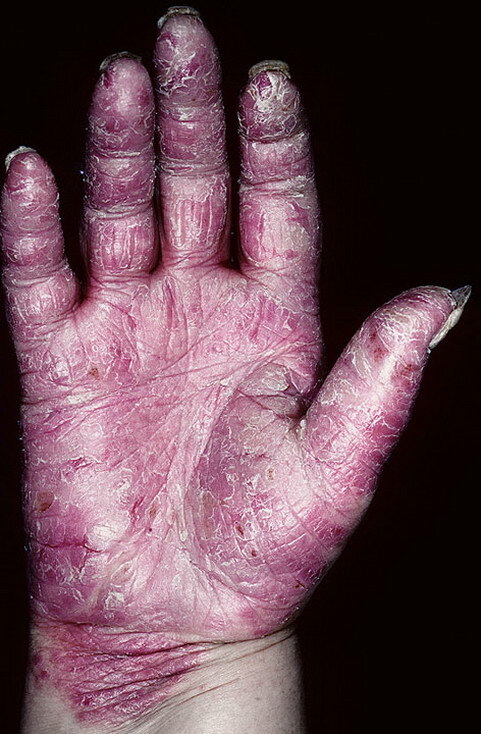 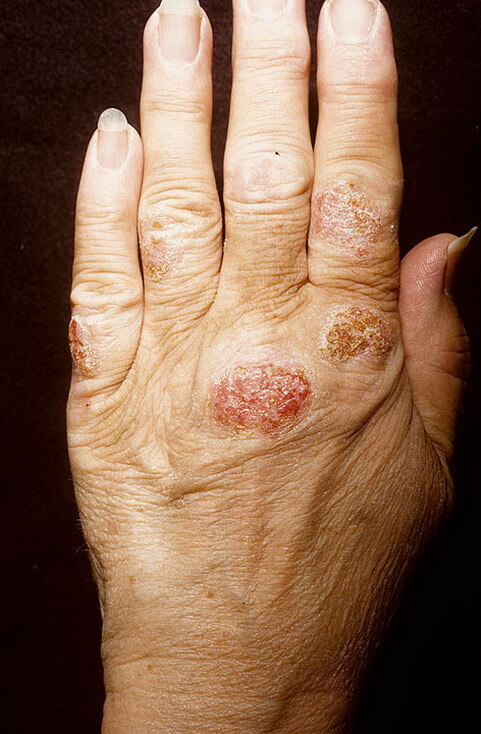 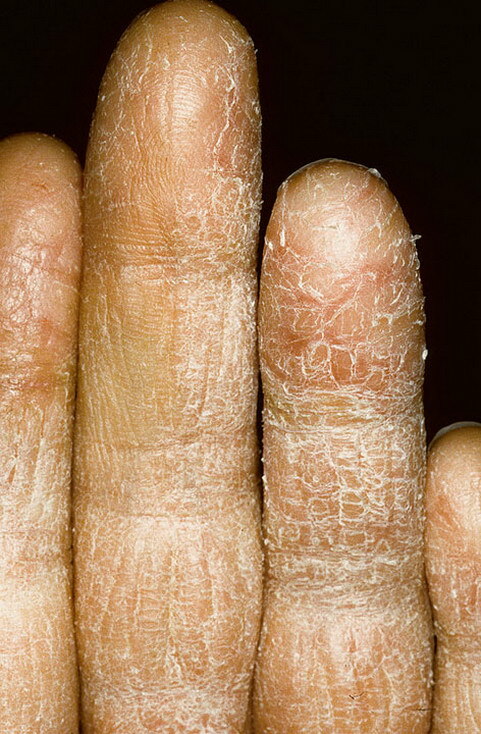 Hand eczema, also known as hand dermatitis, is a common condition that affects about 10% of population. 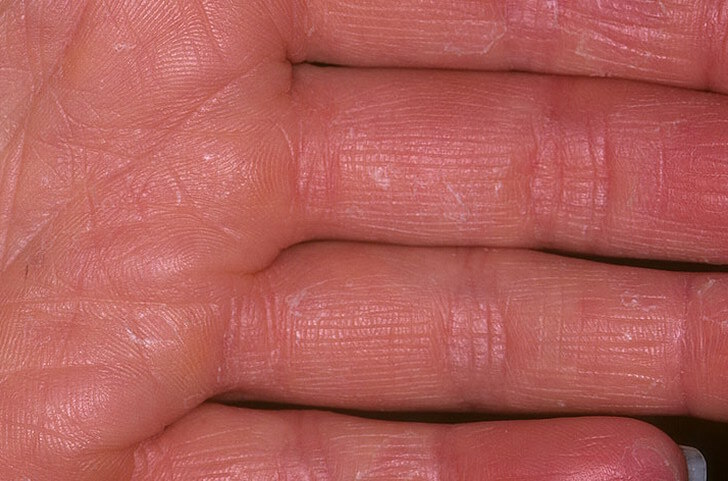 Both genetics and contact allergens (irritating substances) play a role in “triggering” this form of eczema. 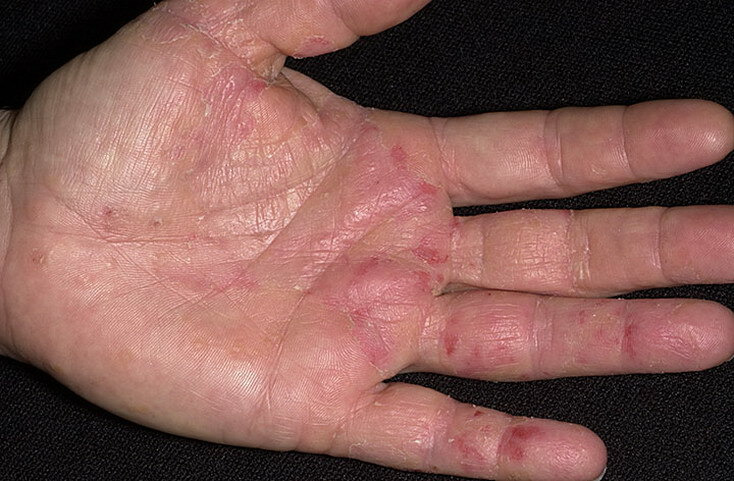 It often affects people who work in cleaning, catering, hairdressing, healthcare and mechanical jobs where they may come into contact with chemicals and other irritants. 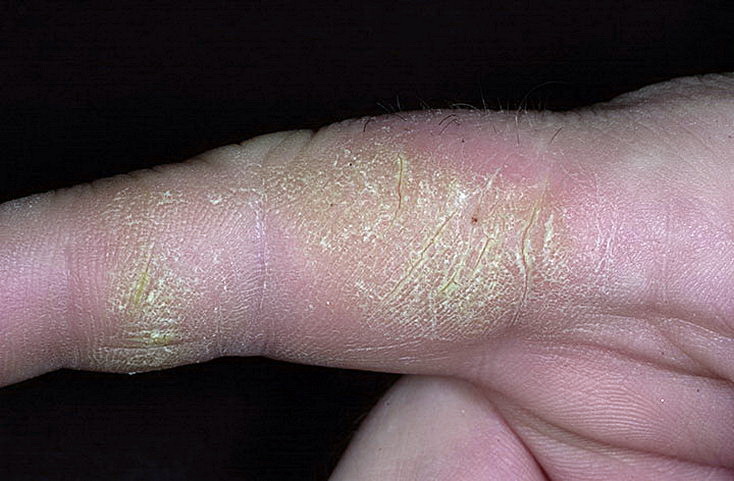 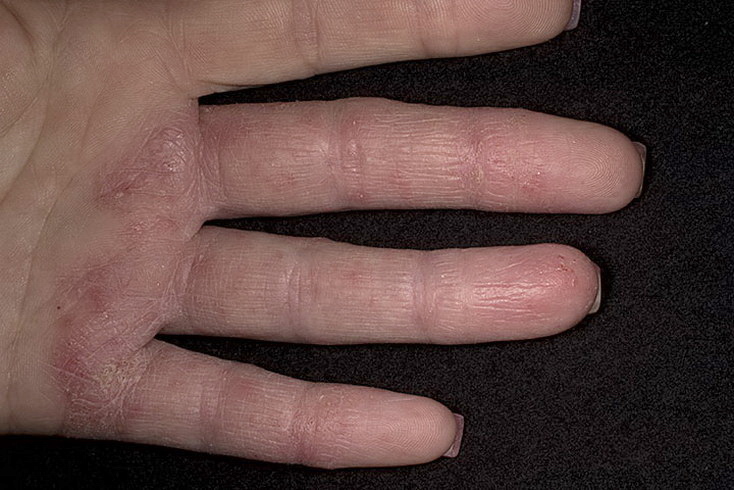 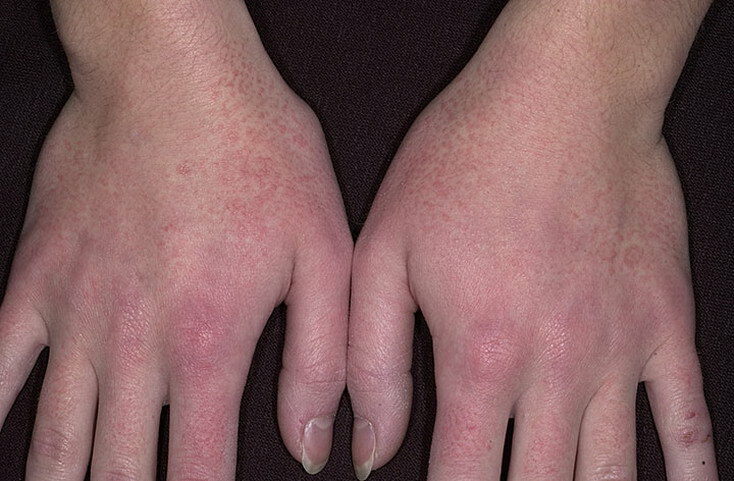 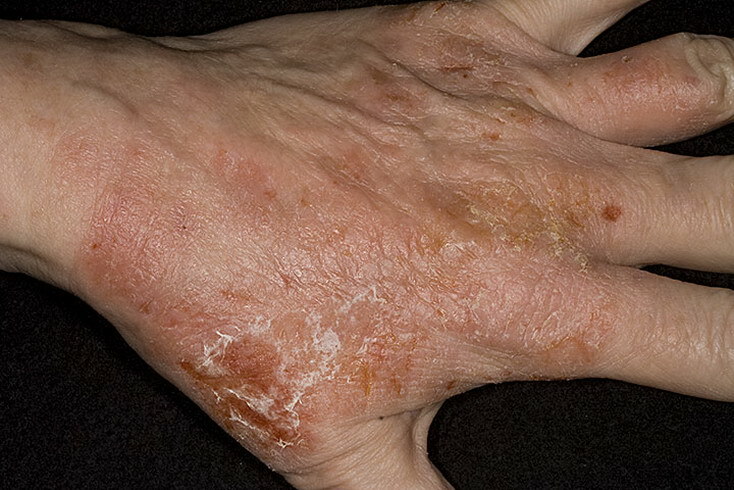 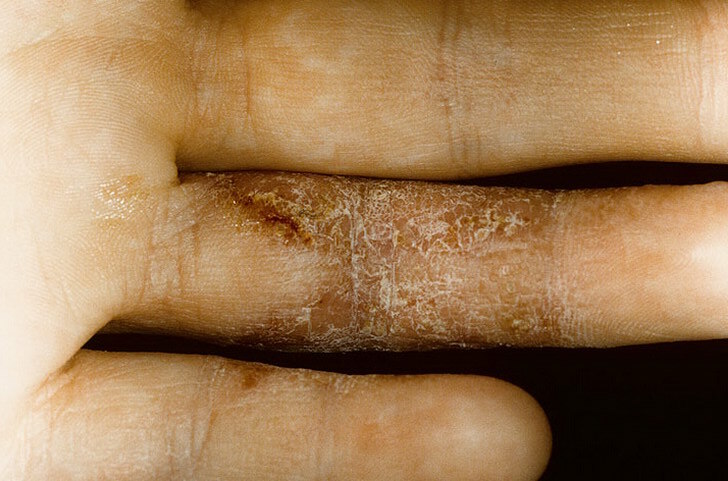 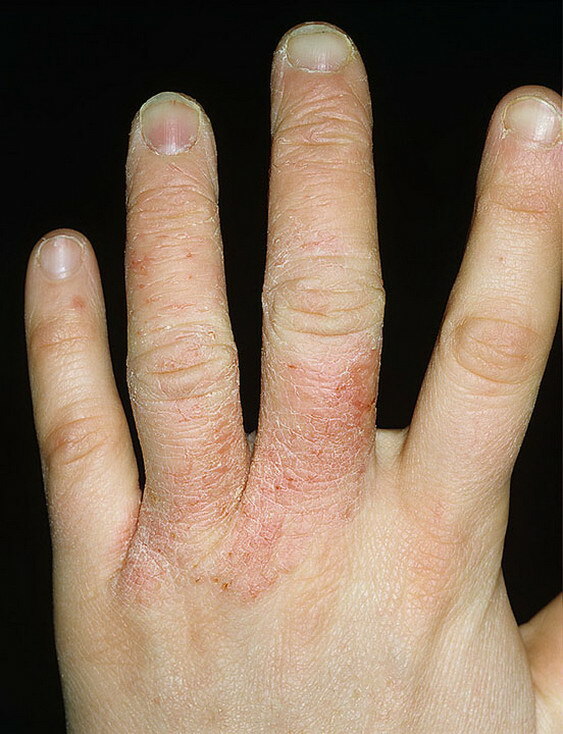 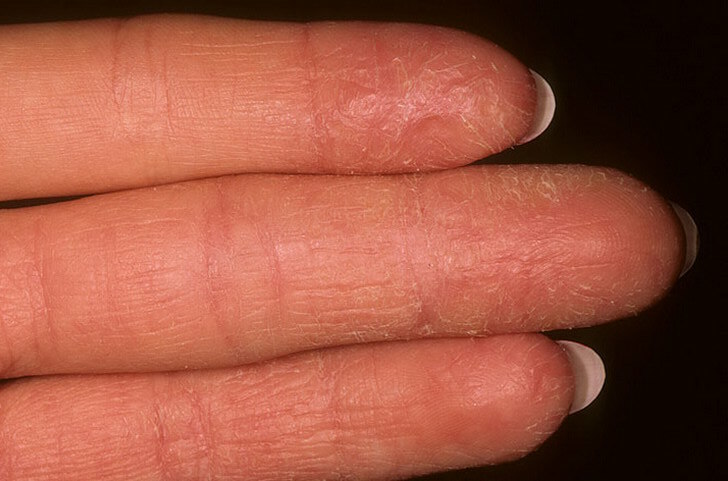 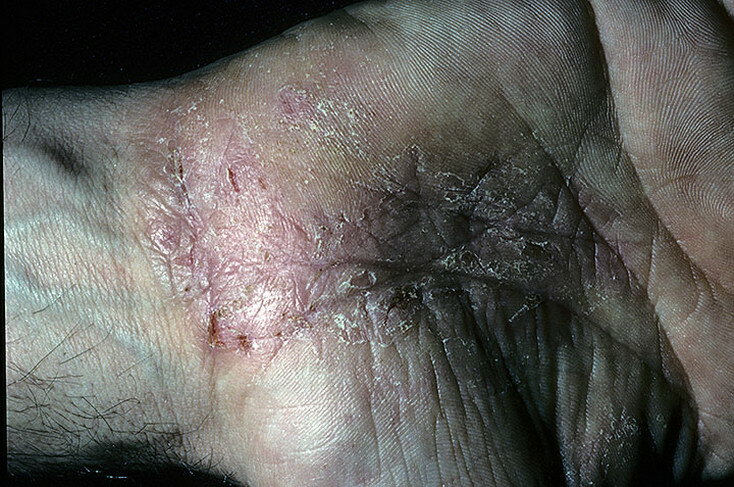 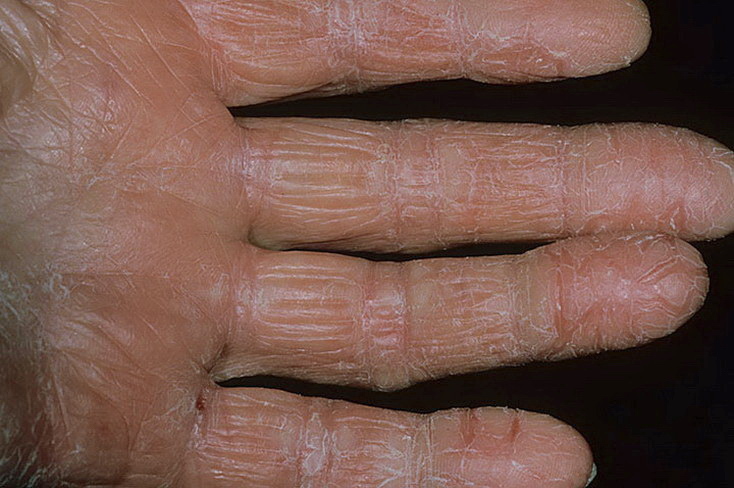 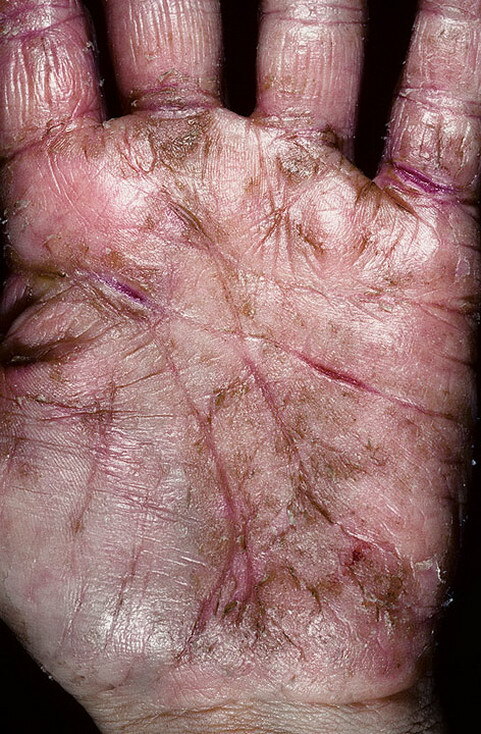 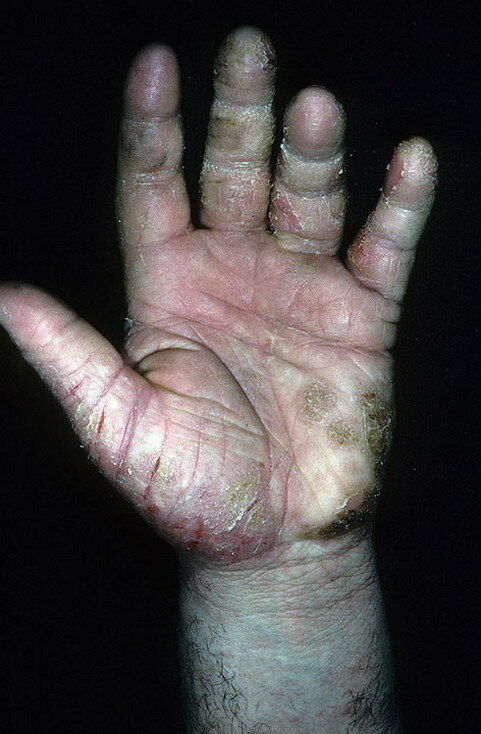 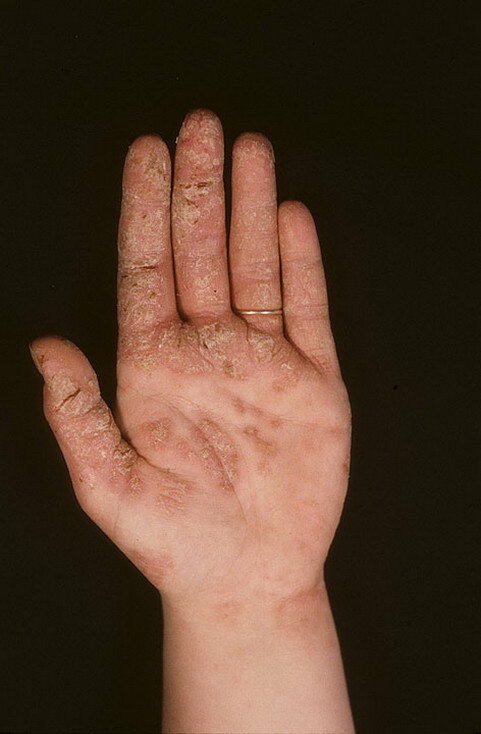 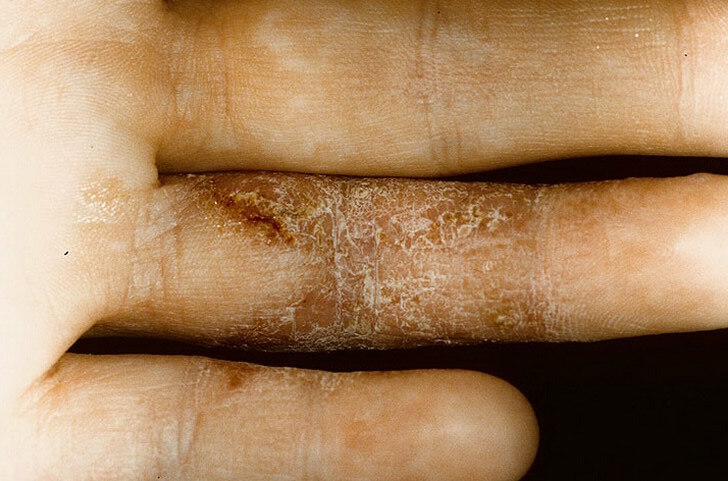 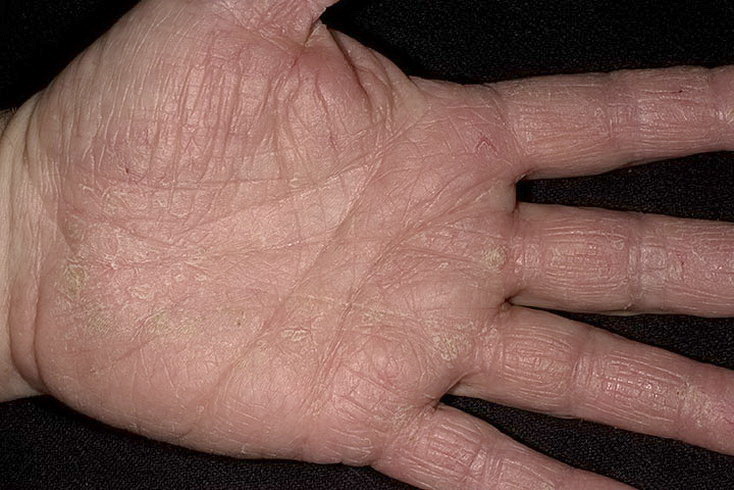 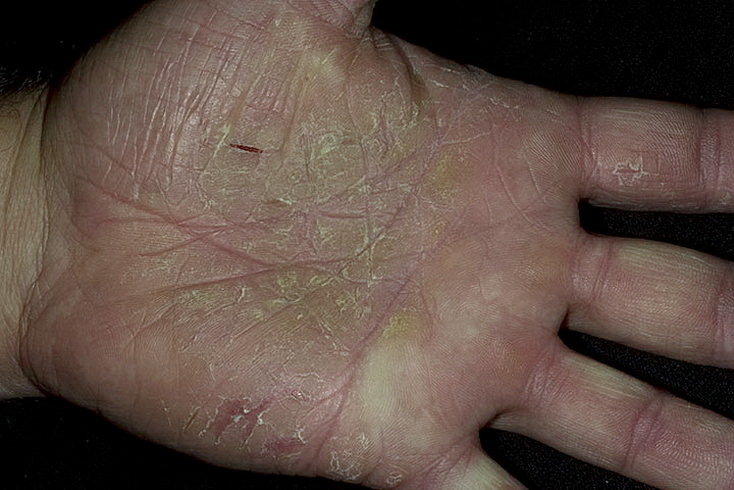 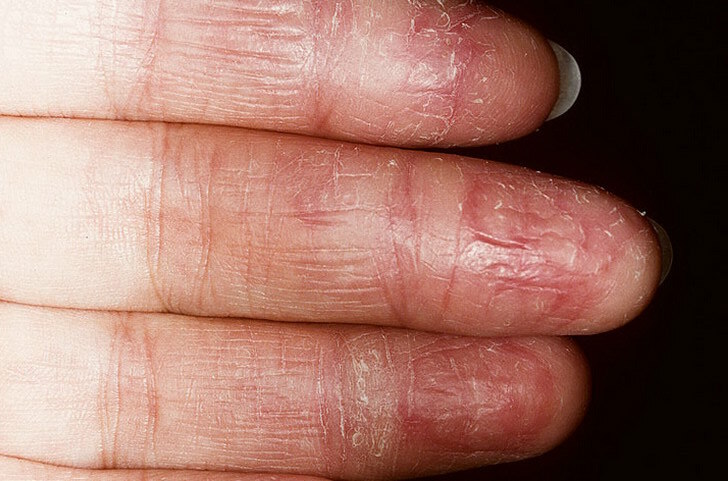 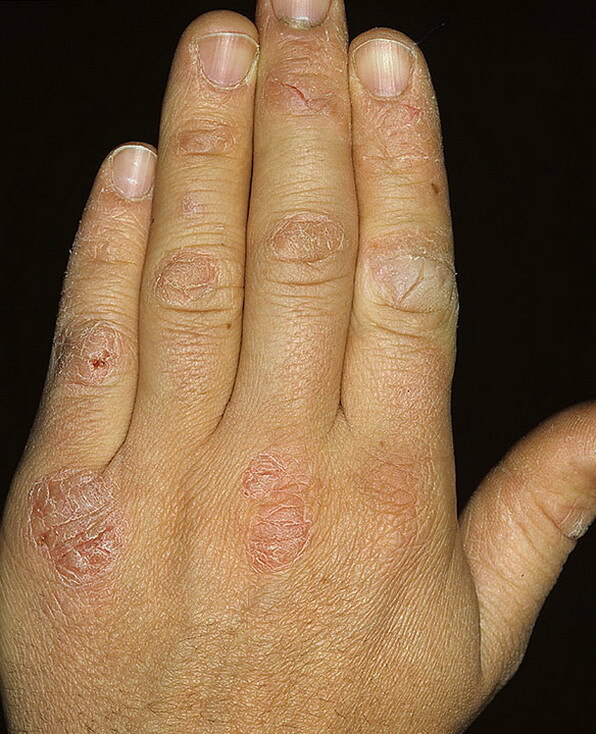 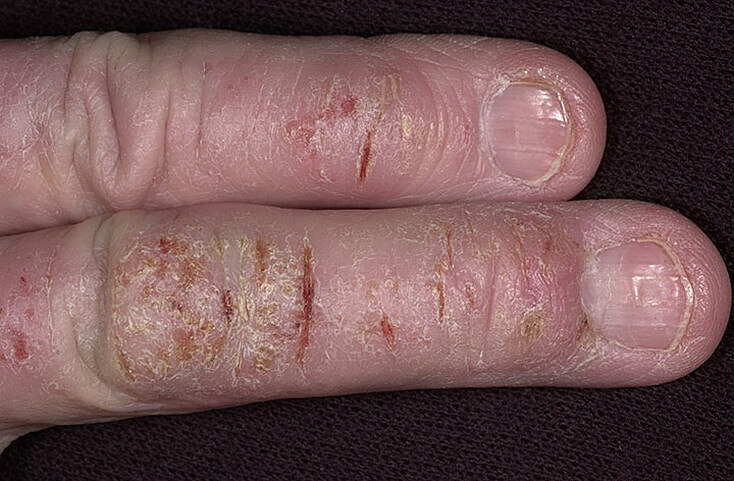 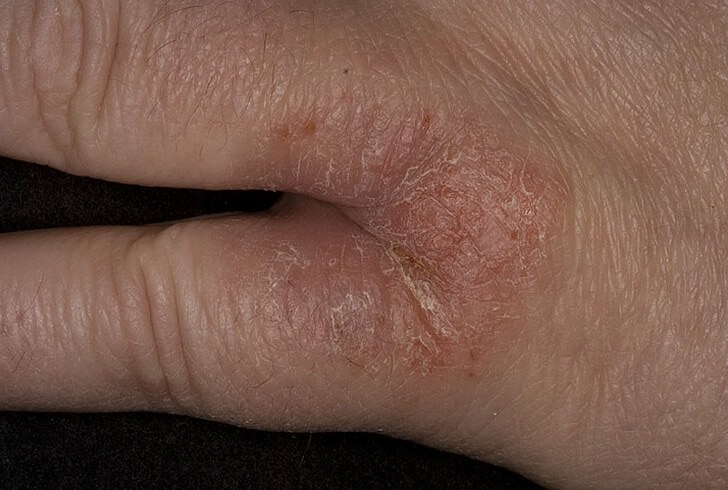 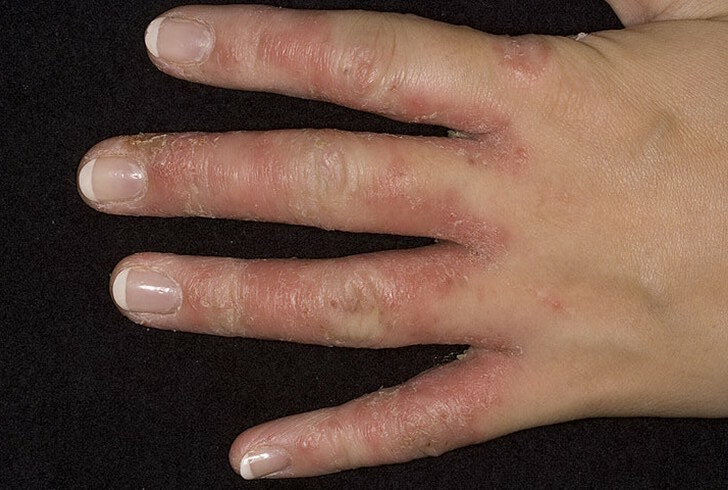 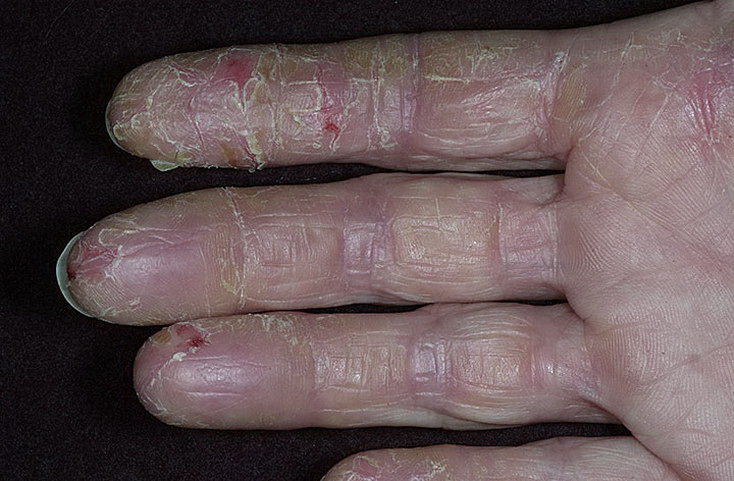 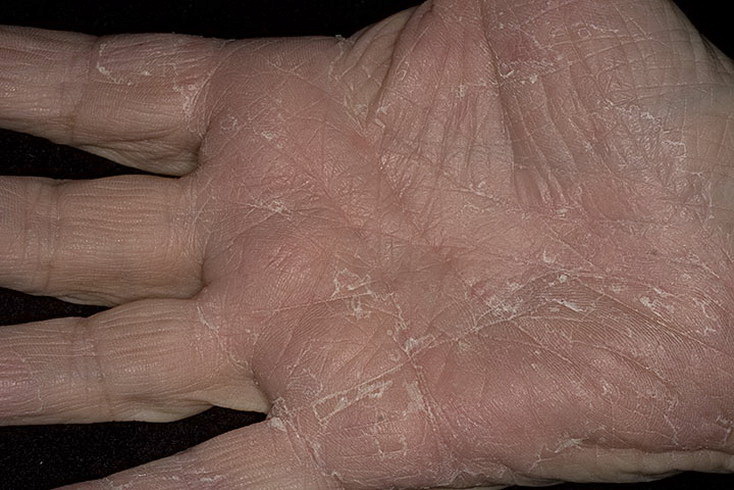 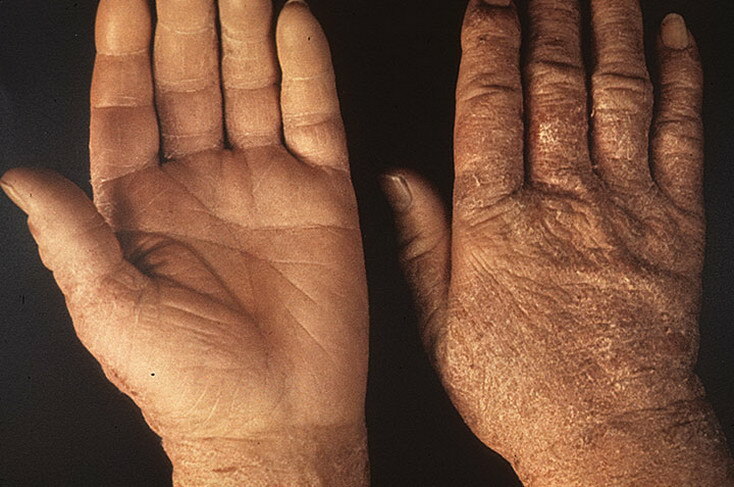 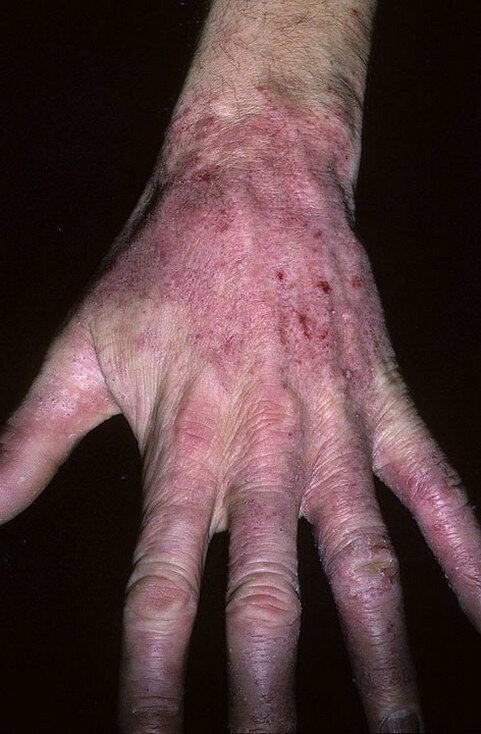 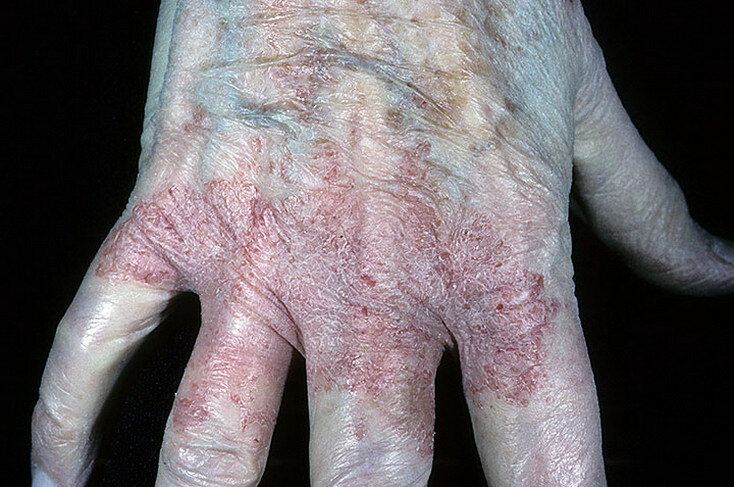 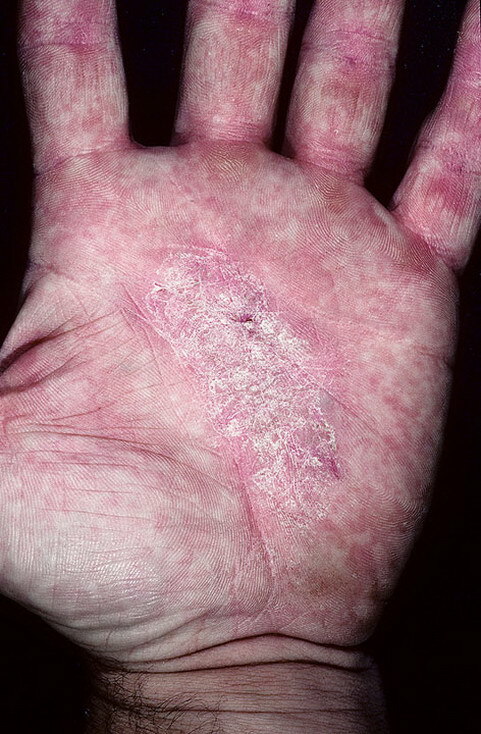 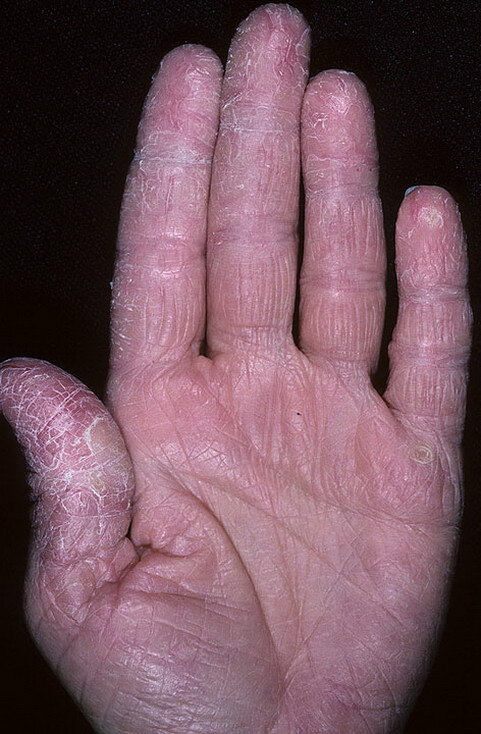 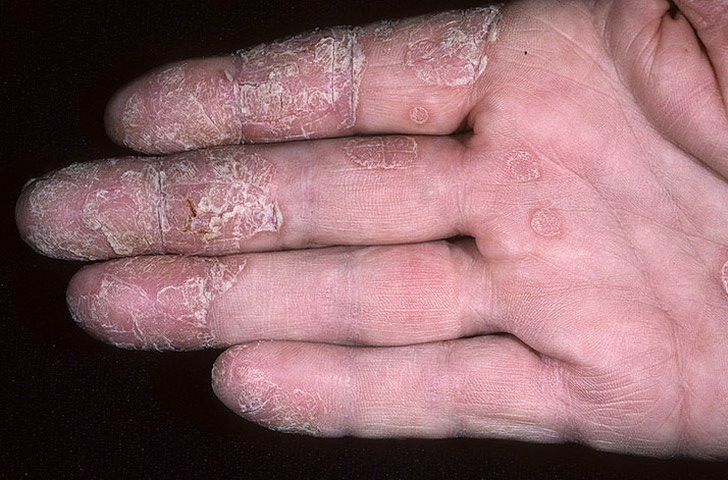 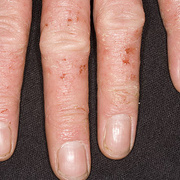 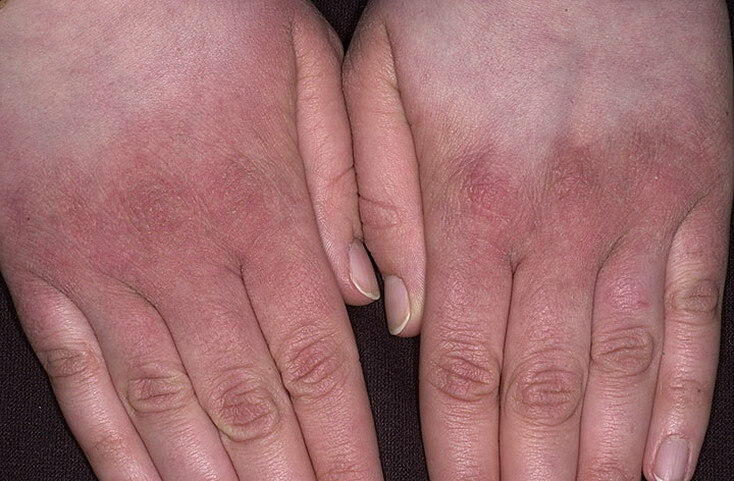 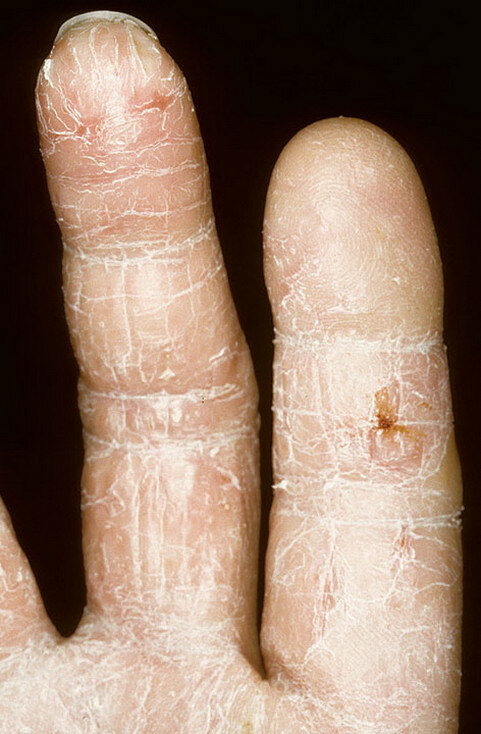 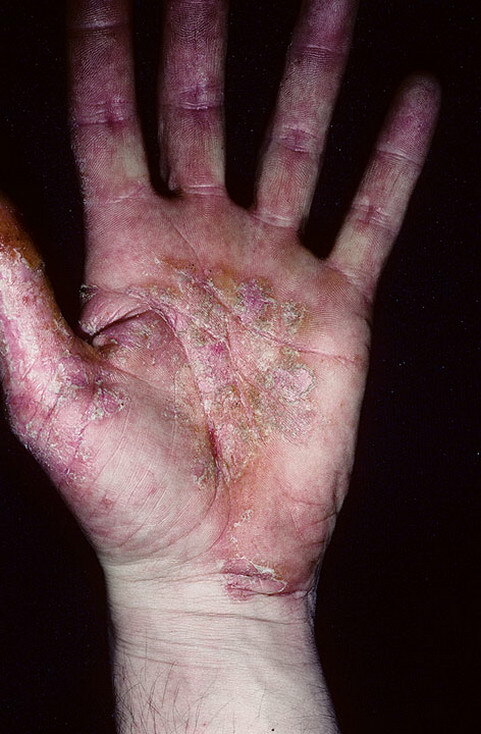 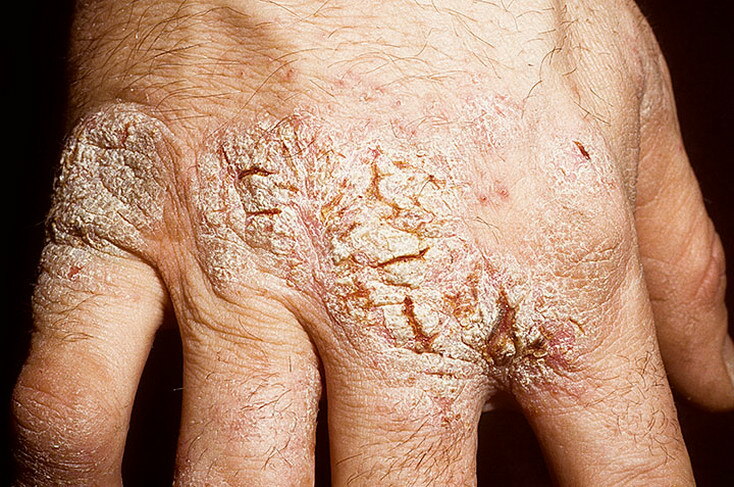 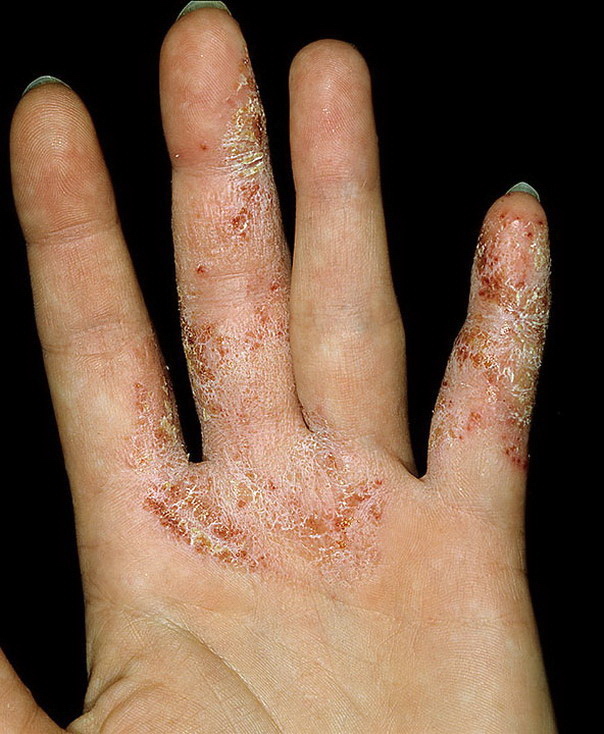 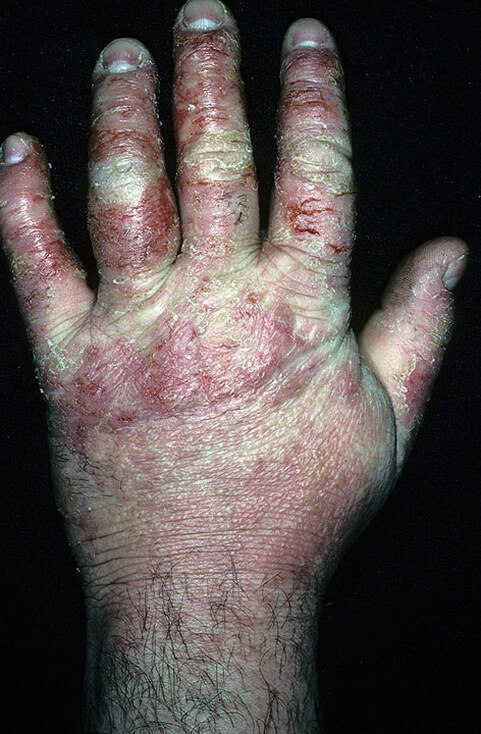 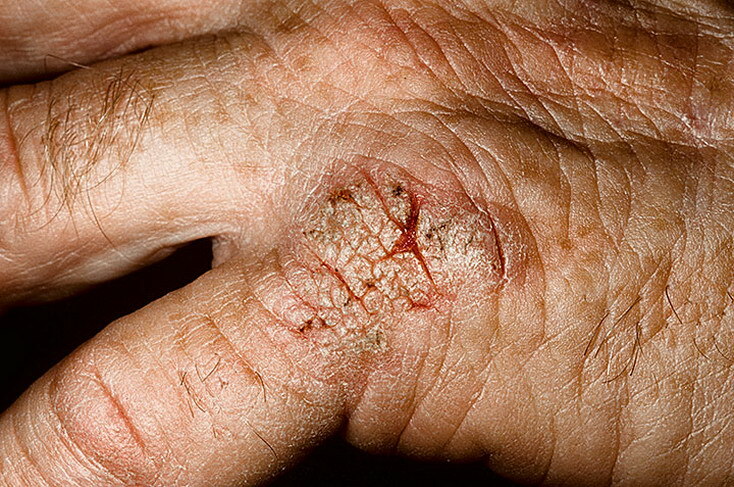 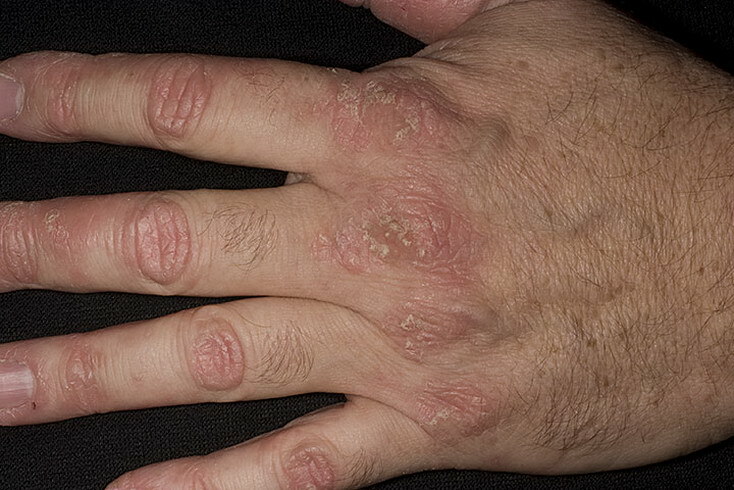 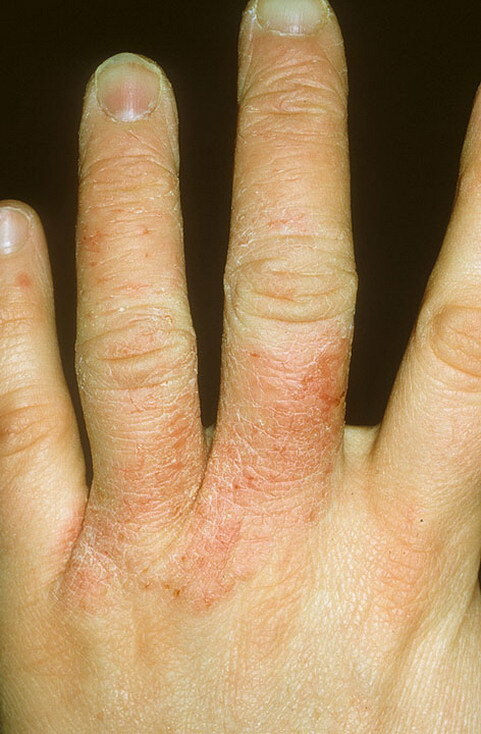 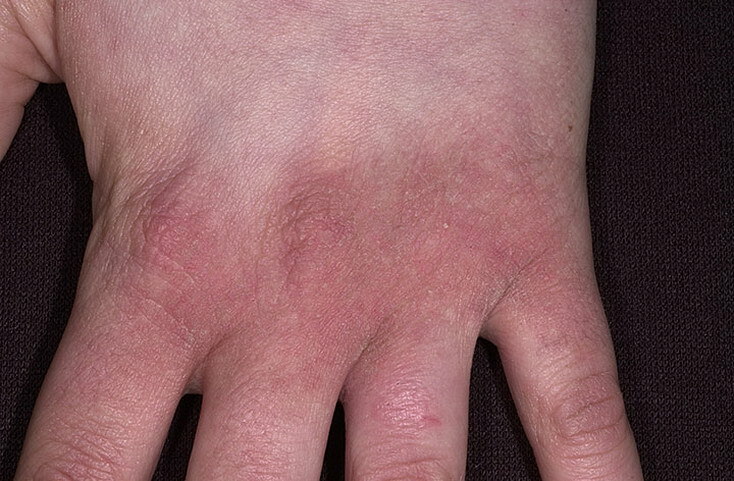 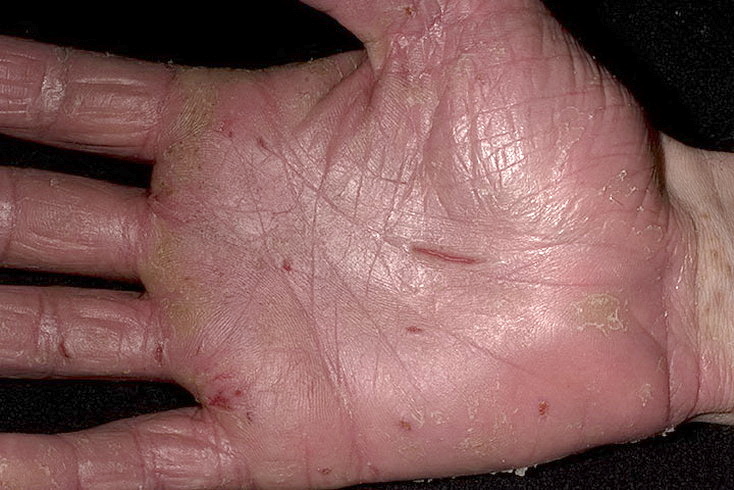 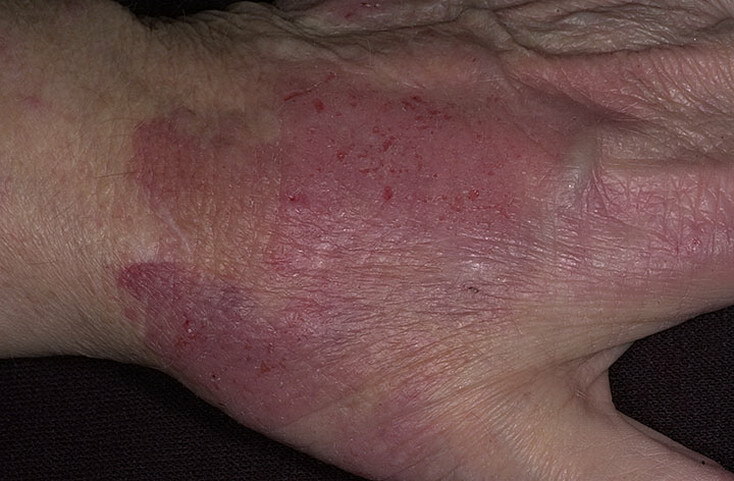 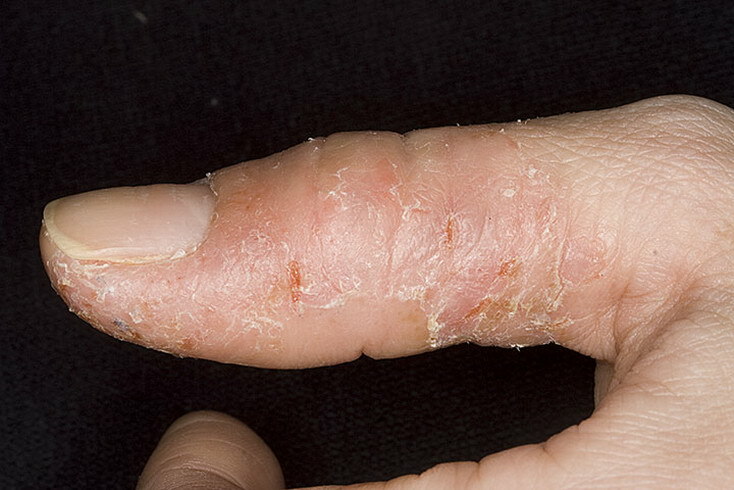 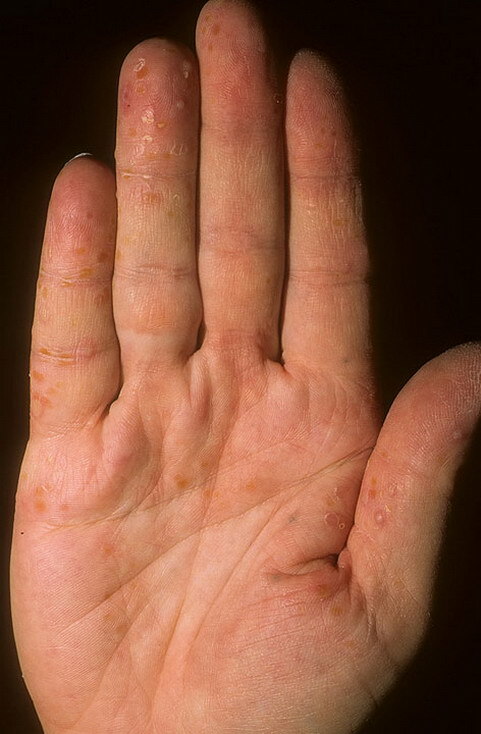 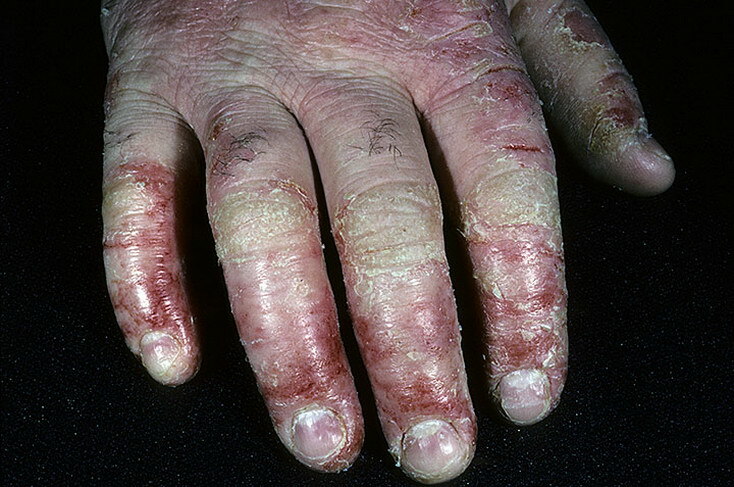 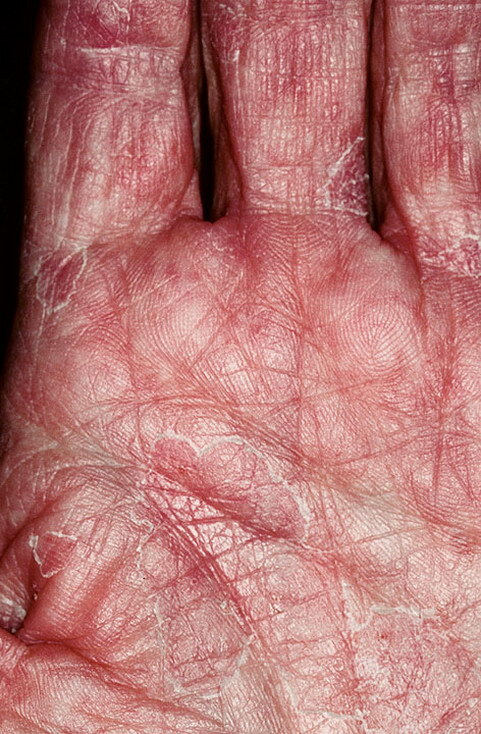 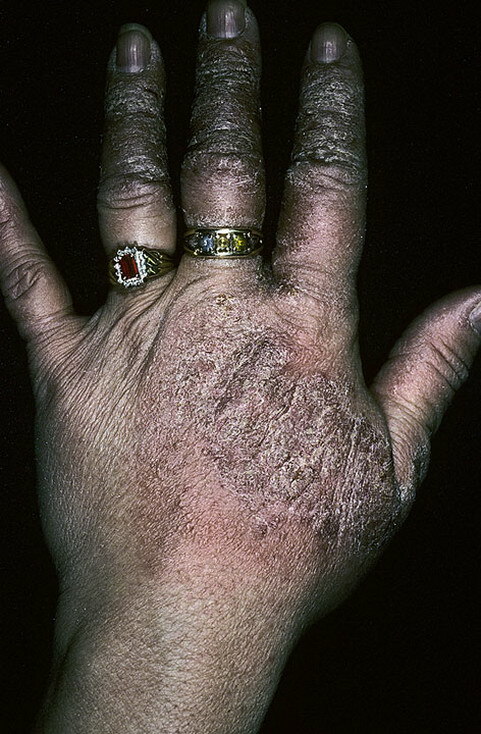 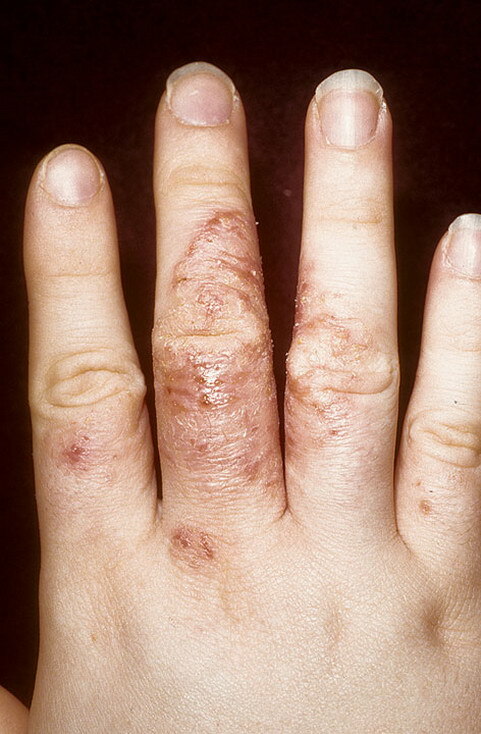 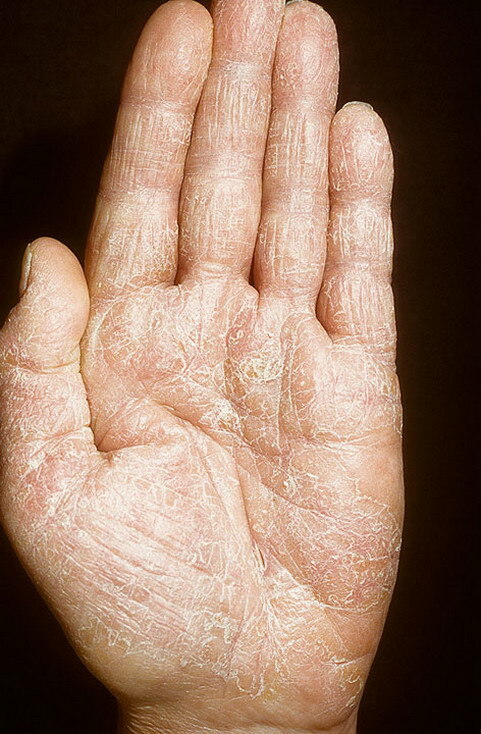 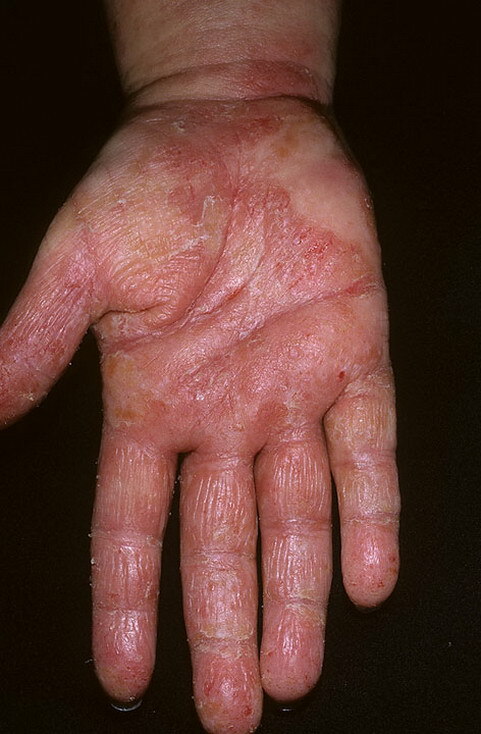 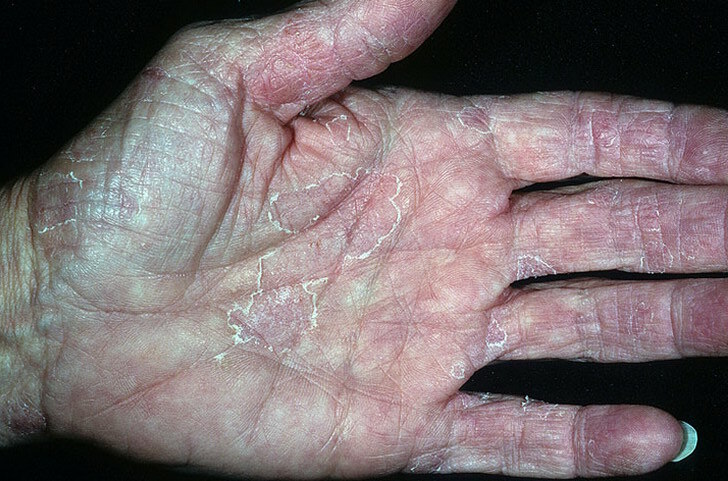 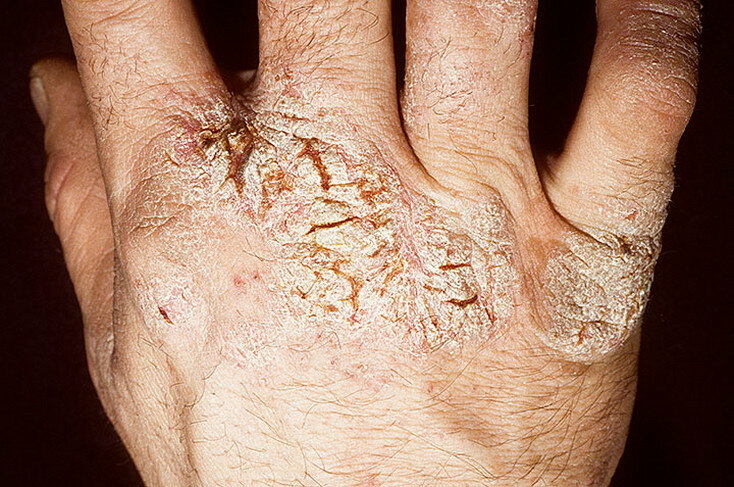 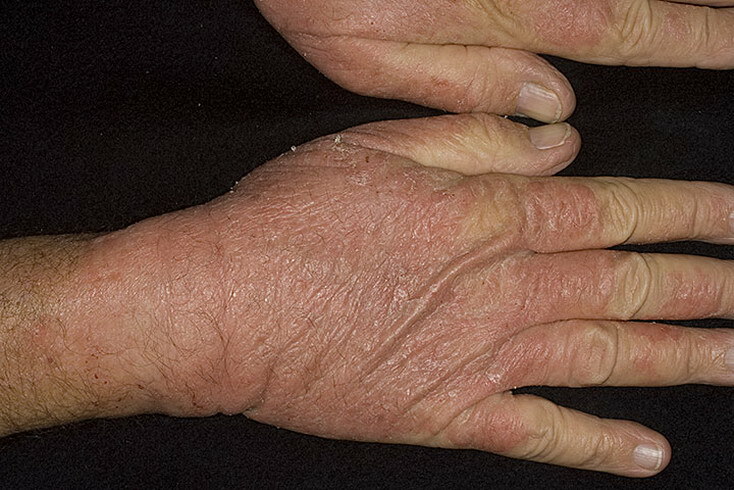 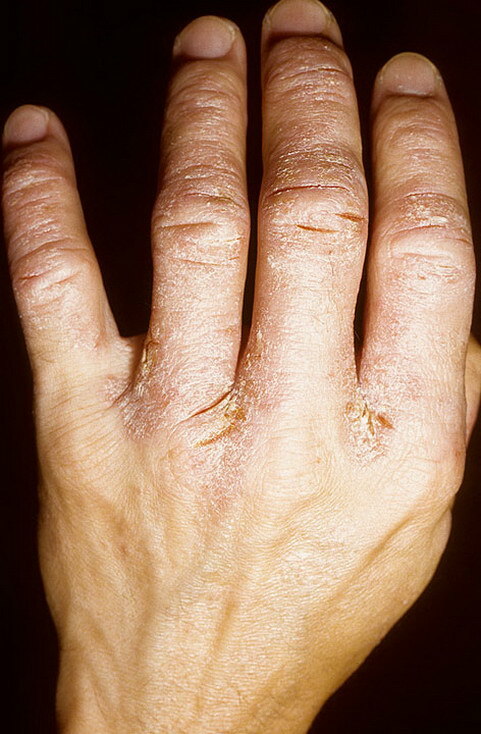 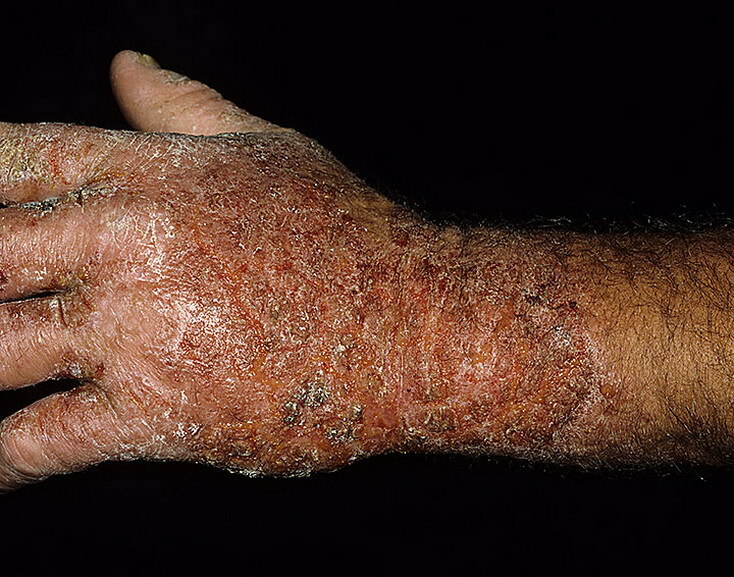 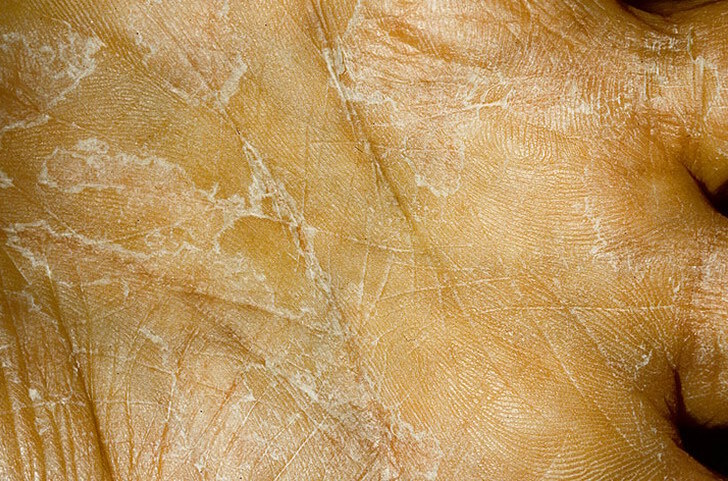 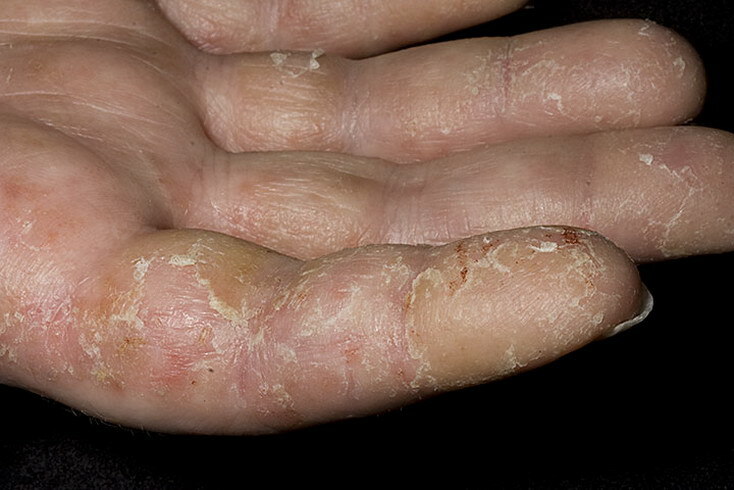 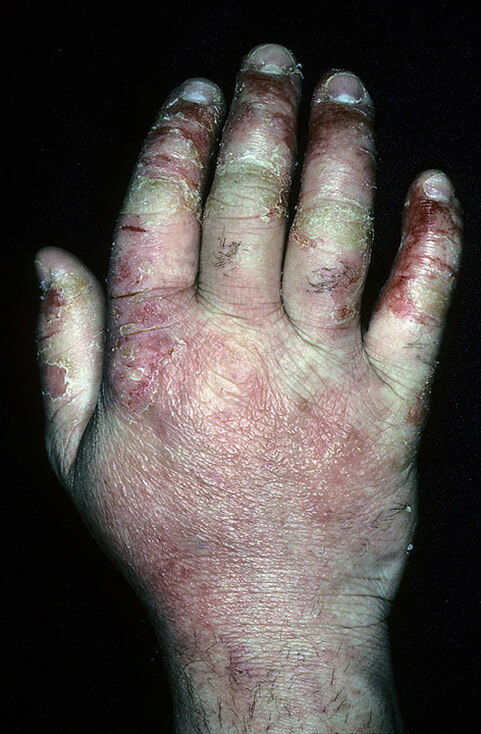 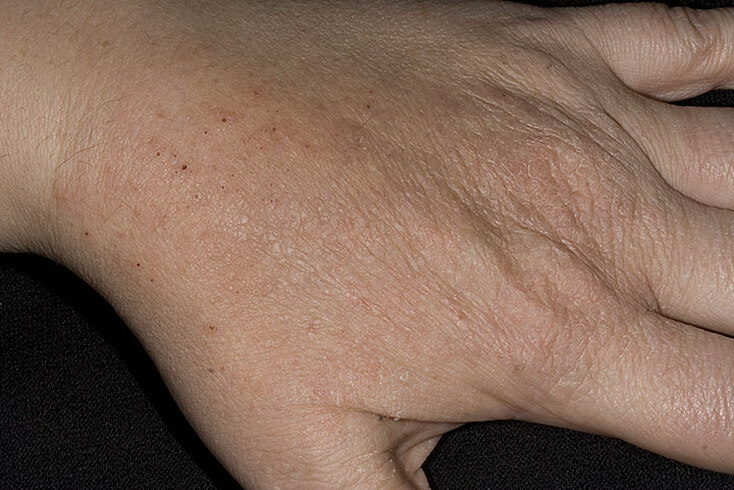 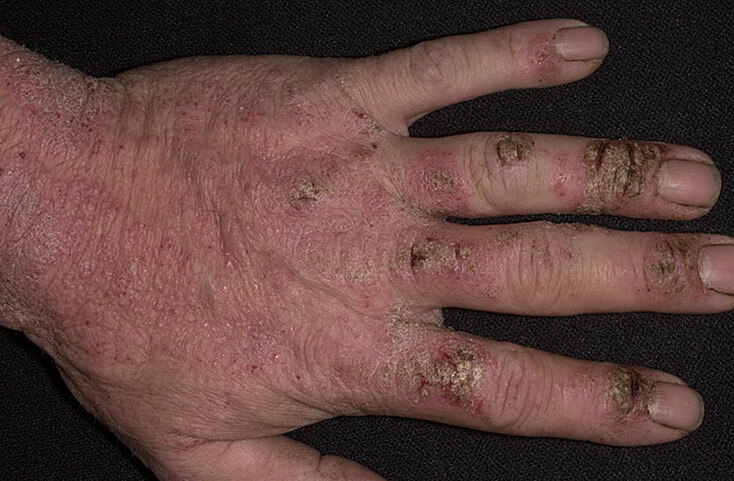 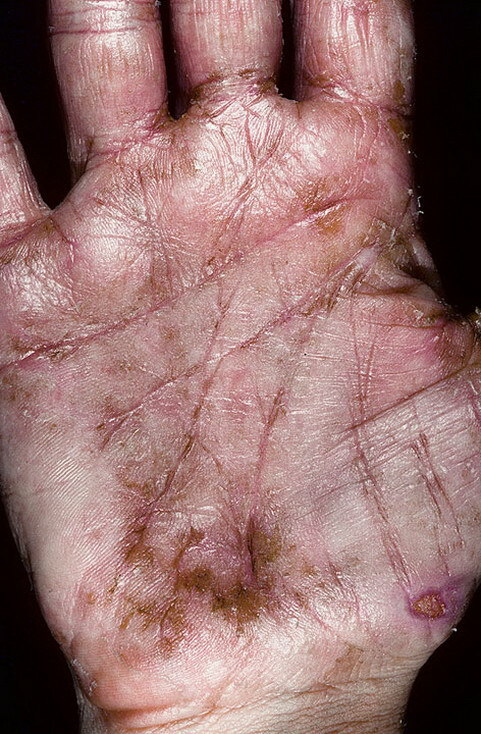 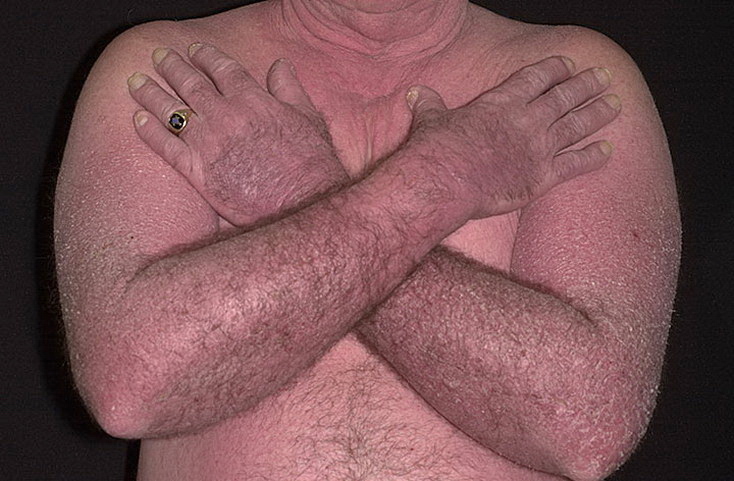 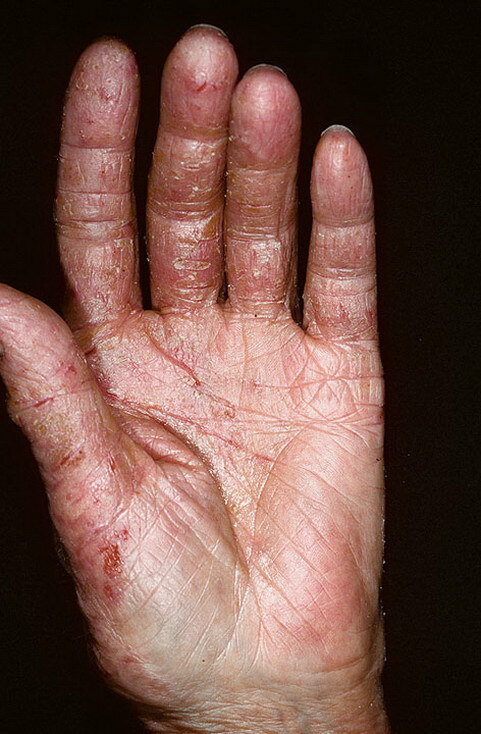 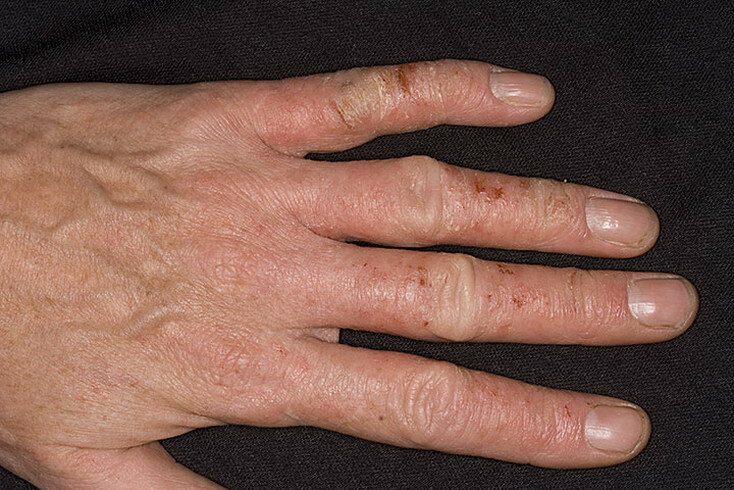 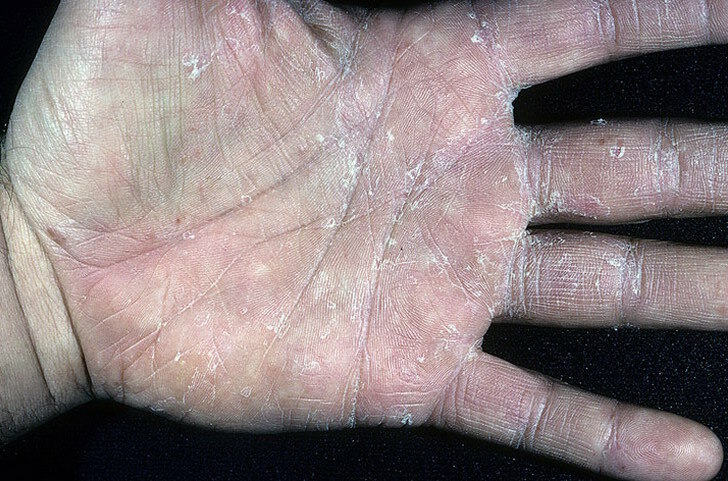 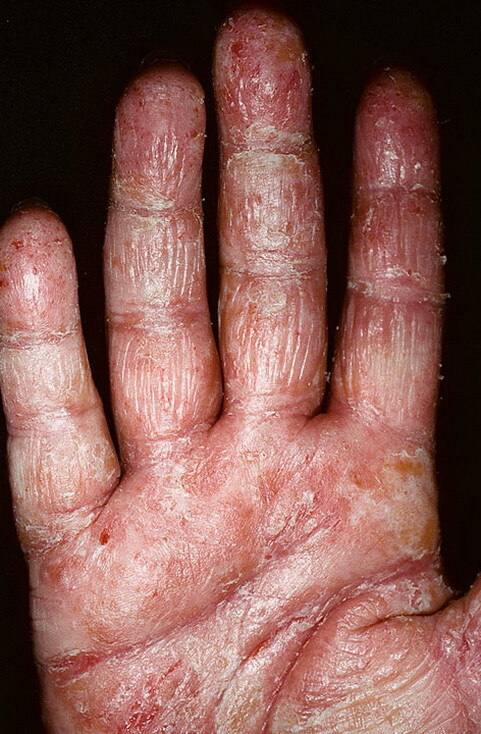 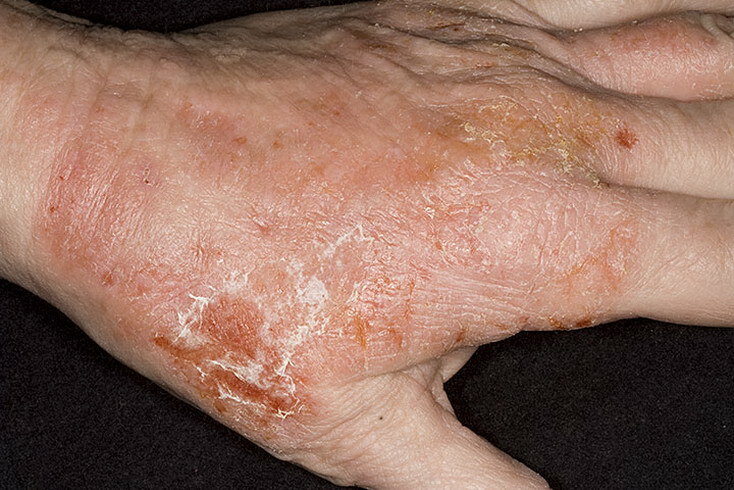 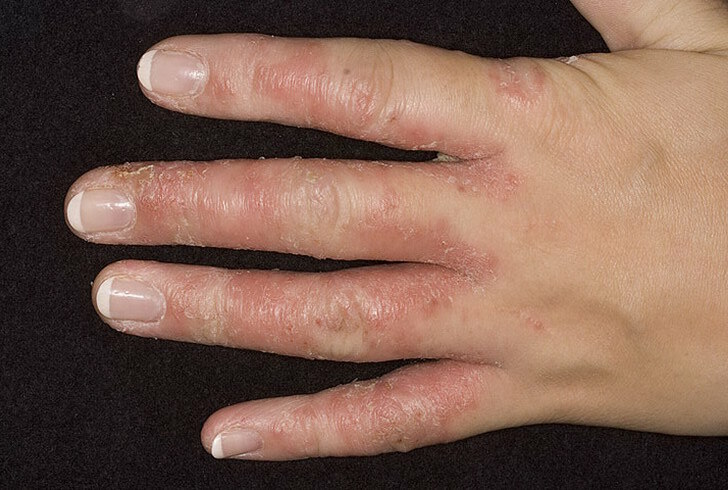 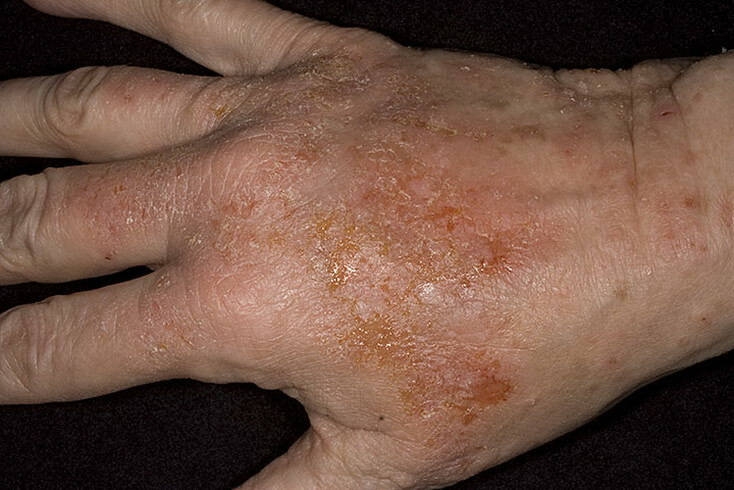 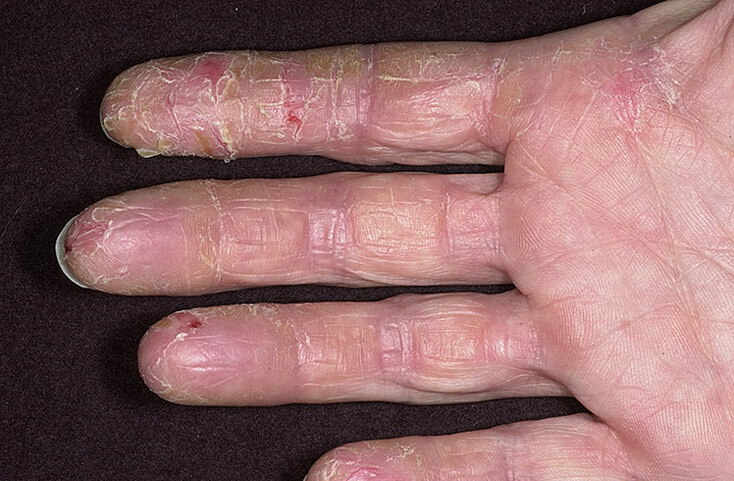 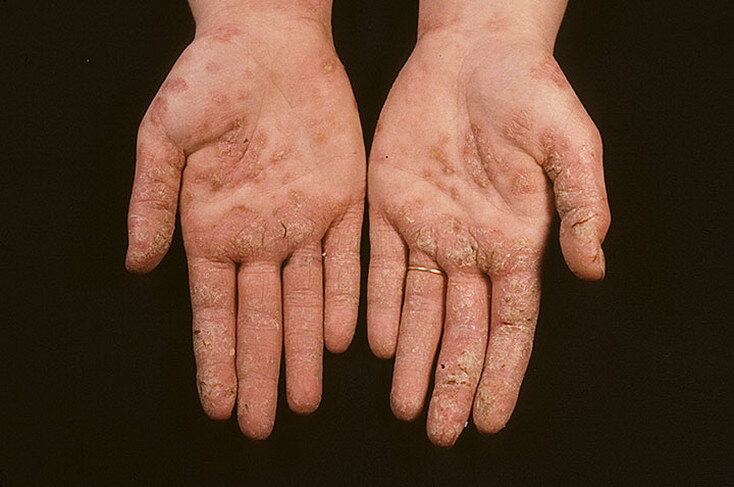 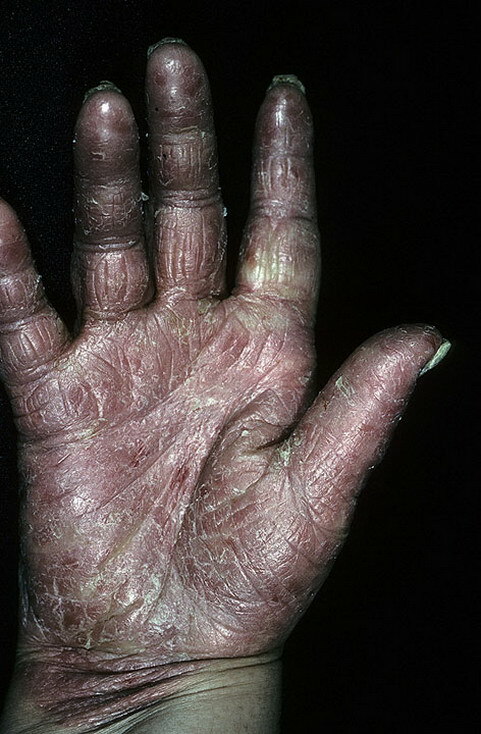 Hand eczema isn’t contagious. 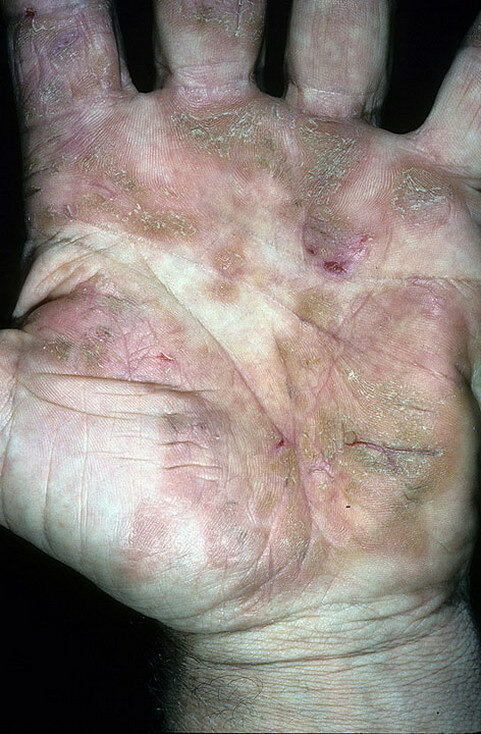 You cannot “catch” it from another person, or give it to someone else. 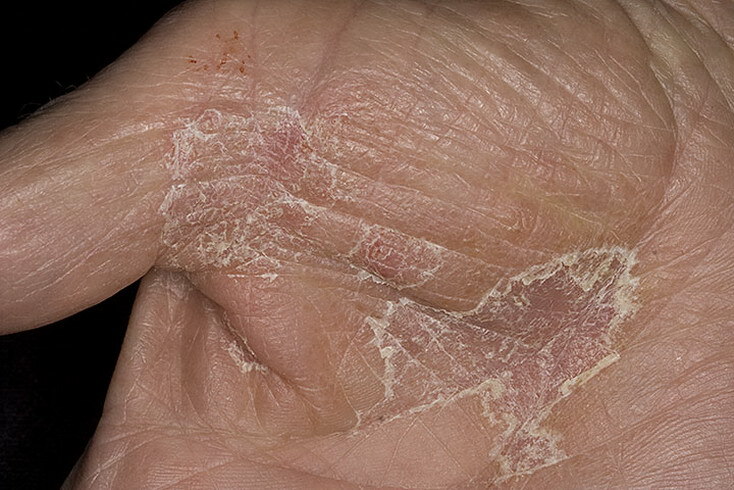 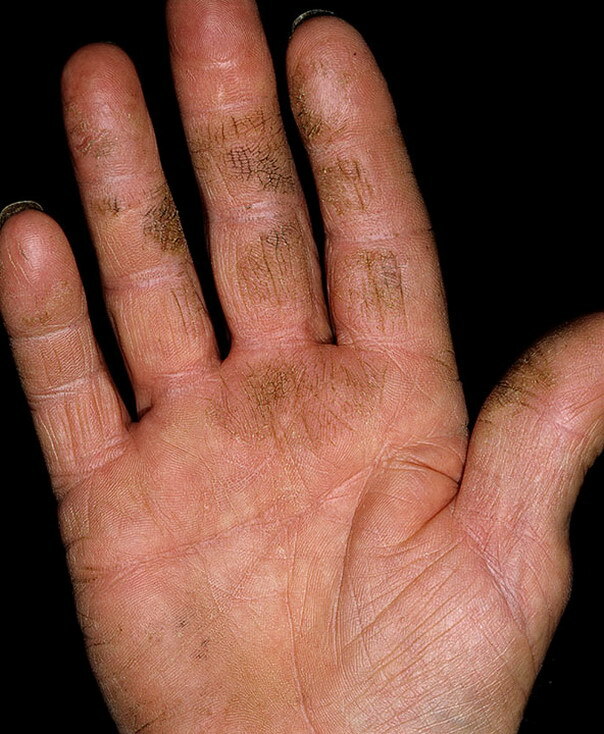 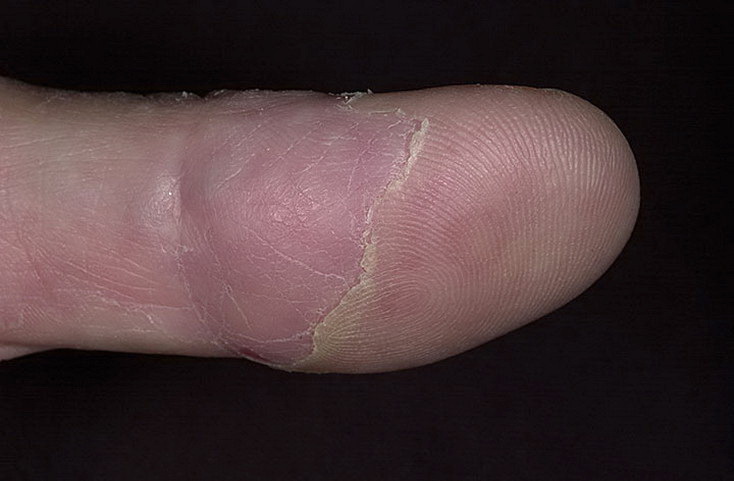 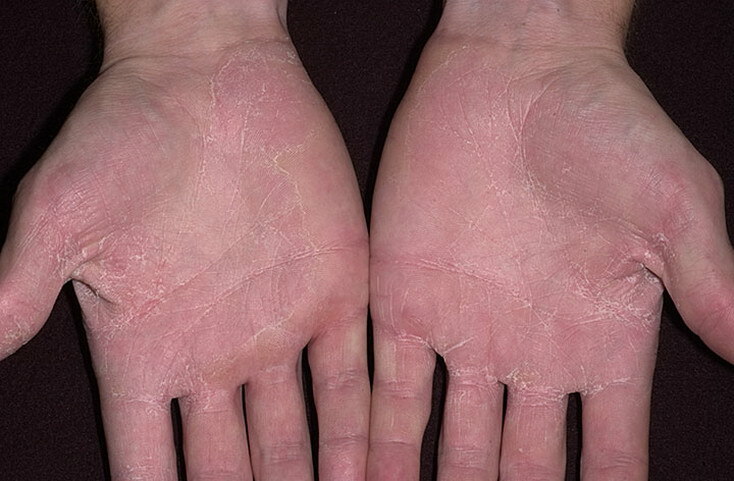 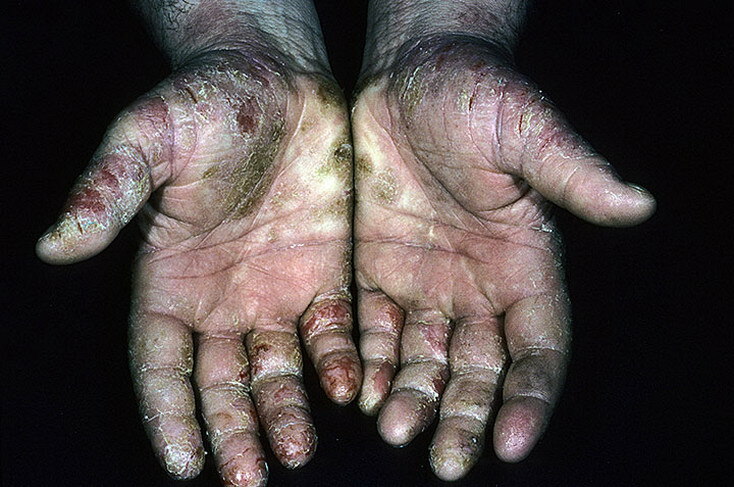 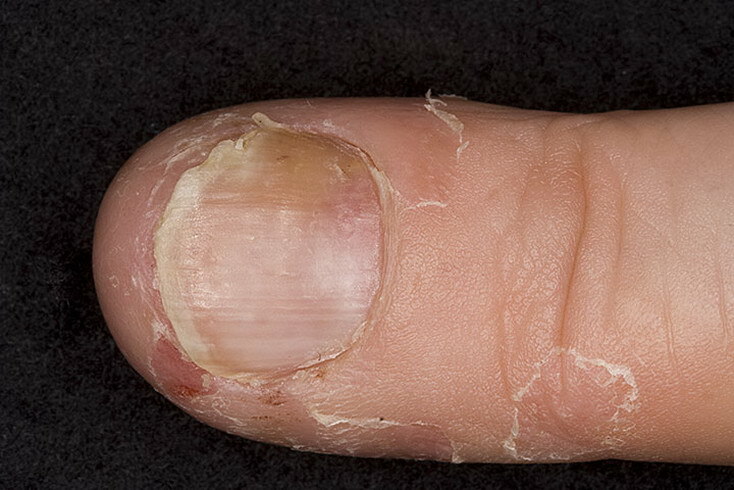 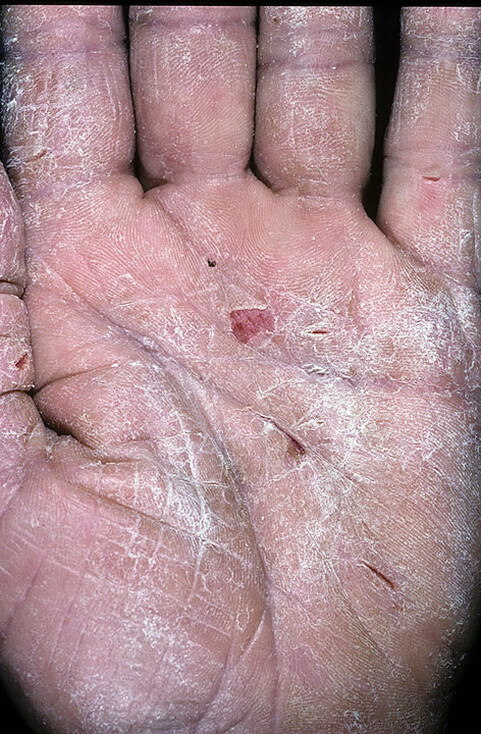 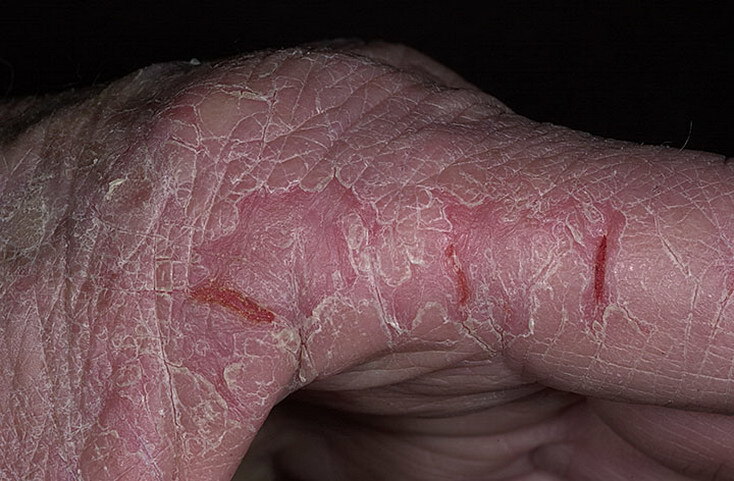 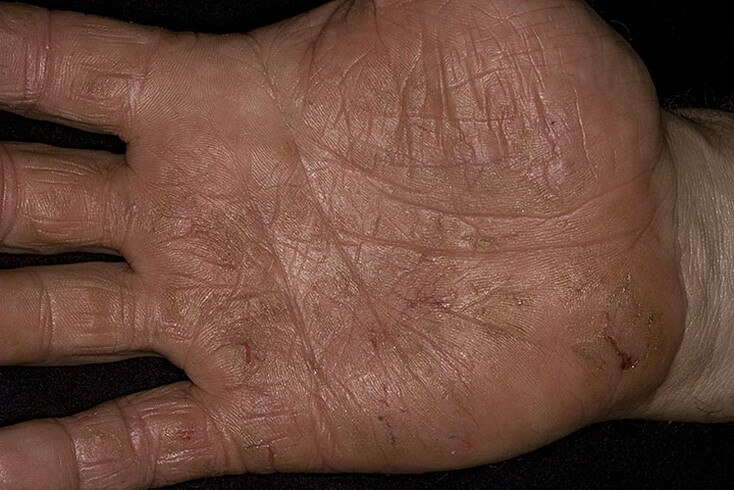 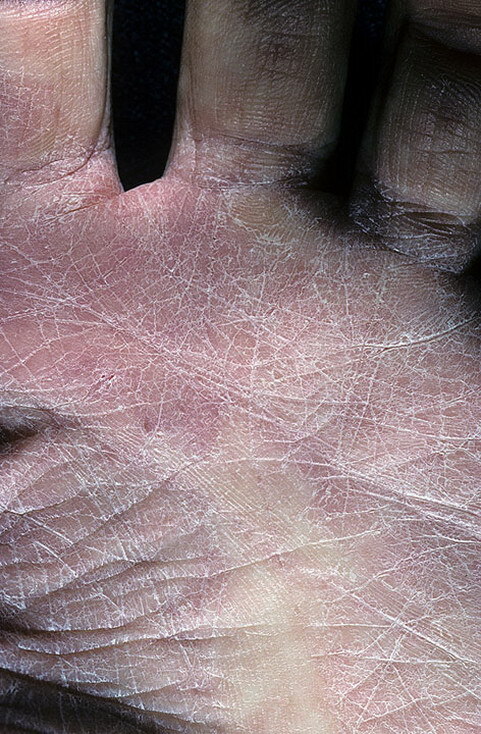 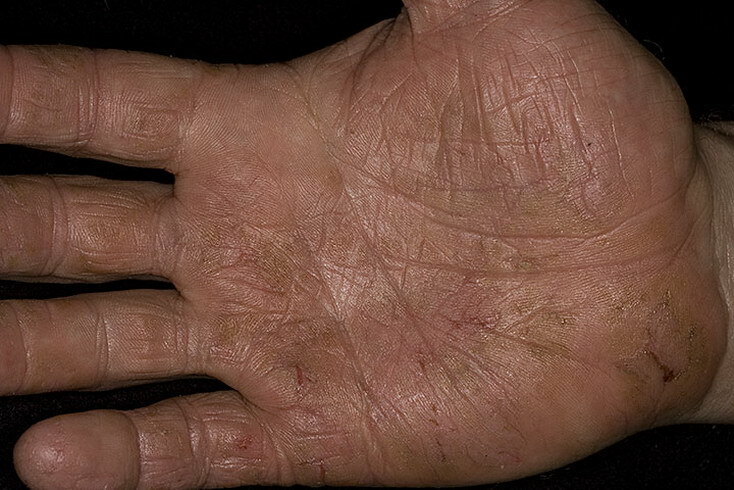 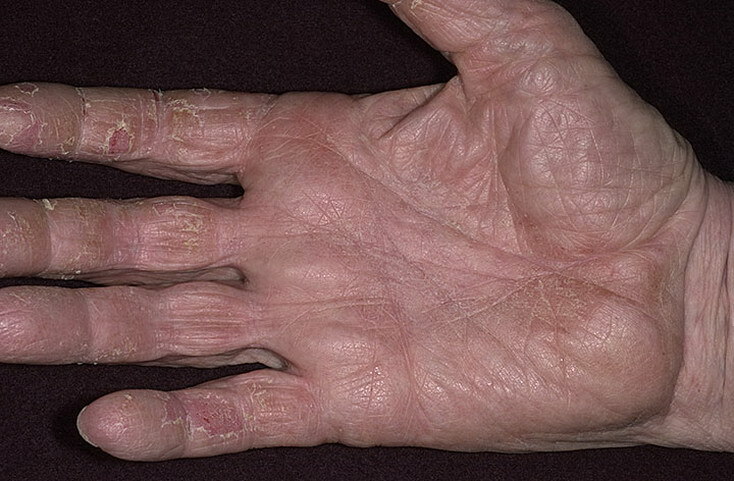 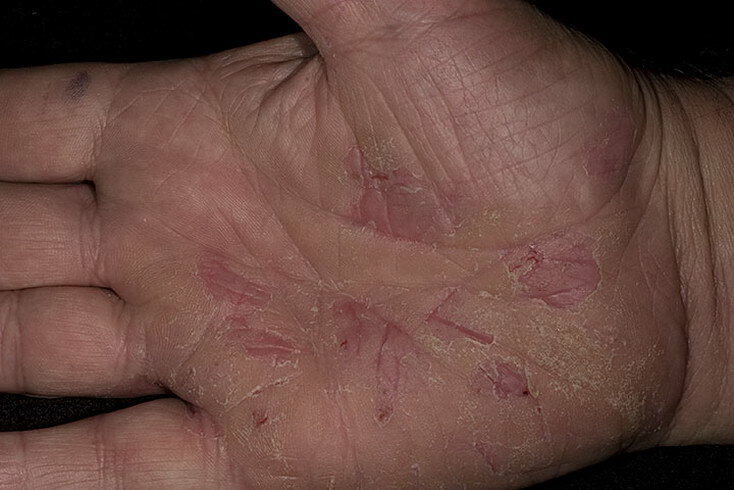 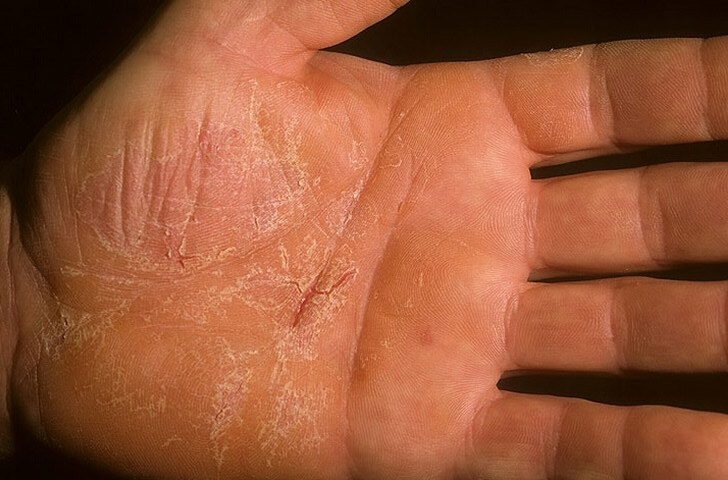 Even so, the symptoms of hand eczema can impact a person’s self-esteem and their ability to perform on the job. 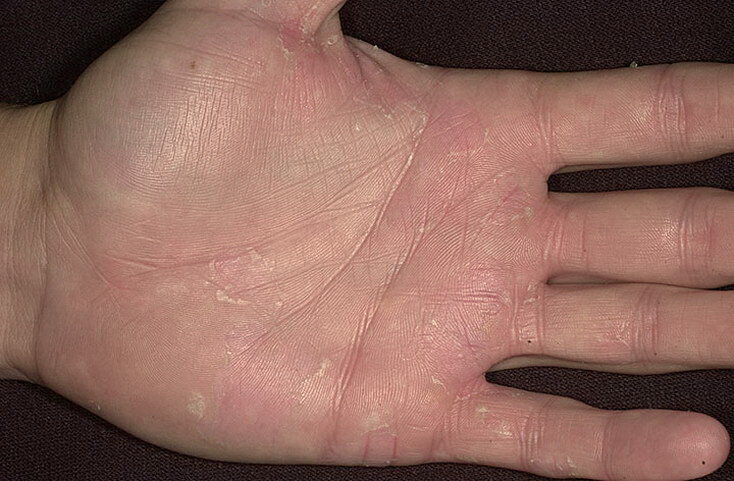 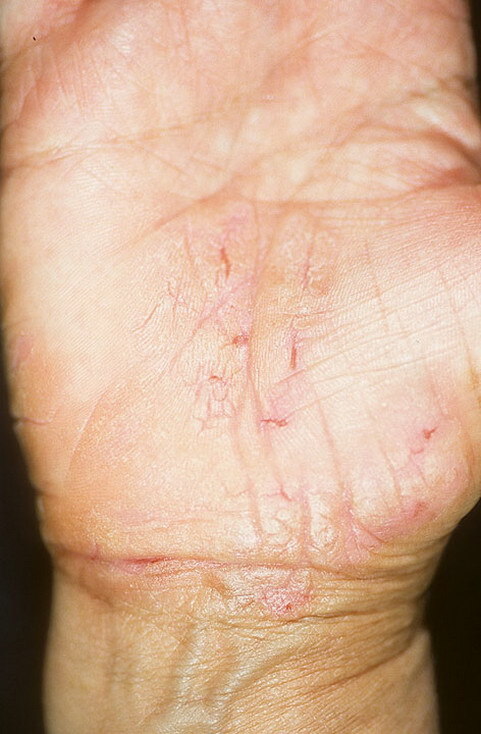 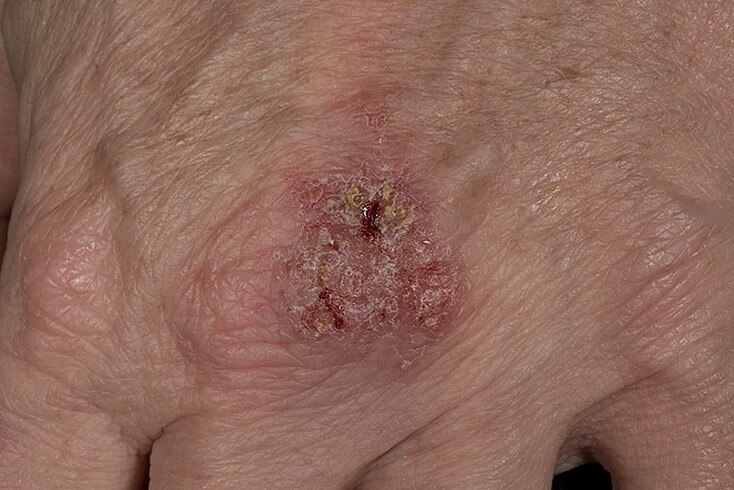 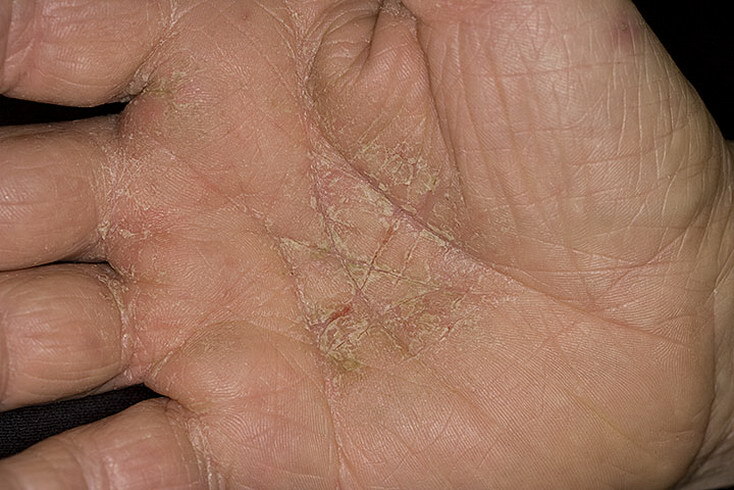 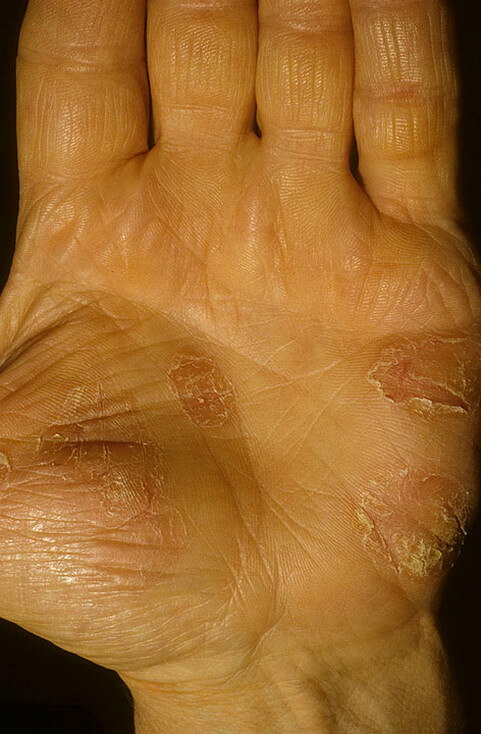 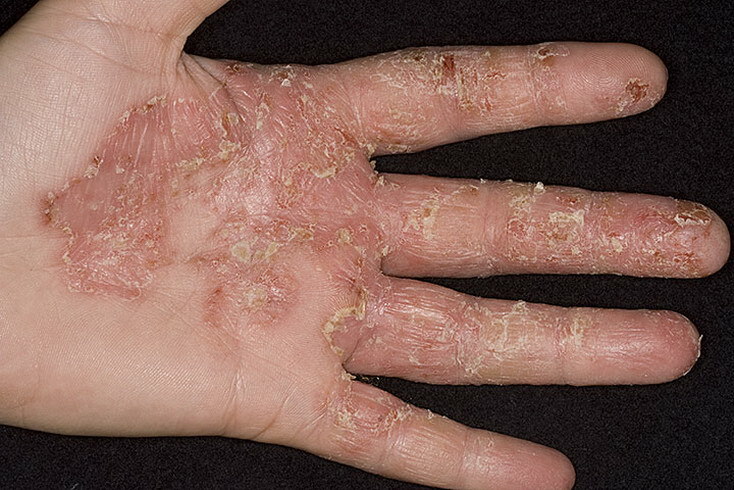 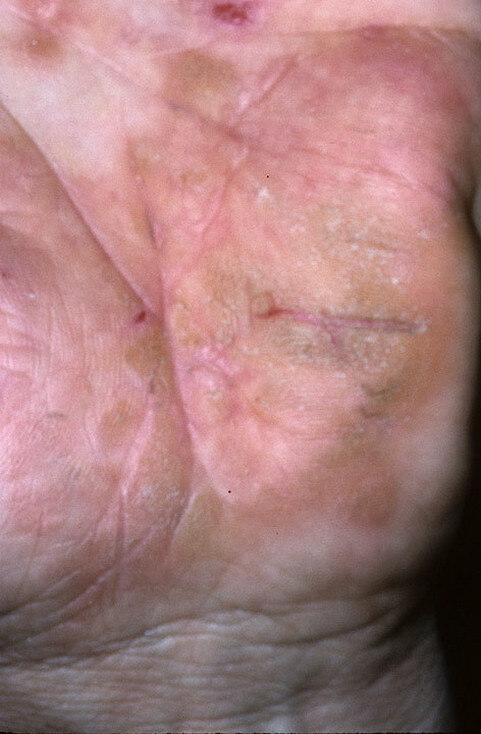 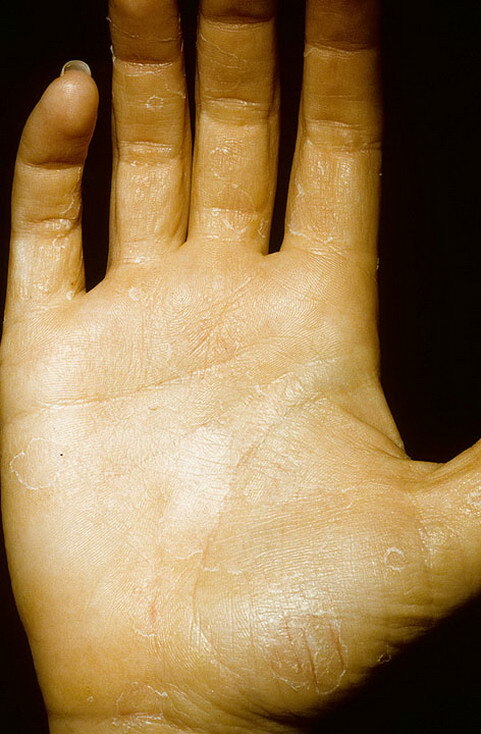 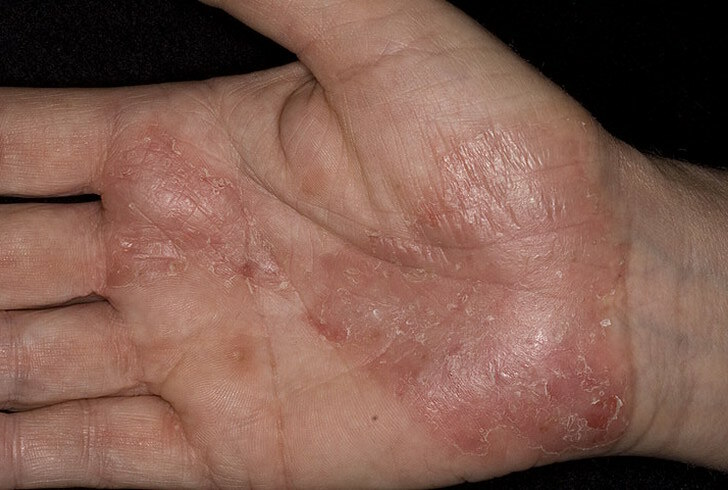 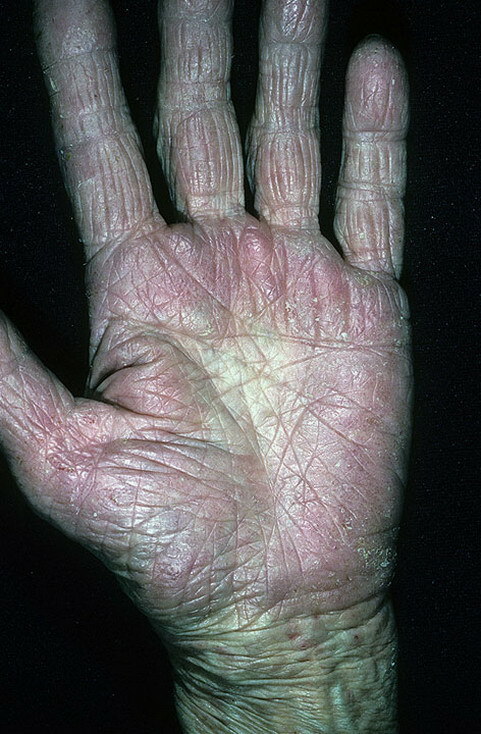 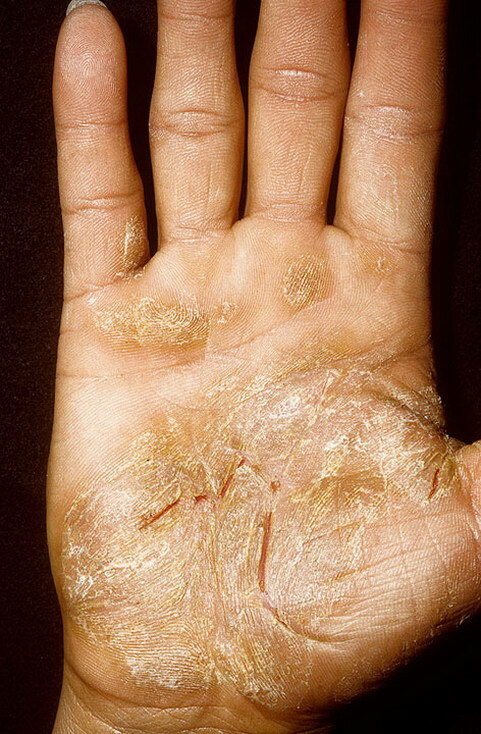 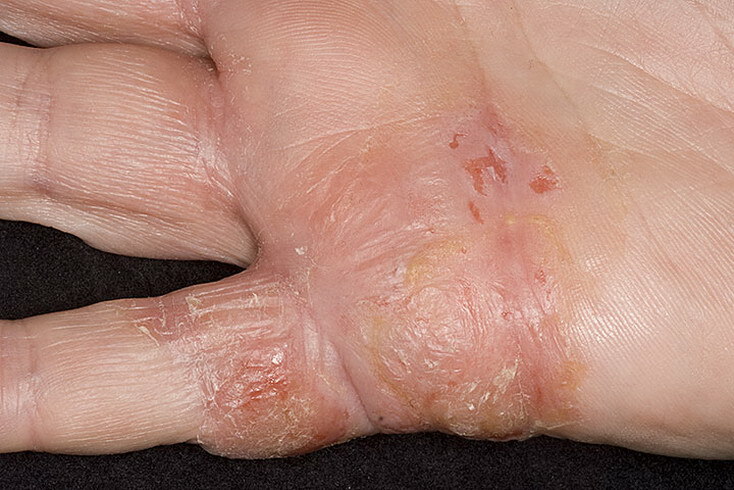 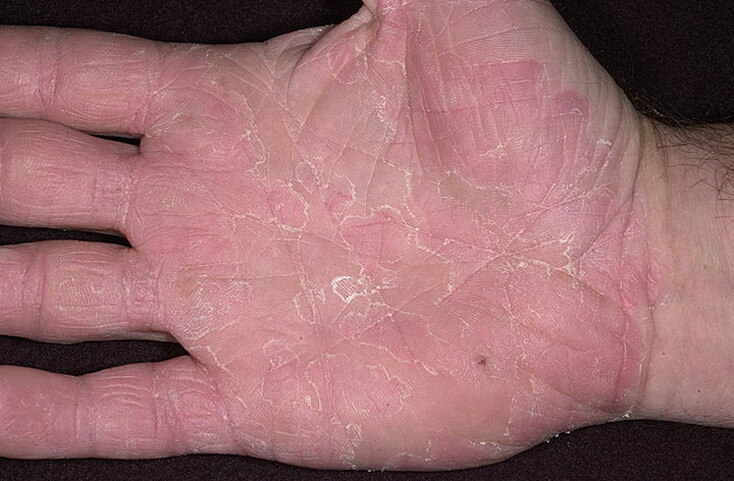 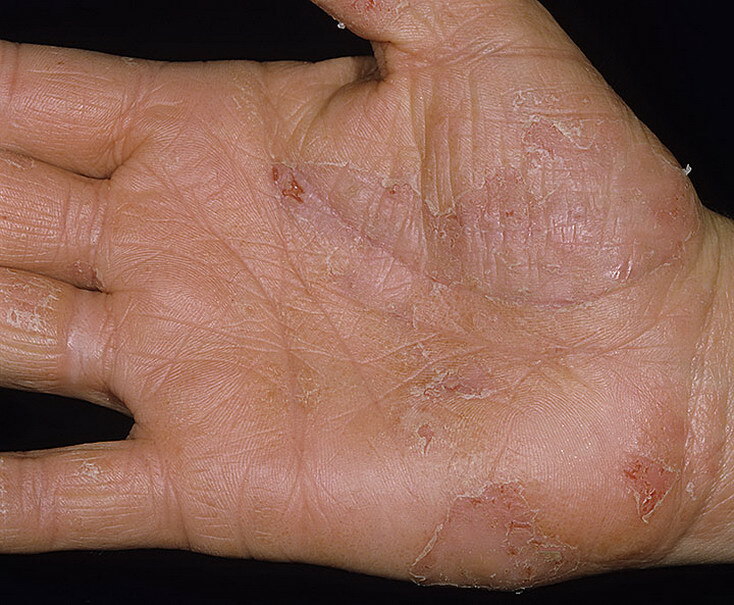 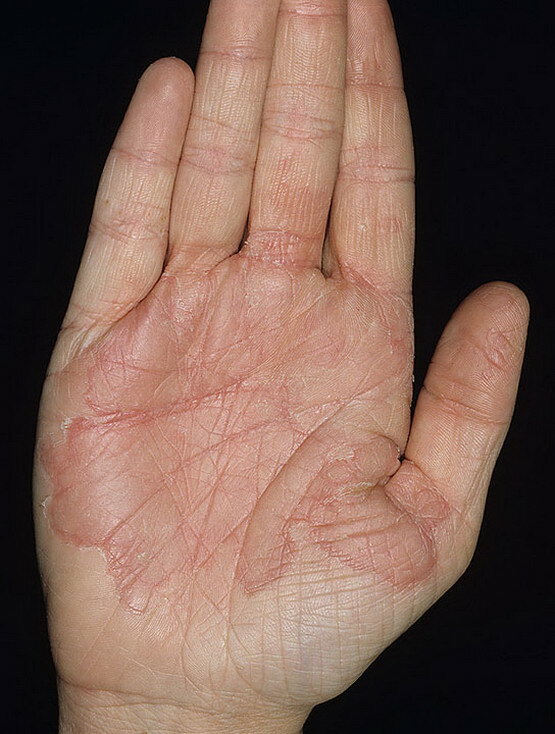 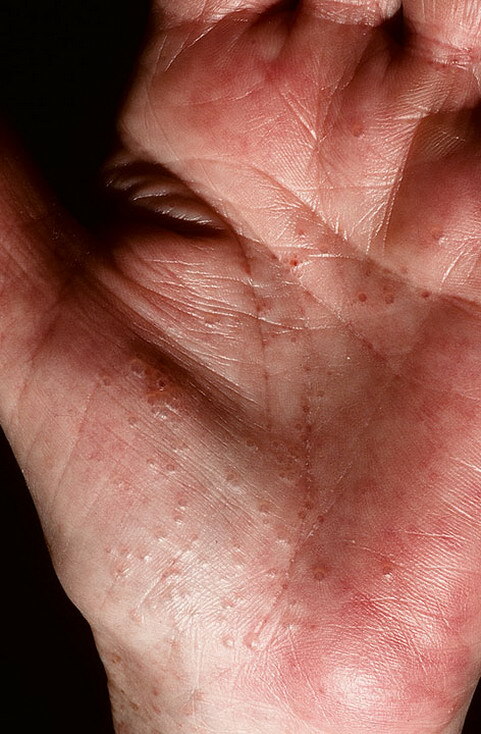 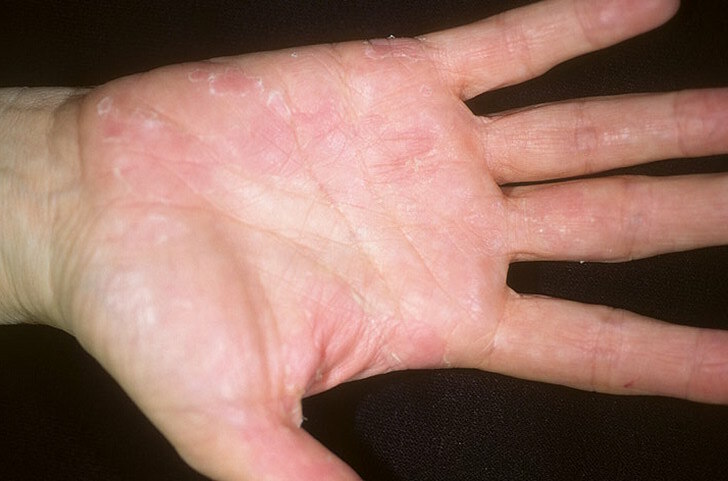 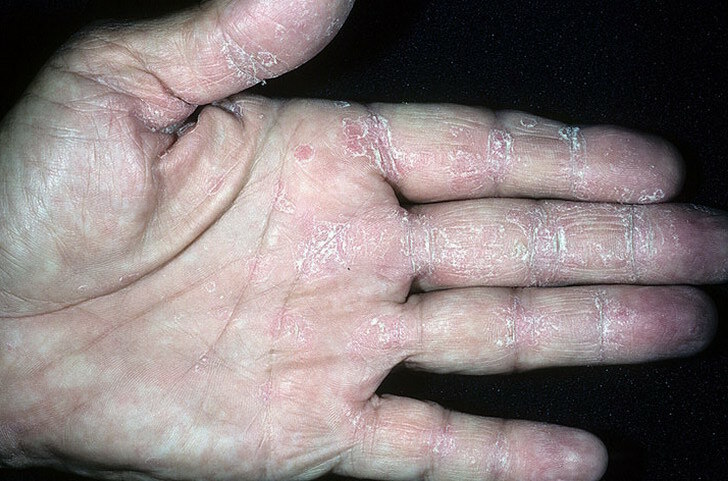 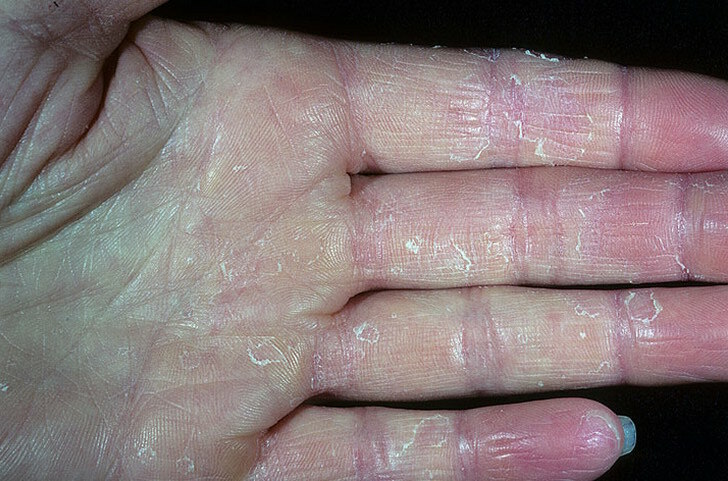 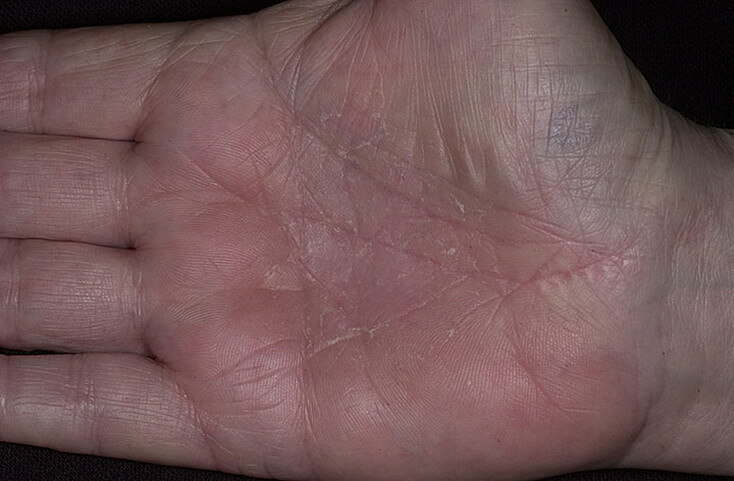 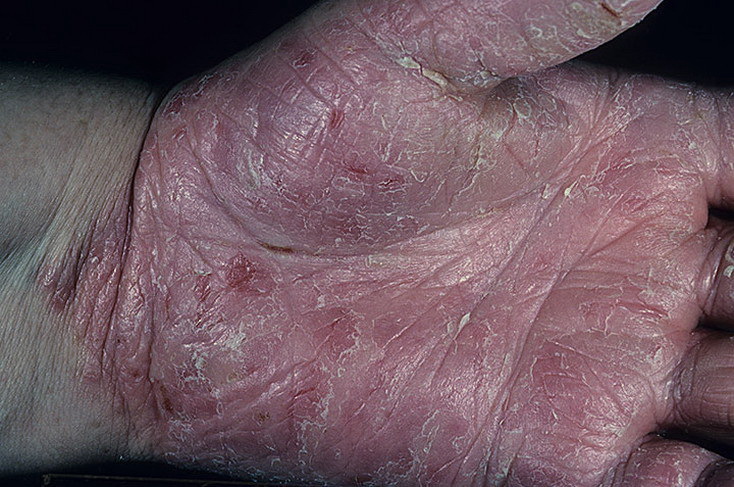 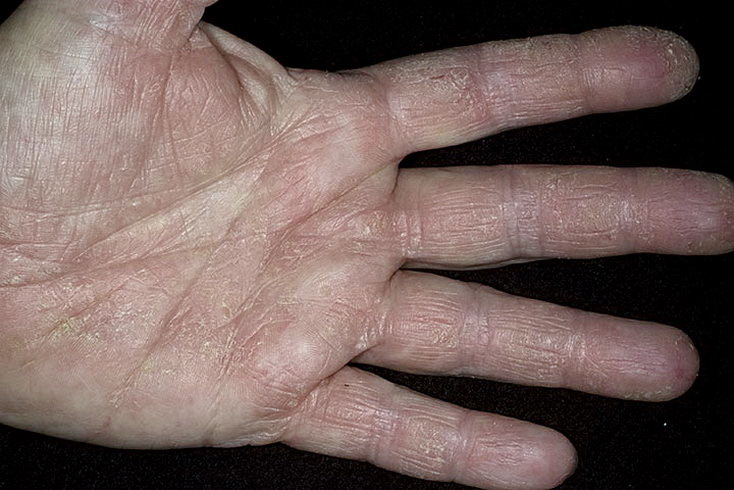 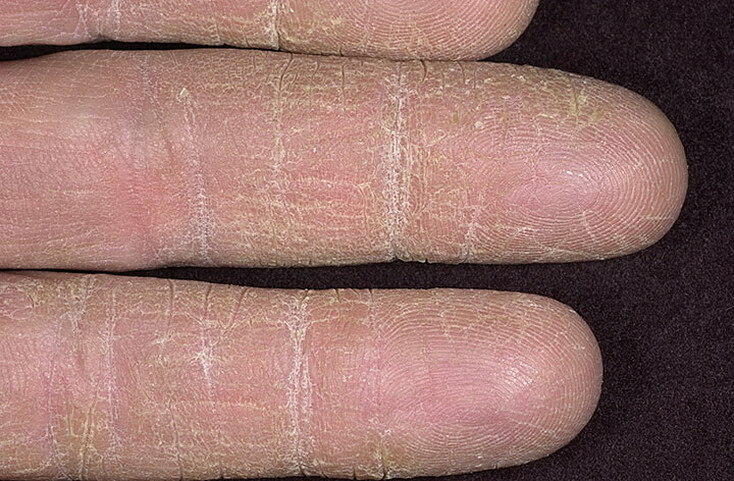 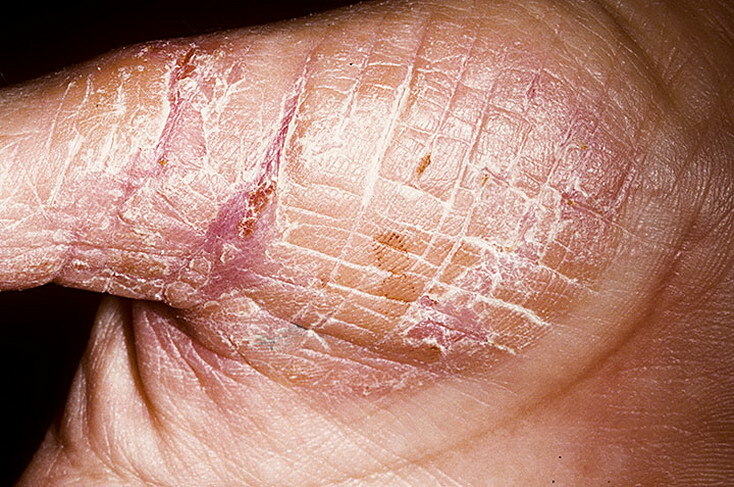 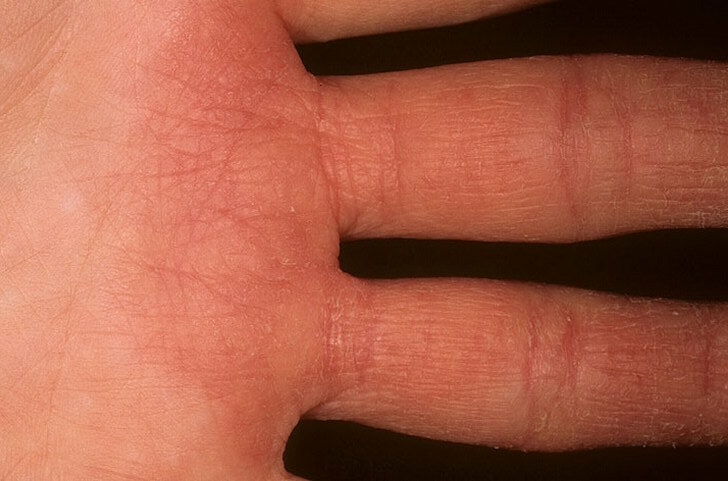 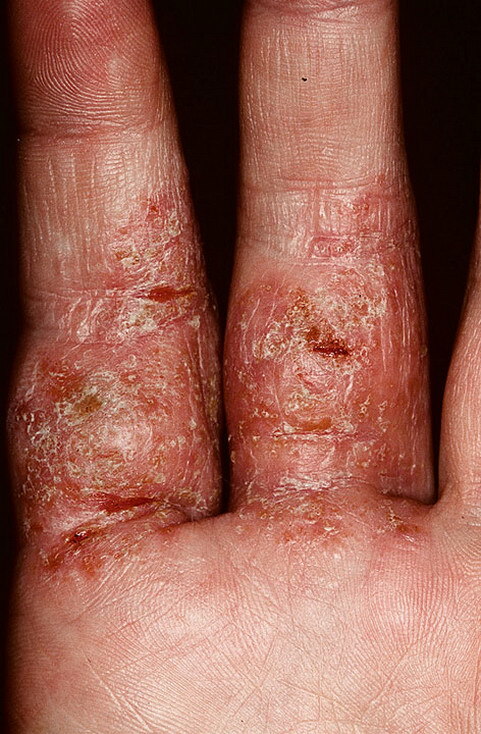 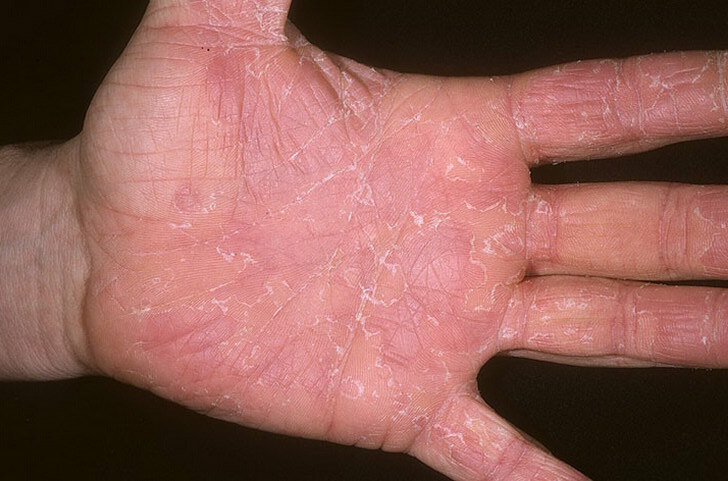 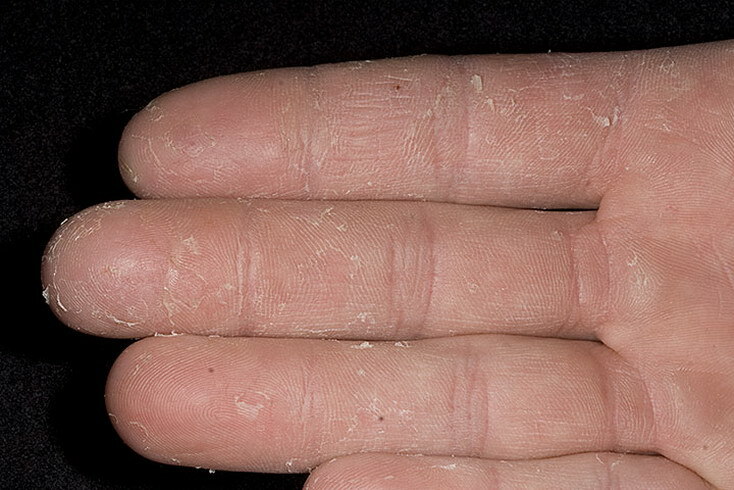 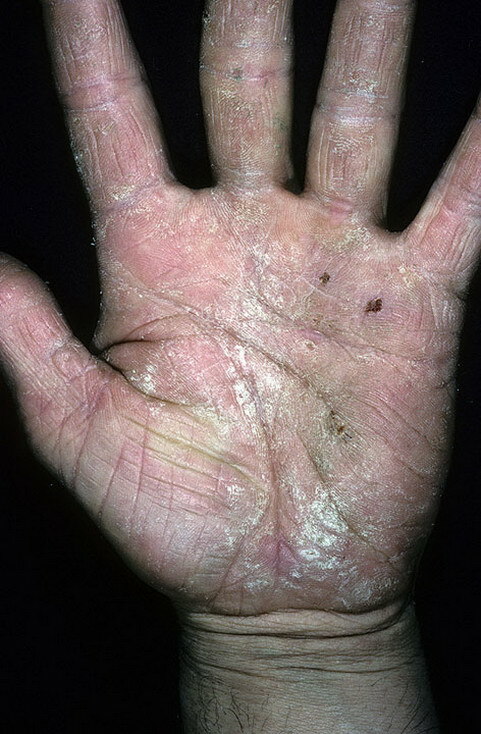 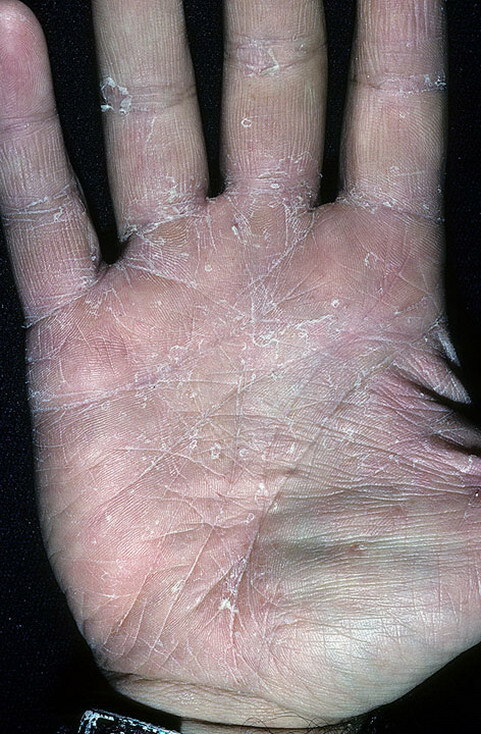 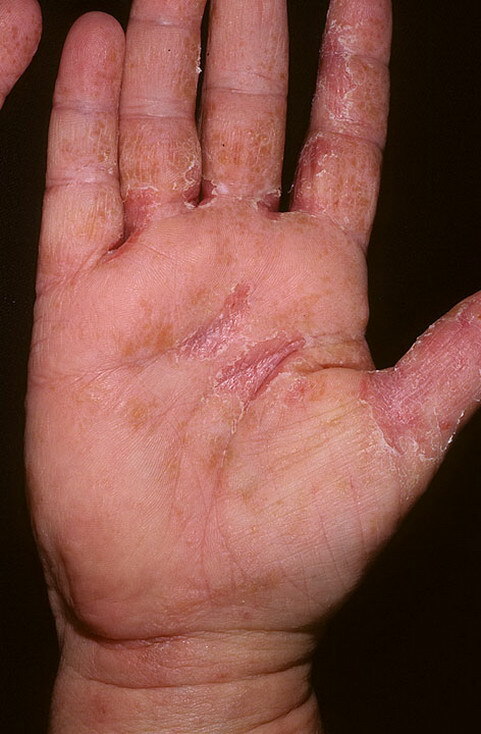 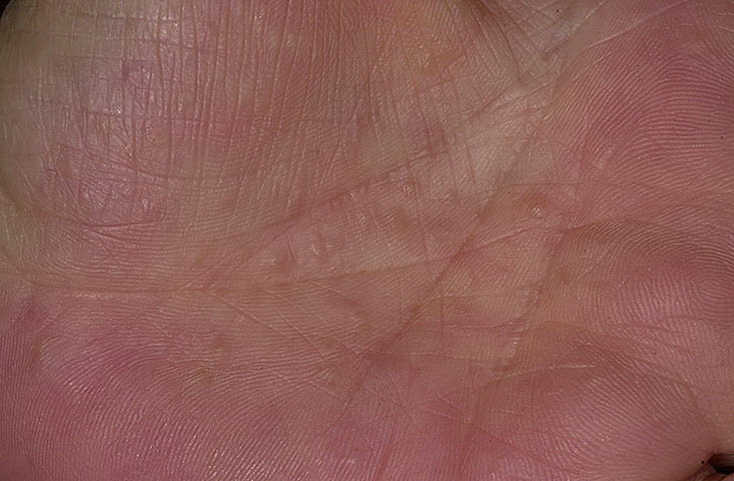 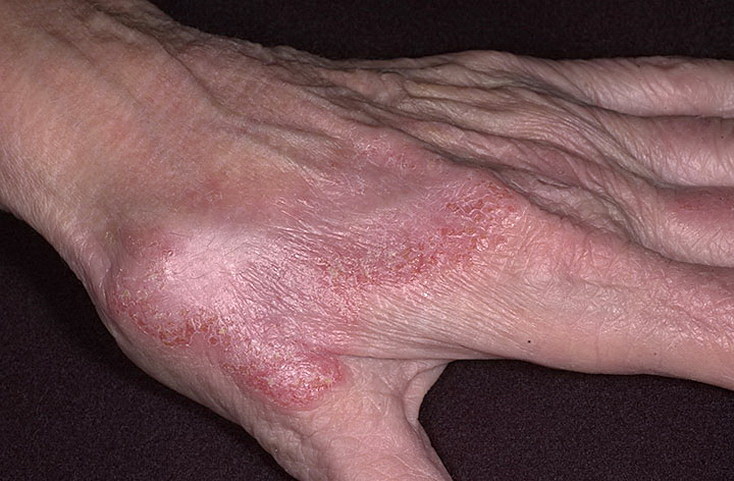 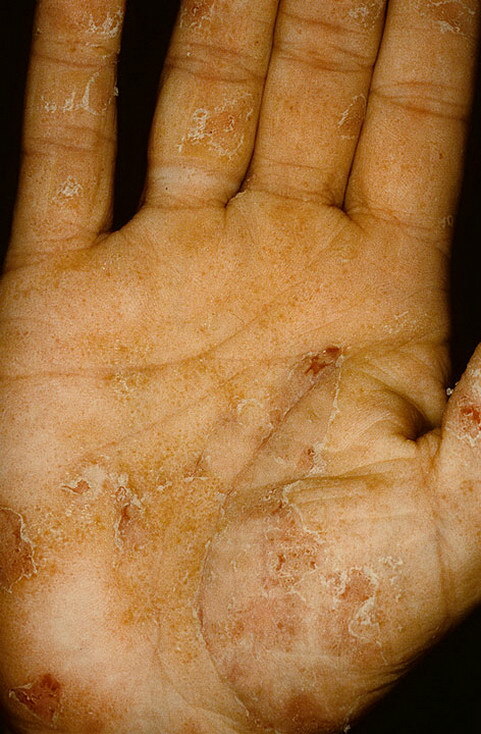 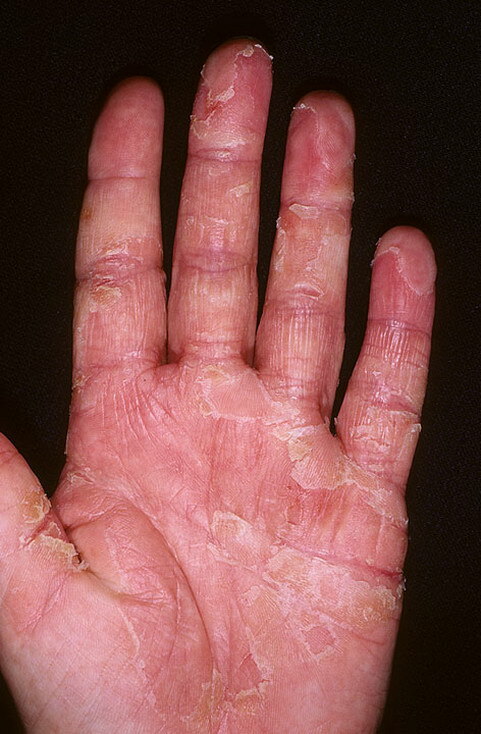 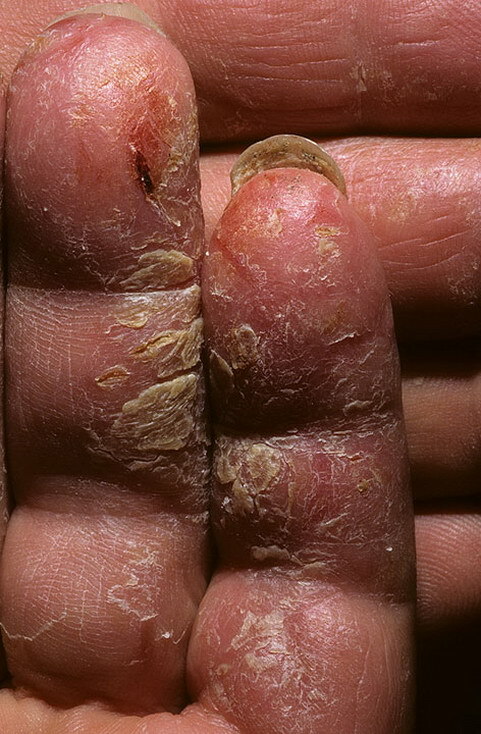 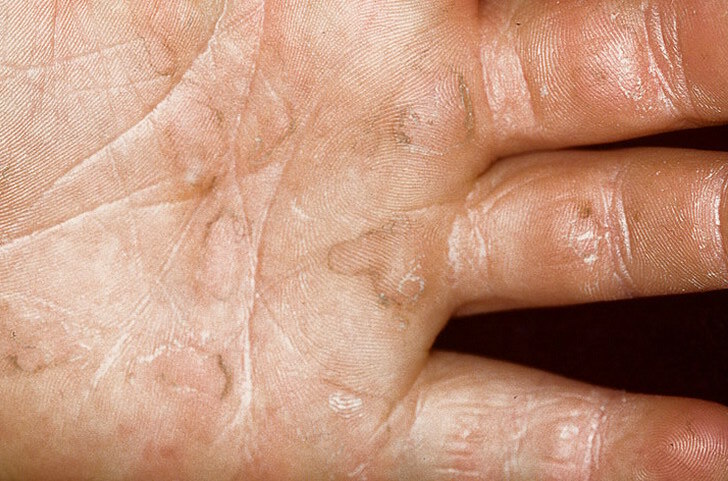 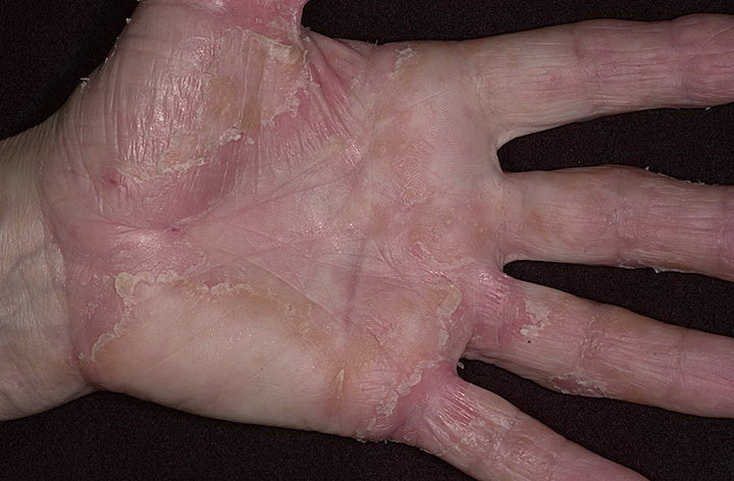 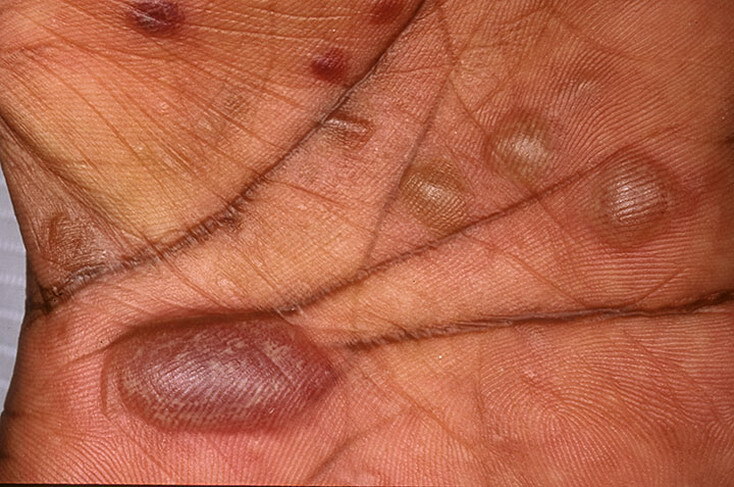 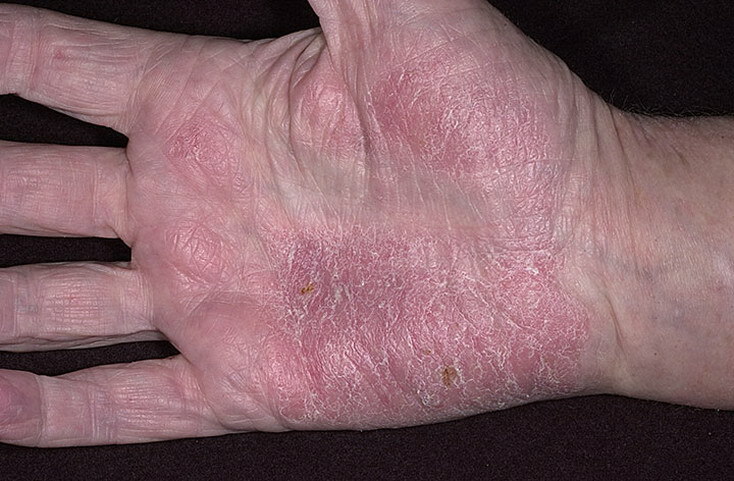 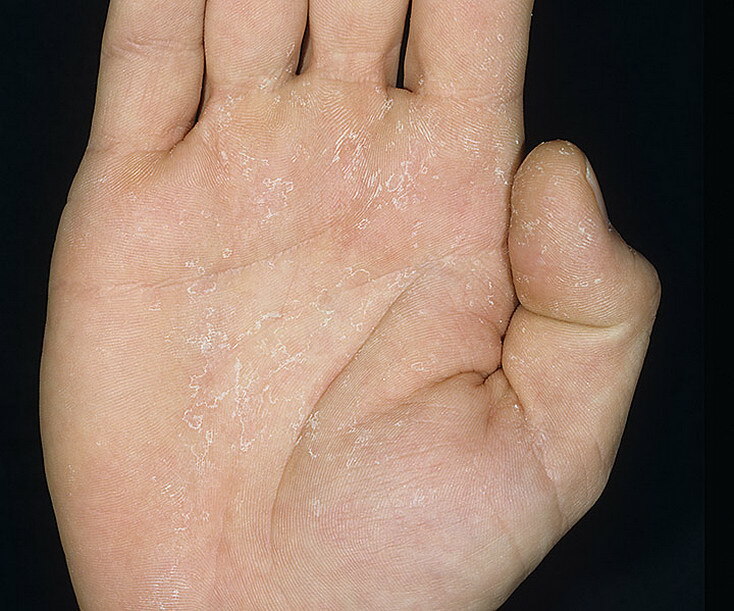 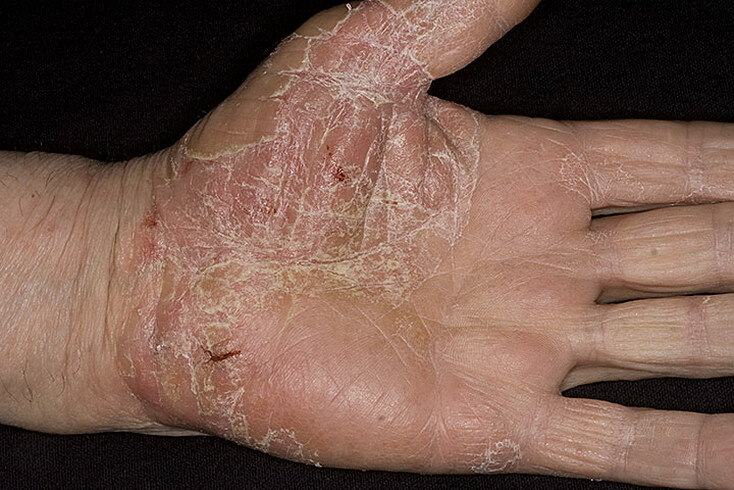 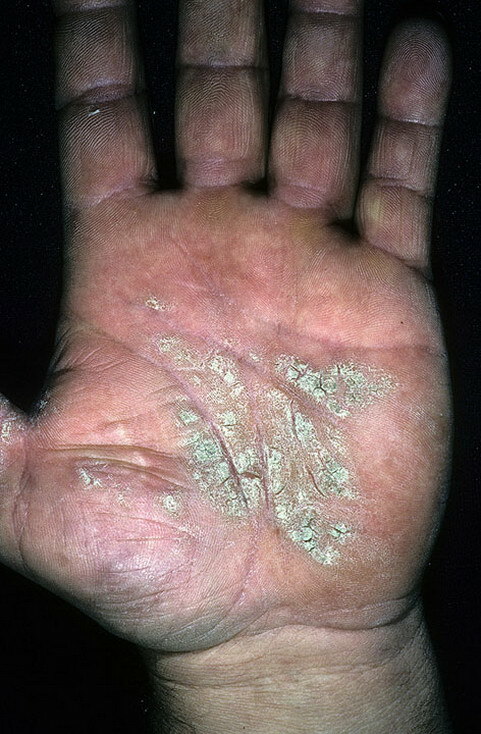 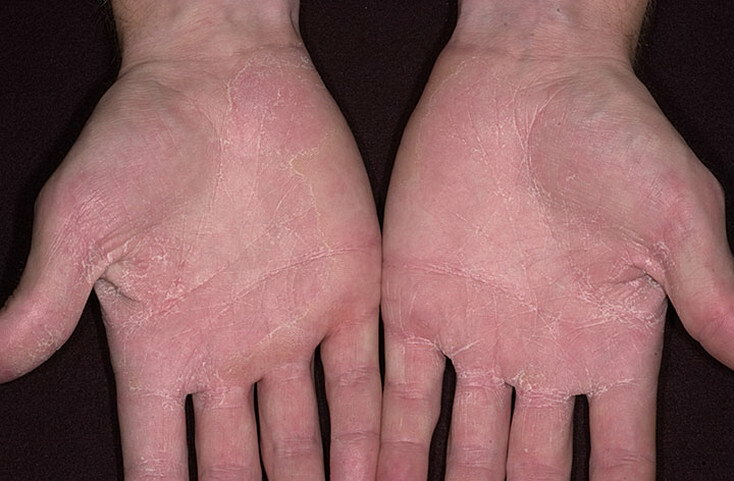 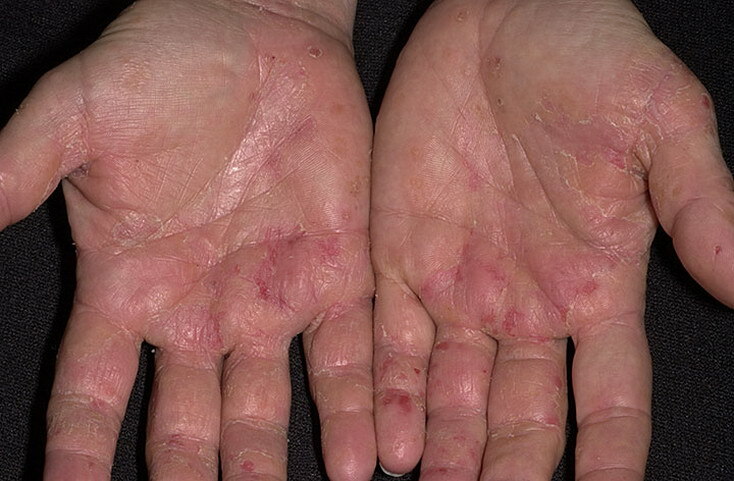 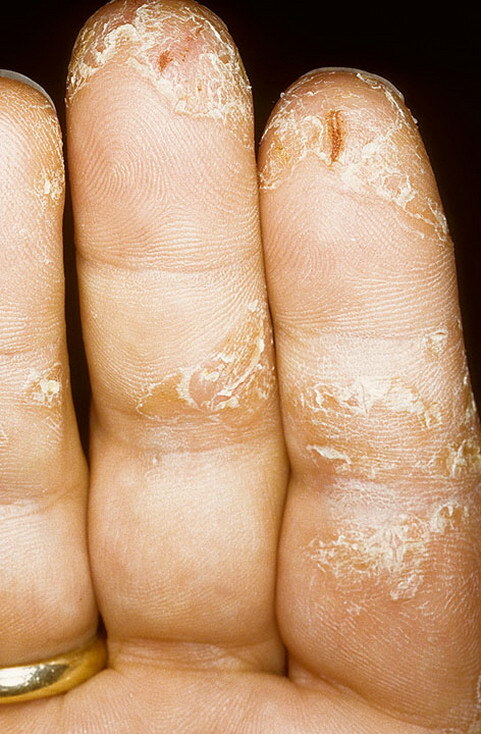 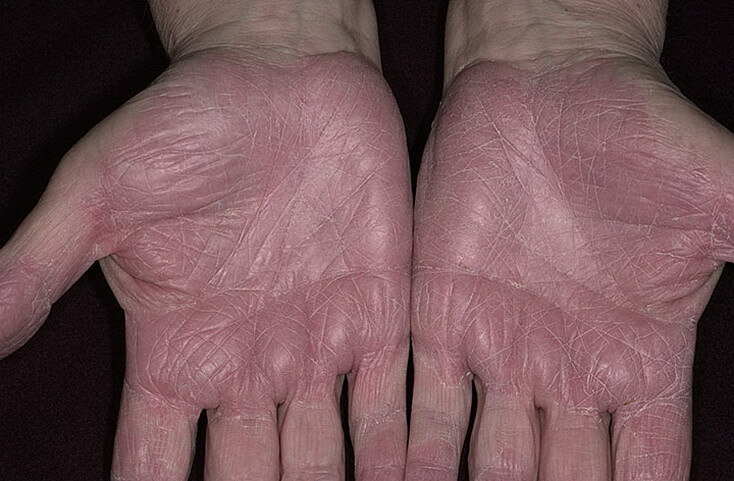 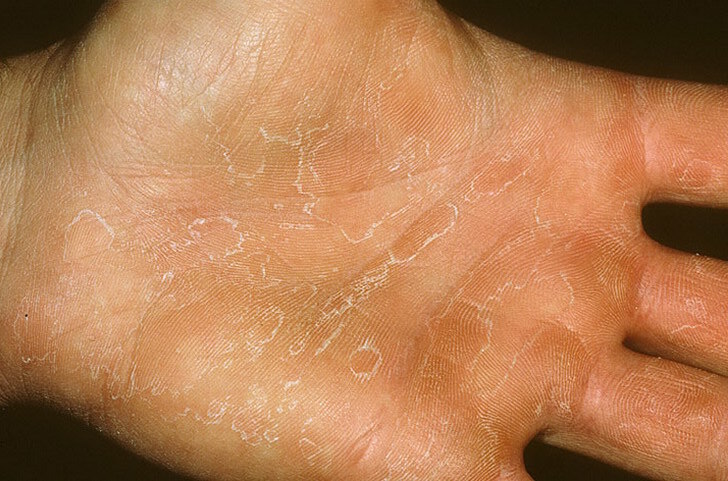 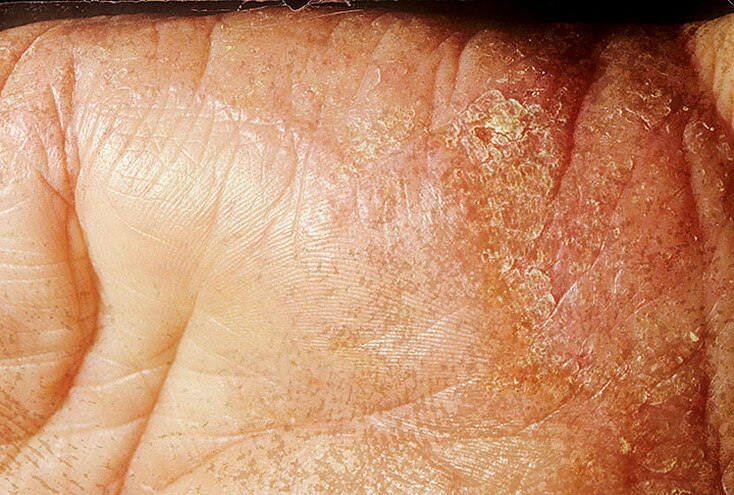 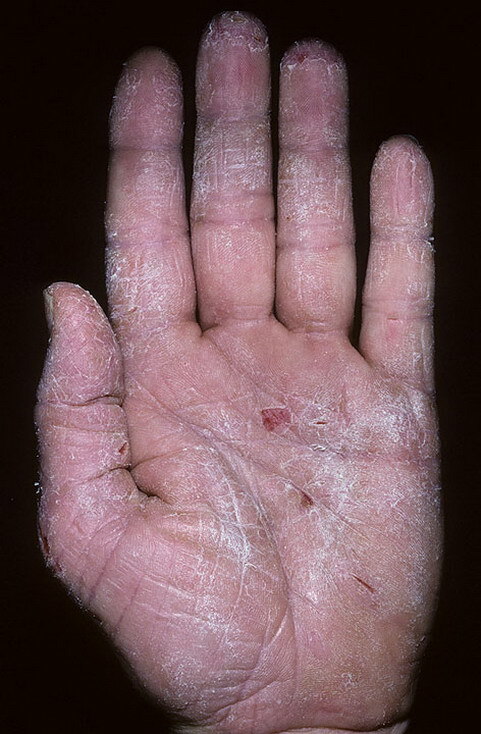 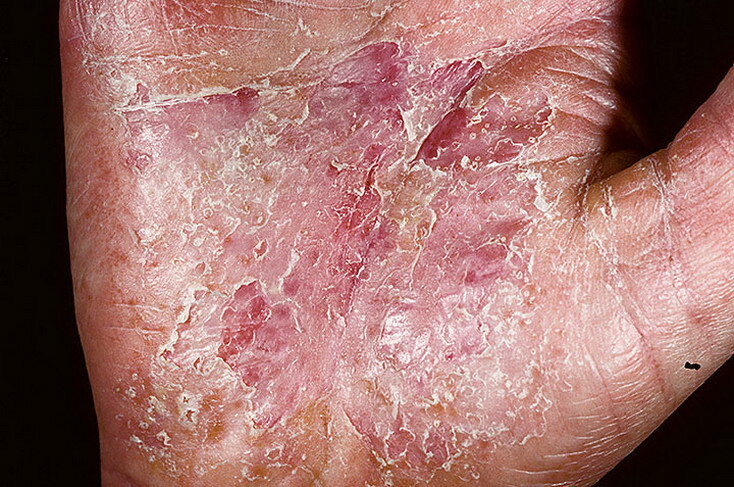 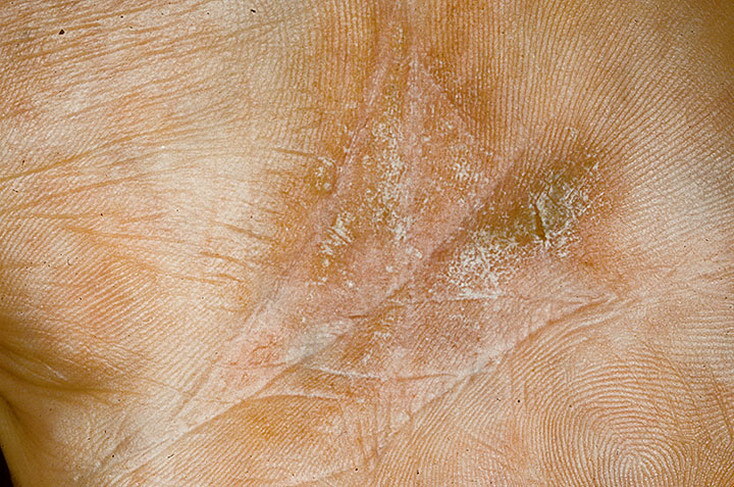 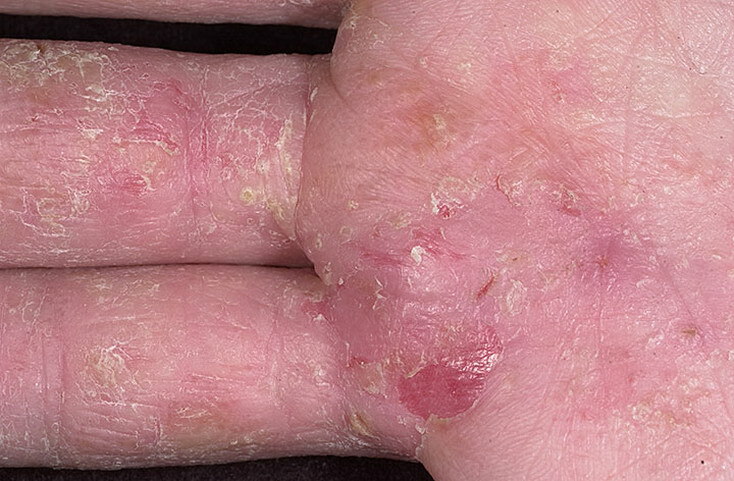 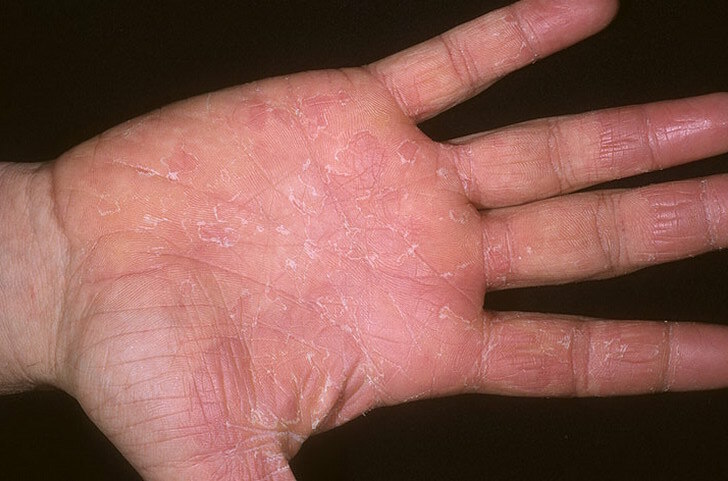 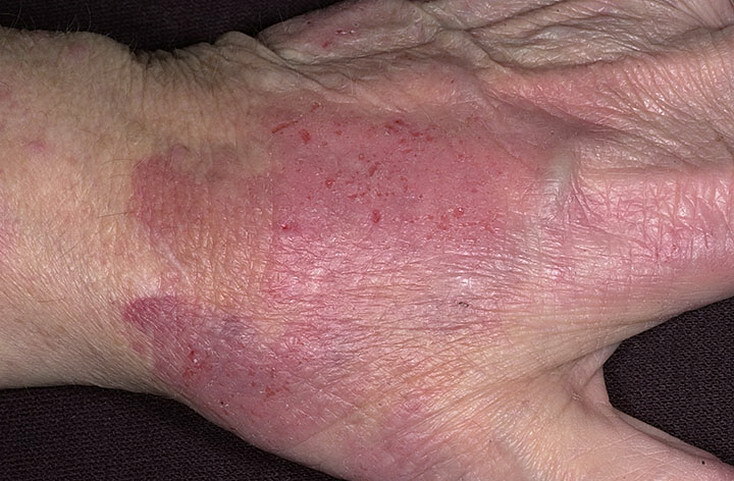 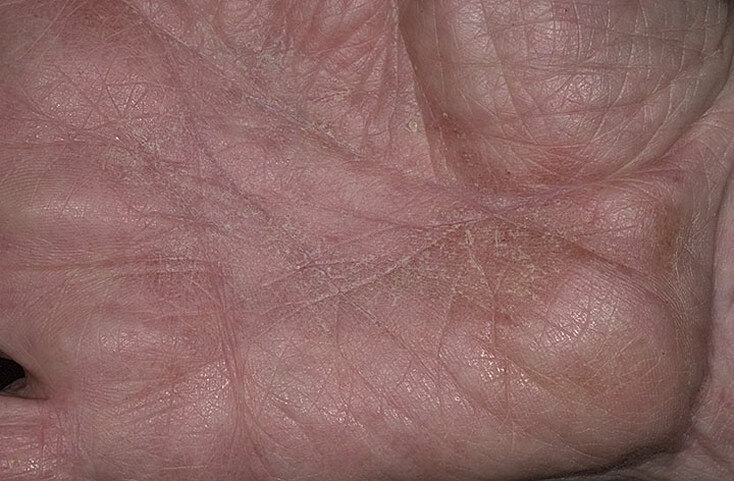 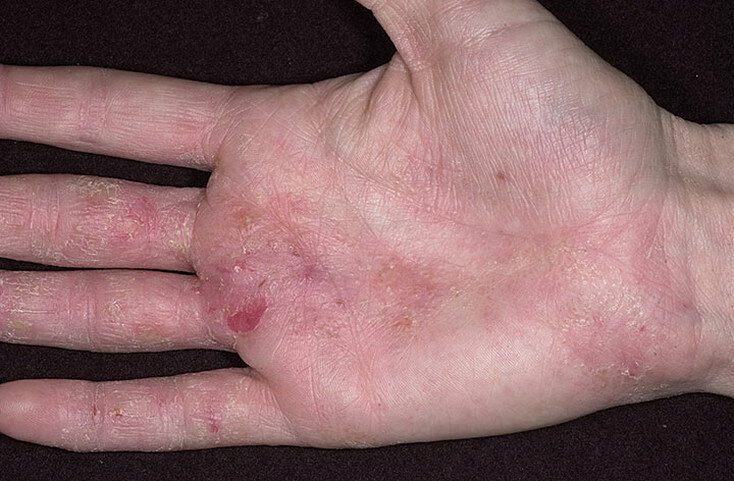 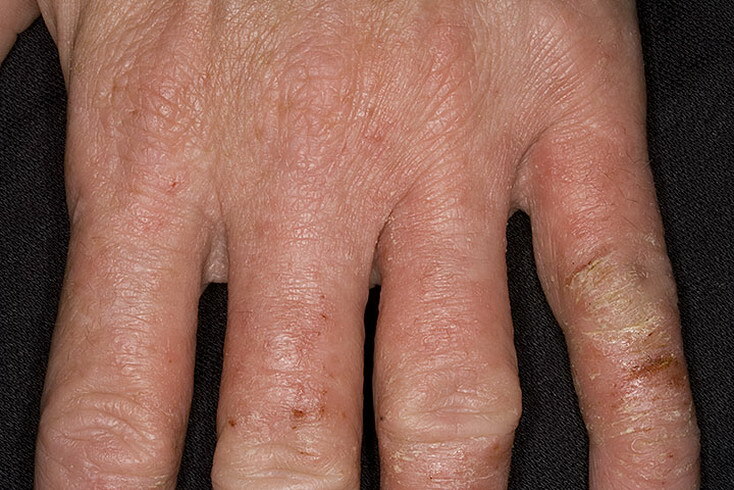 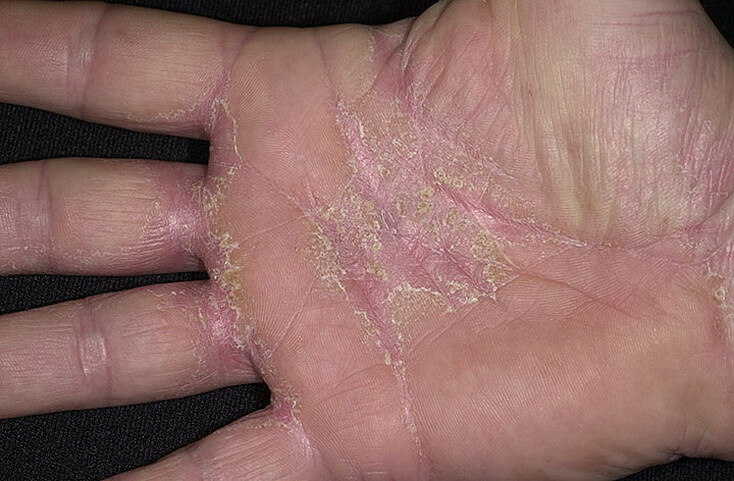 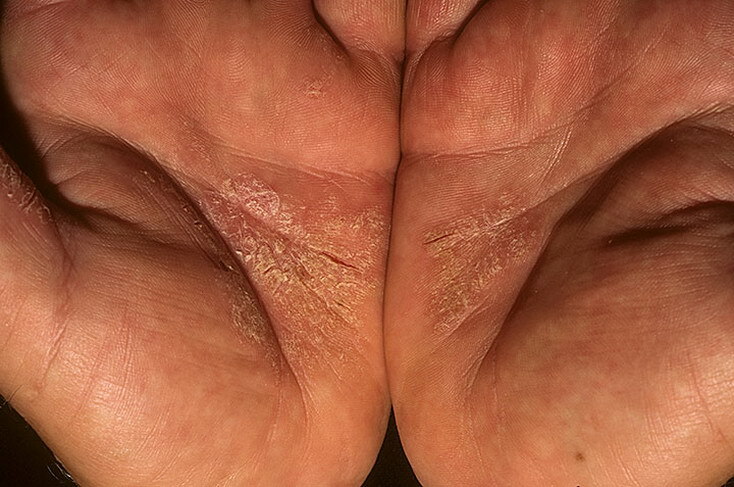 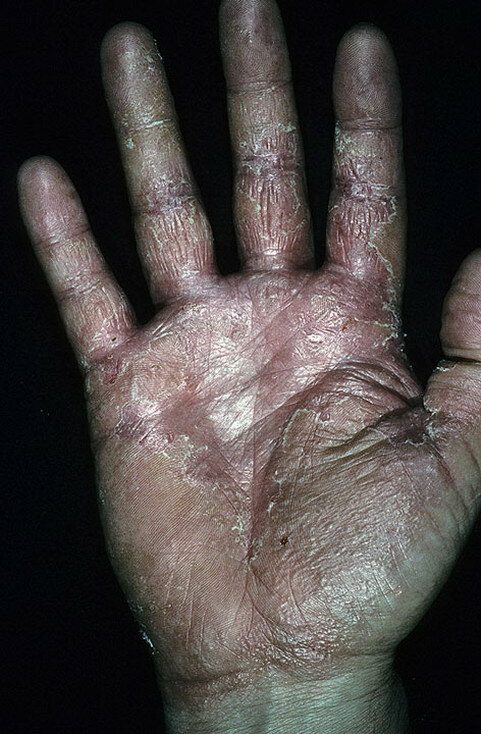 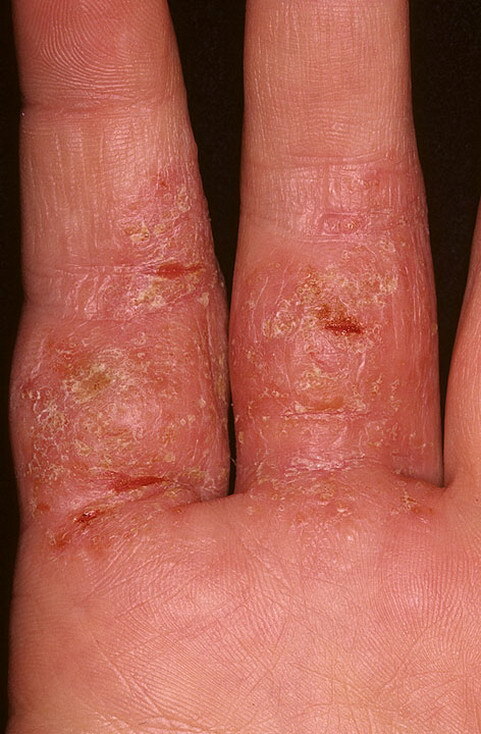 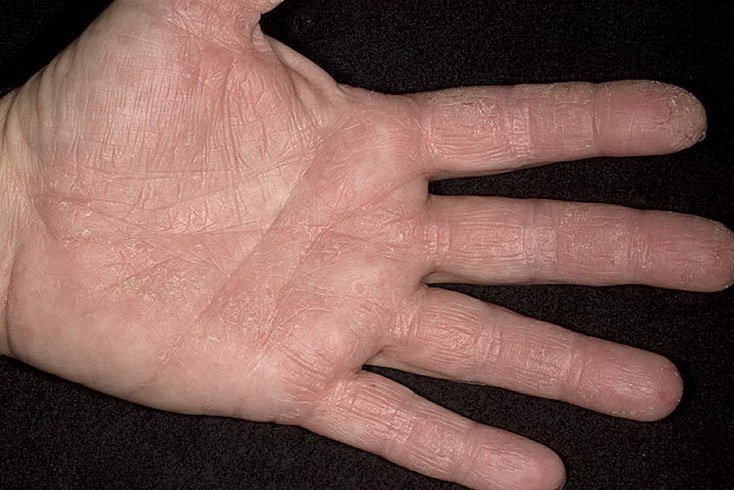 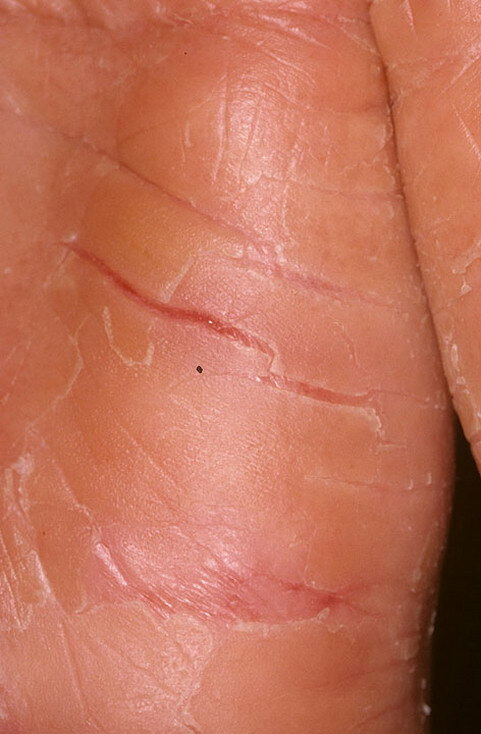 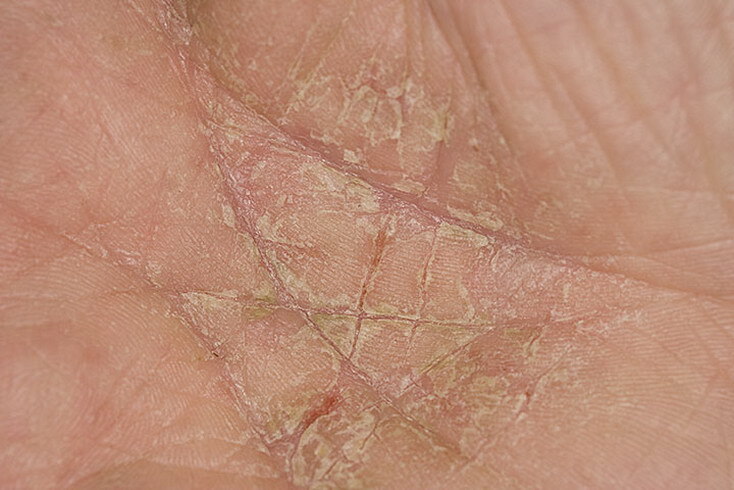 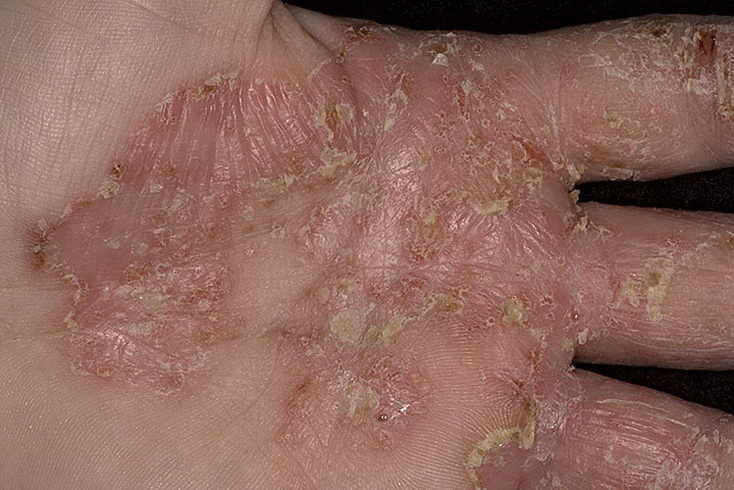 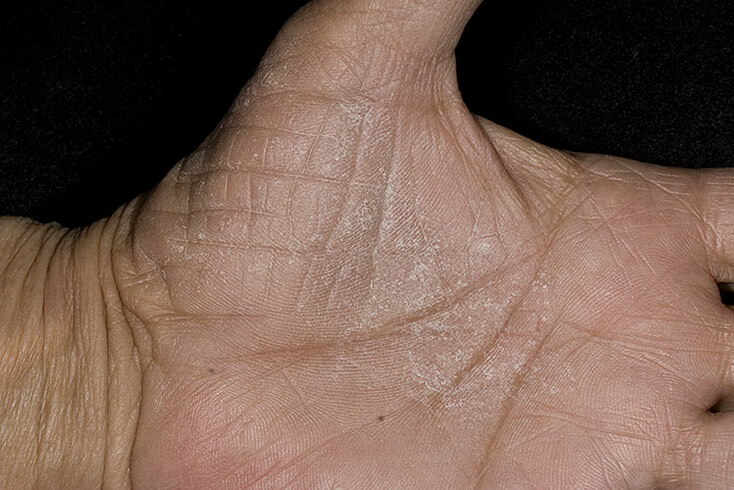 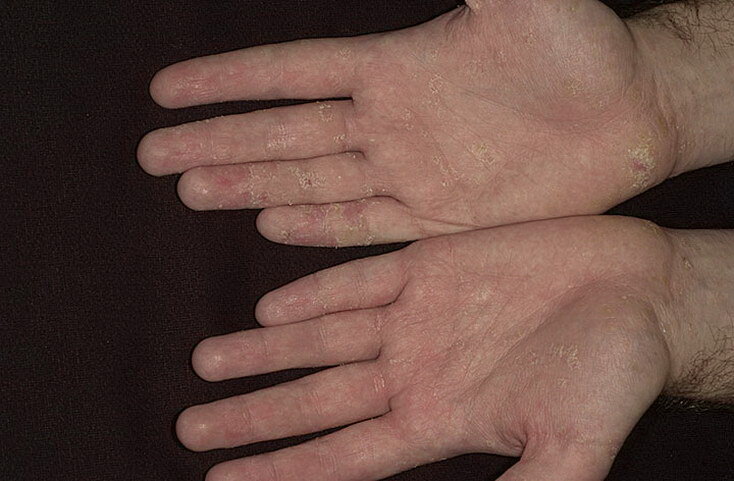 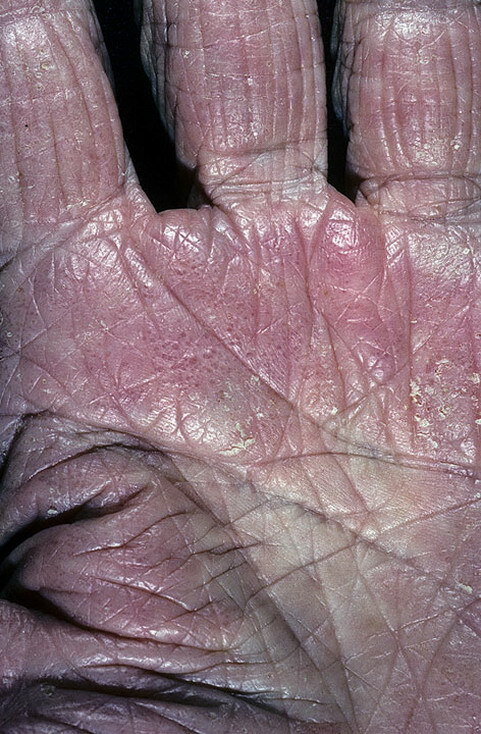 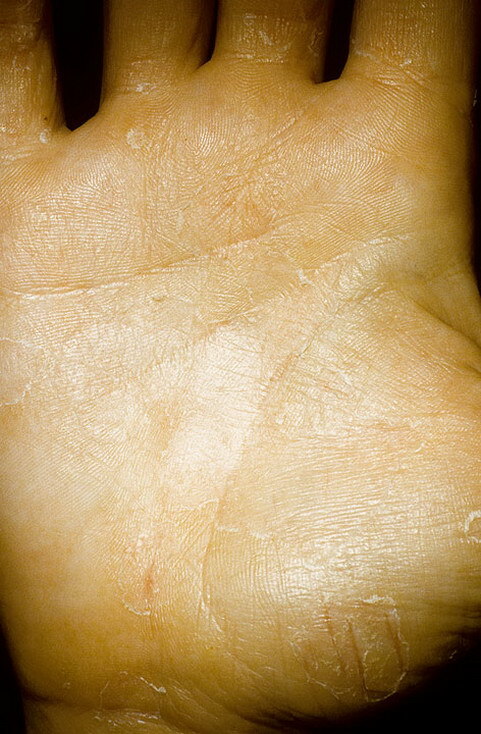 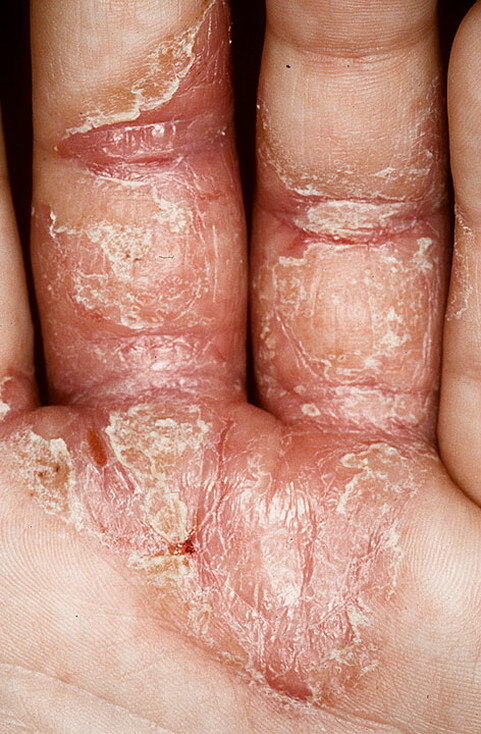 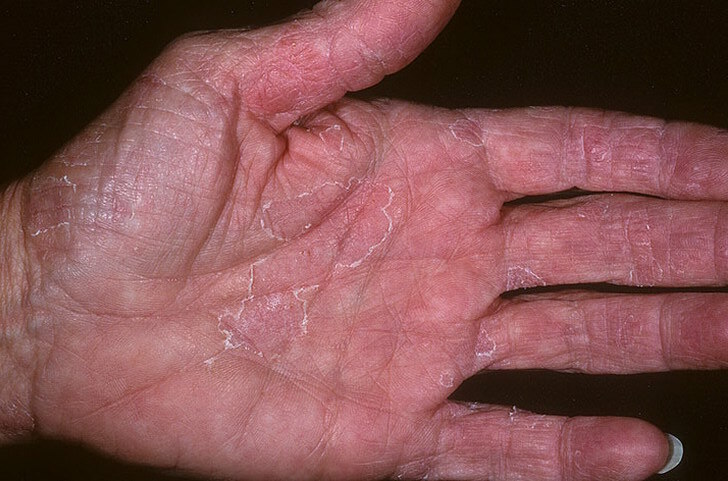 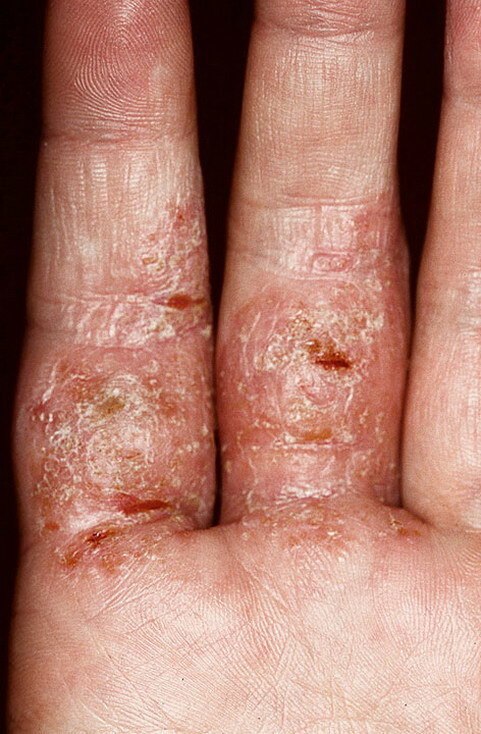 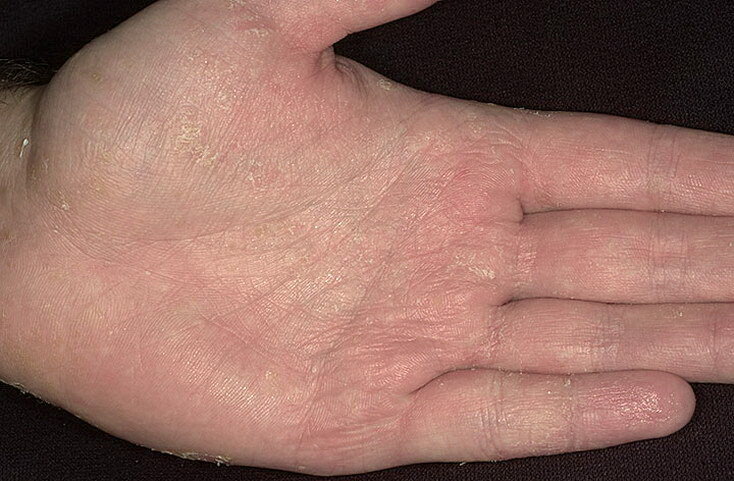 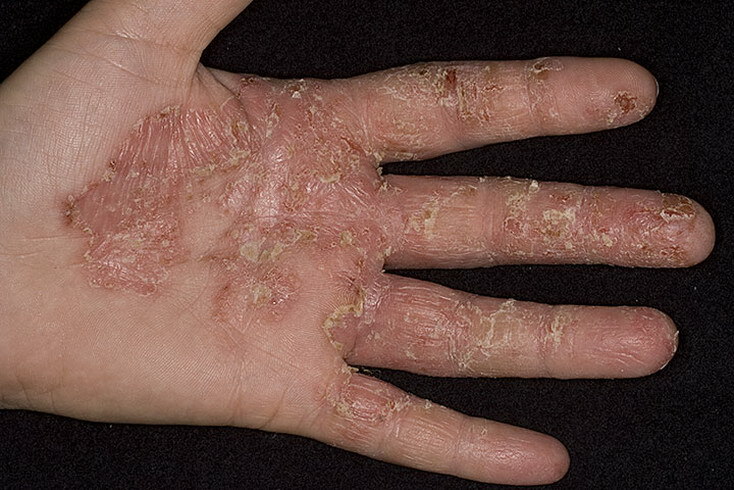 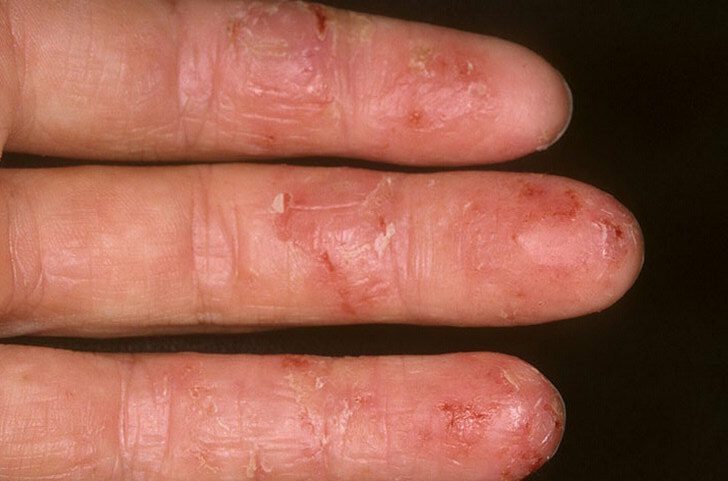 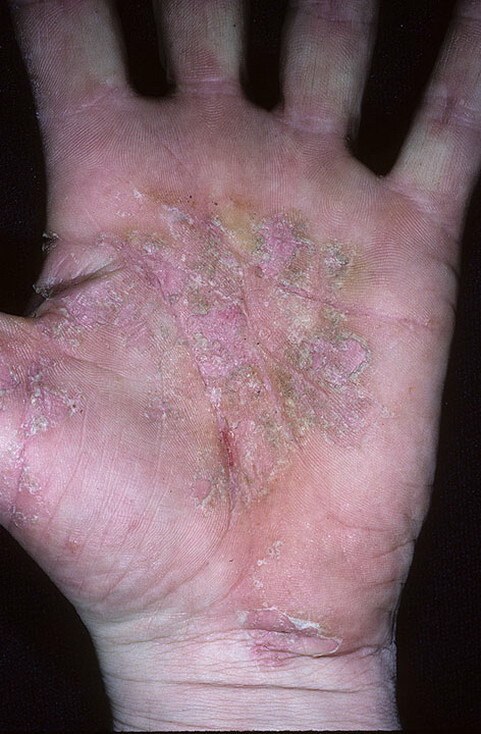 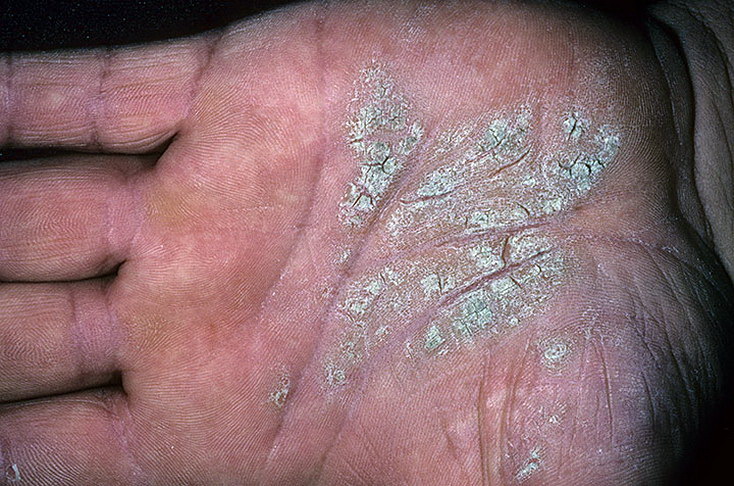 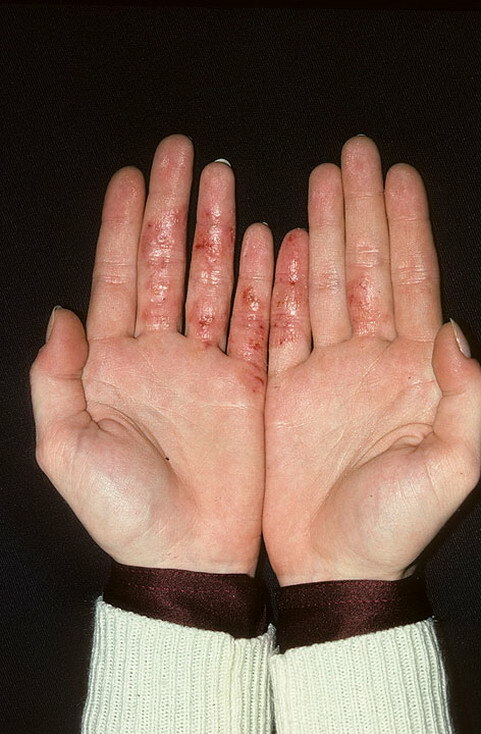 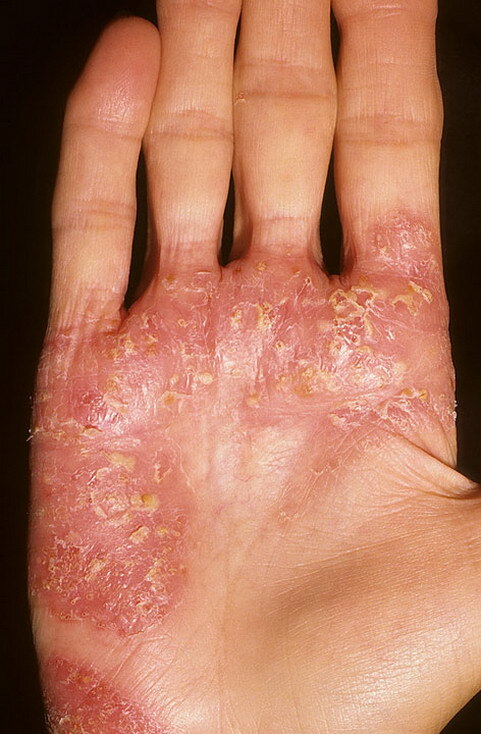 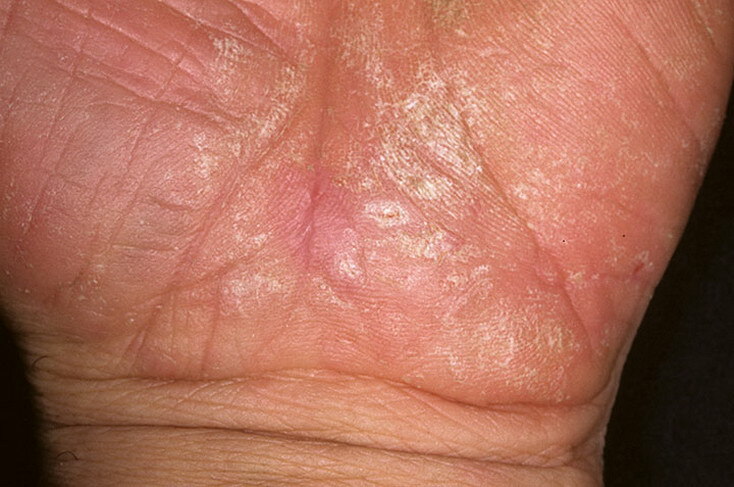 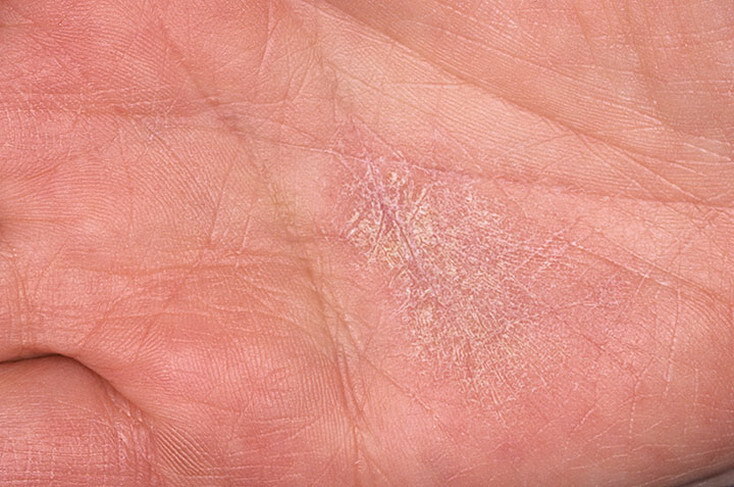 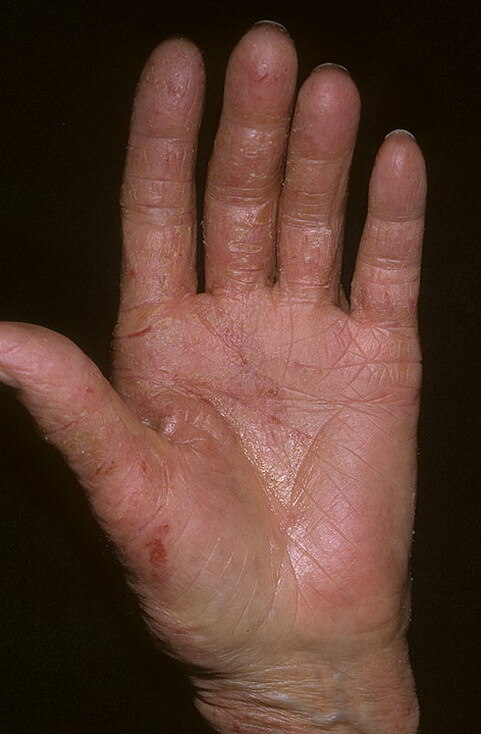 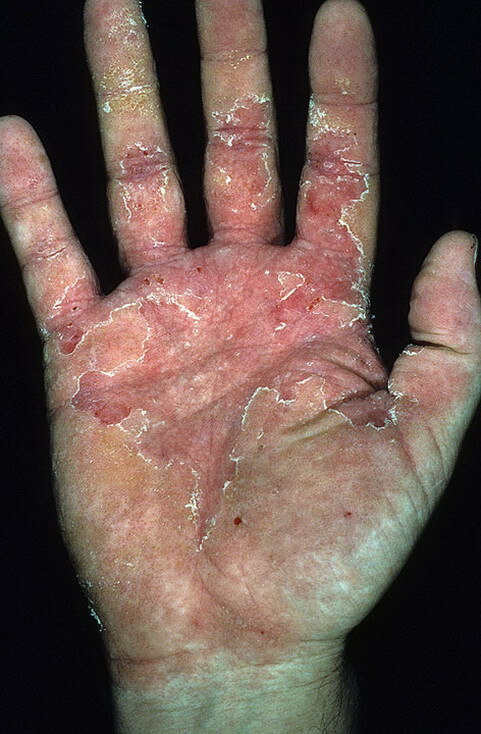 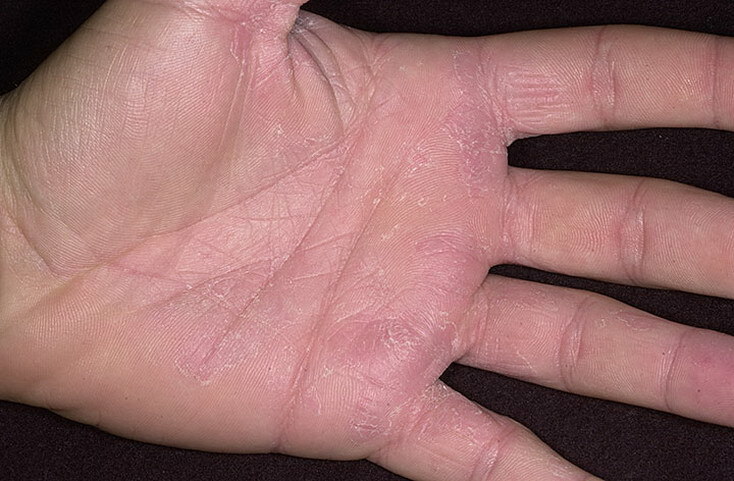 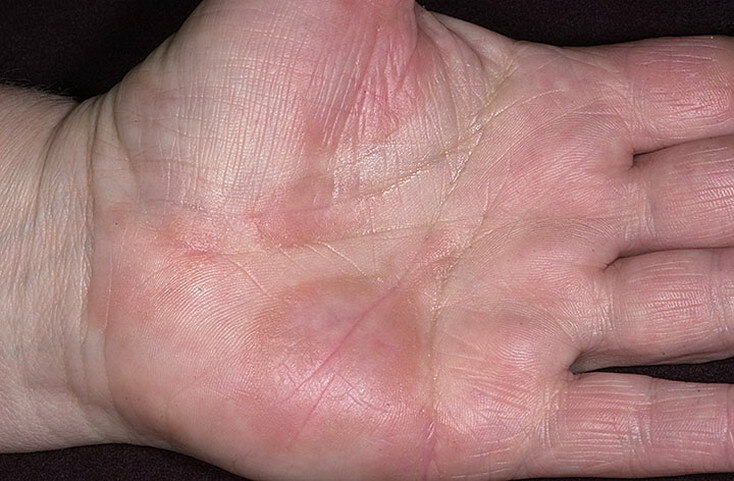 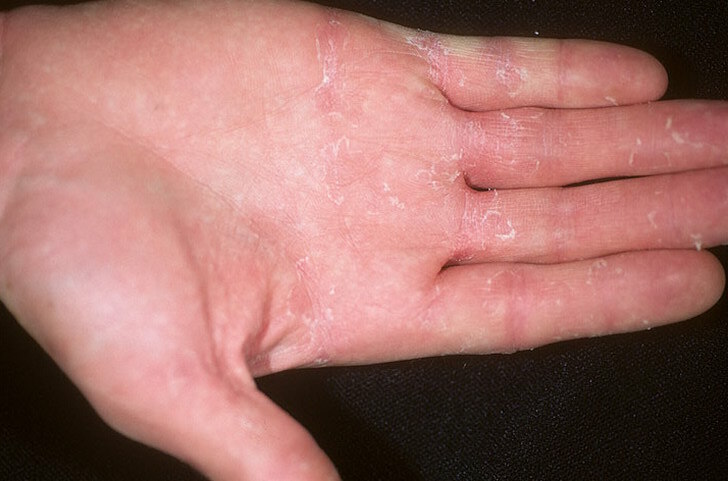 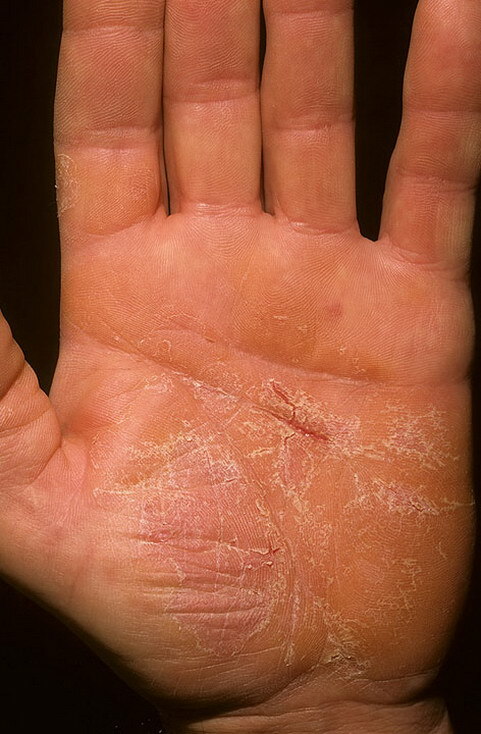 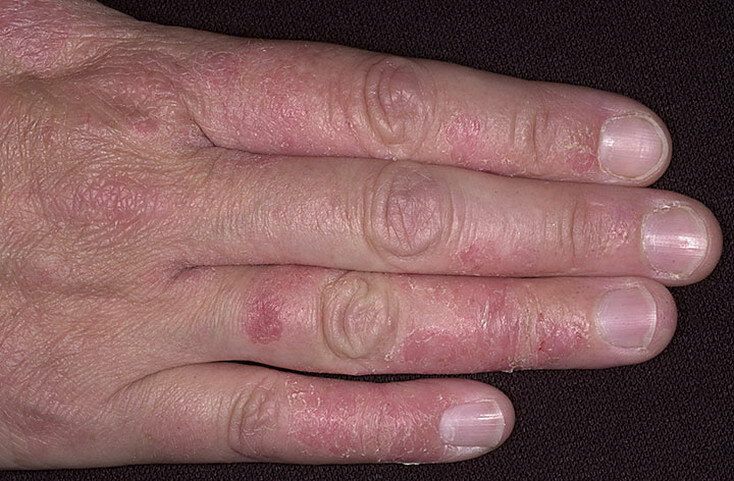 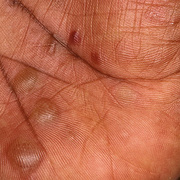 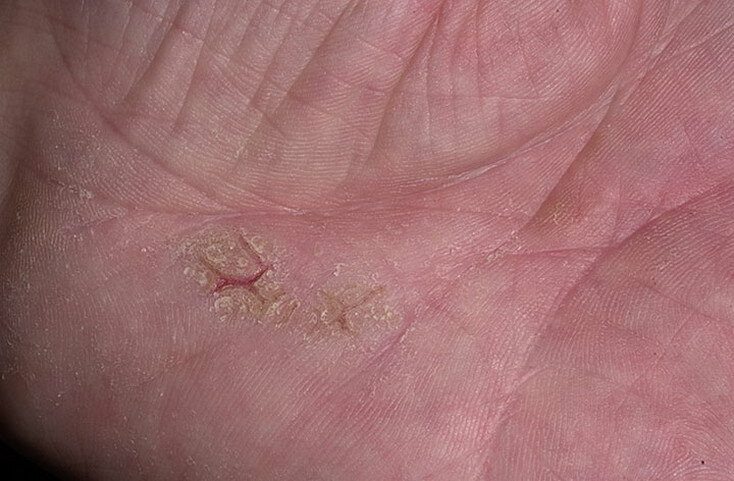 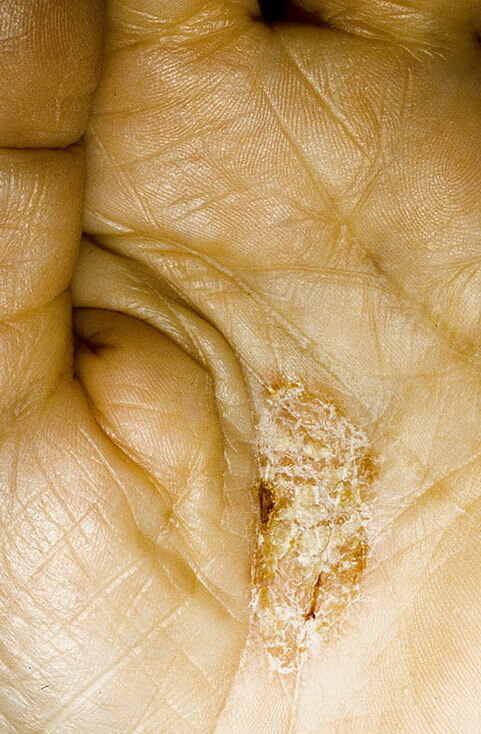 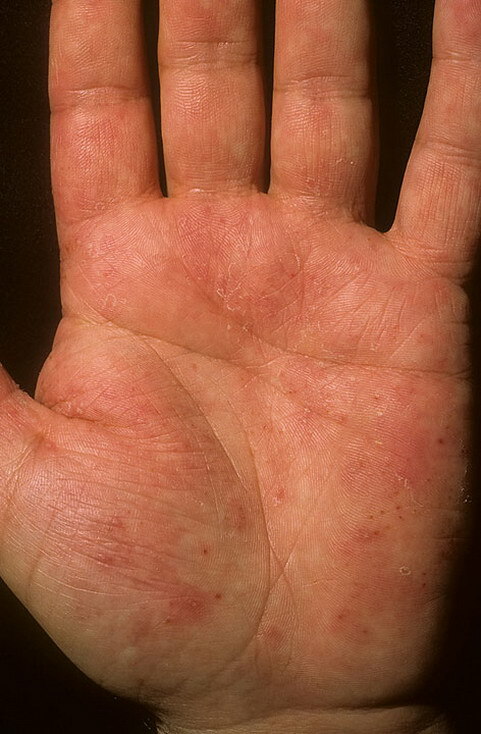 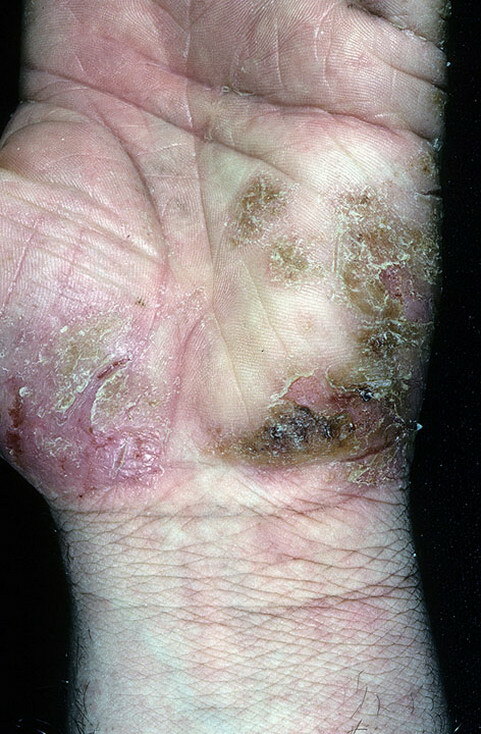 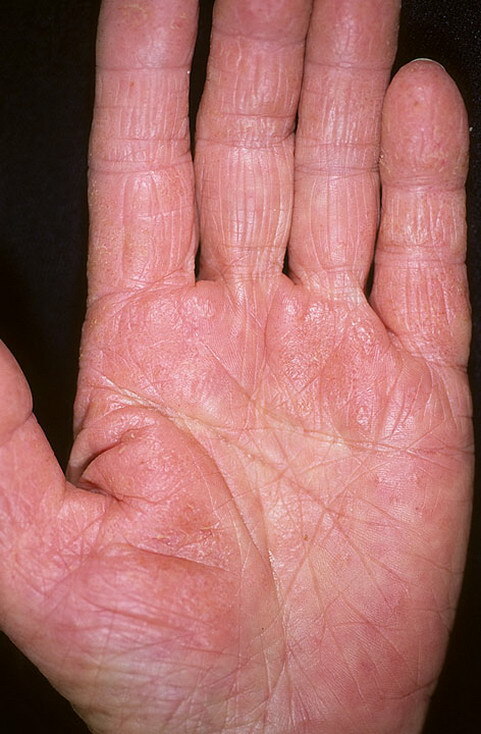 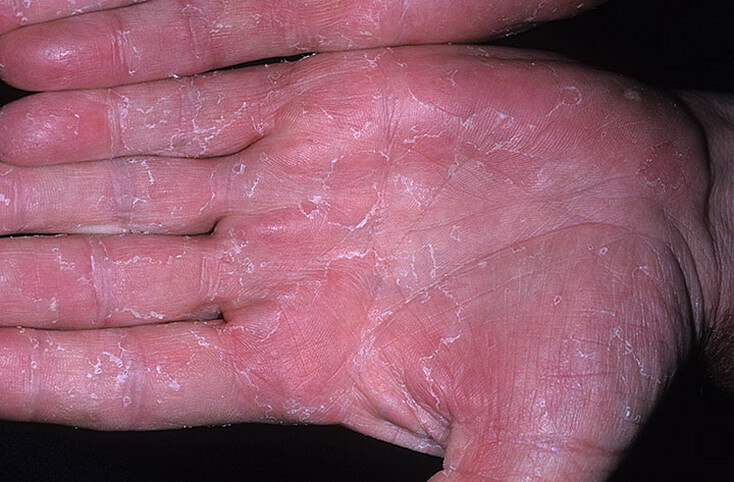 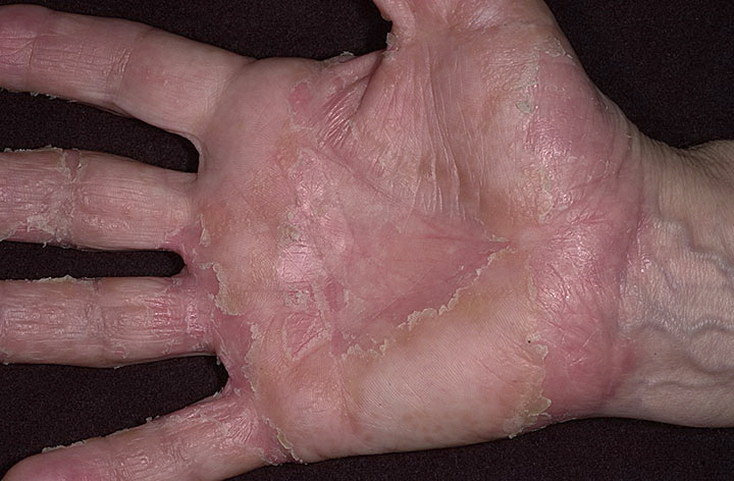 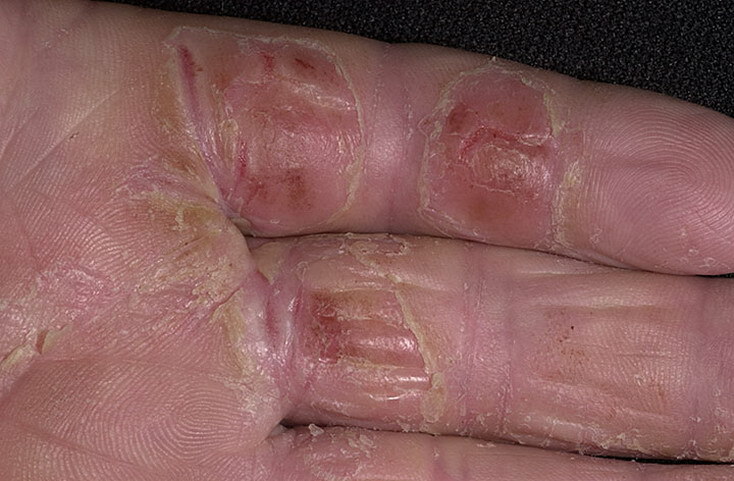 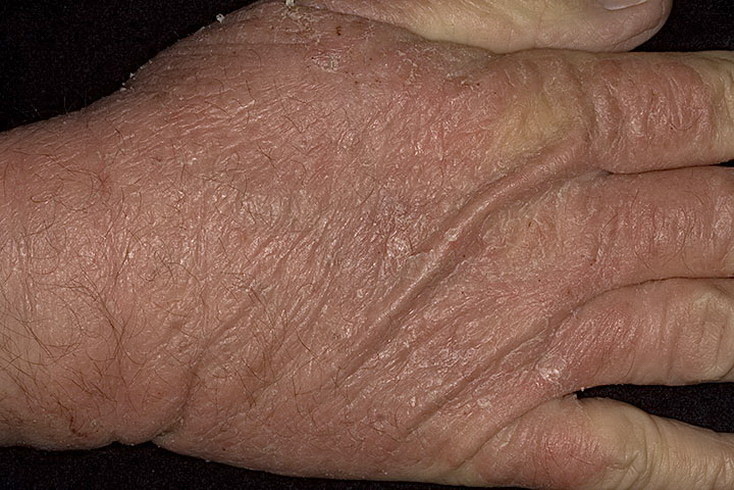 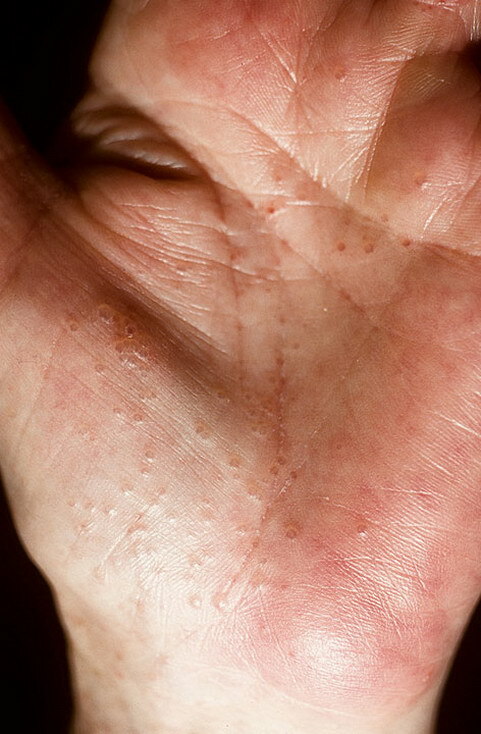 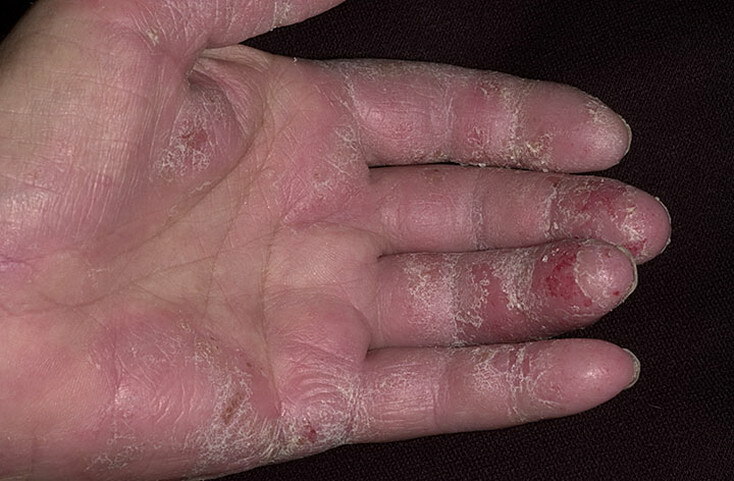 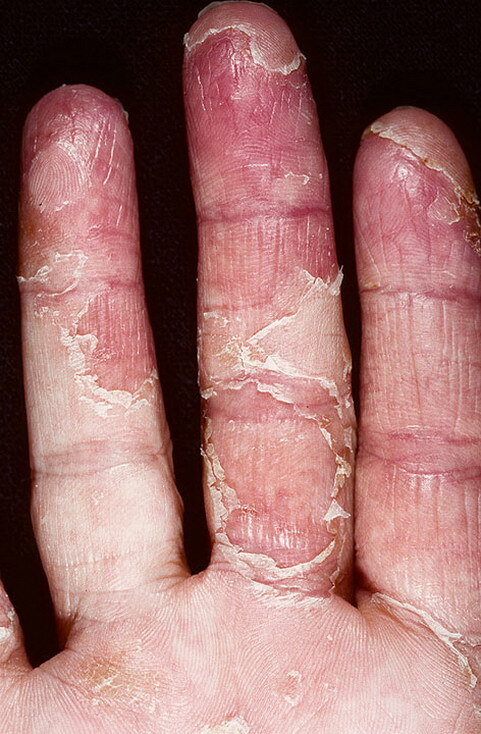 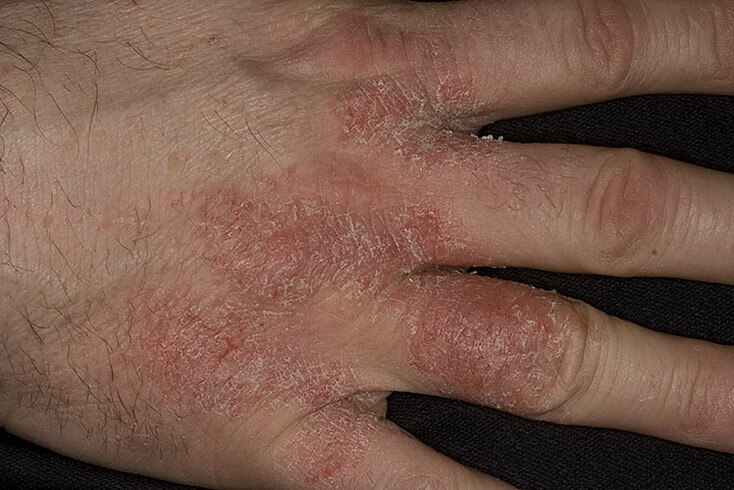 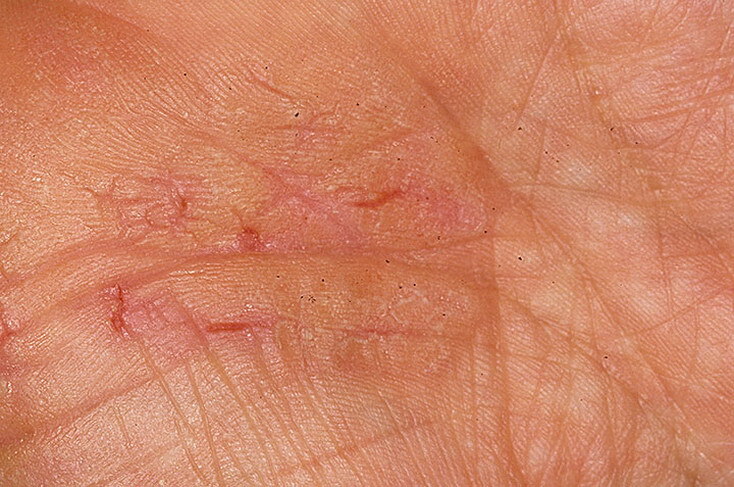 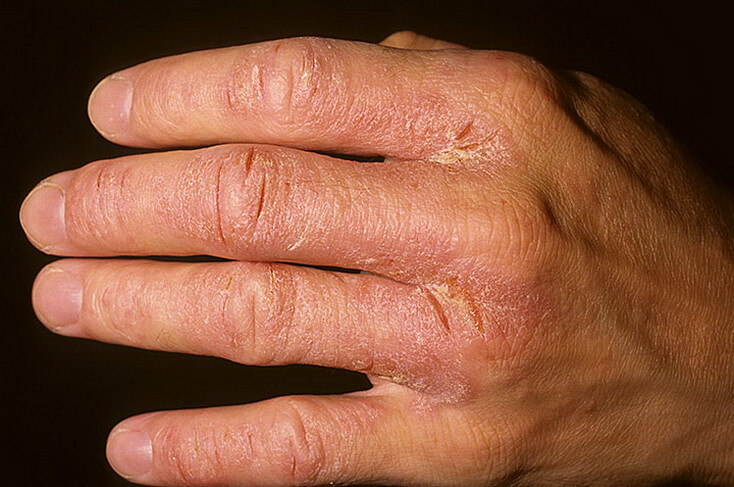 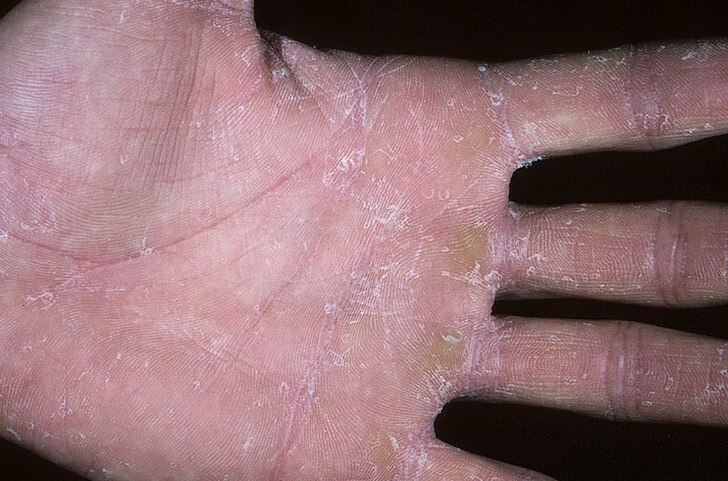 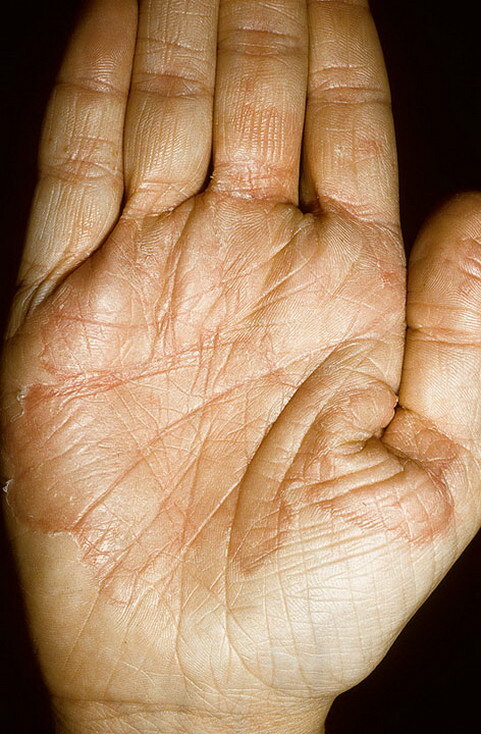 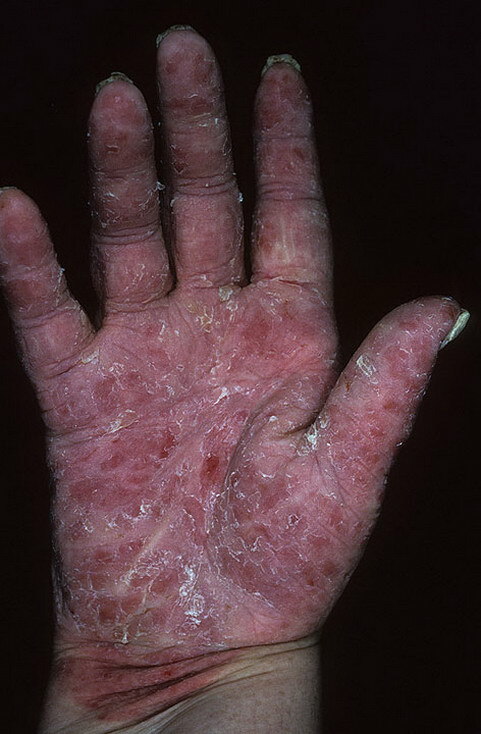 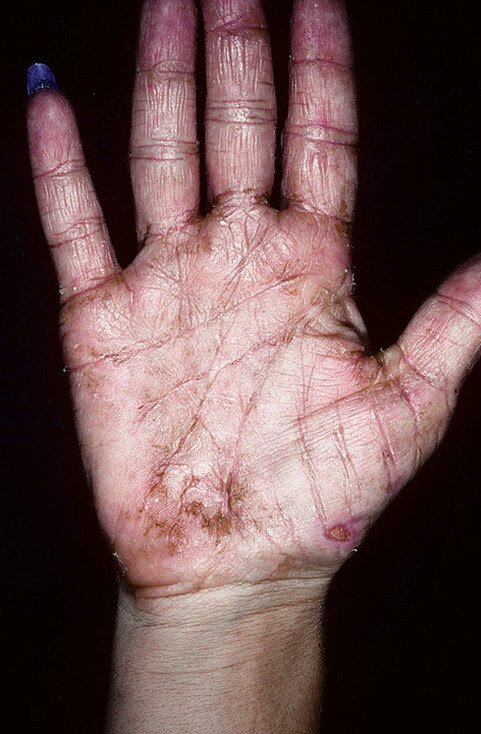 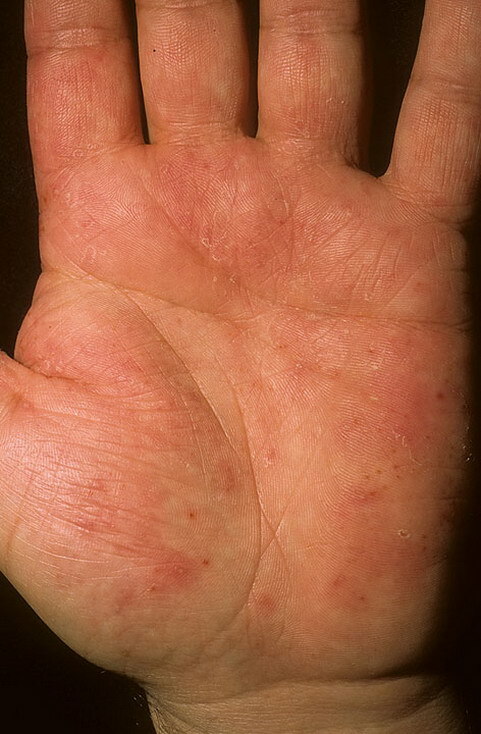 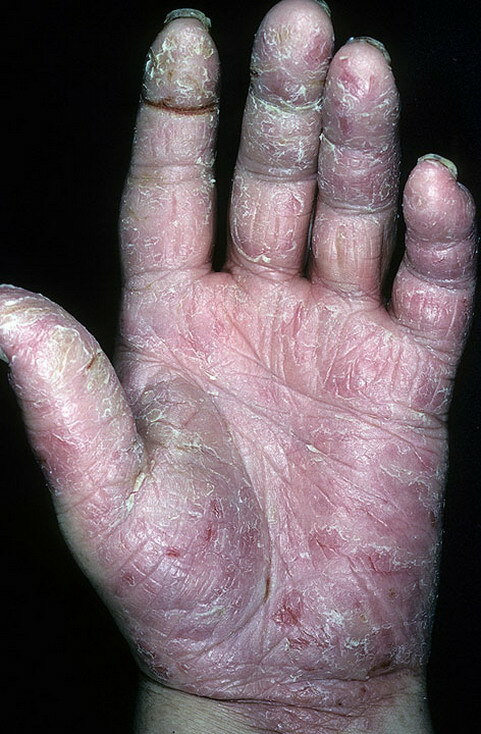 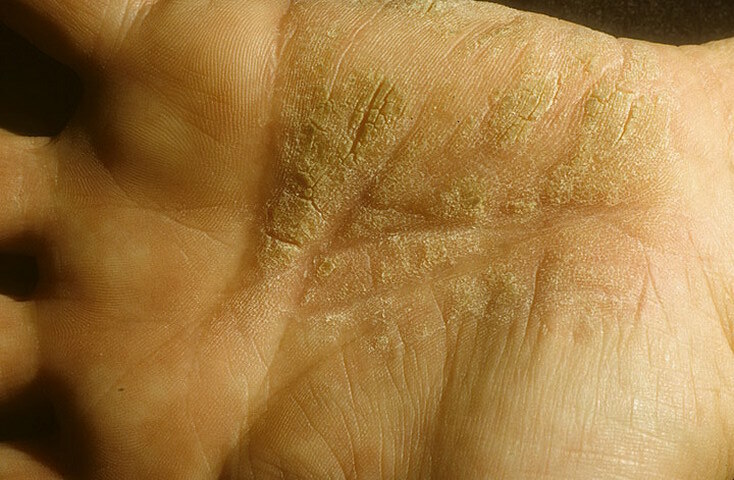 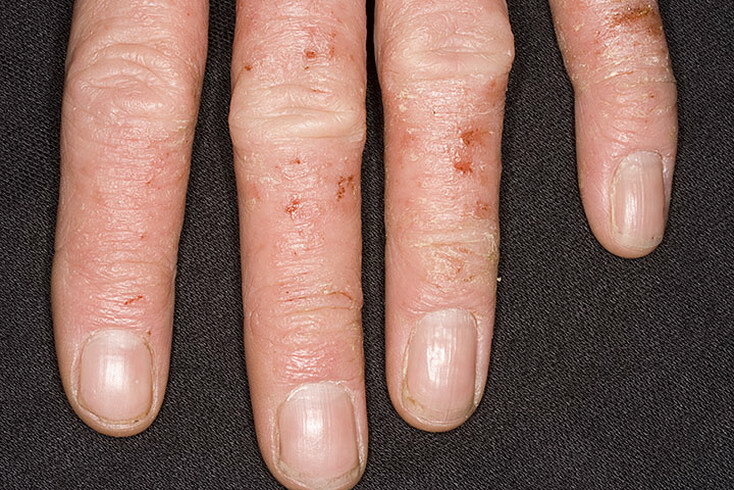 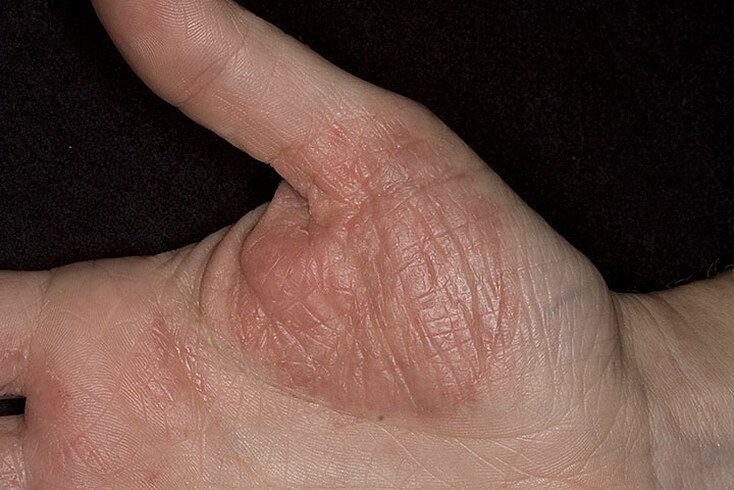 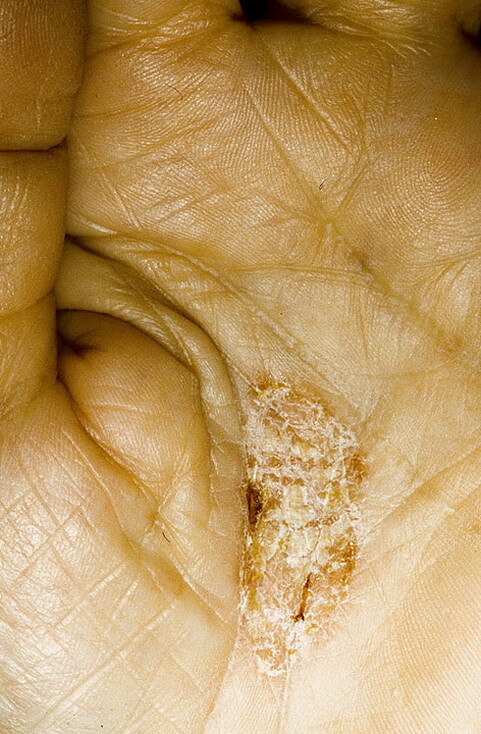 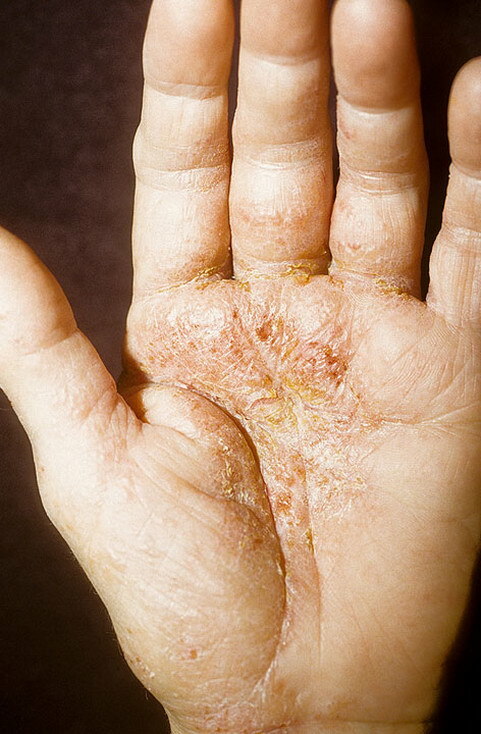 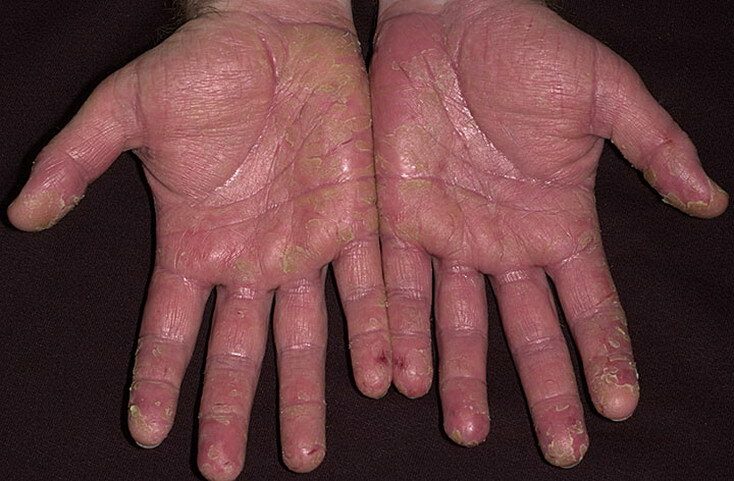 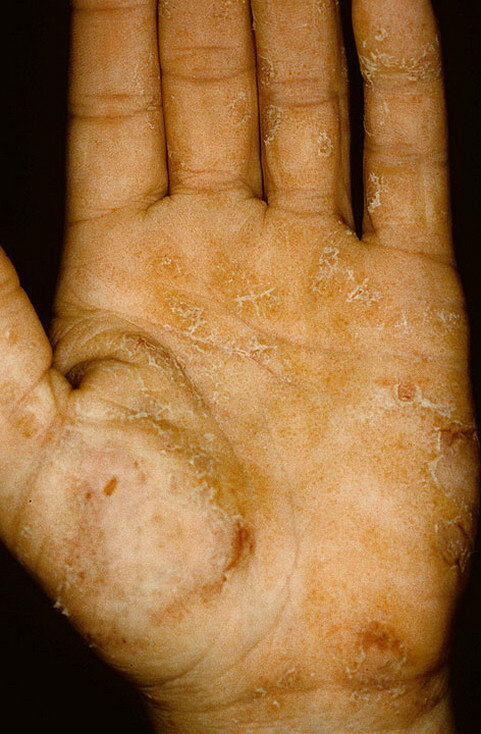 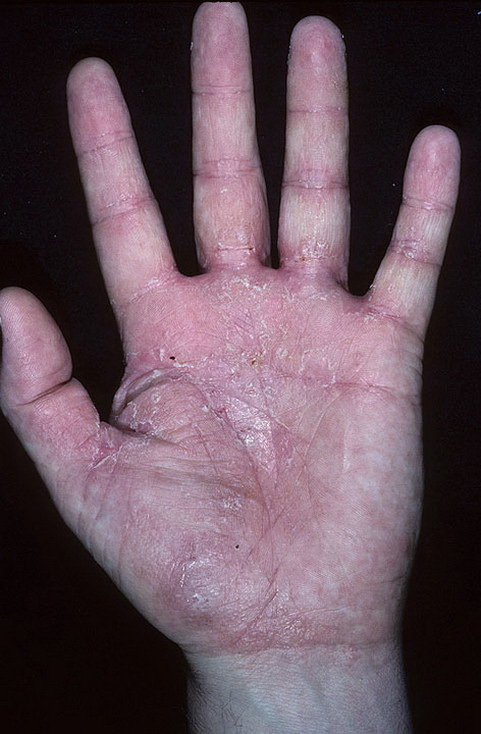 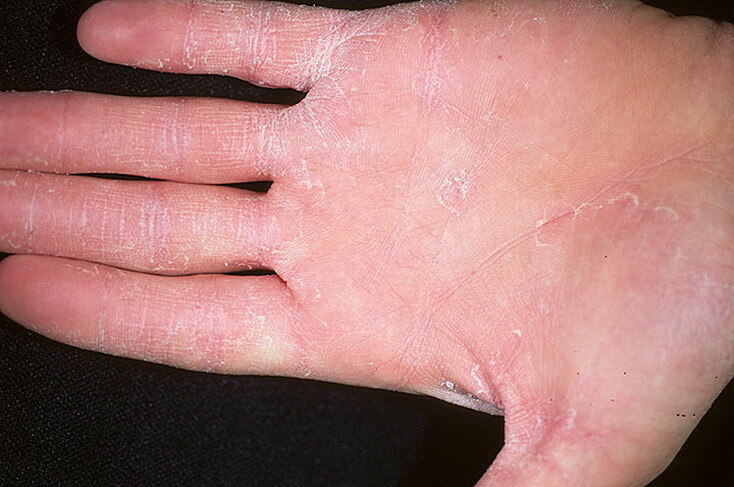 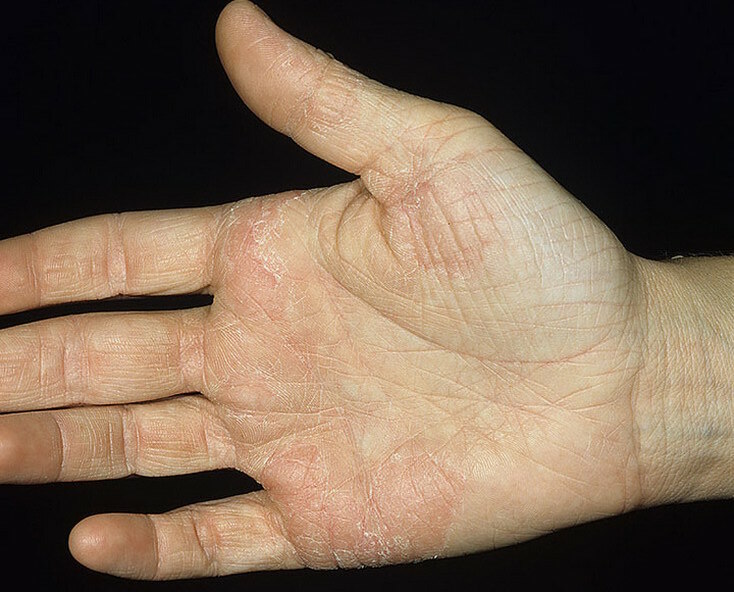 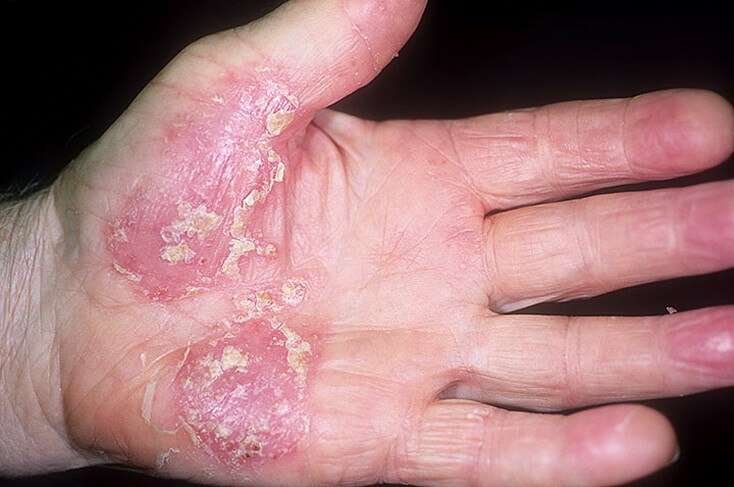 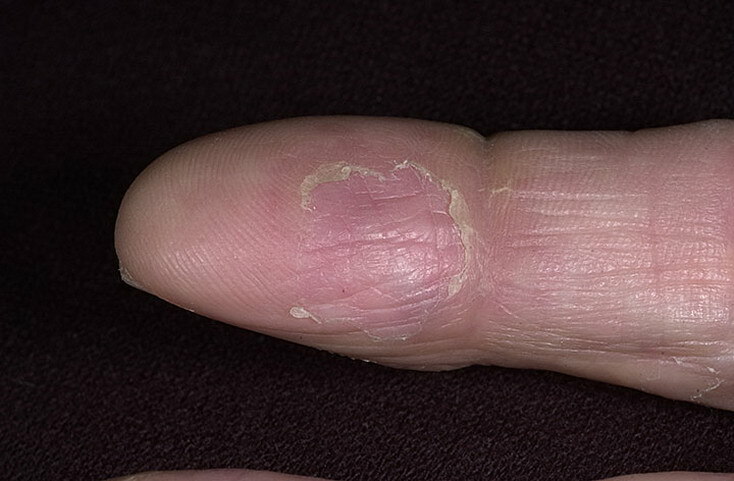 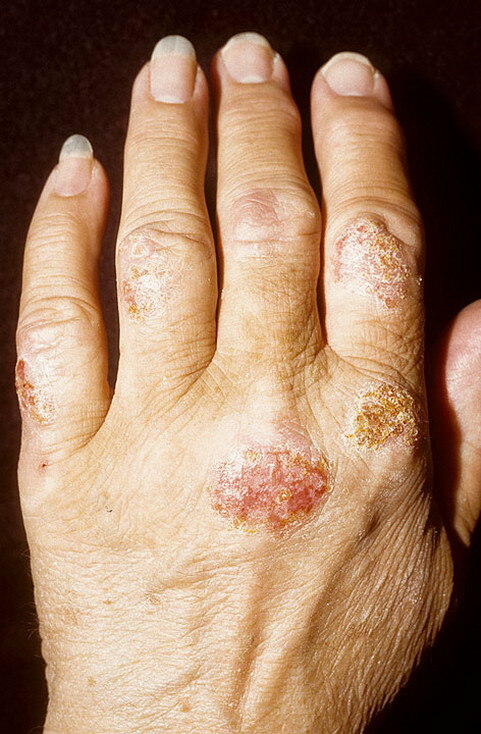 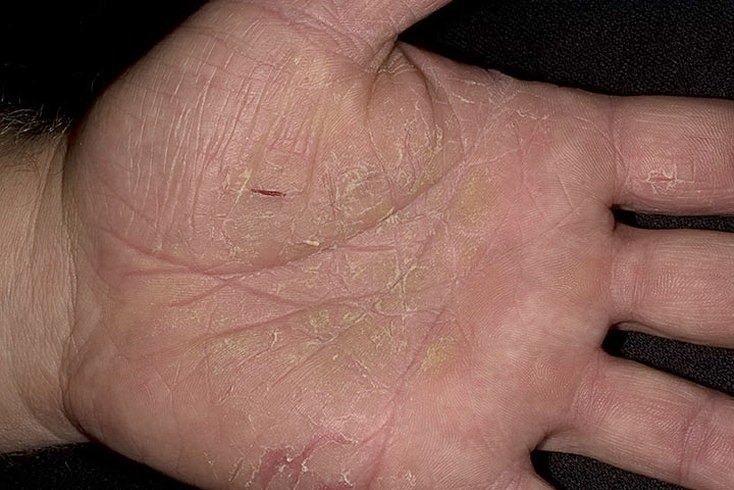 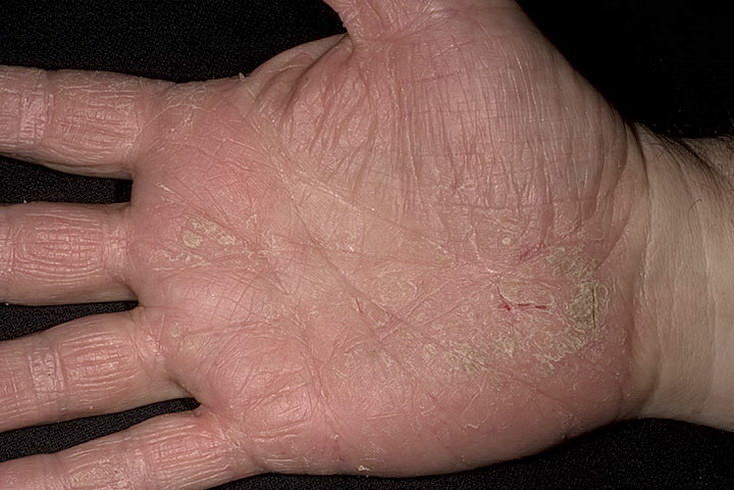 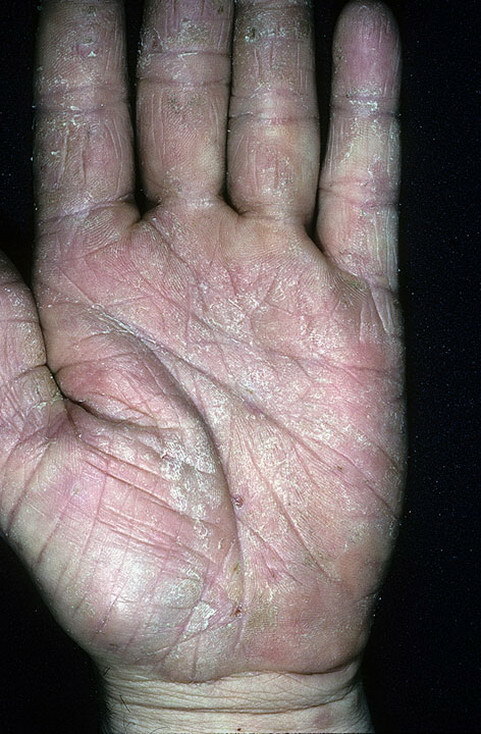 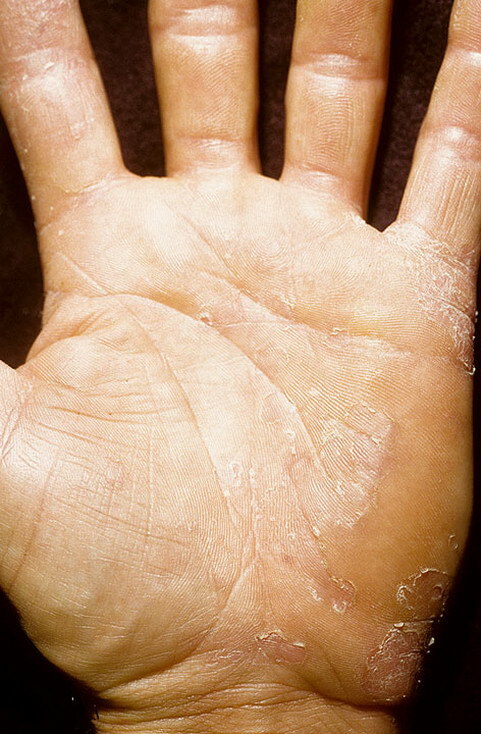 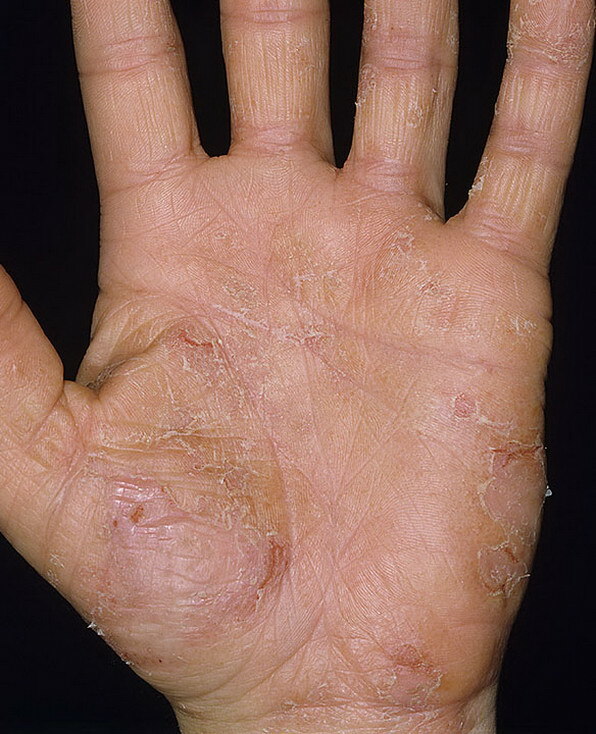 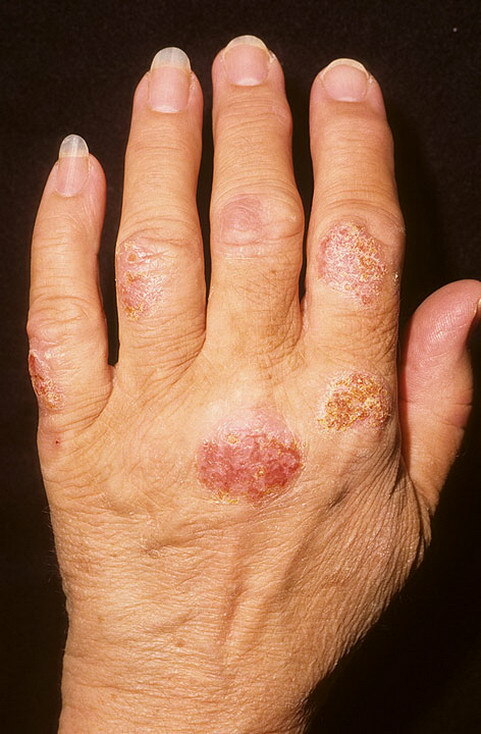 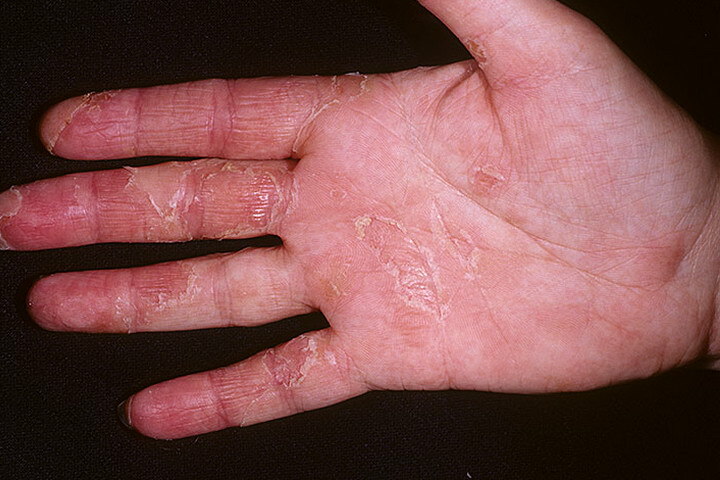 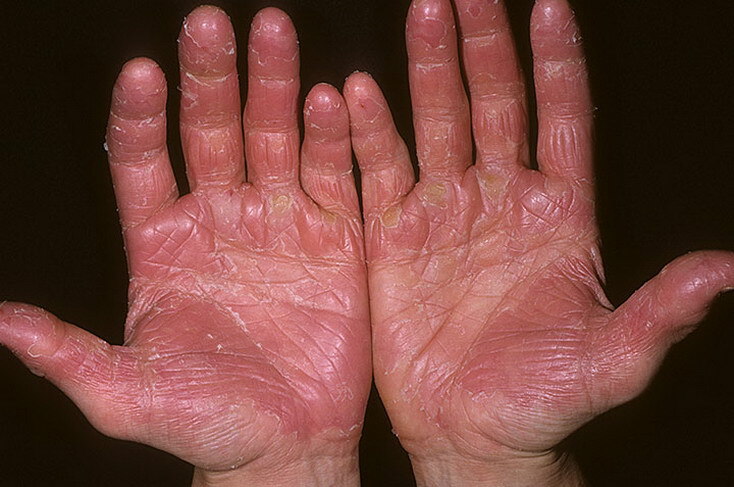 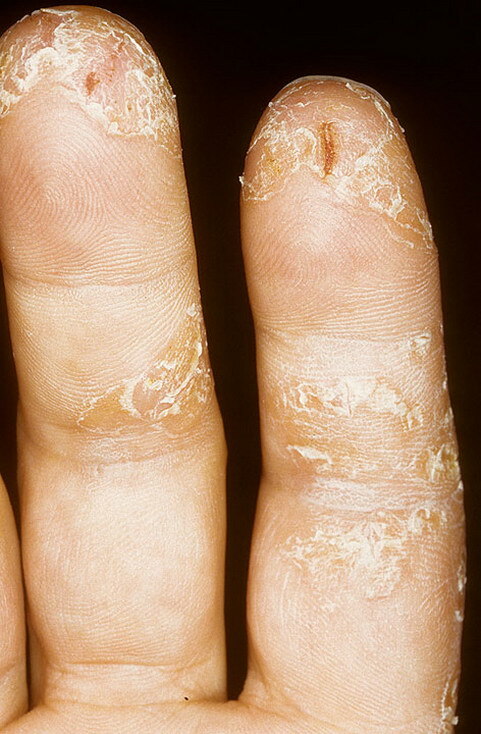 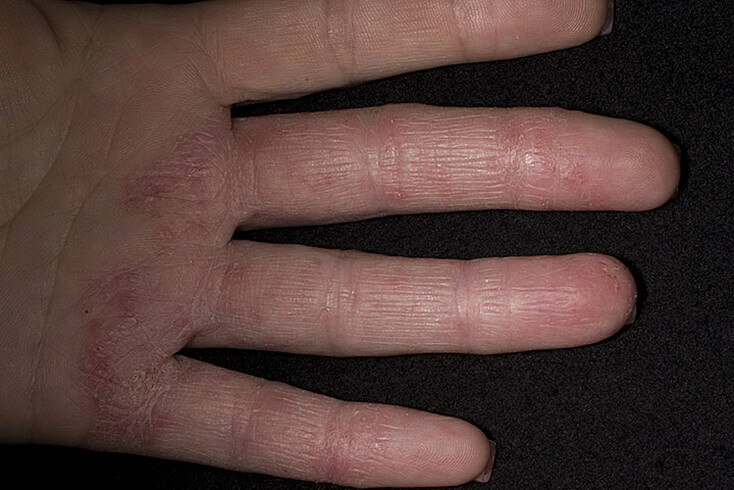 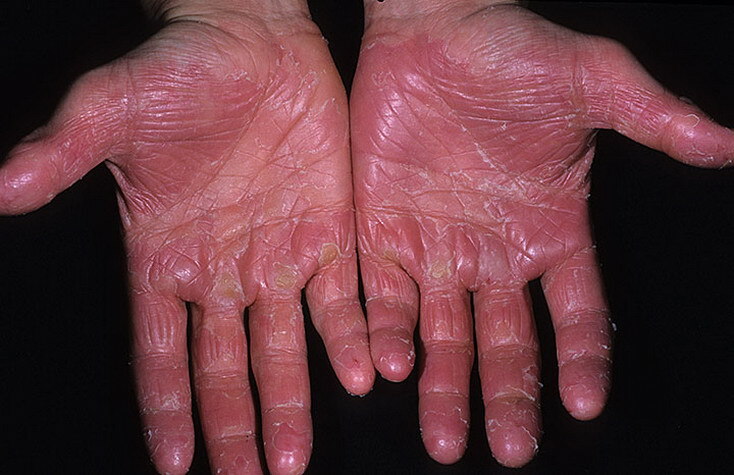 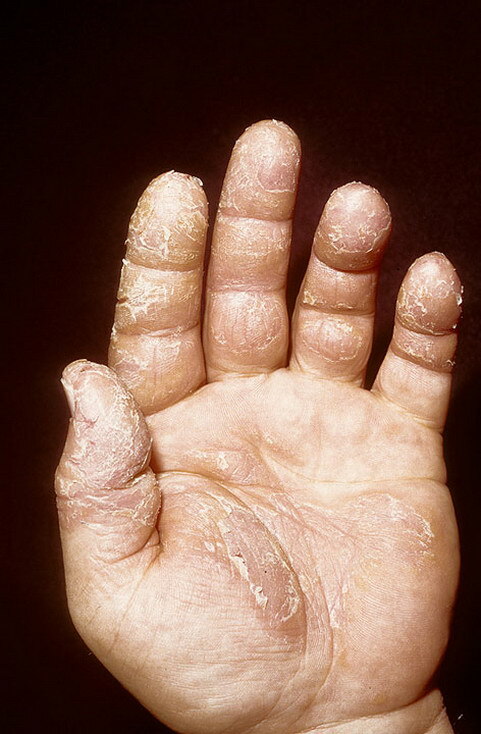 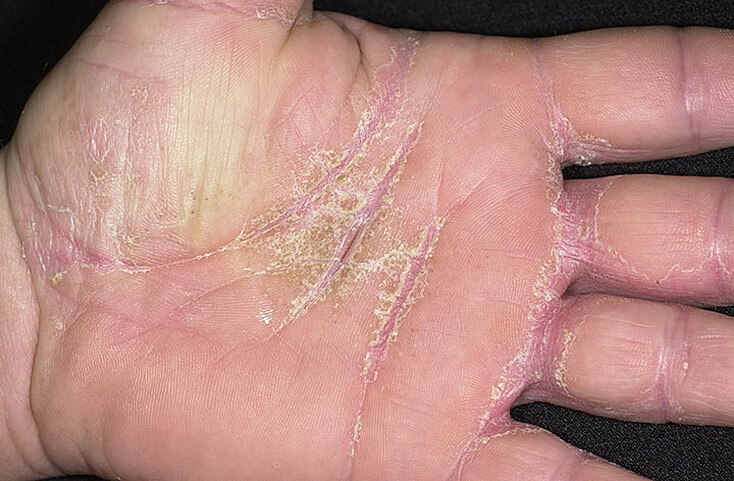 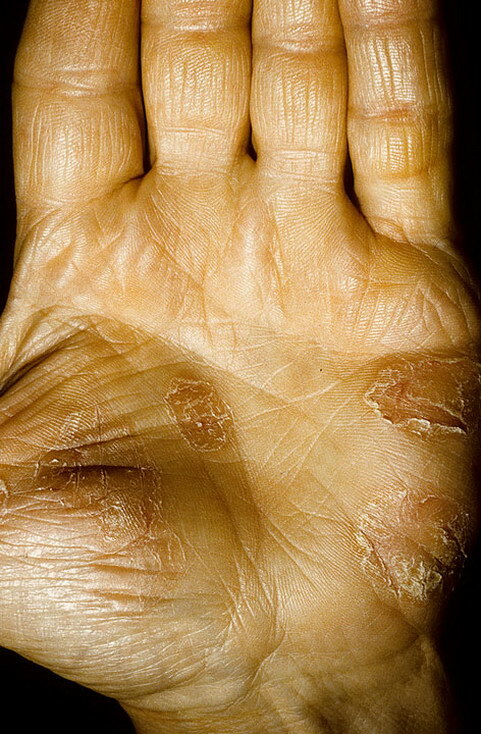 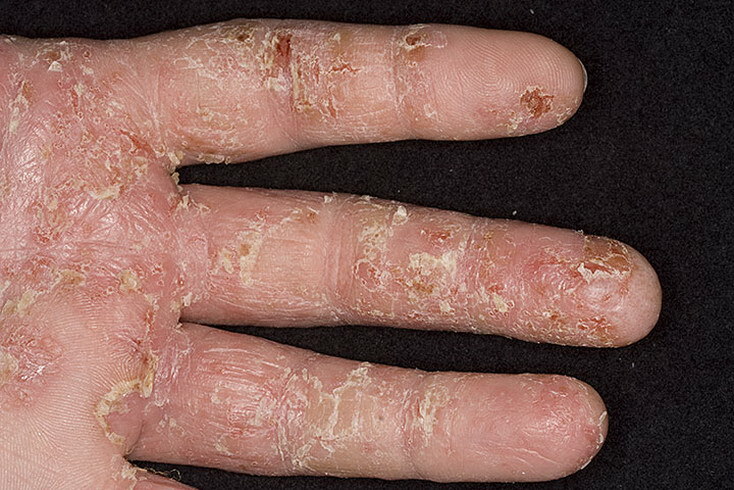 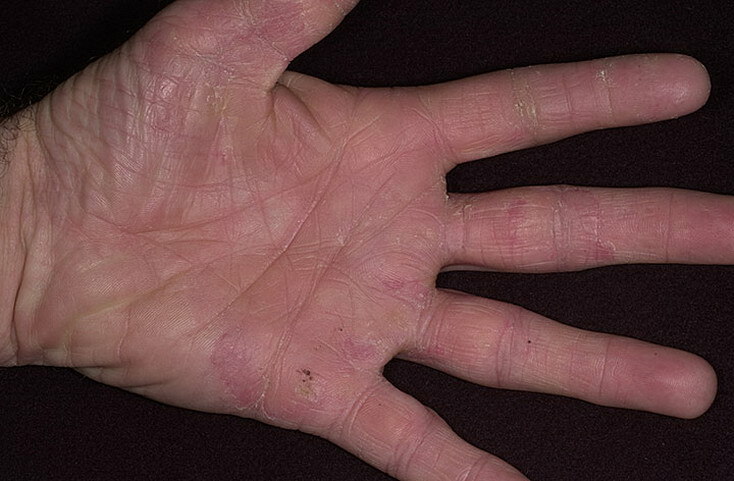 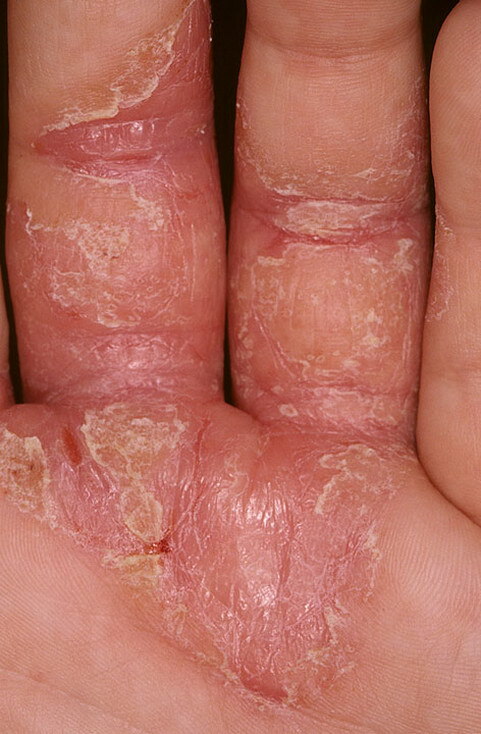 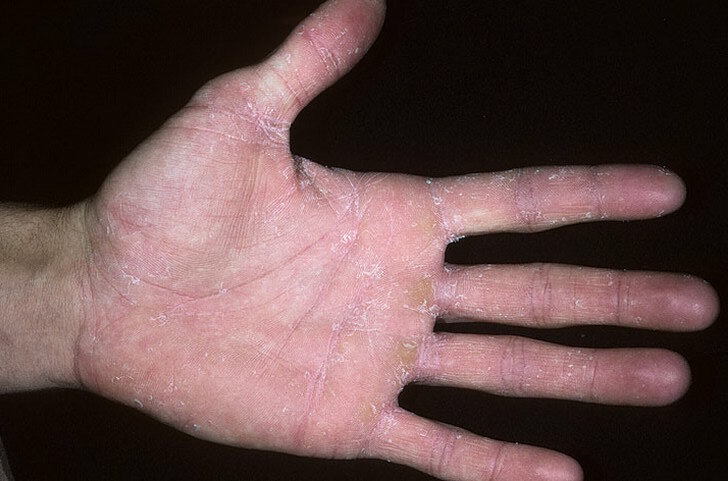 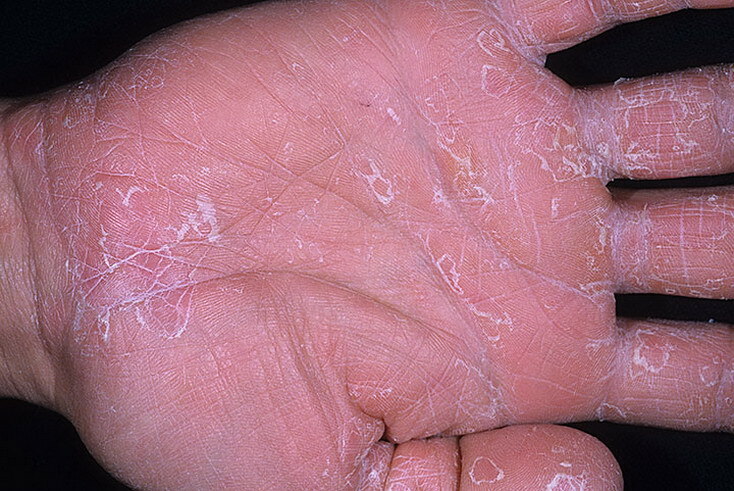 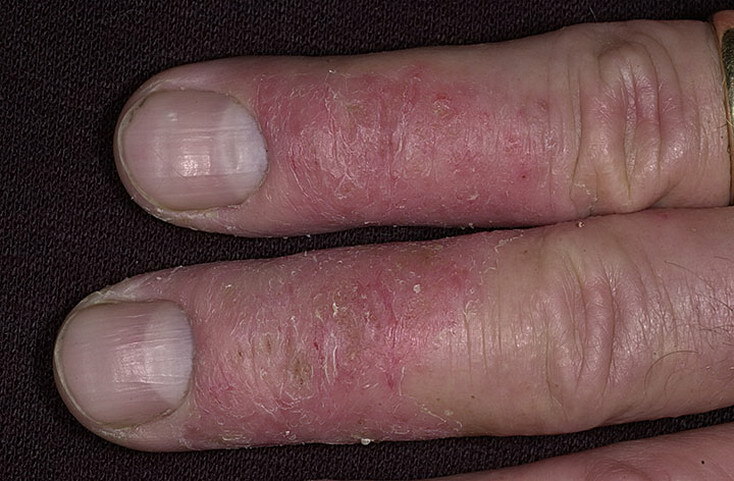 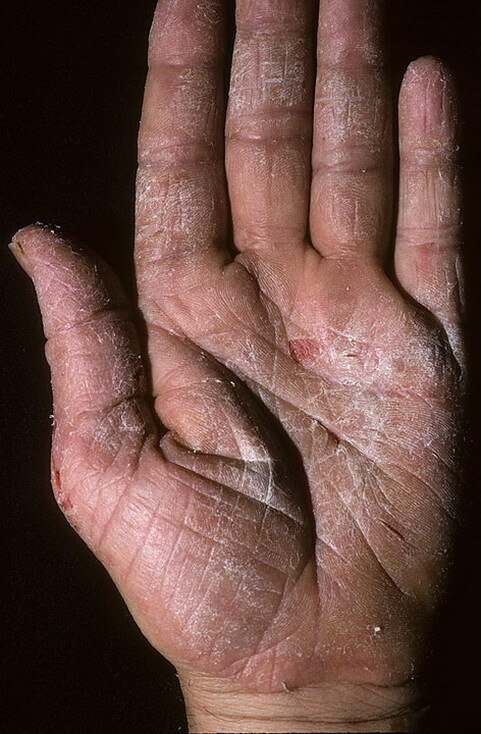 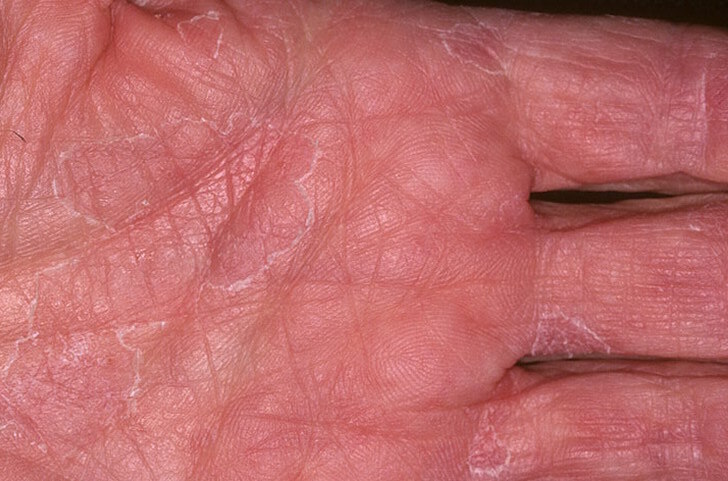 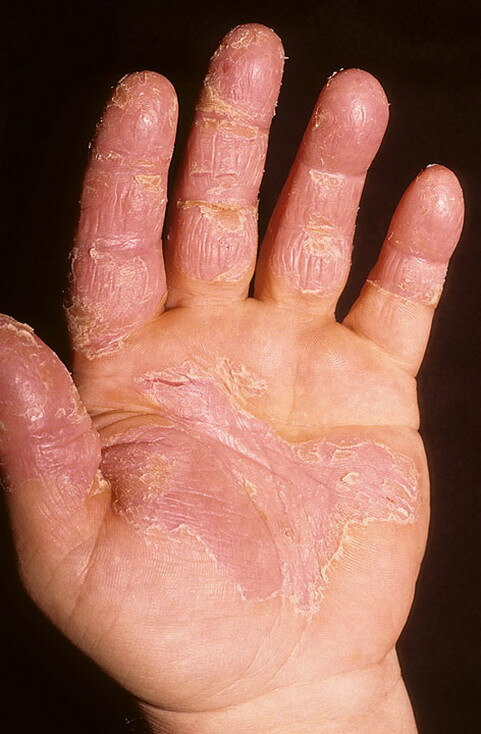 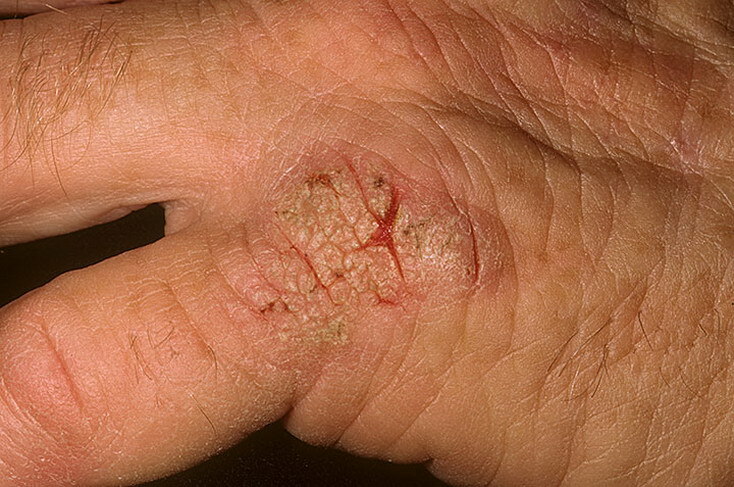 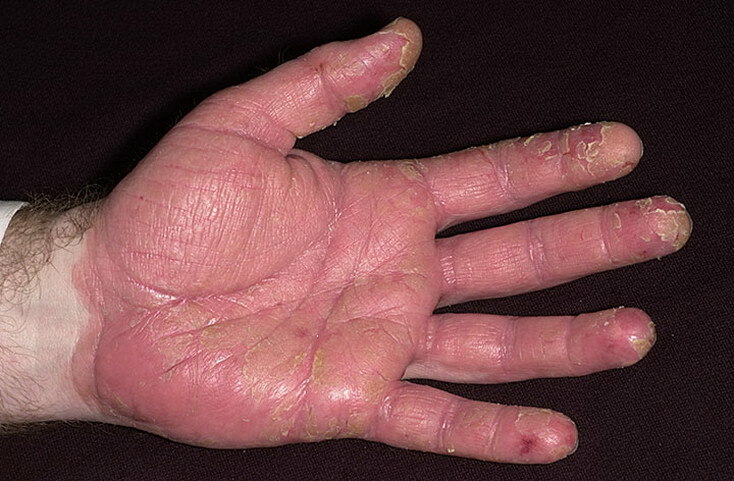 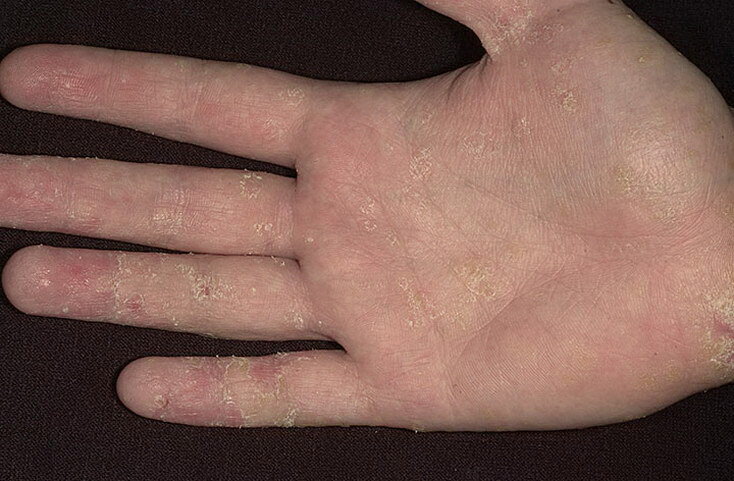 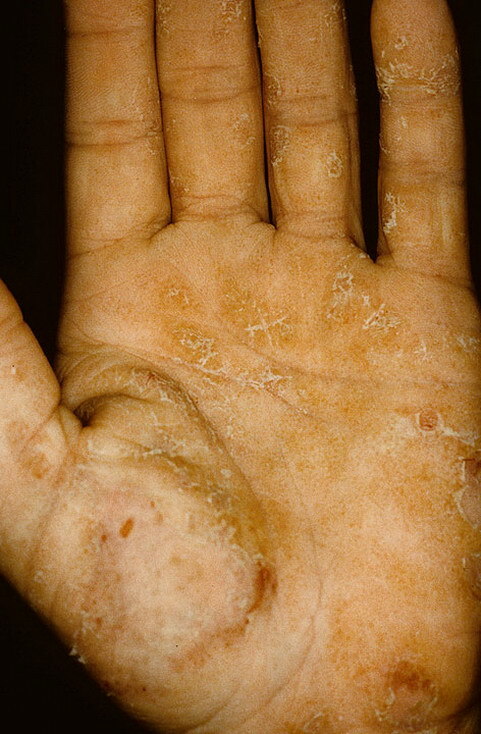 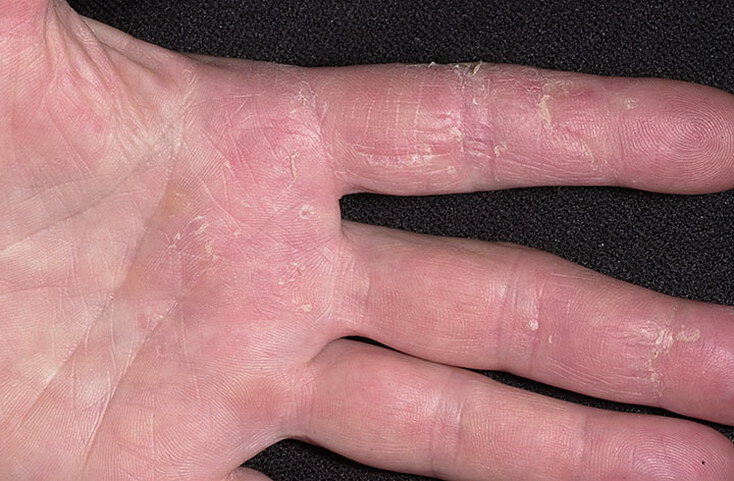 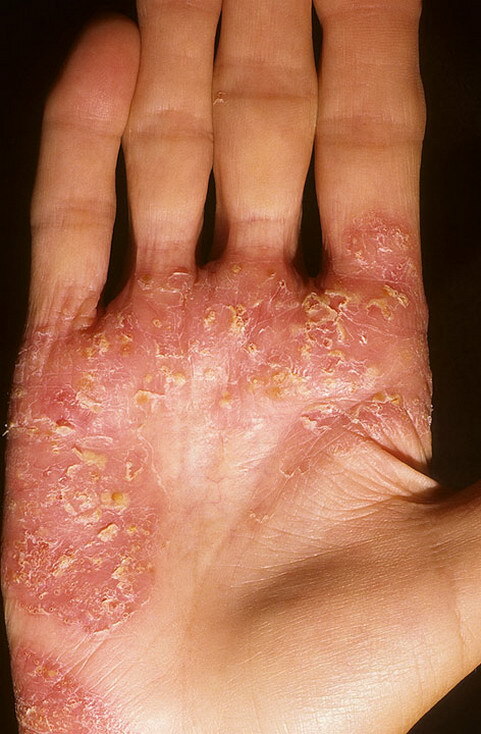 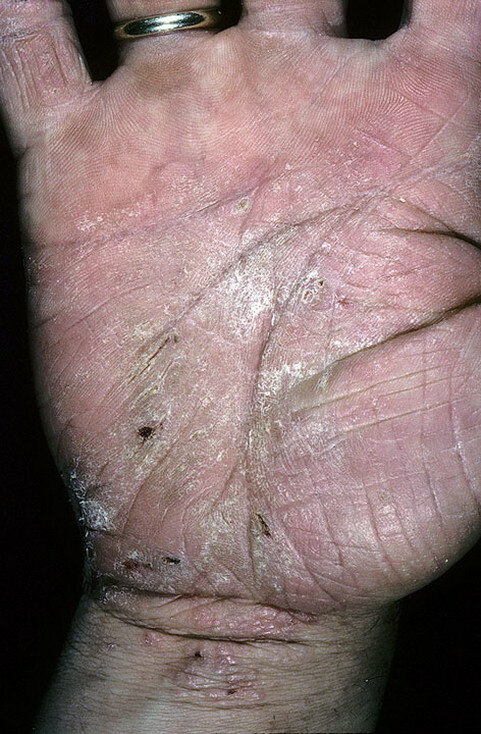 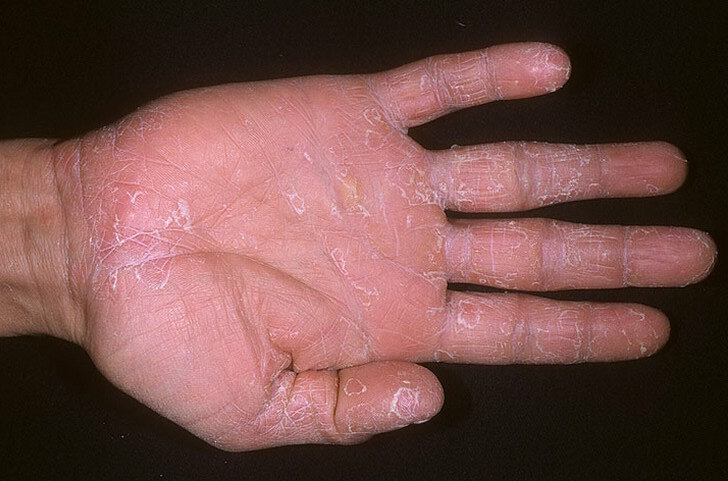 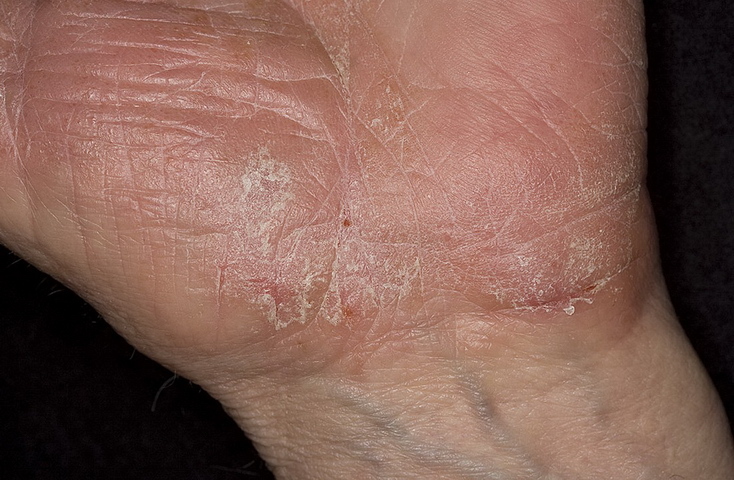 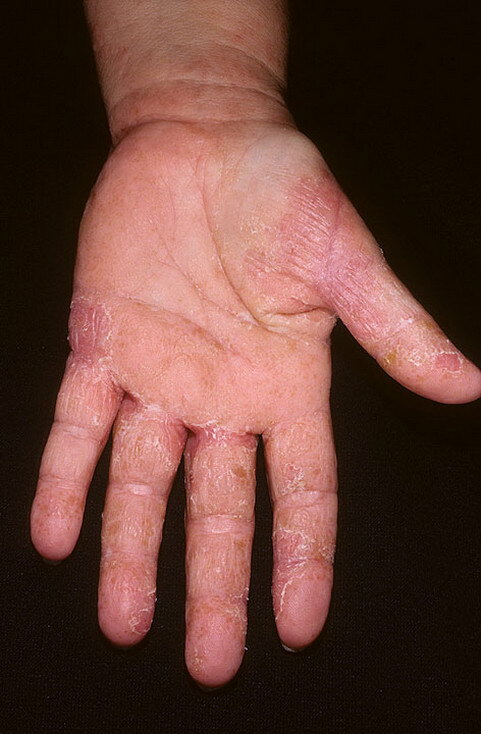 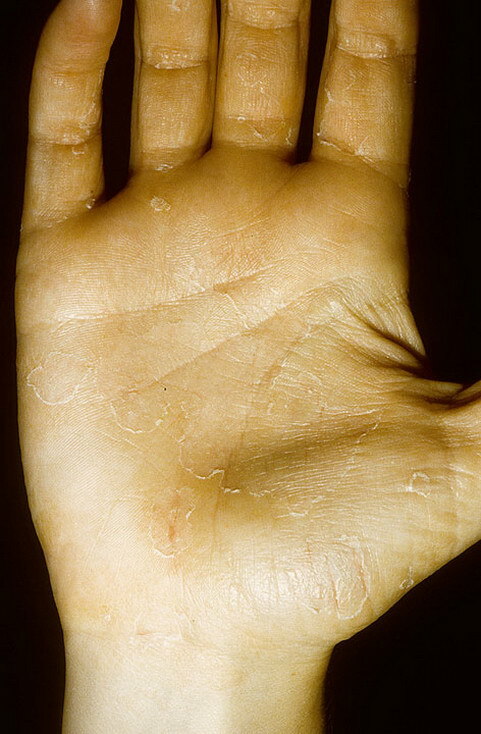 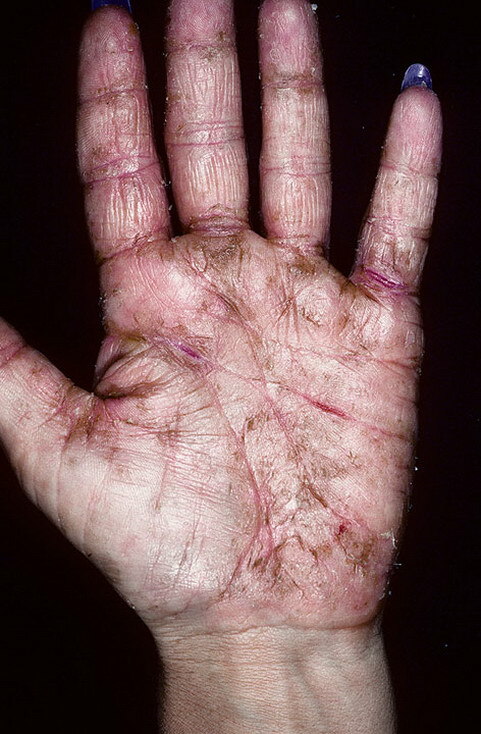 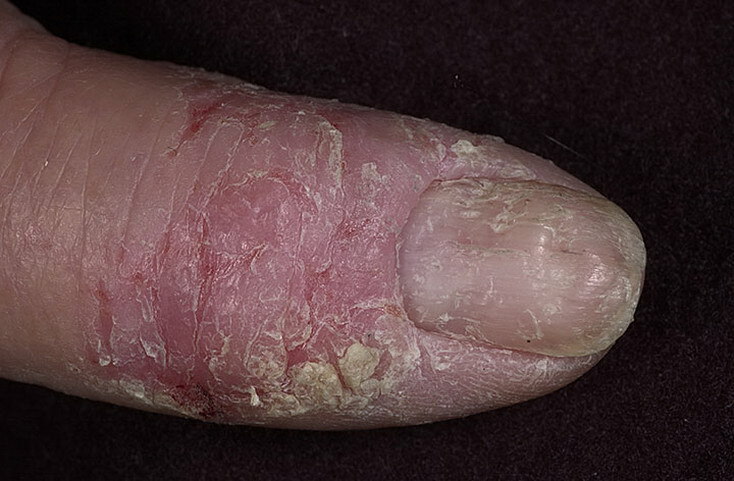 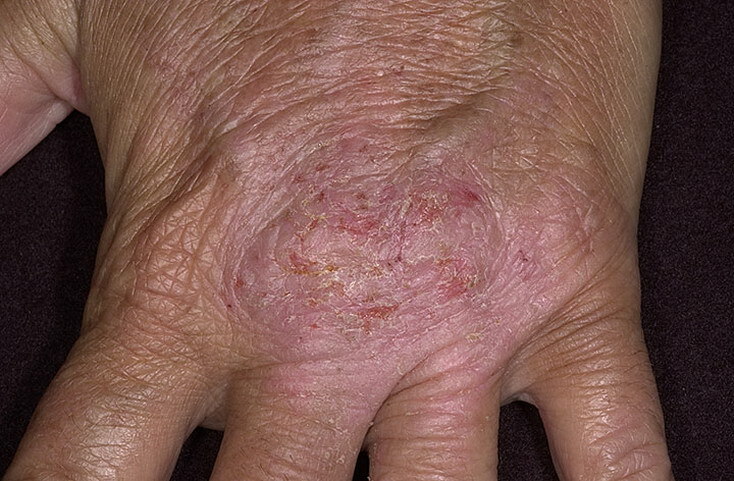 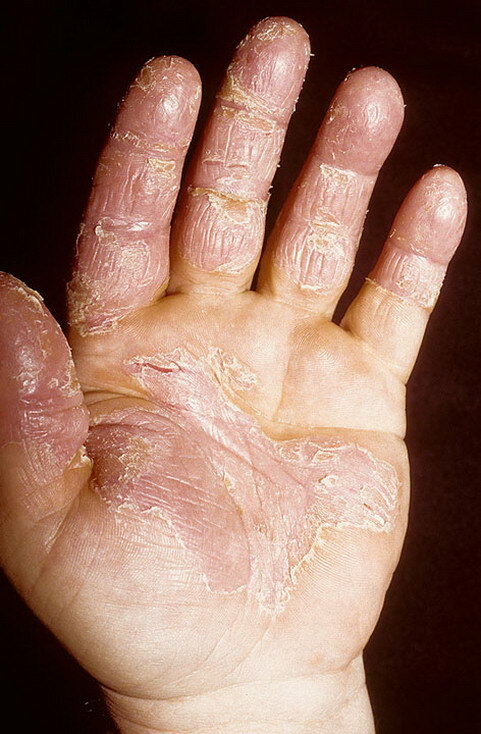 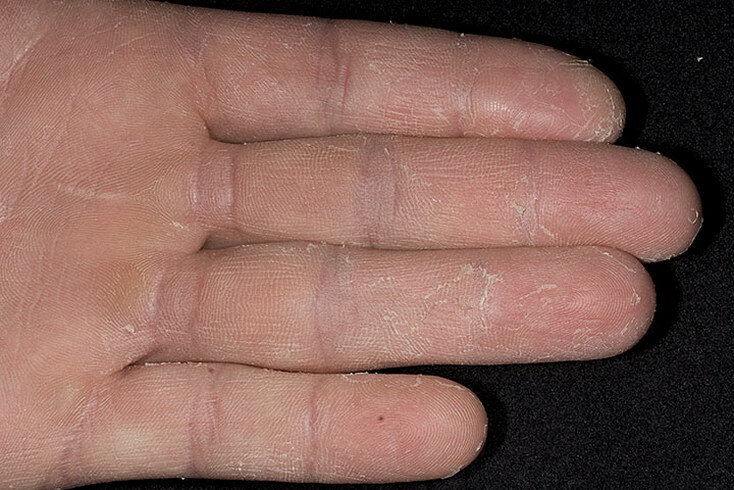 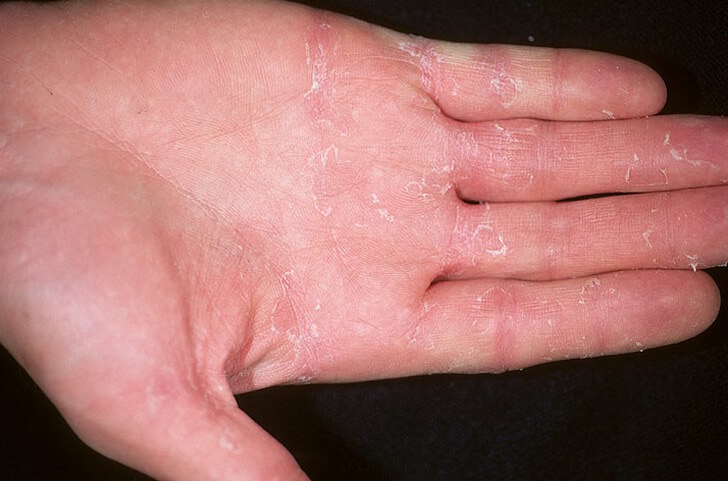 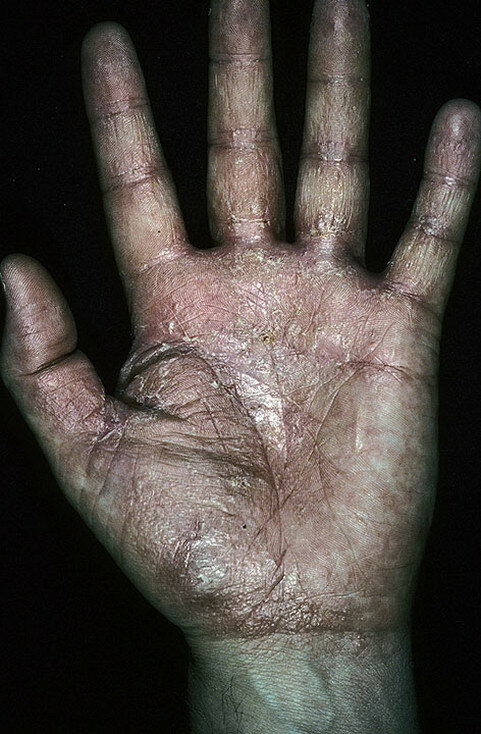 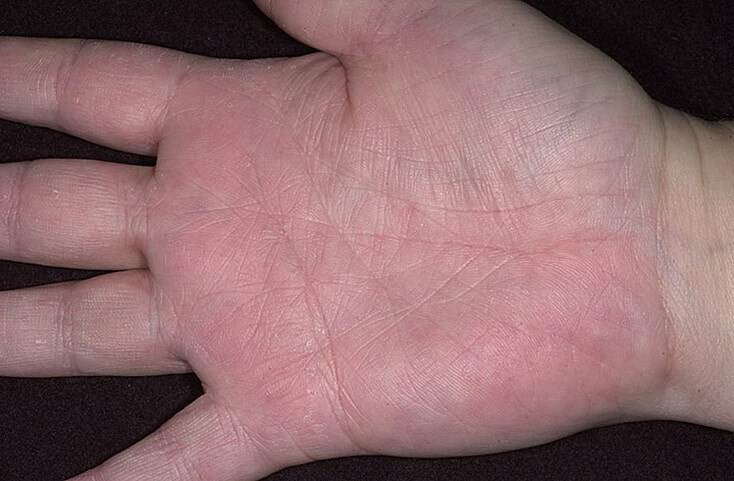 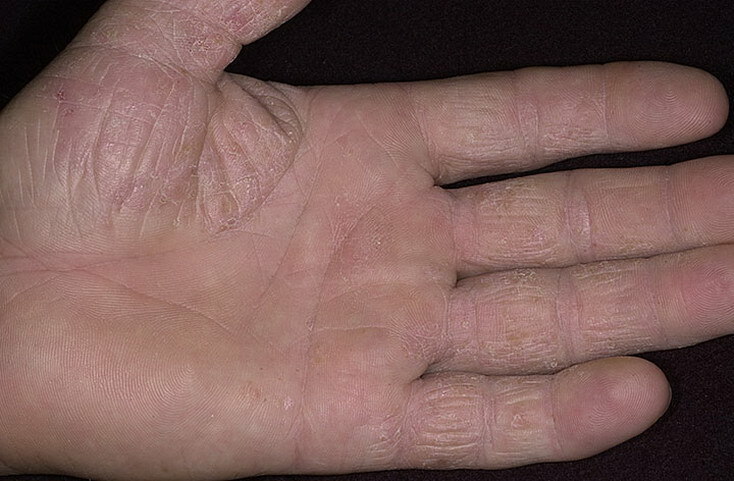 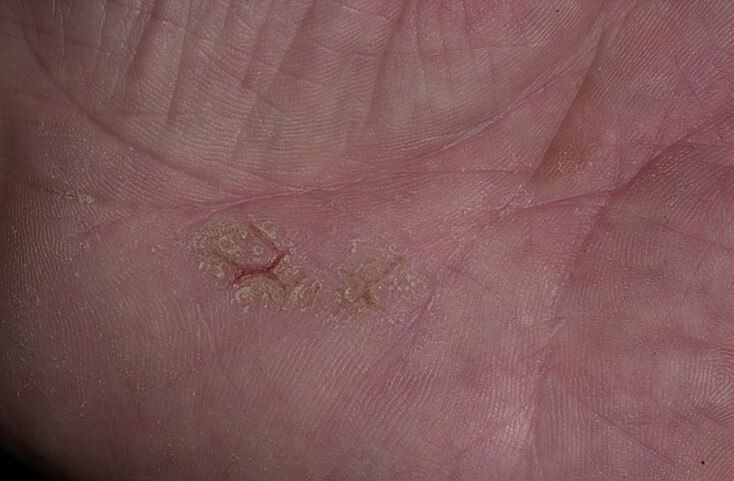 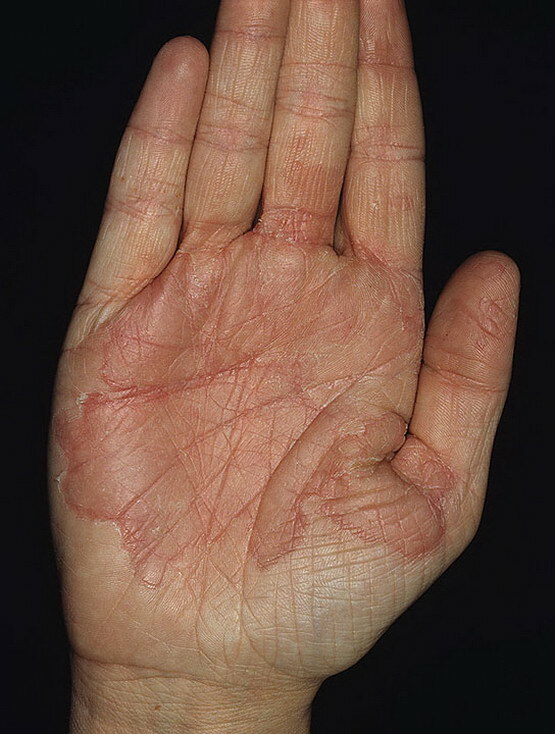 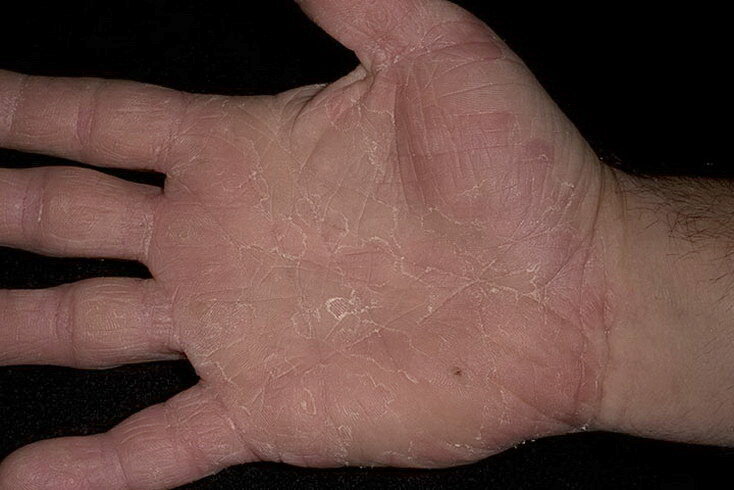 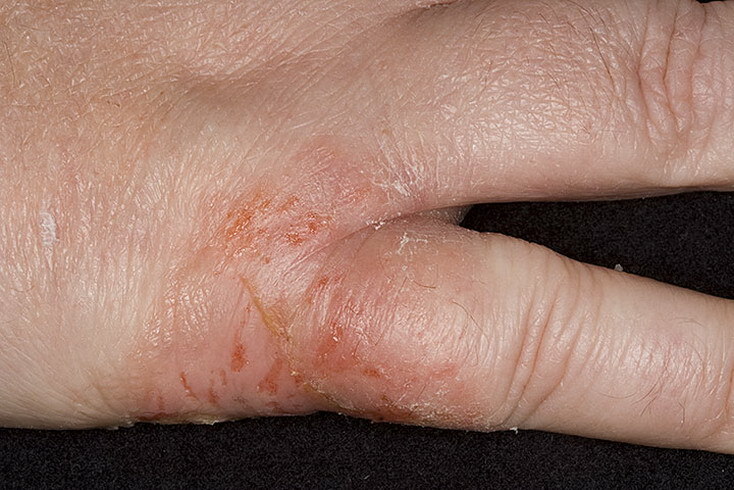 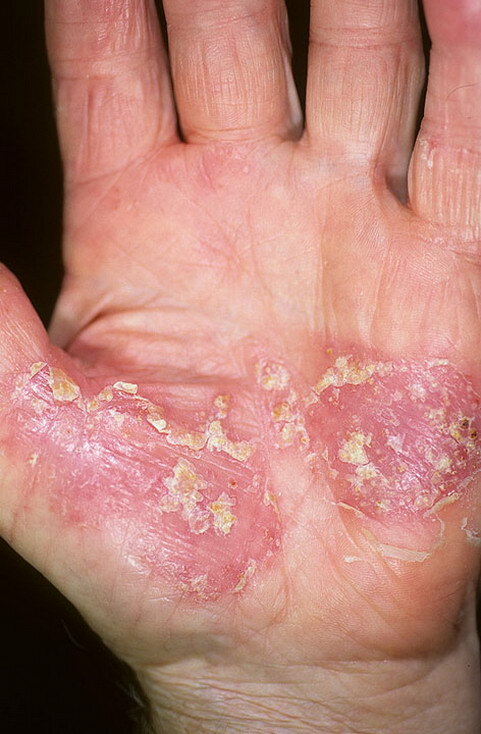 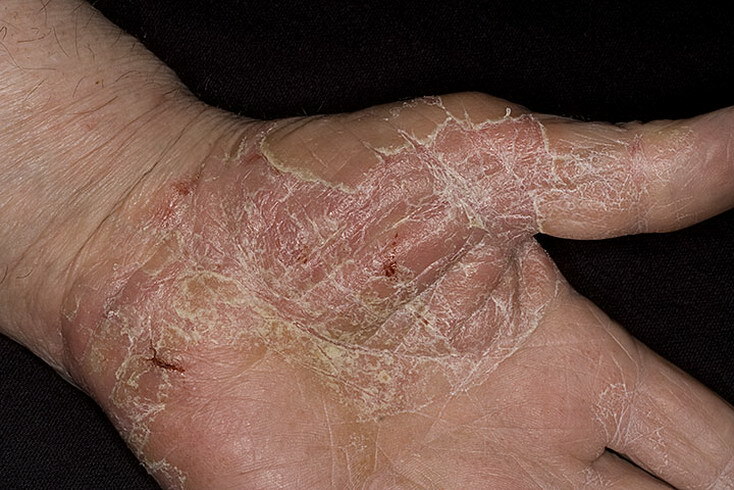 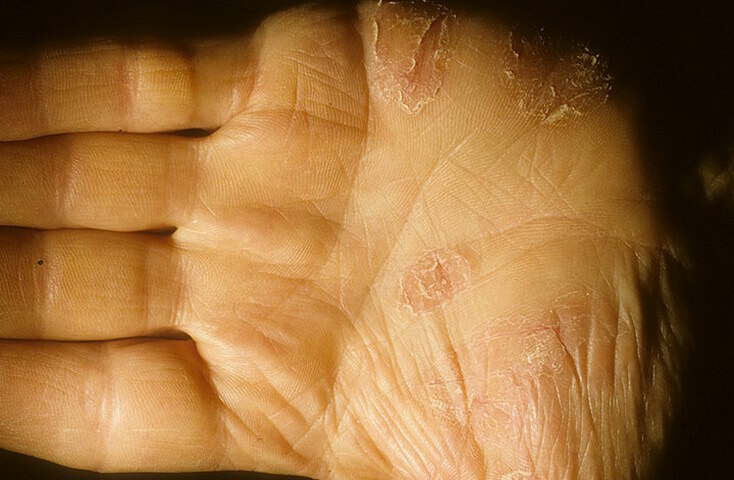 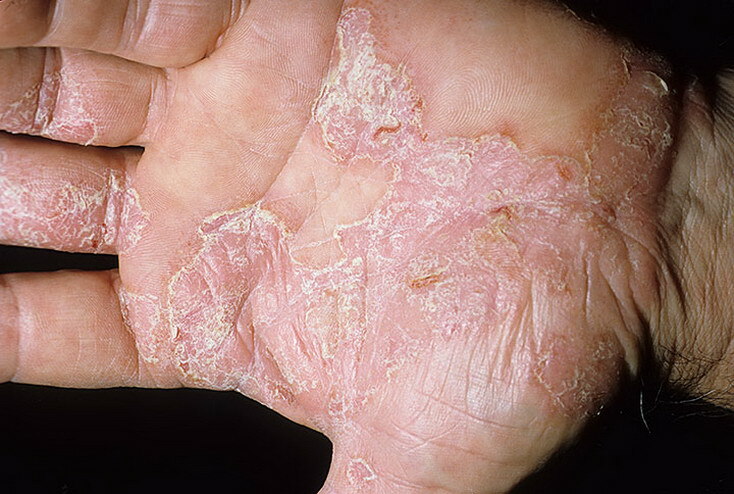 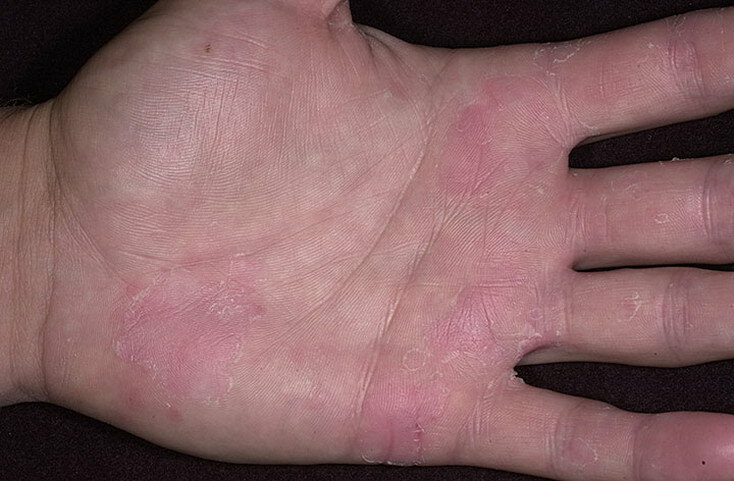 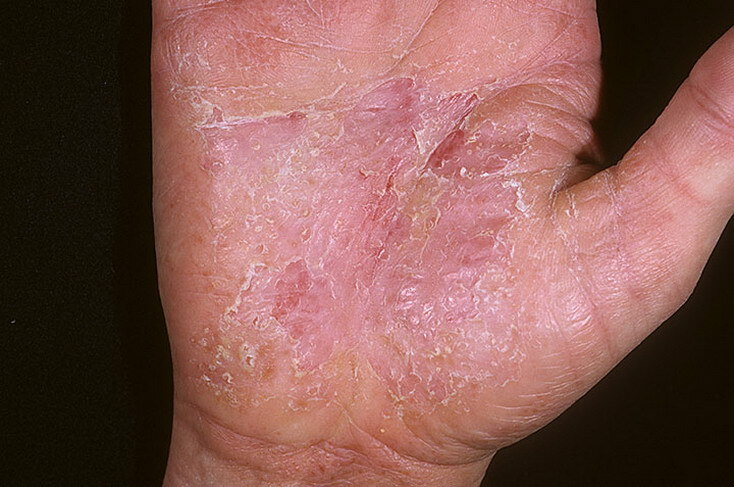 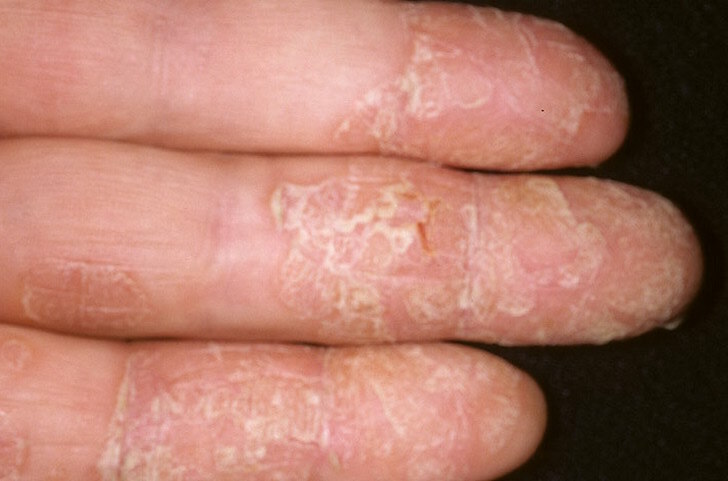 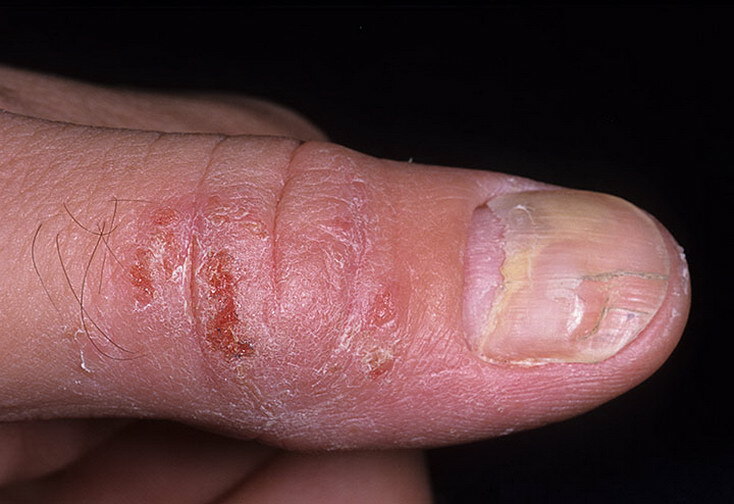 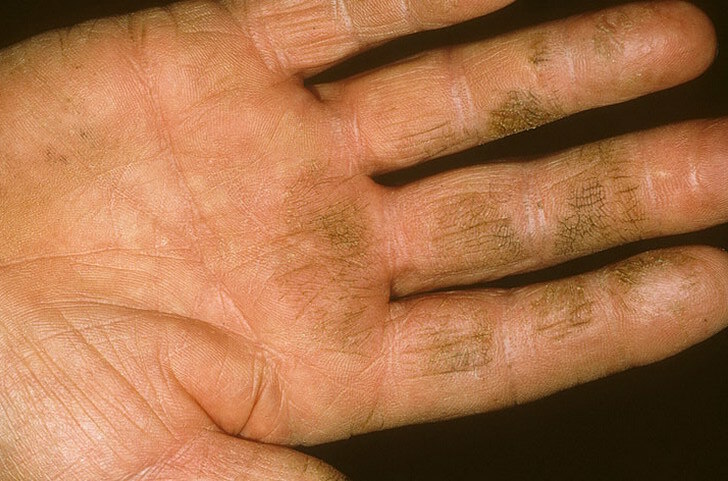 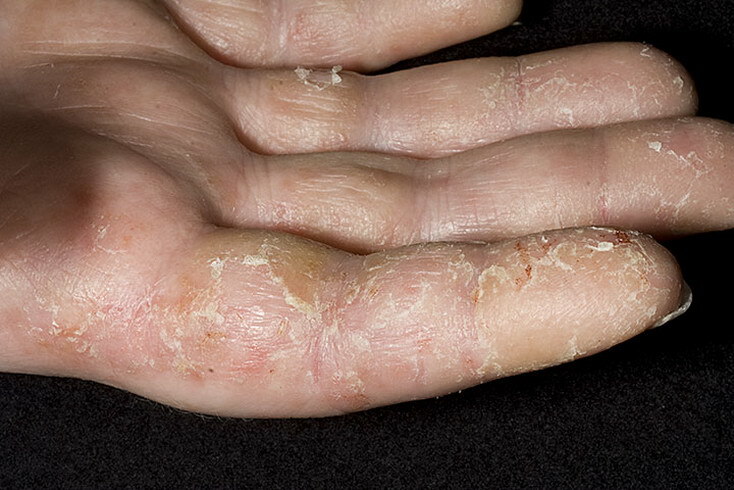 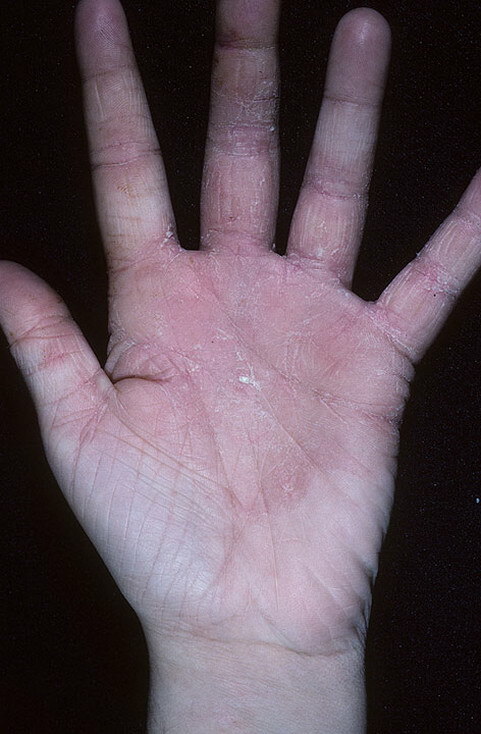 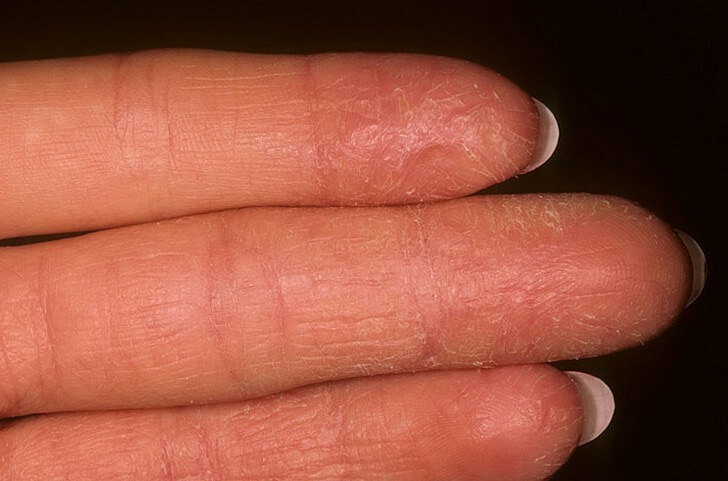 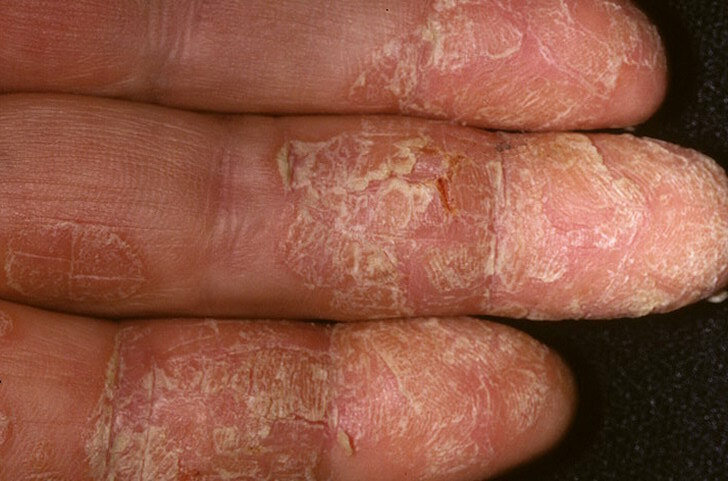 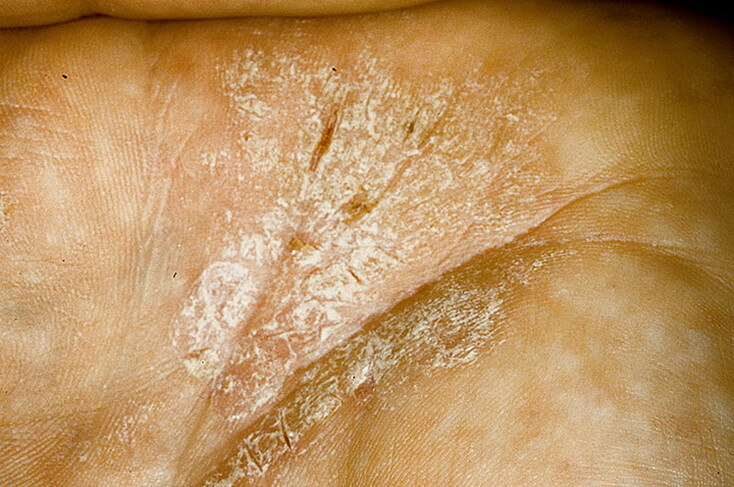 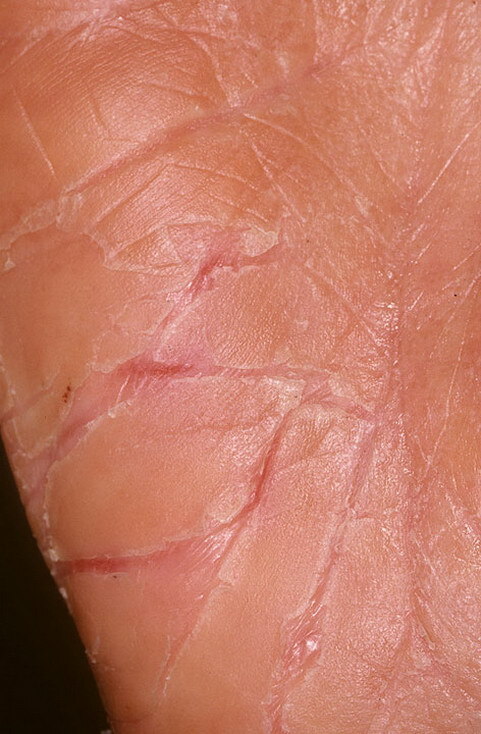 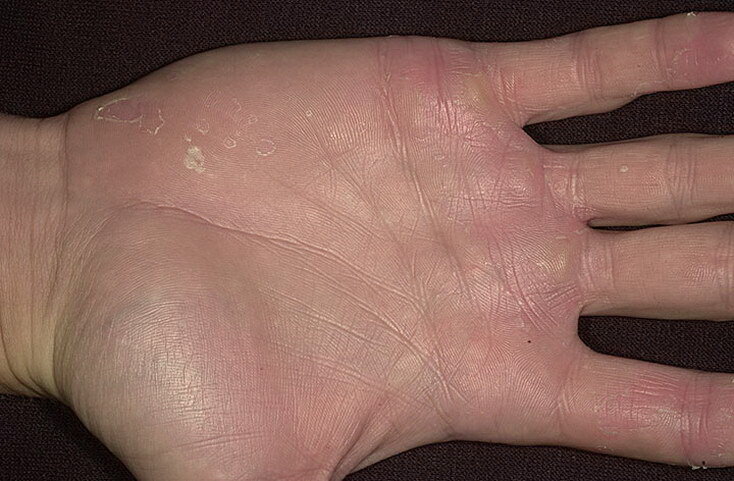 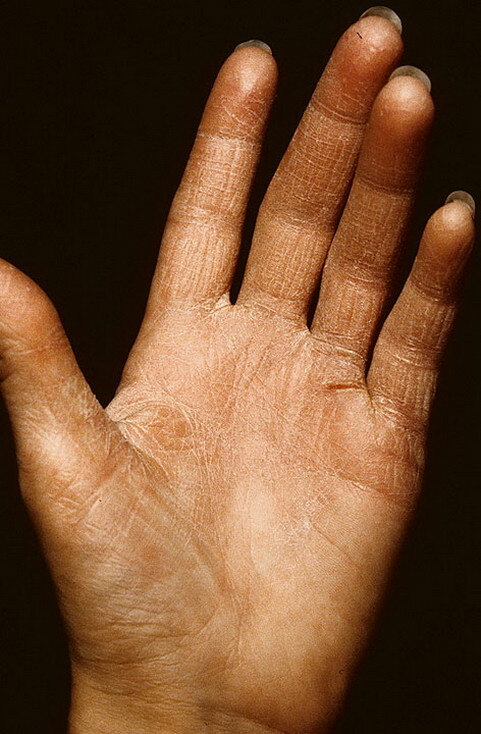 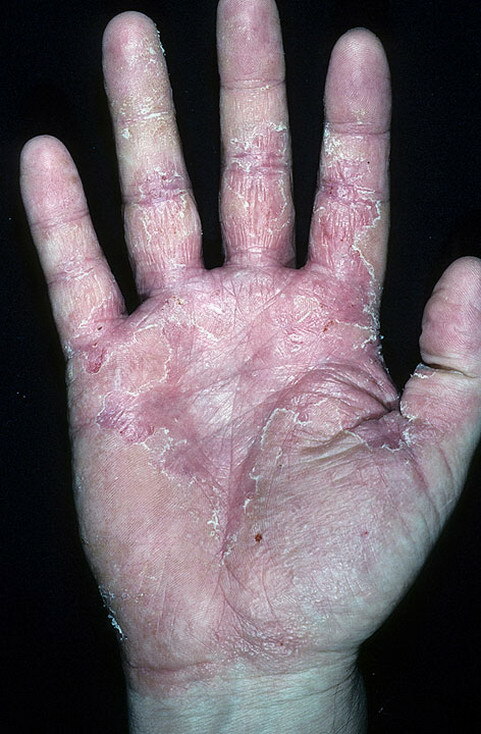 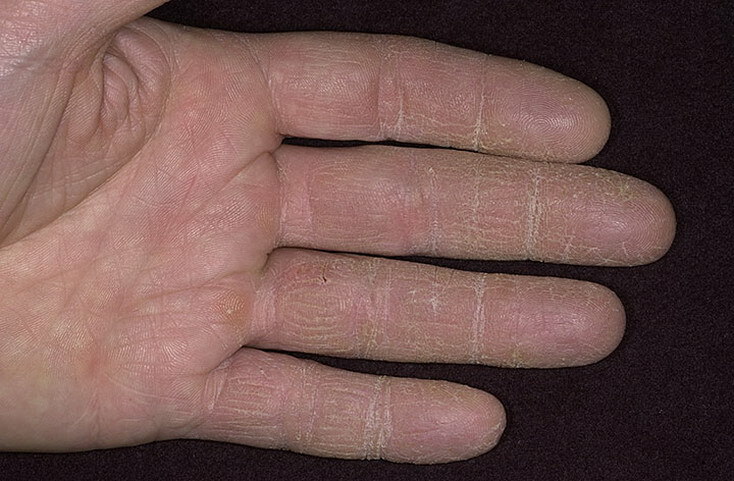 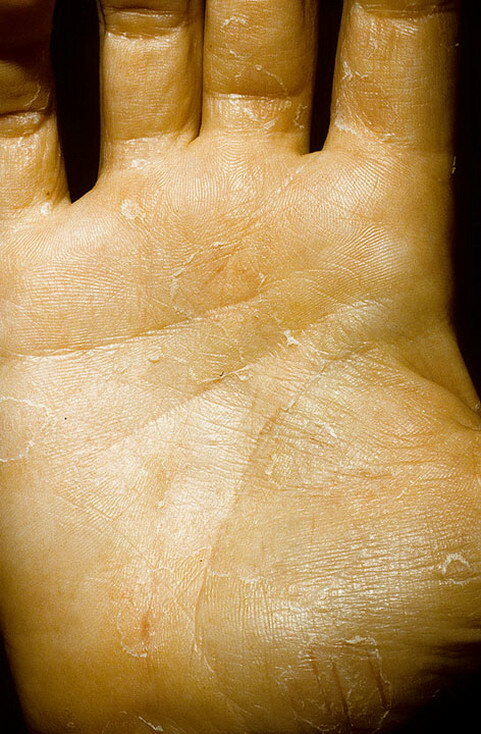 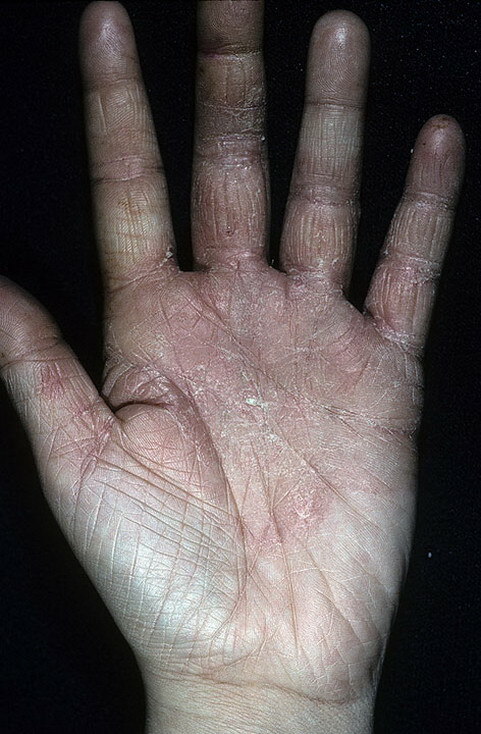 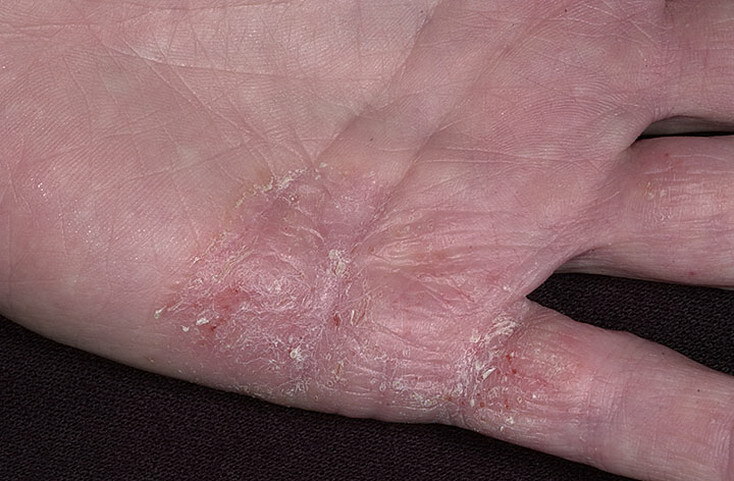 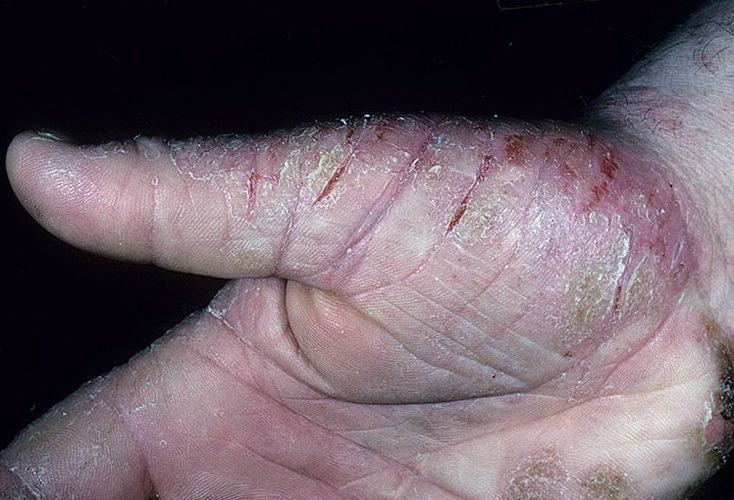 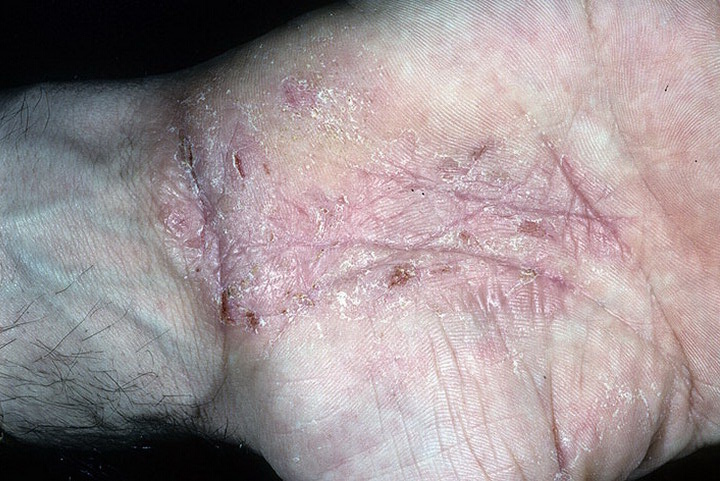 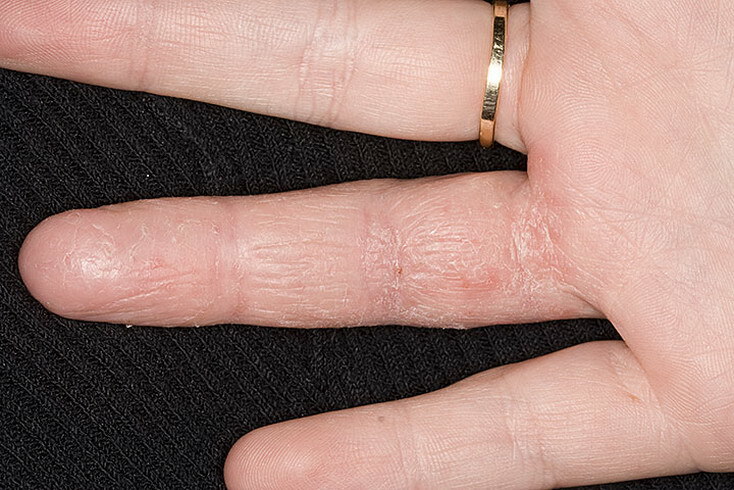 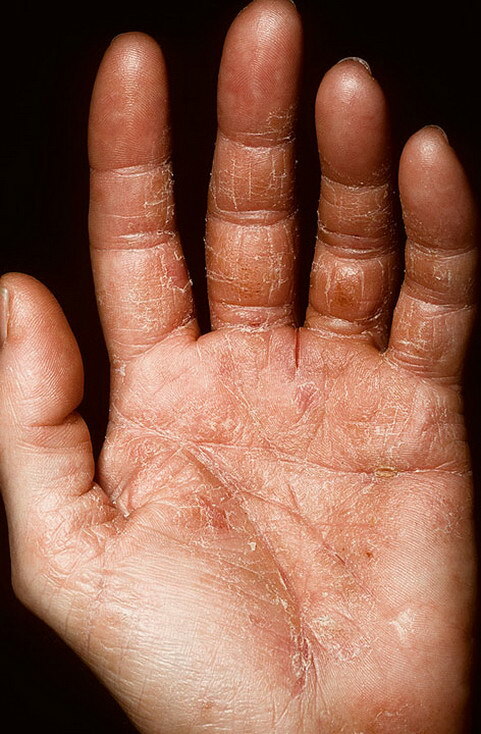 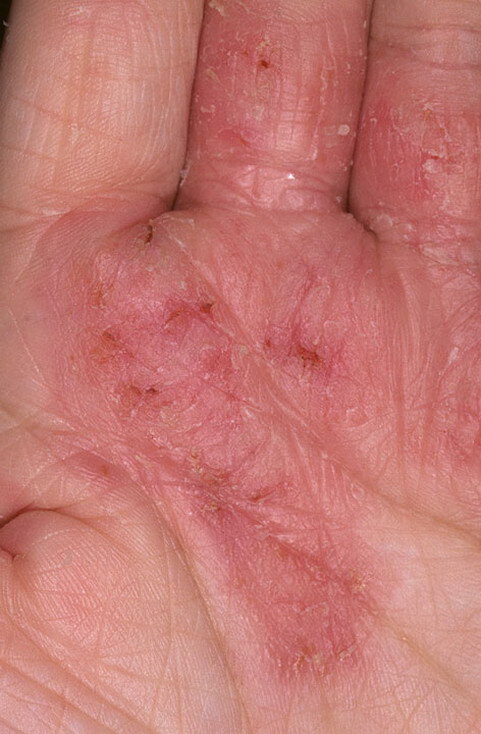 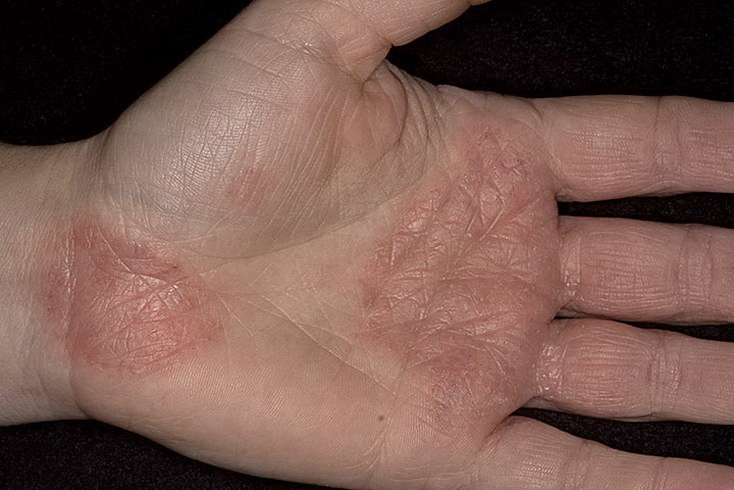 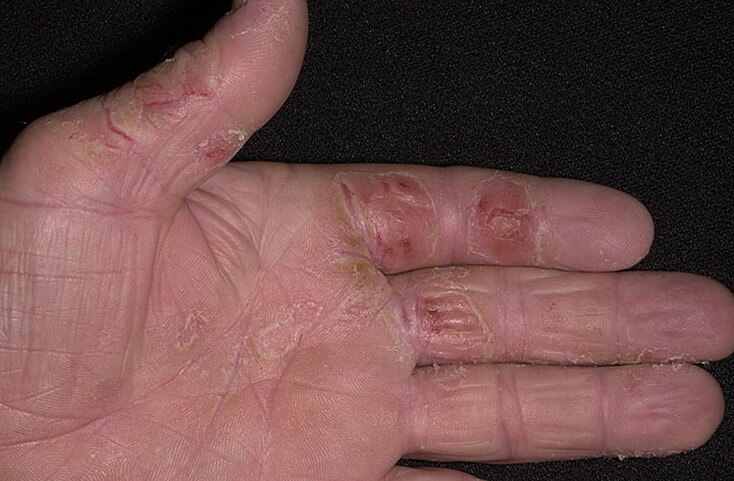 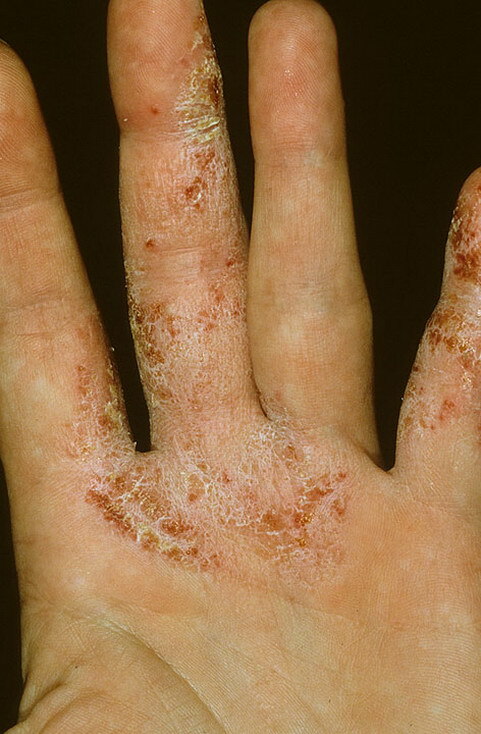 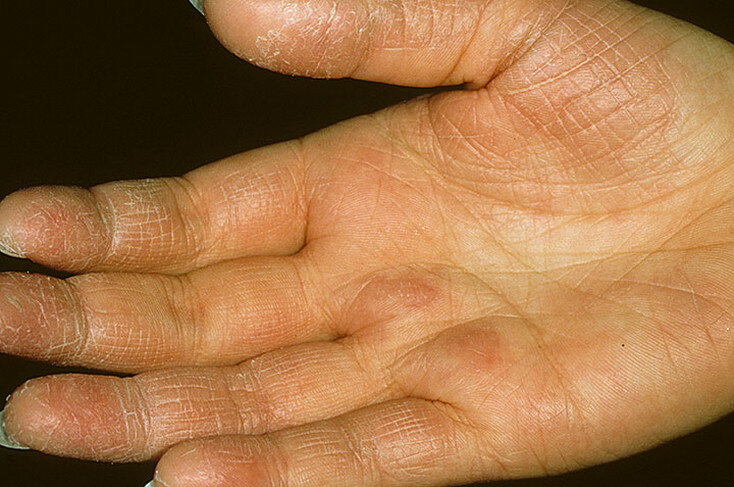 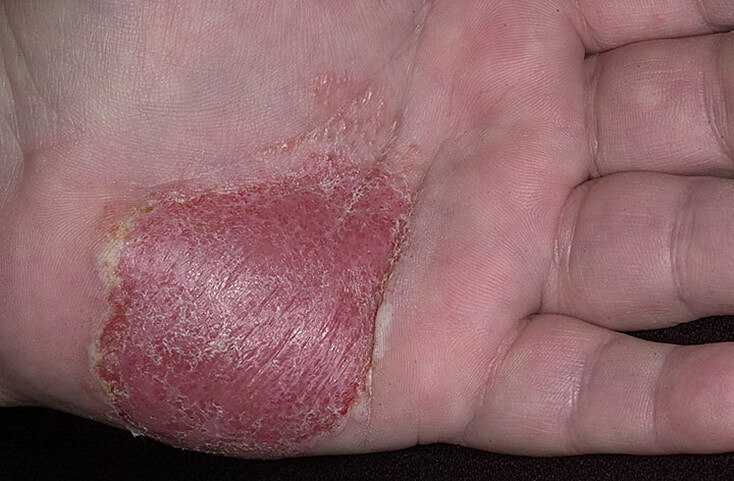 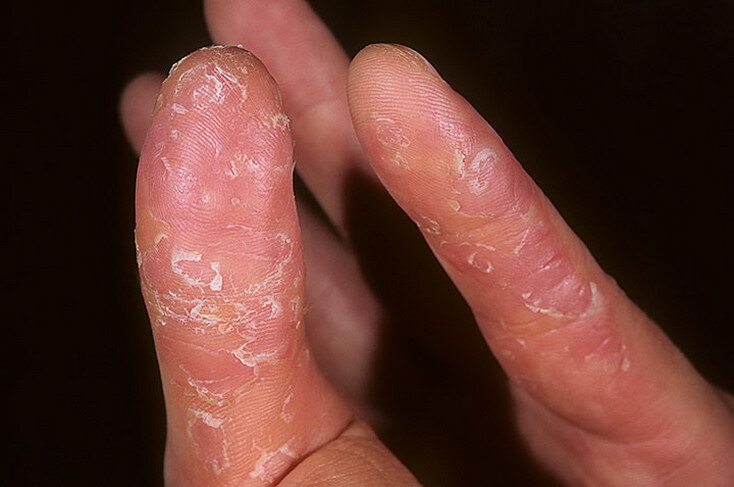 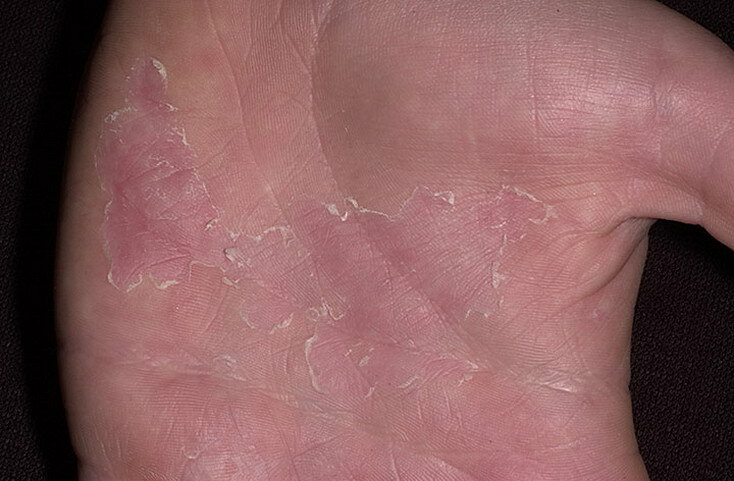 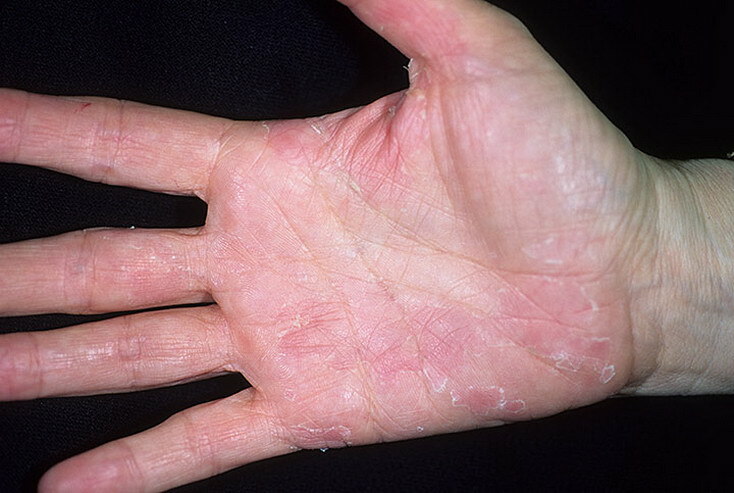 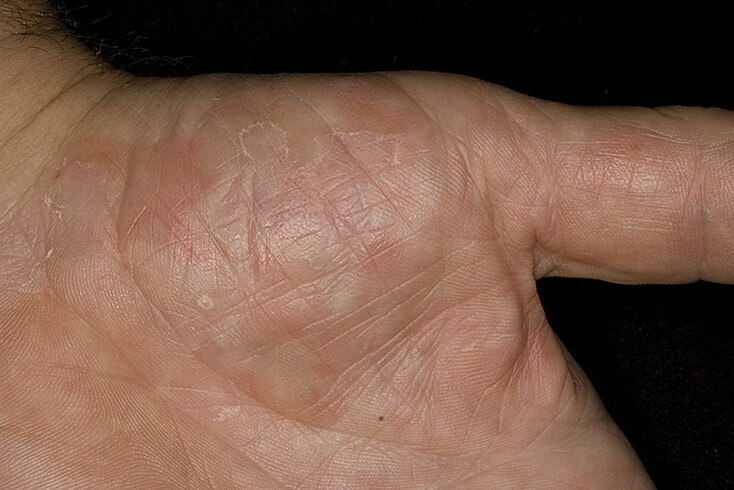 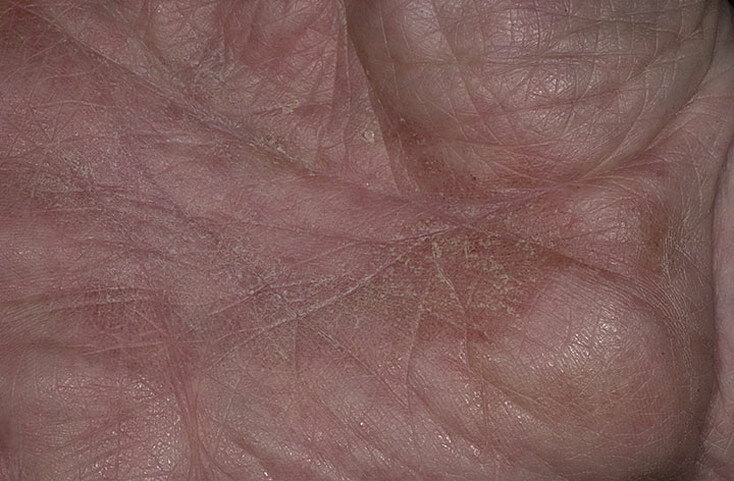 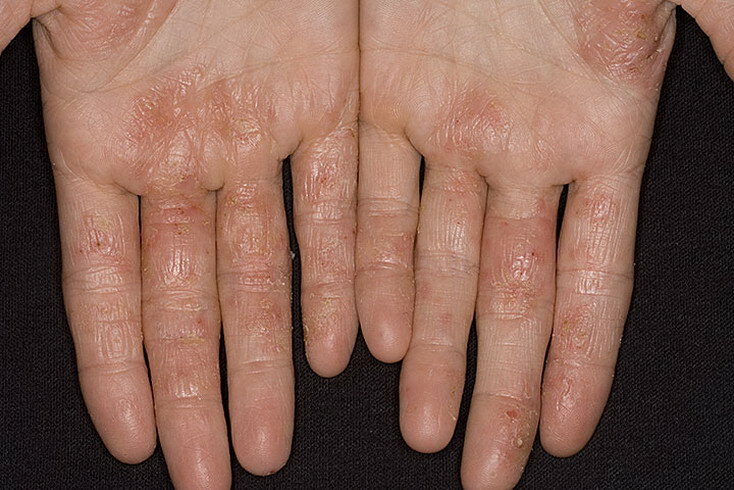 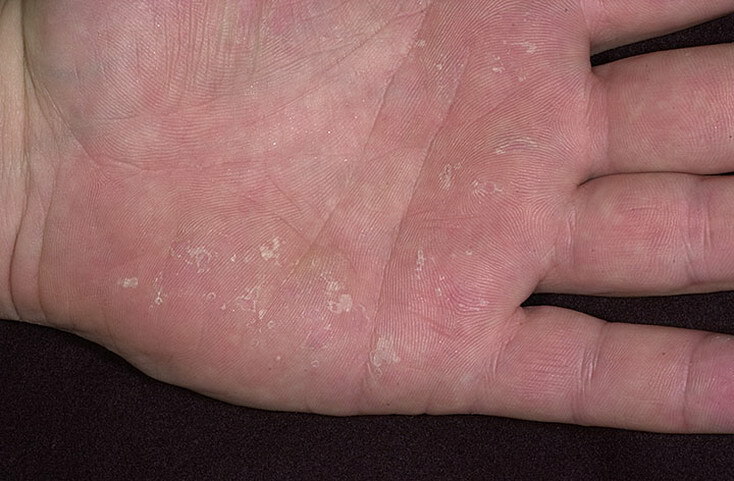 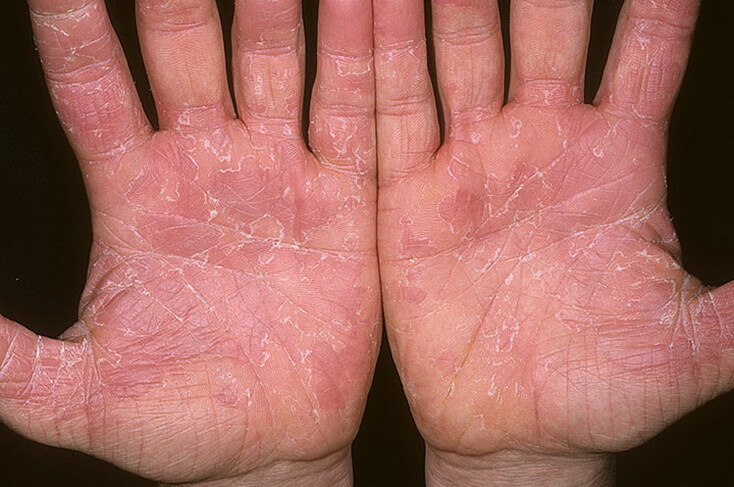 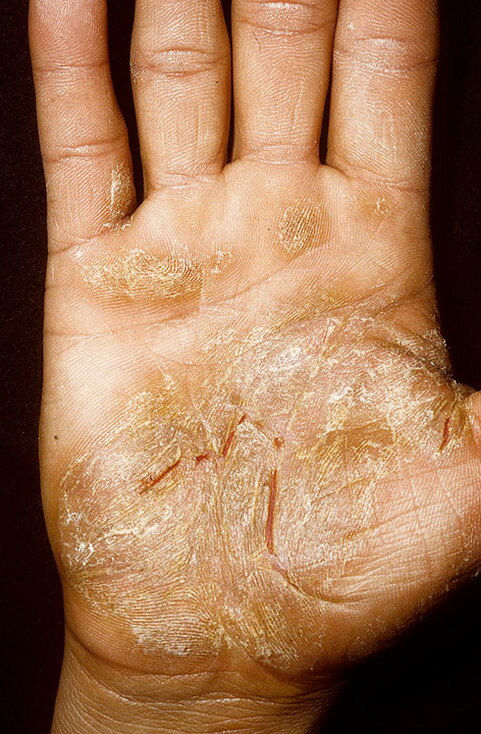 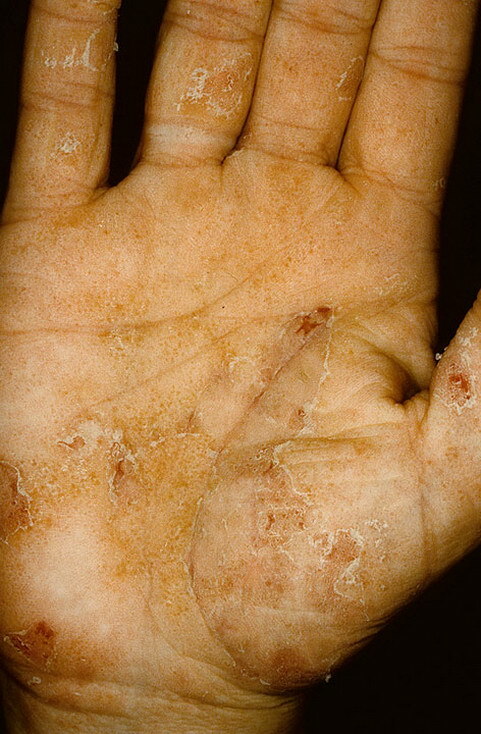 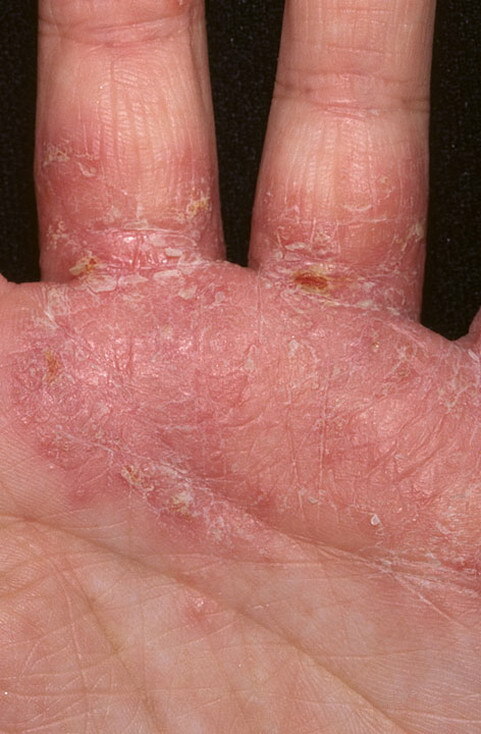 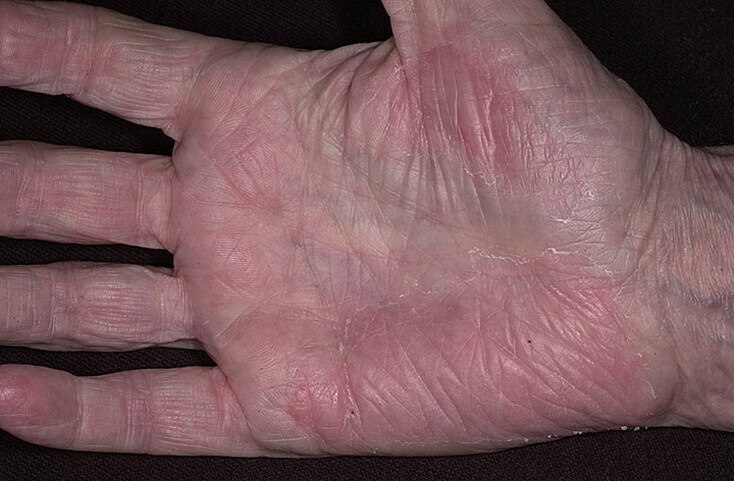 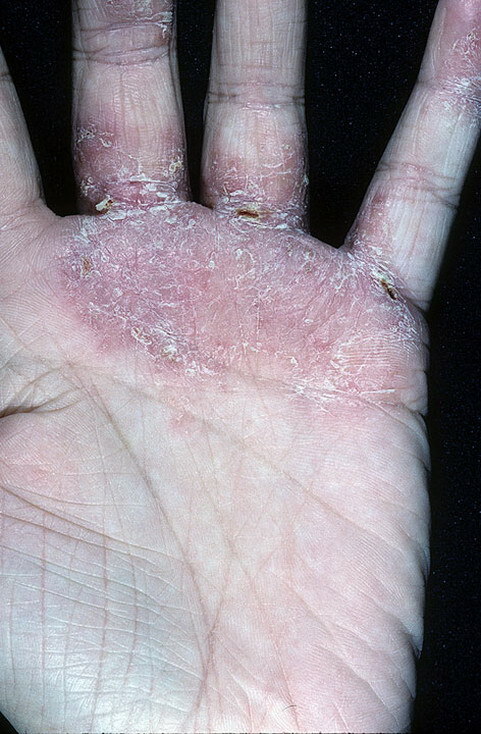 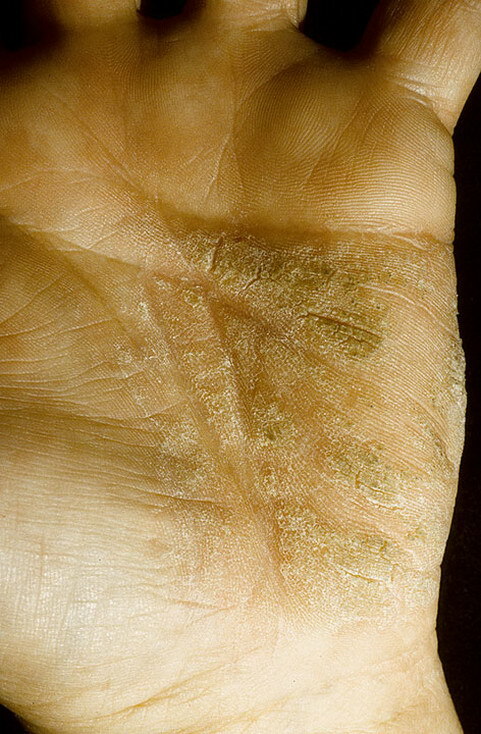 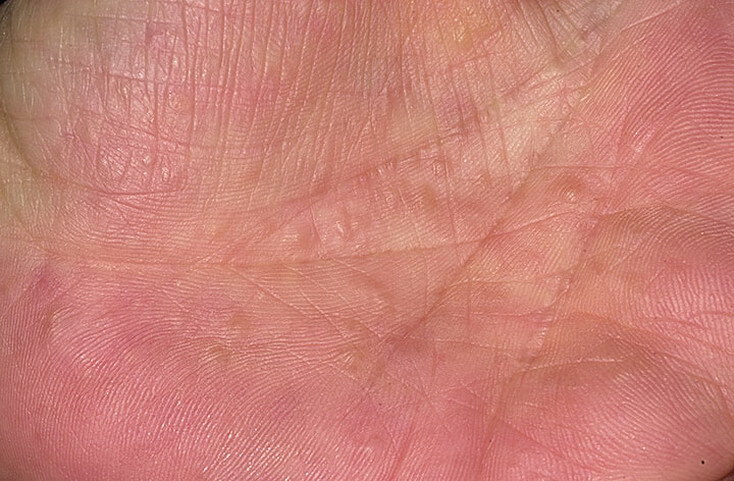 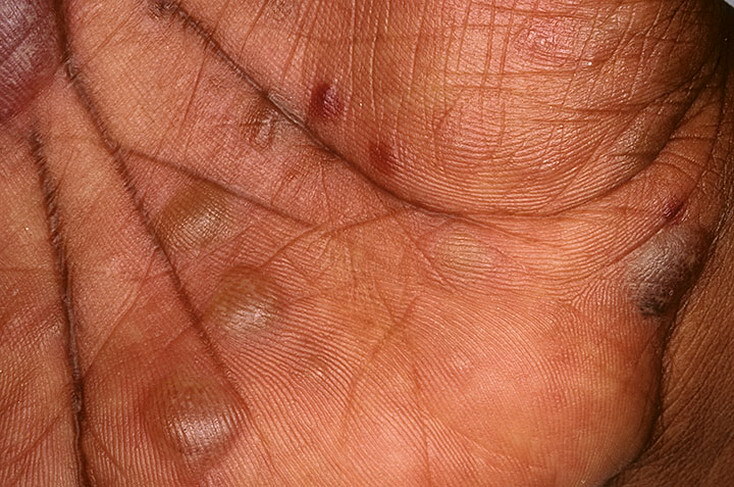 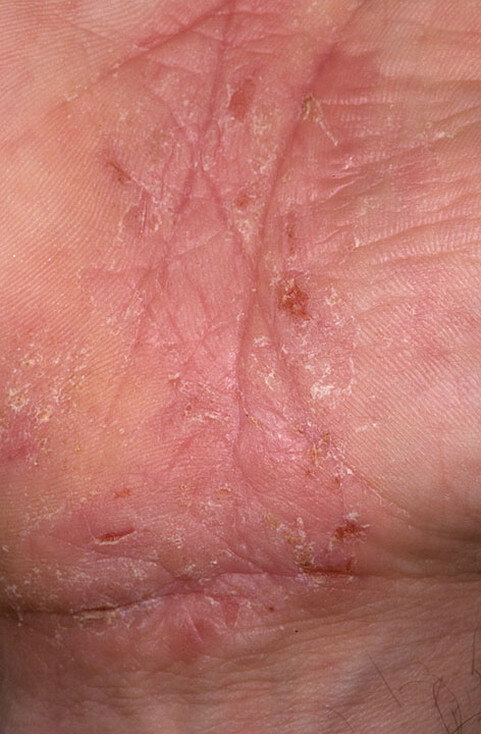 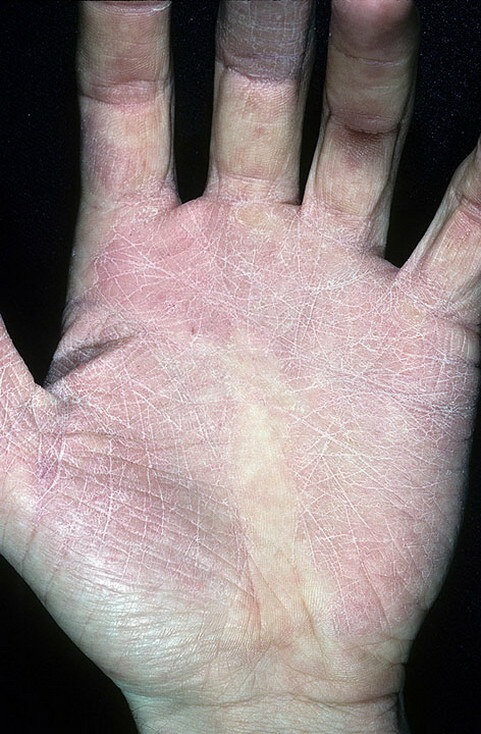 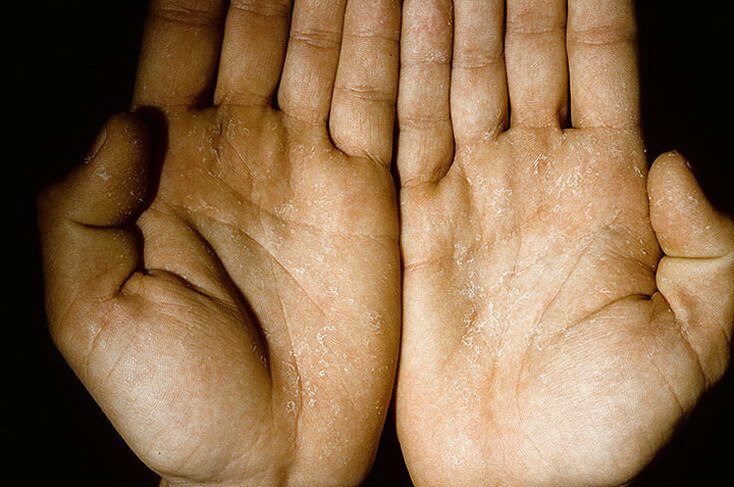 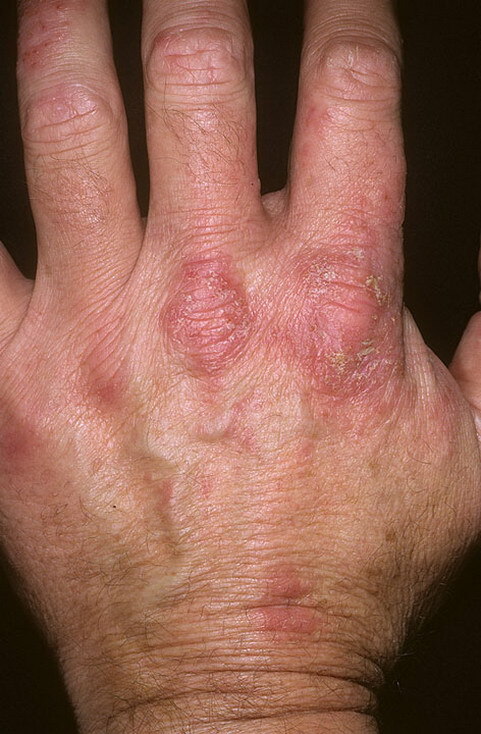 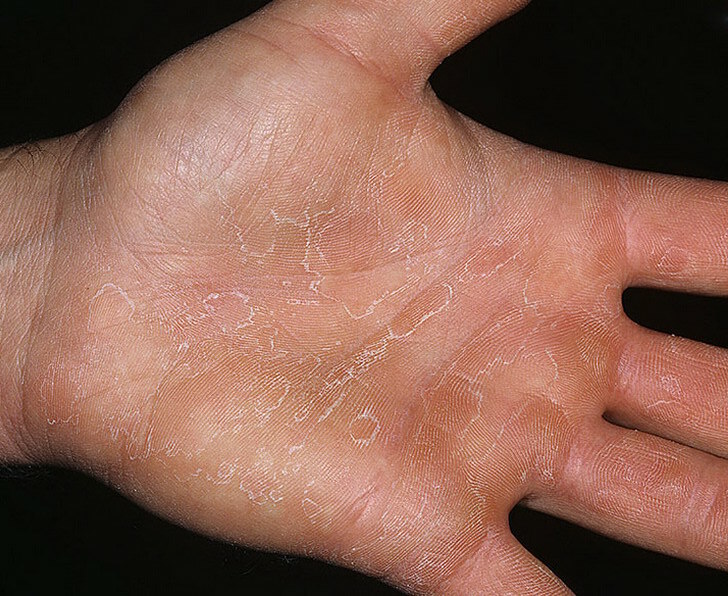 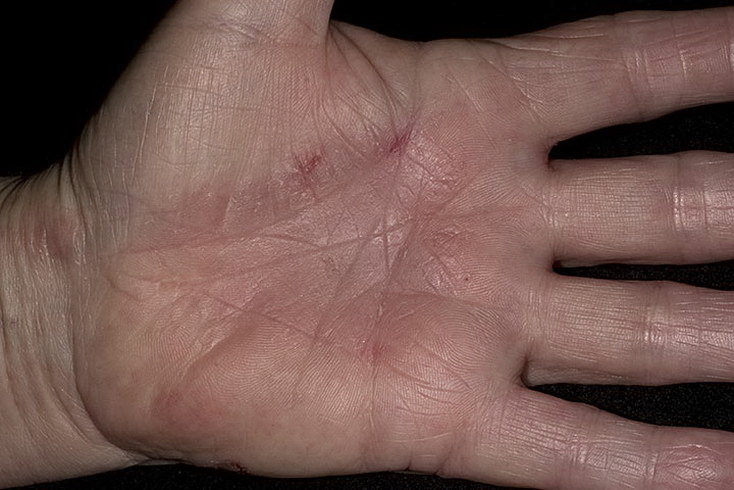 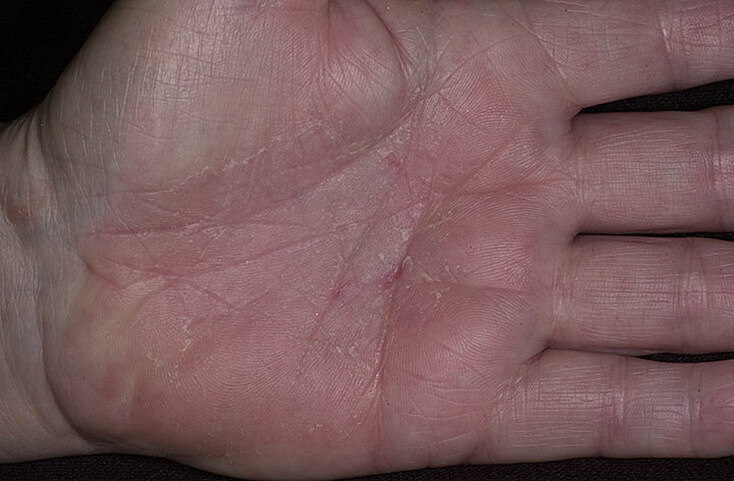 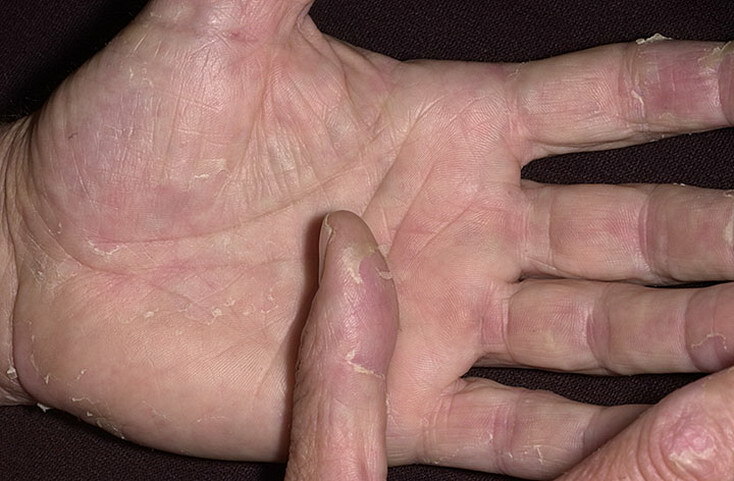 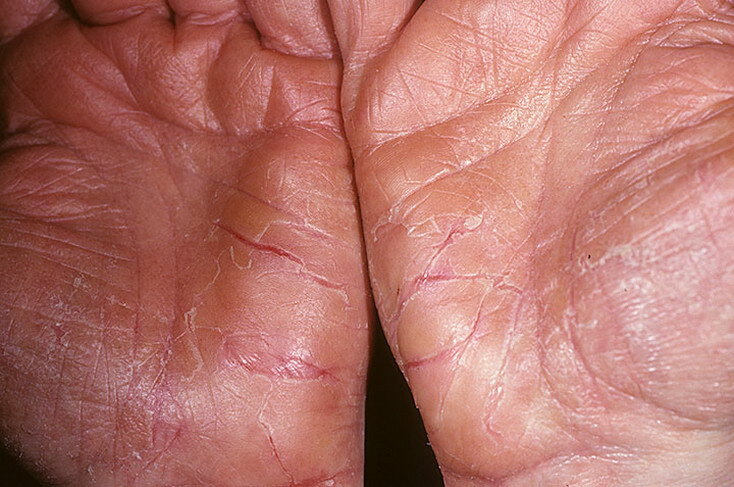 There is another specific type of hand eczema called pompholyx or dyshidrotic eczema, which causes small, itchy blisters to appear on the palms of the hands. 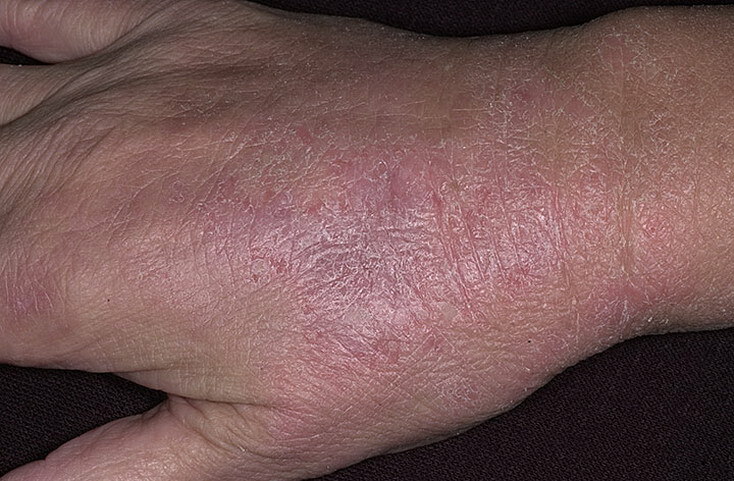 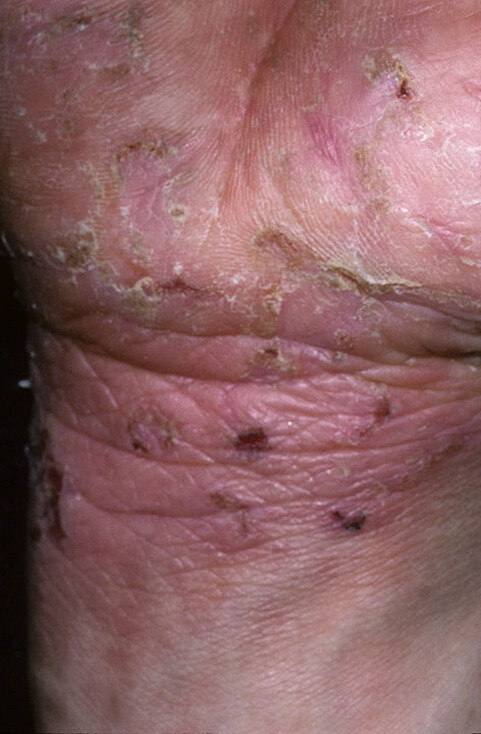 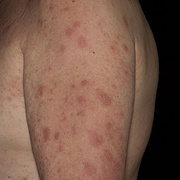 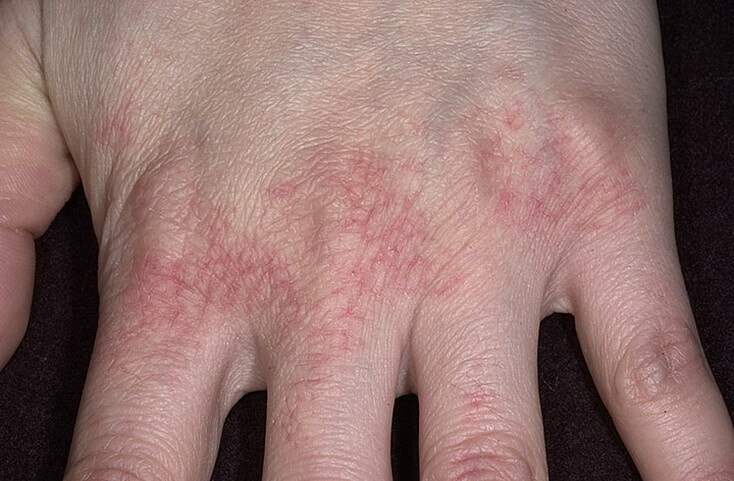 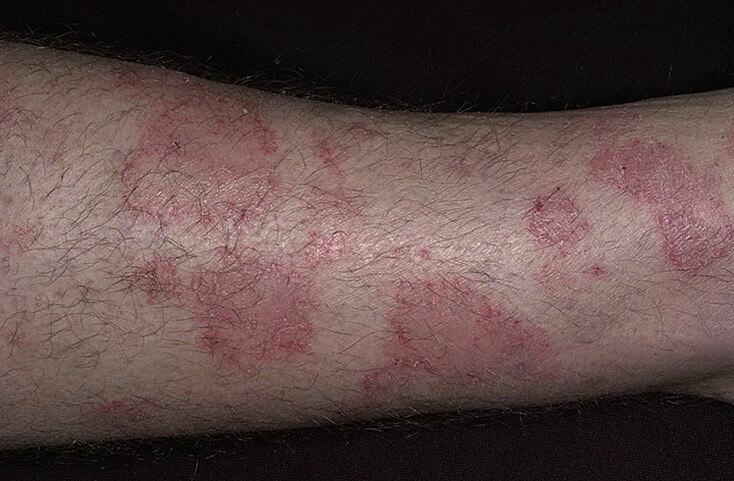 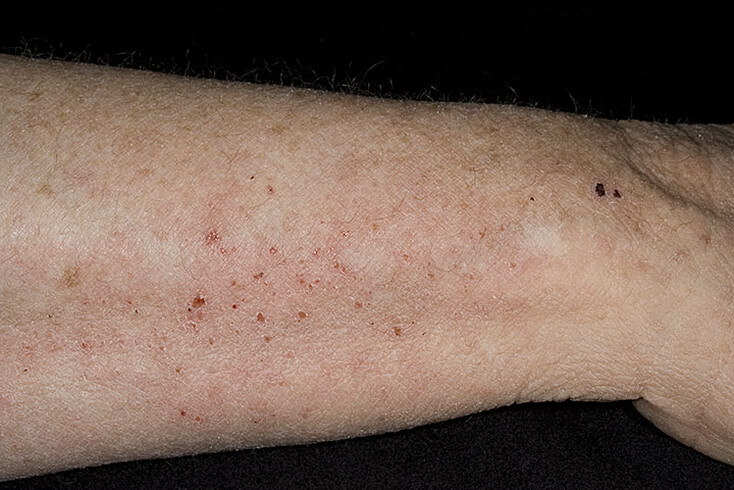 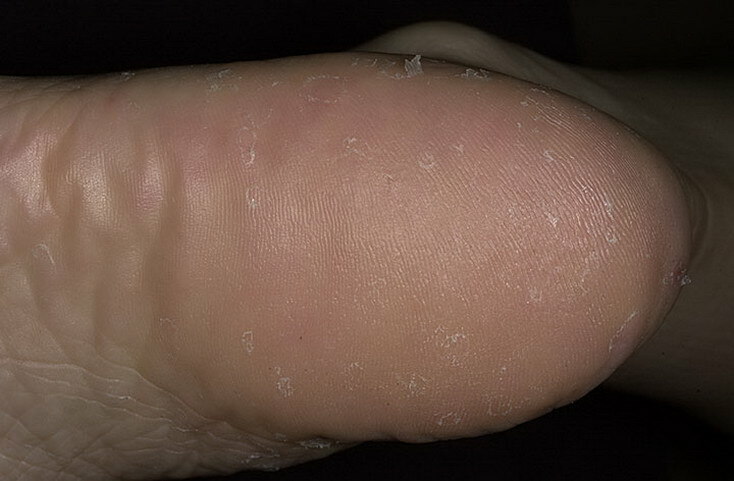 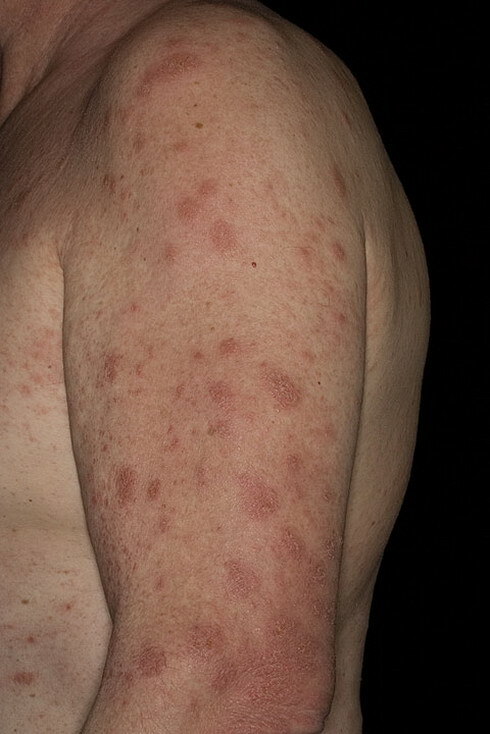 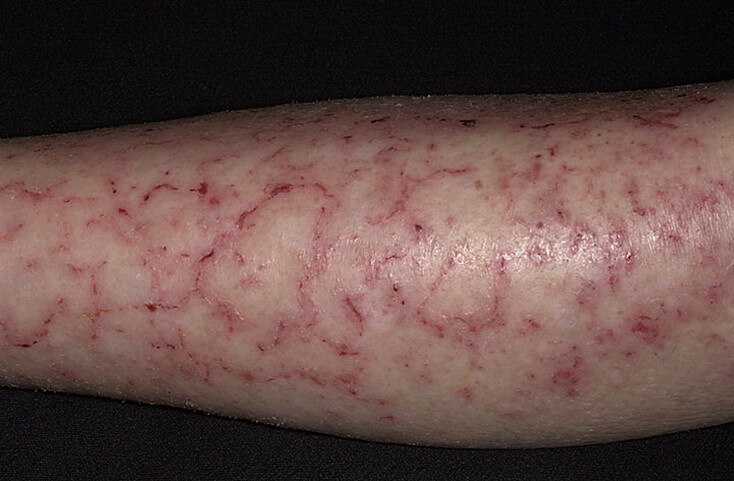 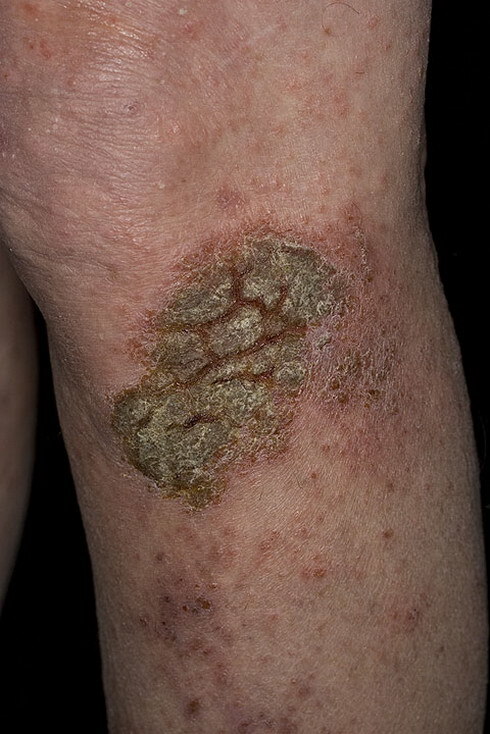 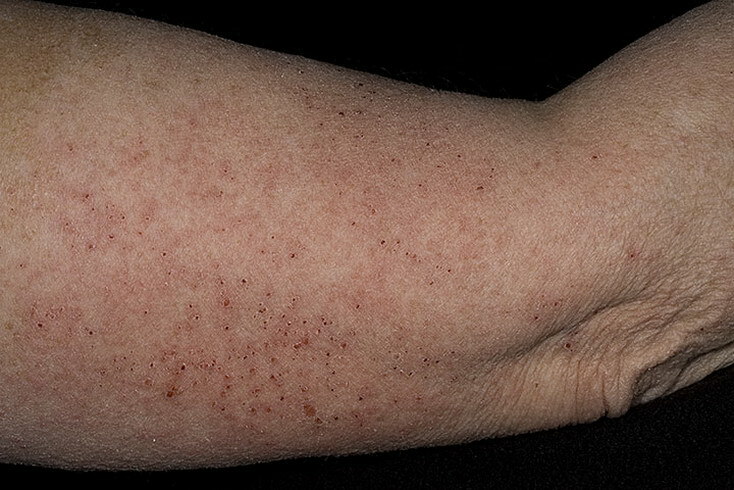 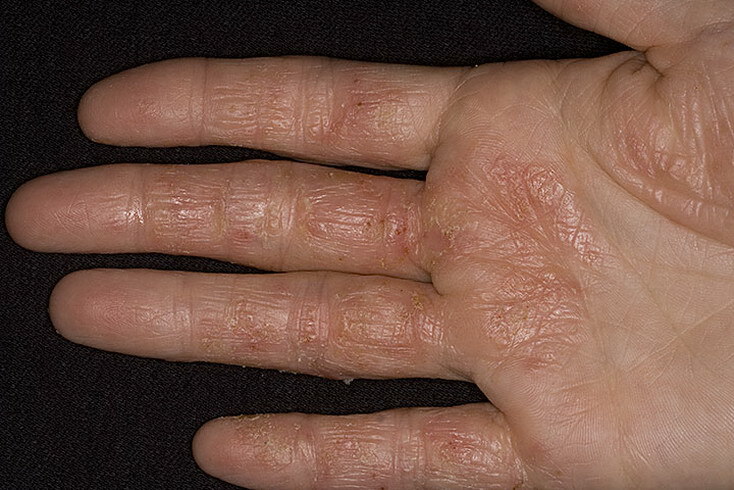 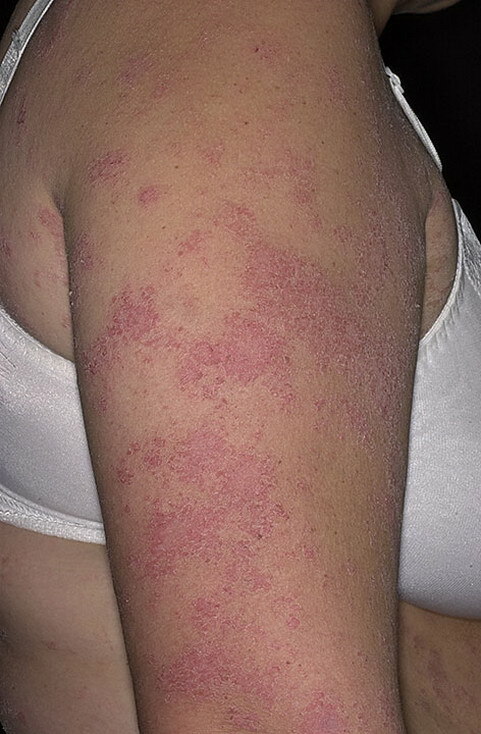 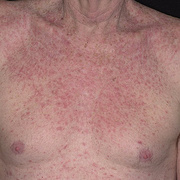 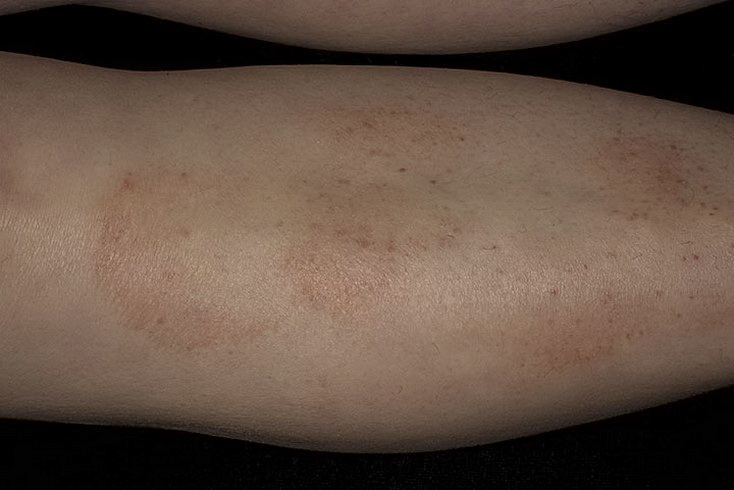 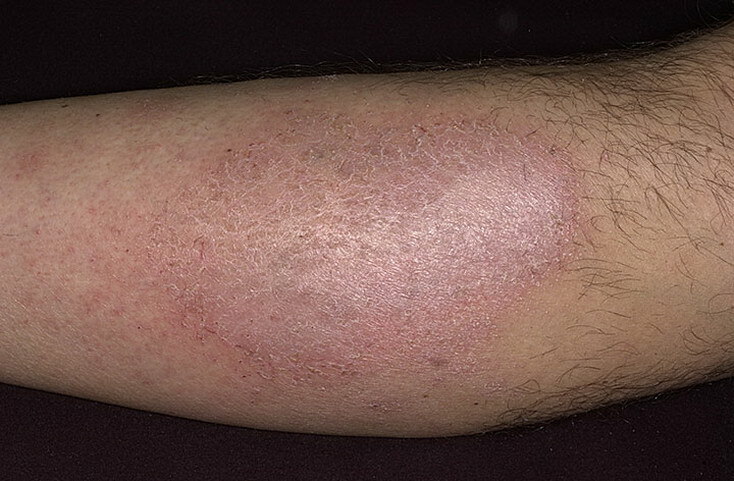 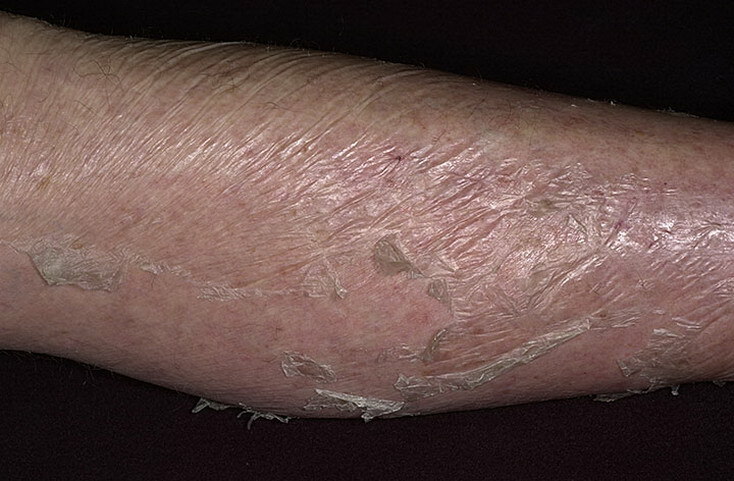 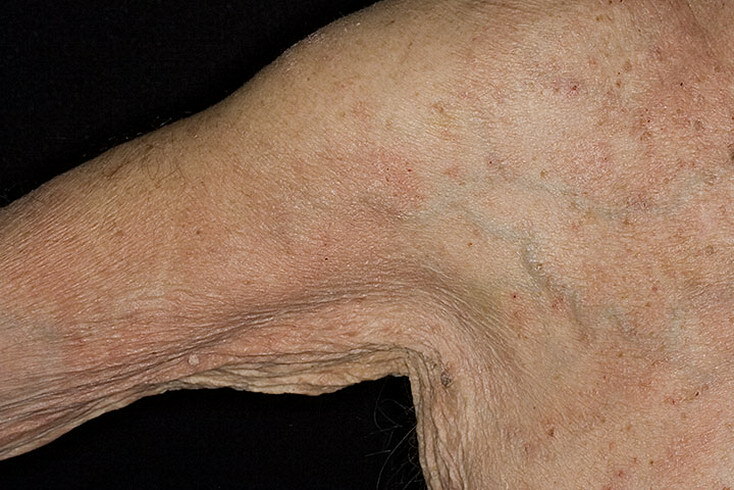 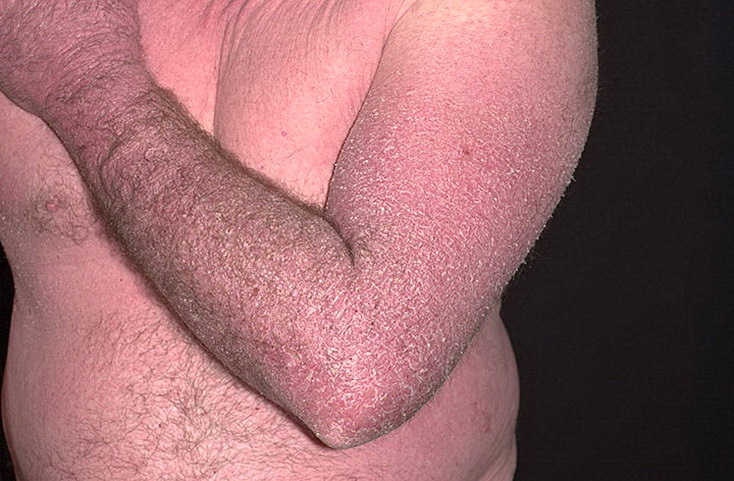 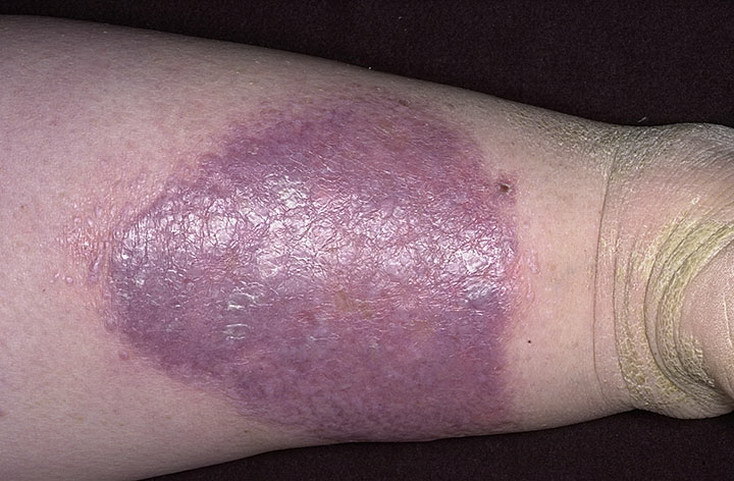 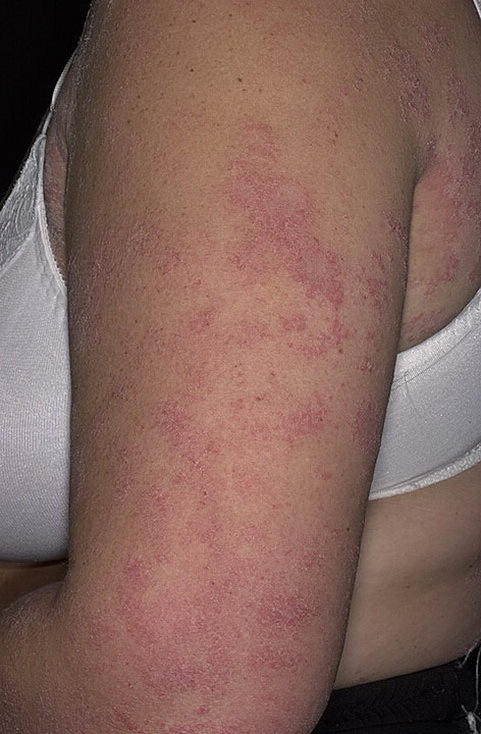 Dyshidrotic eczema tends to affect women more than men. 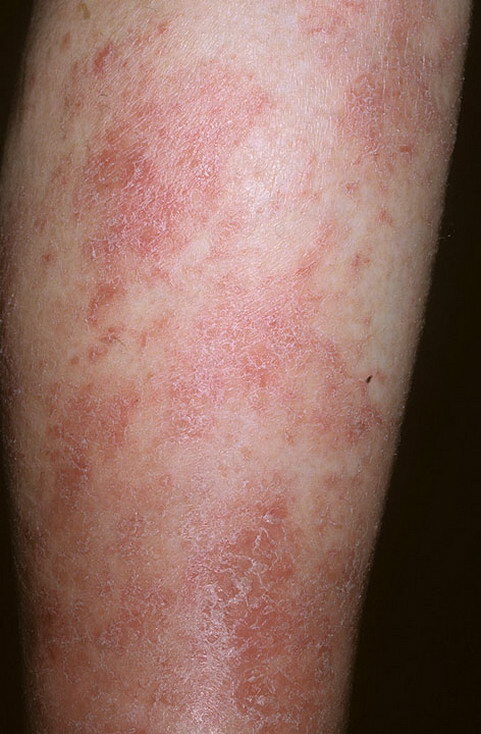 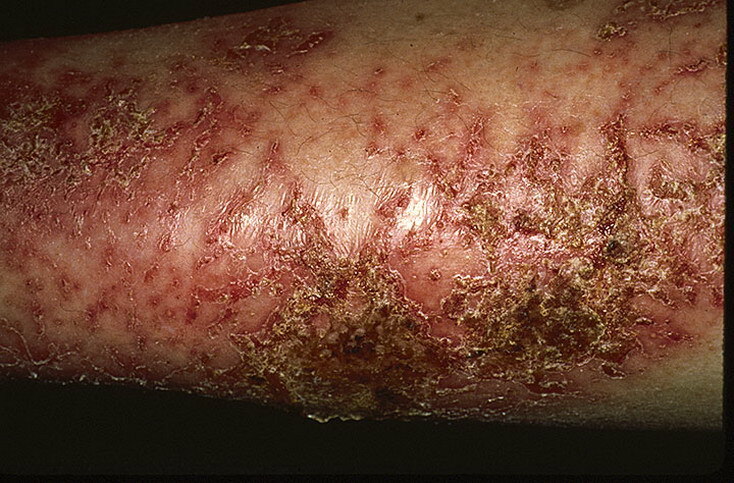 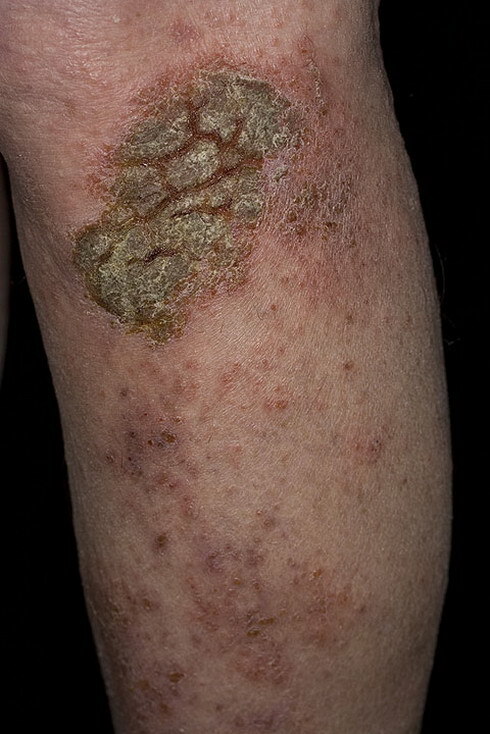 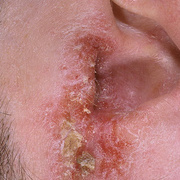 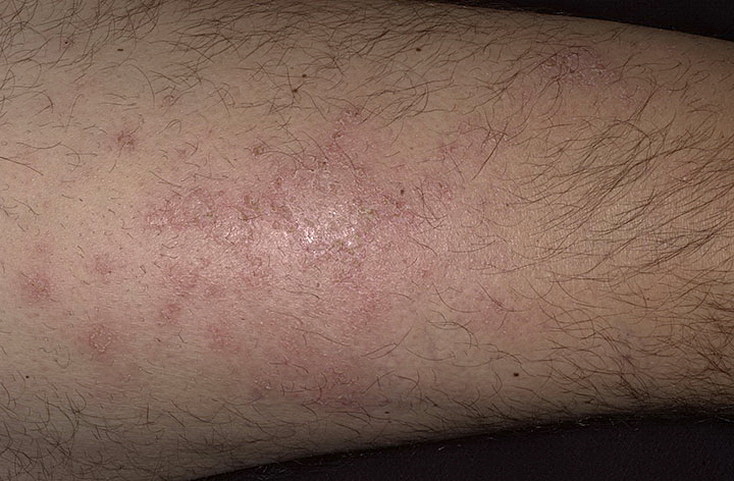 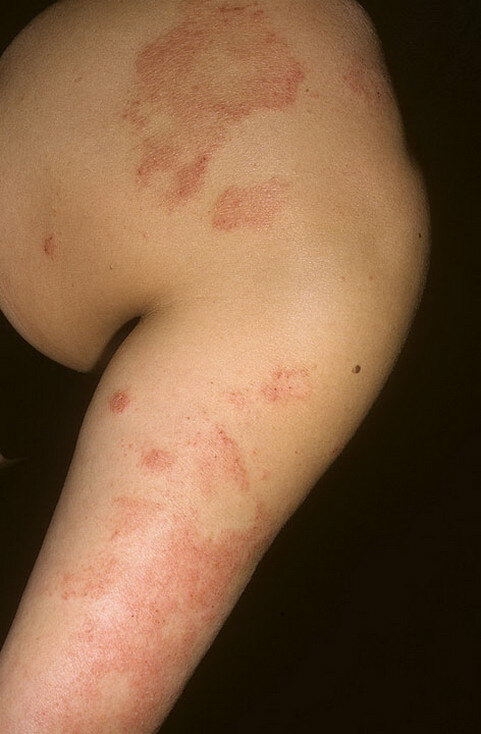 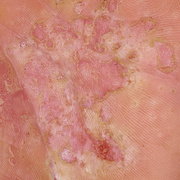 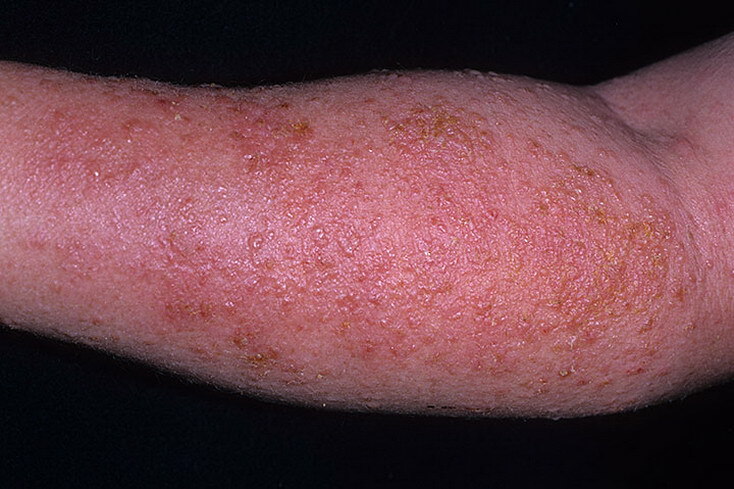 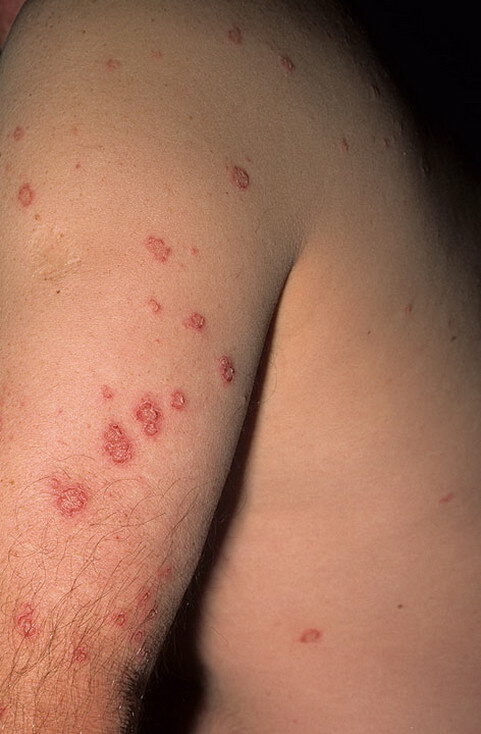 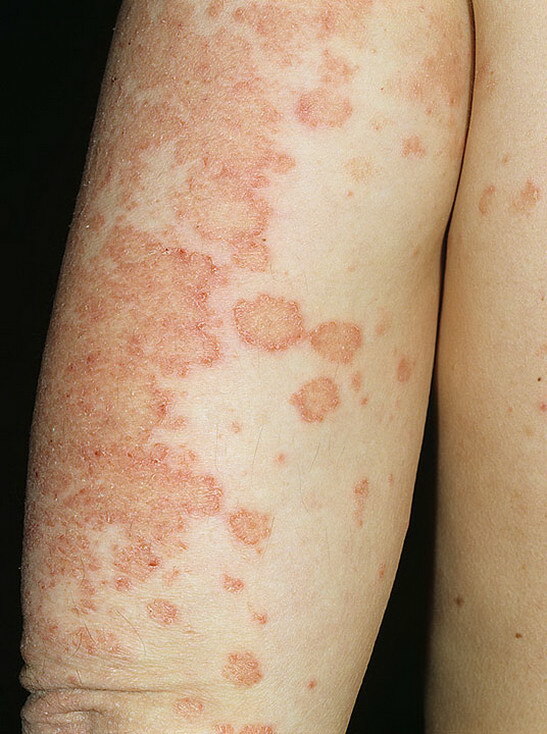 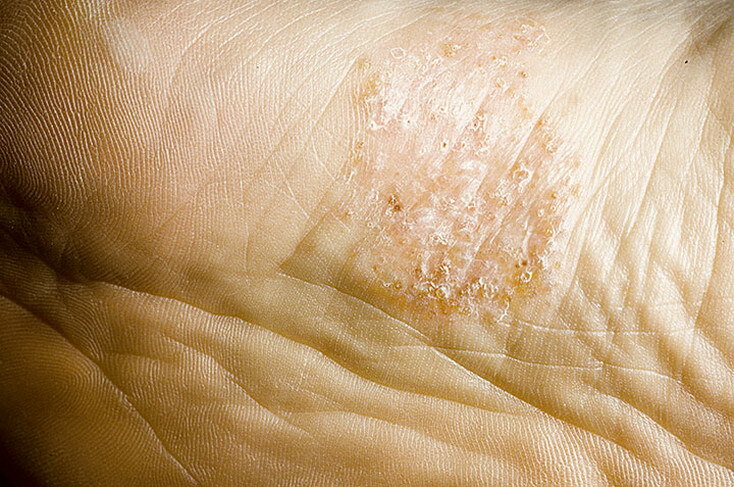 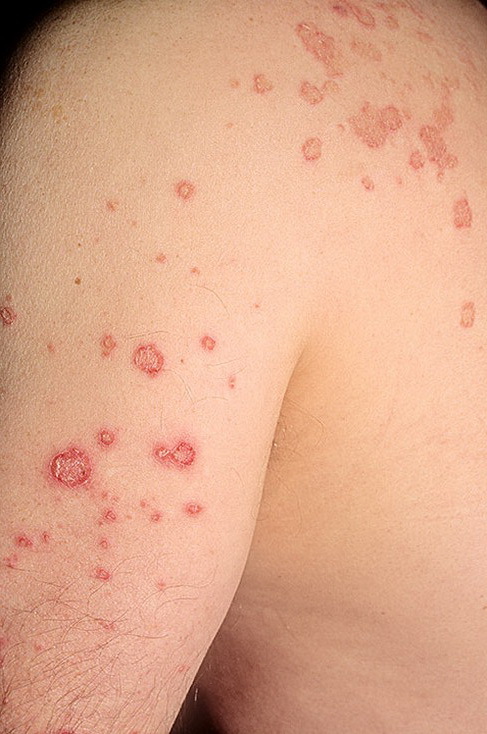 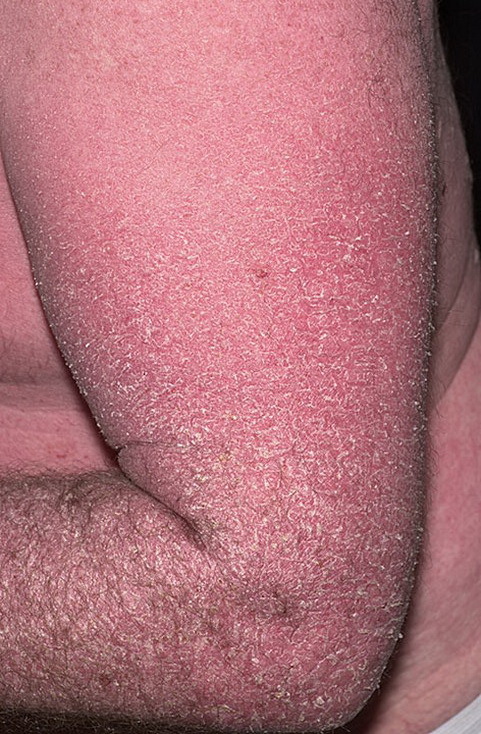 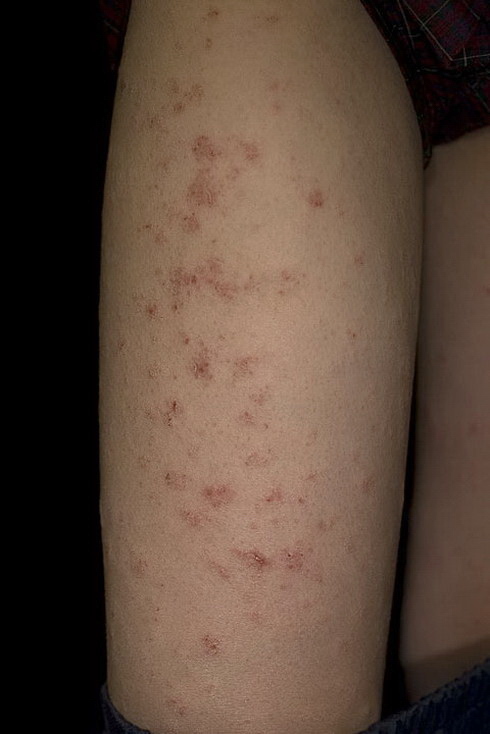 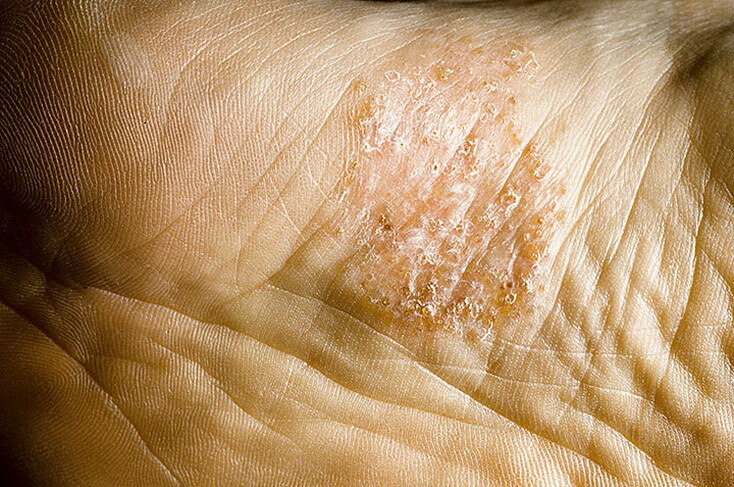 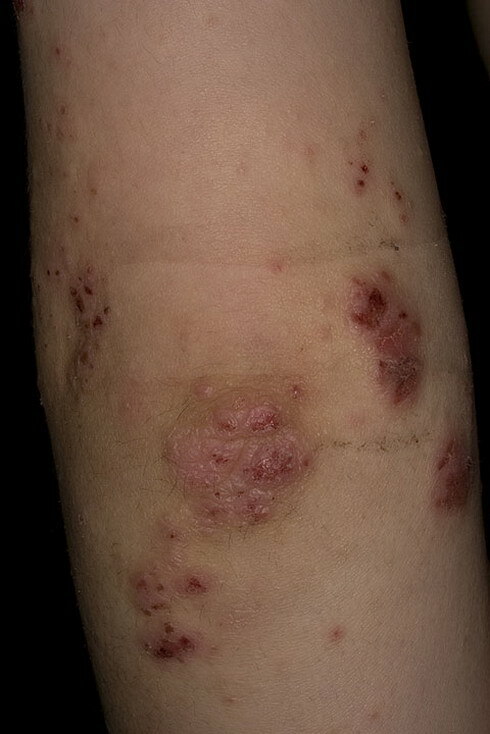 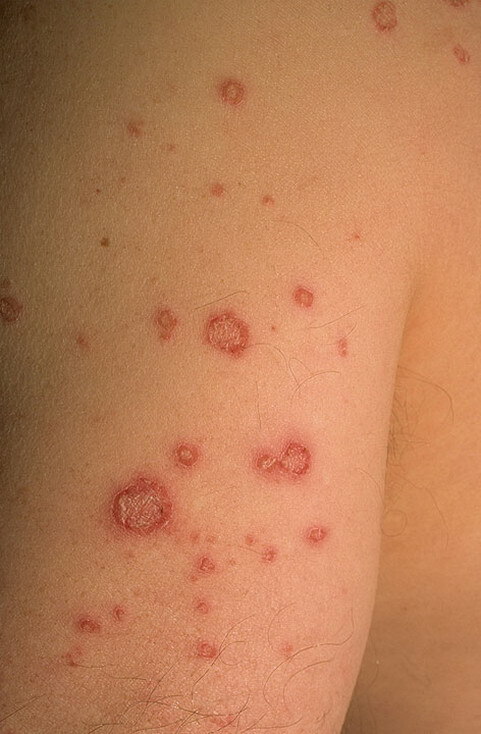 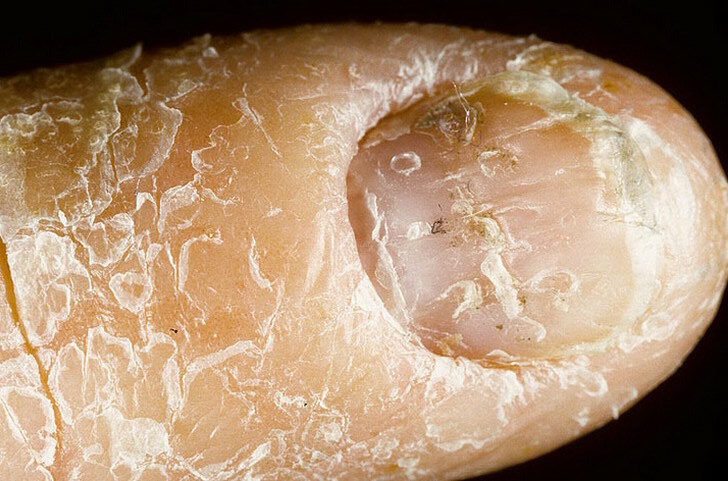 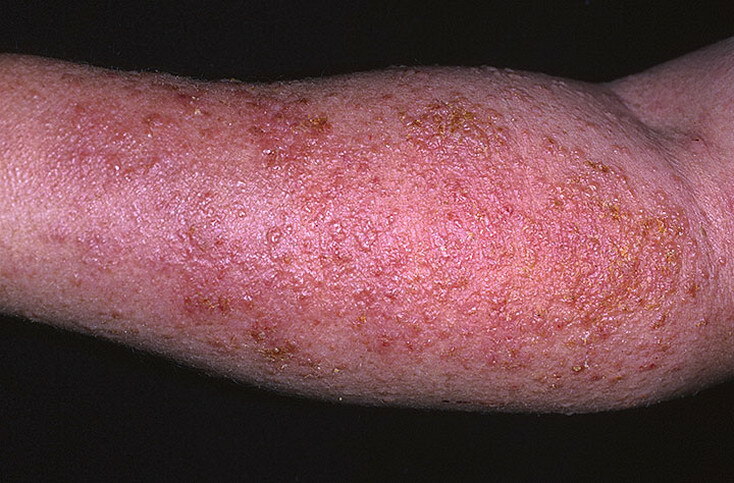 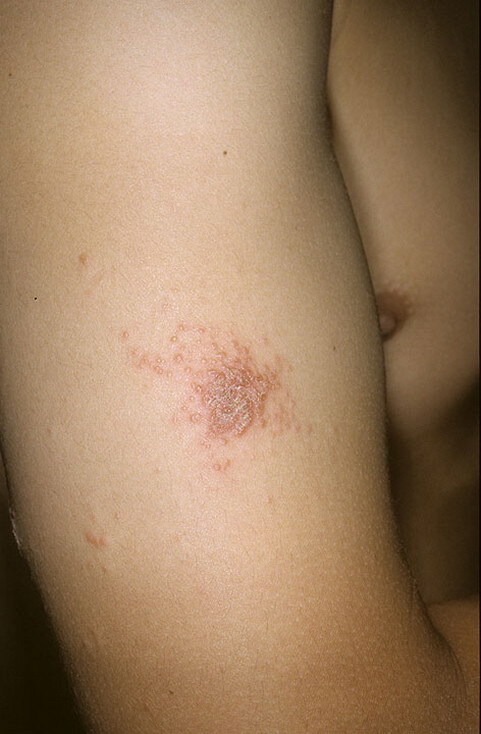 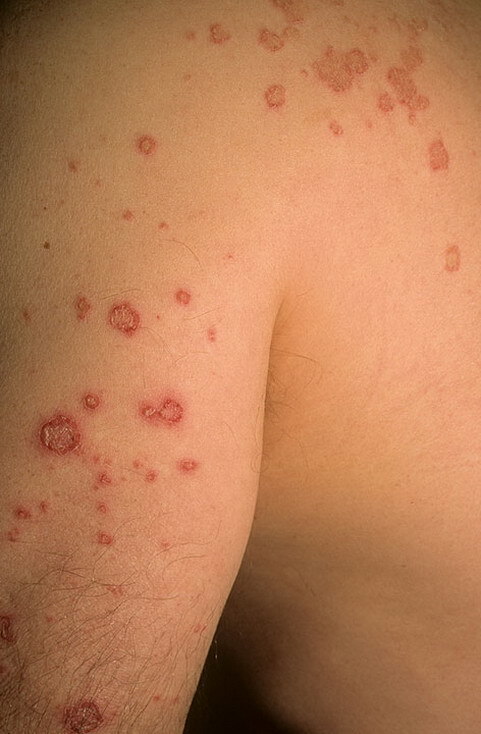 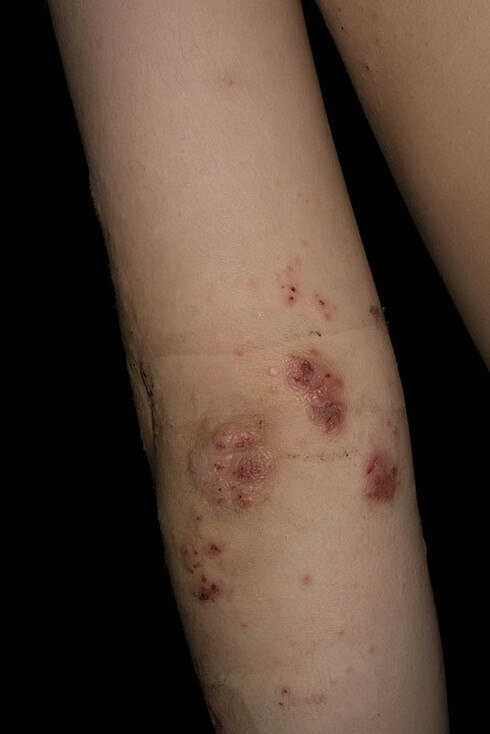 If you think that you might have dyshidrotic eczema, make an appointment with your doctor.